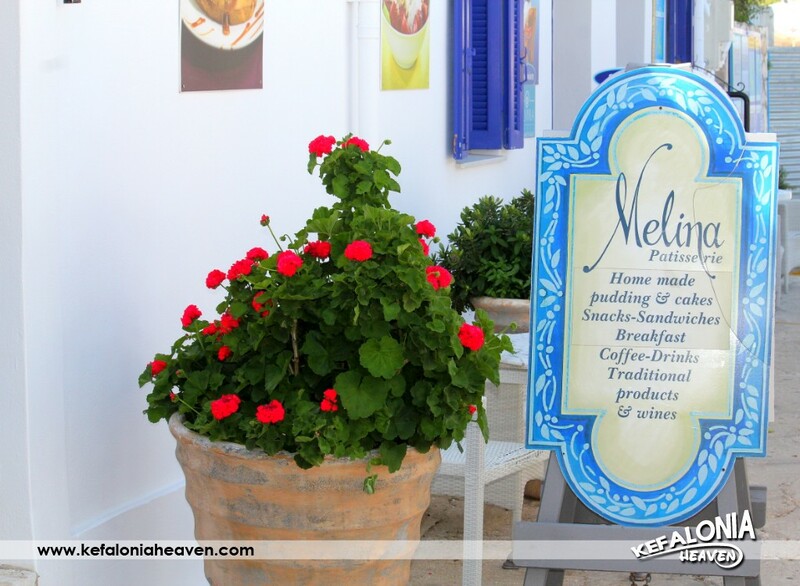 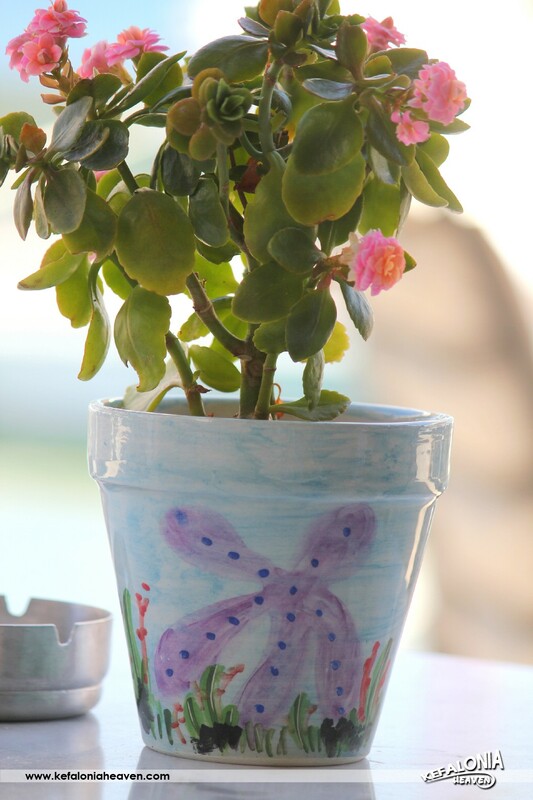 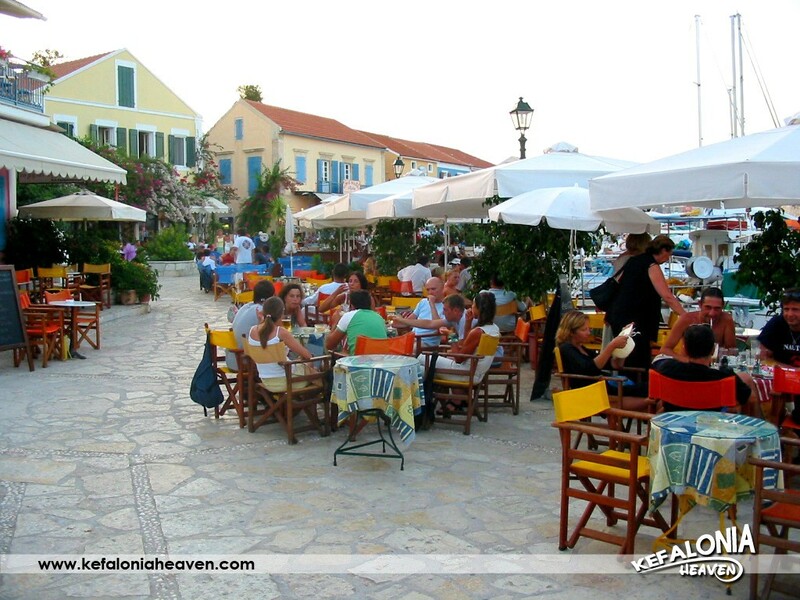 One of the most beautiful areas of Kefalonia is, without a doubt, Lassi. 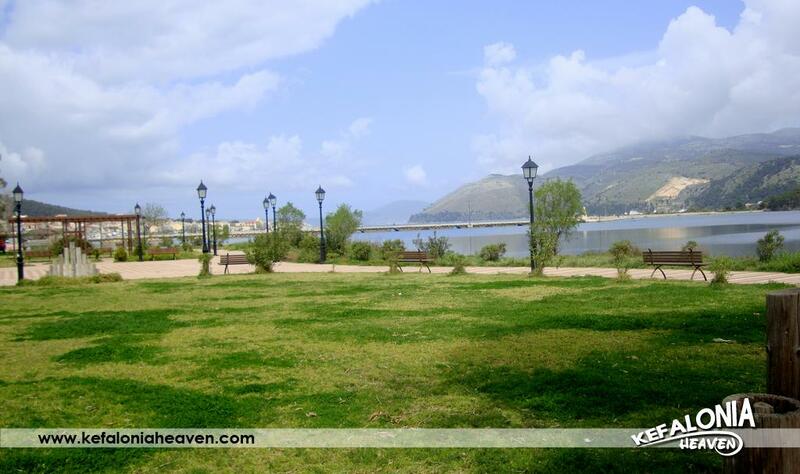 It is a particularly developed tourist destination, with lovely secular or not beaches, tourist shops, luxurious hotels, but with the potential for hiking or biking in lush green areas full of sights. 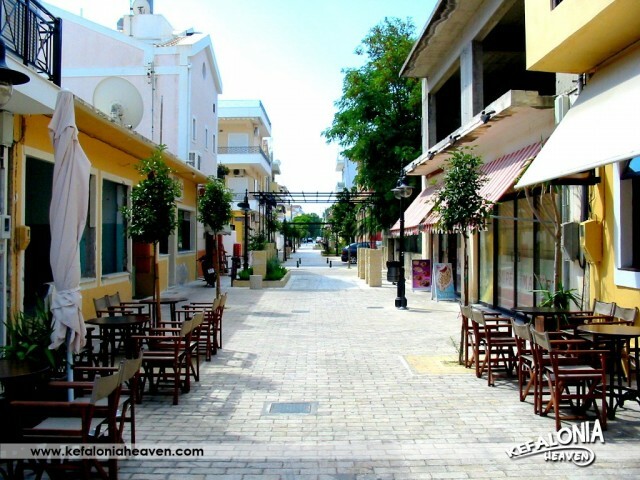 Where to look first in Lassi? 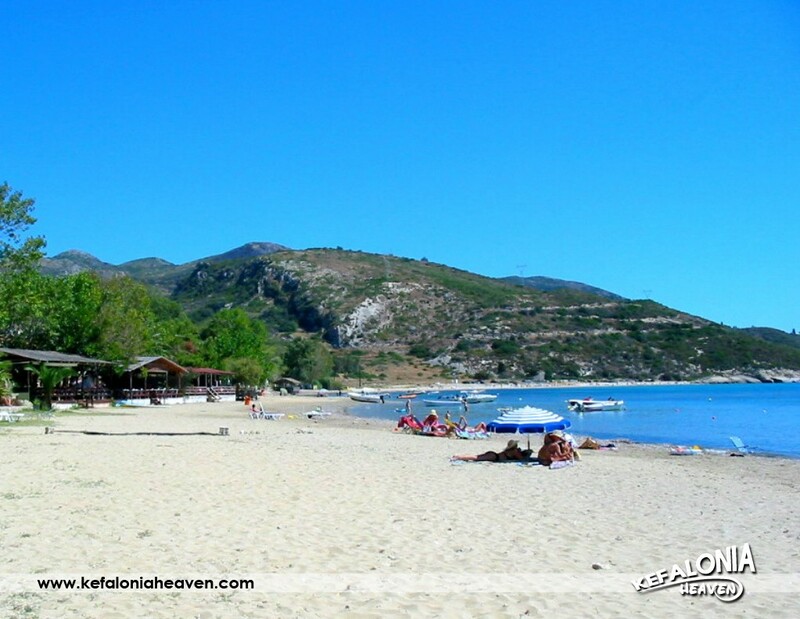 The mesmerizing beaches are breathtaking, every spot being full of people from early on, enjoying the most beautiful and cleanest waters. 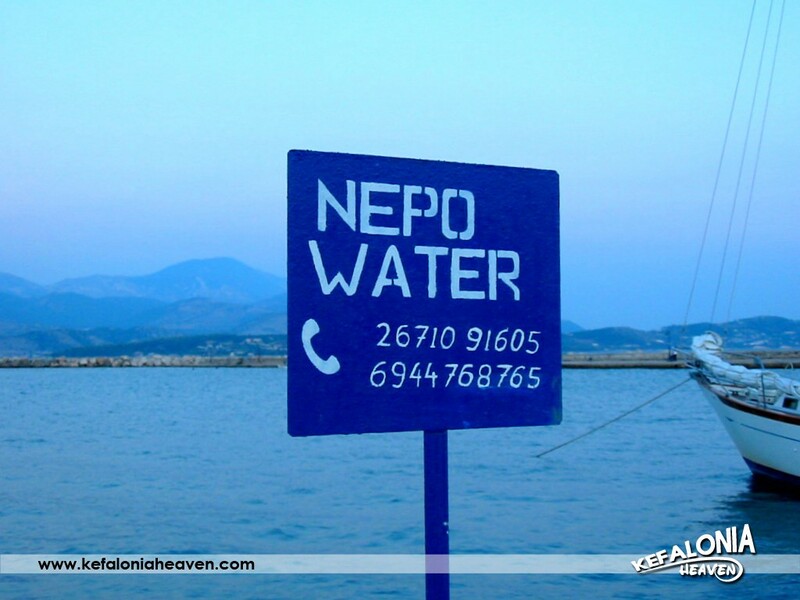 The beaches are one after the other. 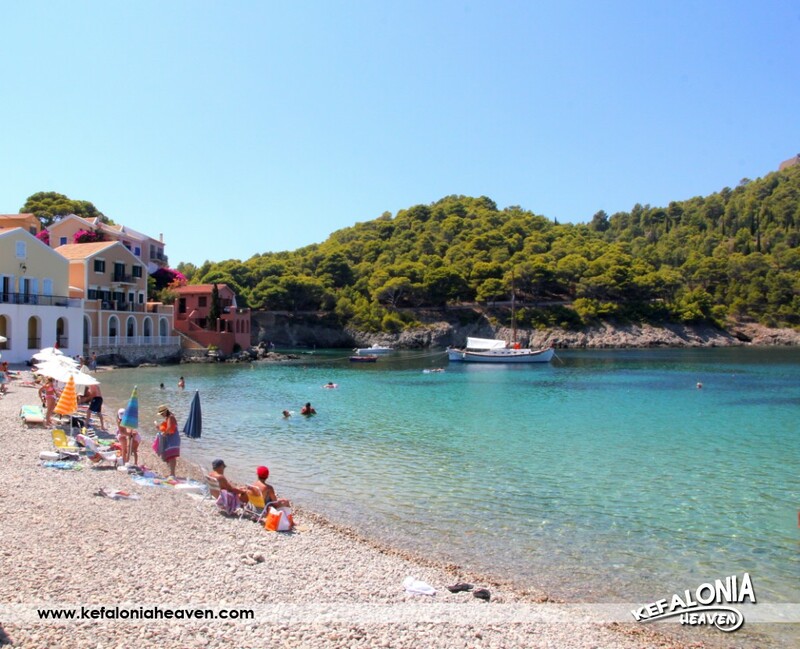 From the secular Plati and Makri Gialo to its more “less crowded” ones; Turkopodaro, Gradakia, Mediterranne, Fanari, Maistrato, many small bays with either sand or pebble… The terrain here is literally wonderful. 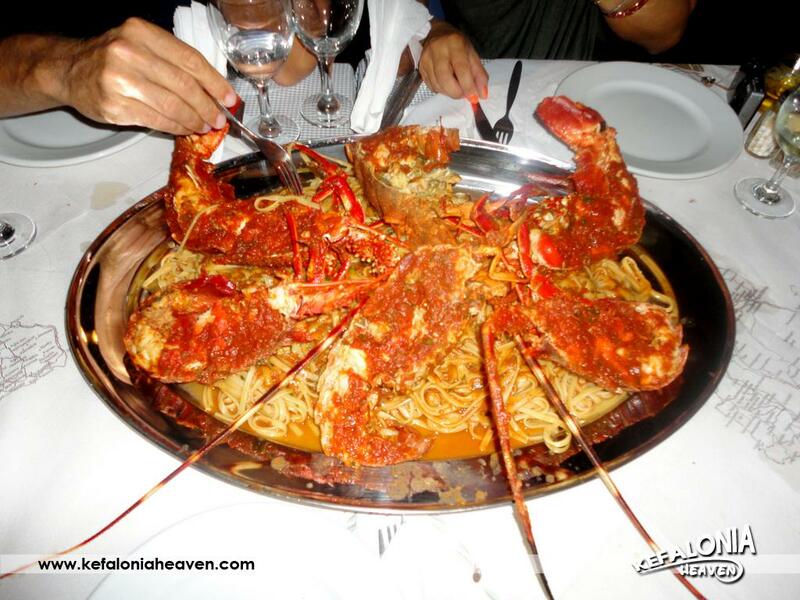 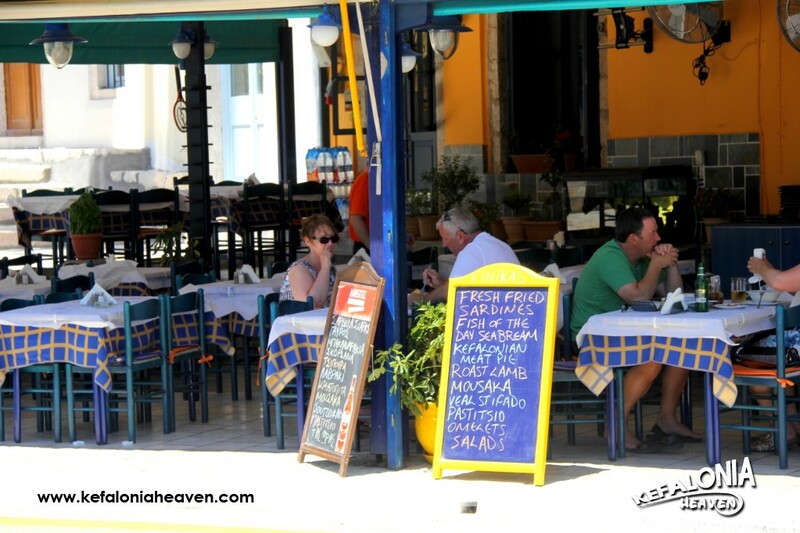 Further down, you can find anything in the area’s shops, but also taste special flavors in the regional restaurants. 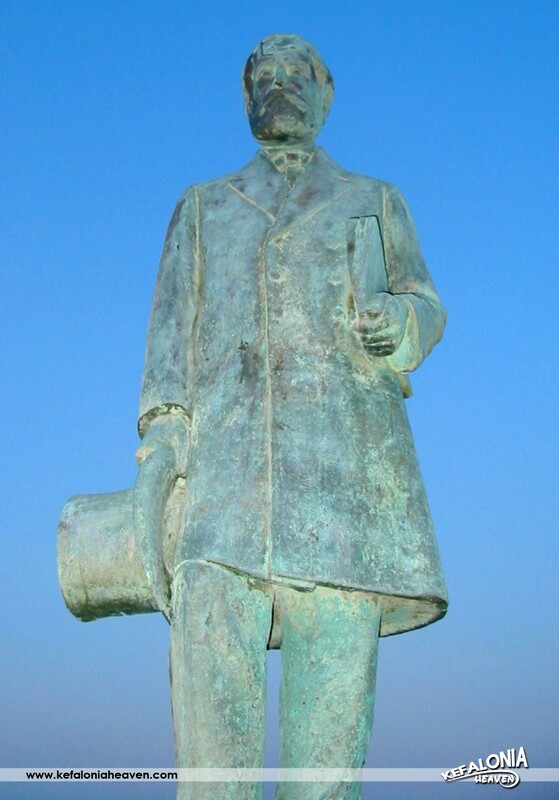 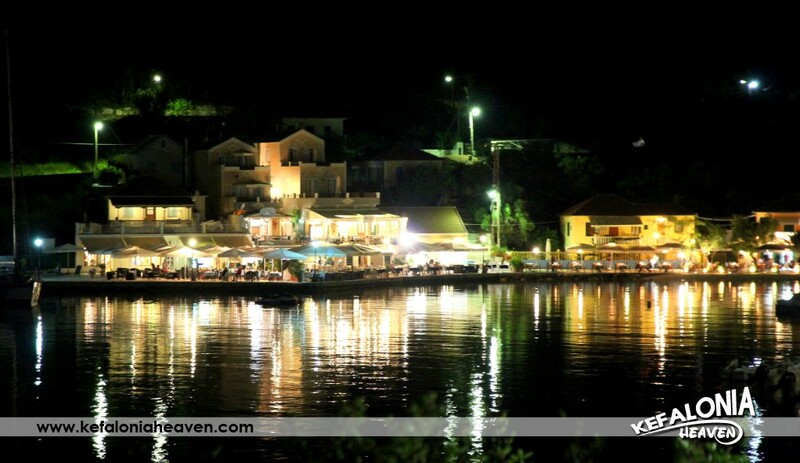 Naturally, there is also nighttime entertainment, present in the area during the summer. 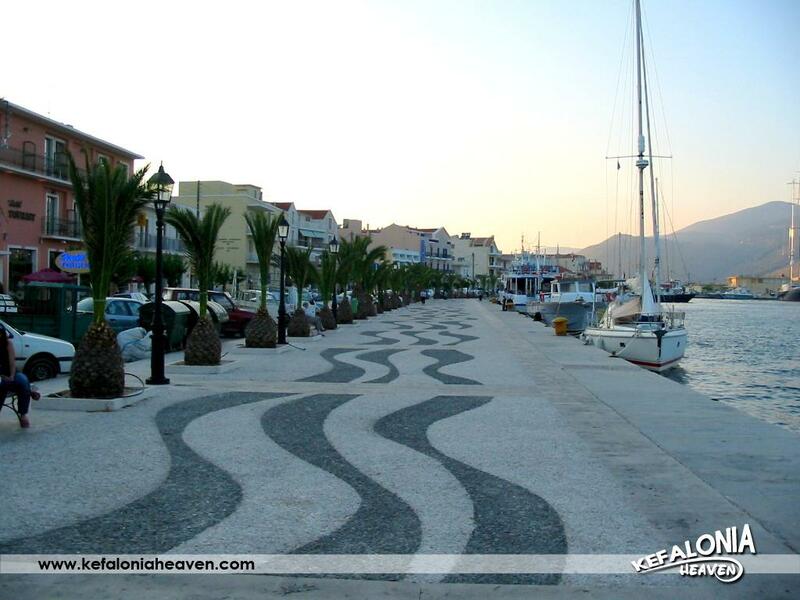 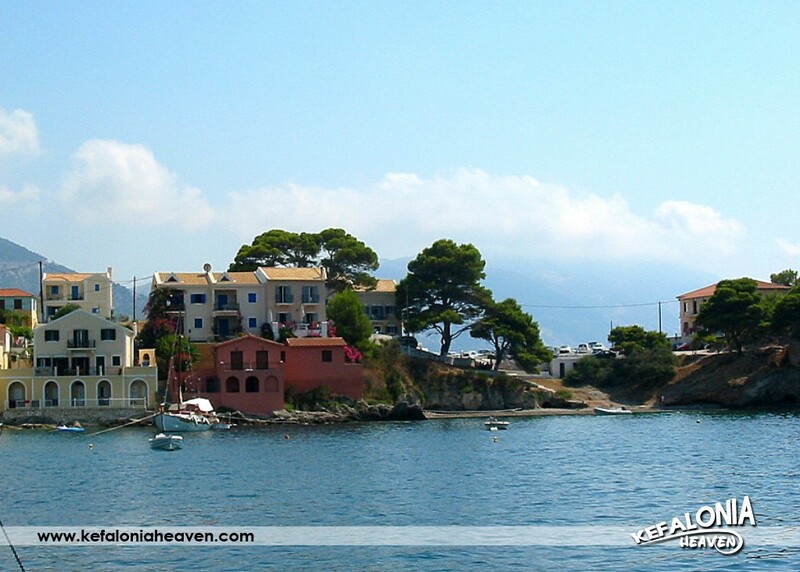 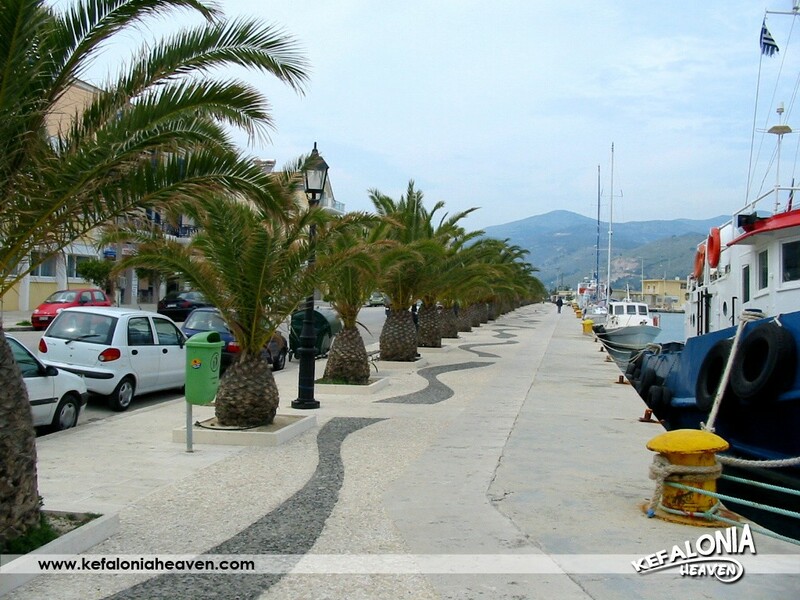 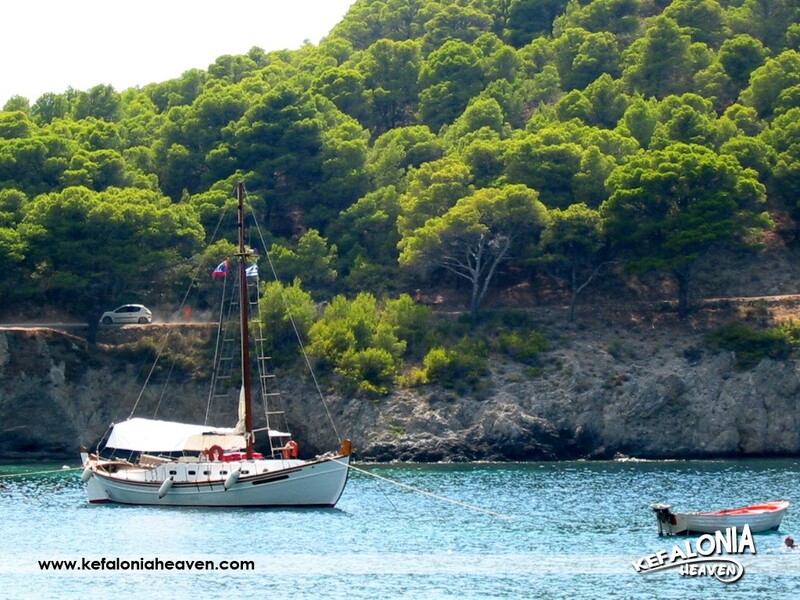 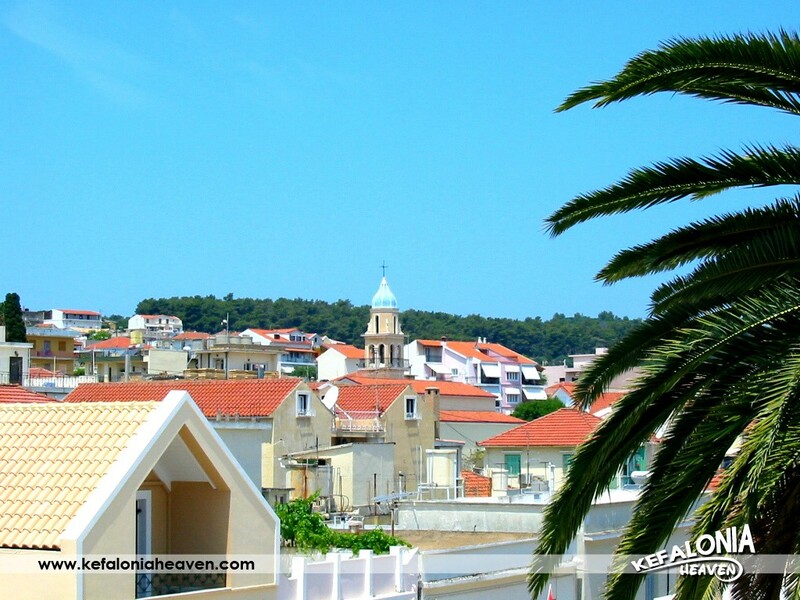 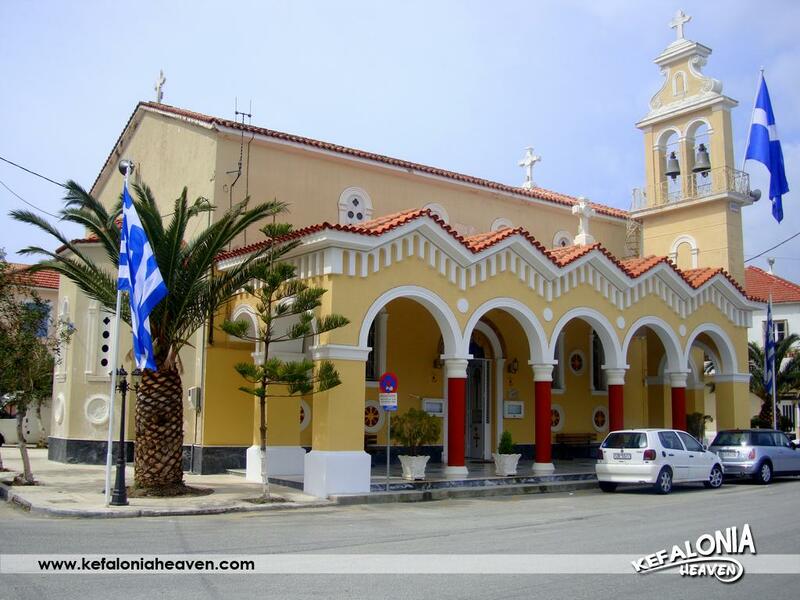 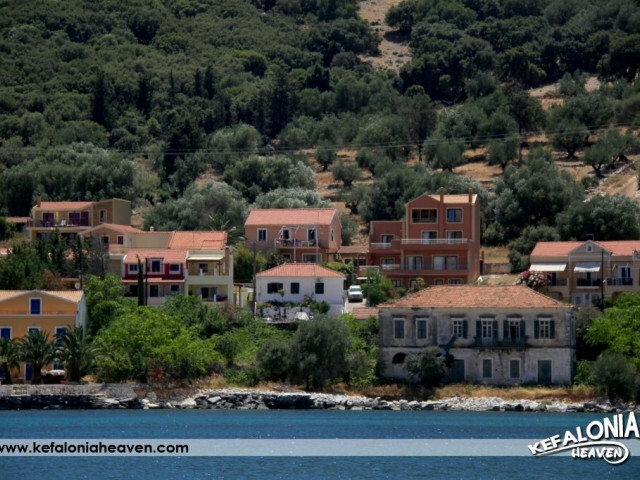 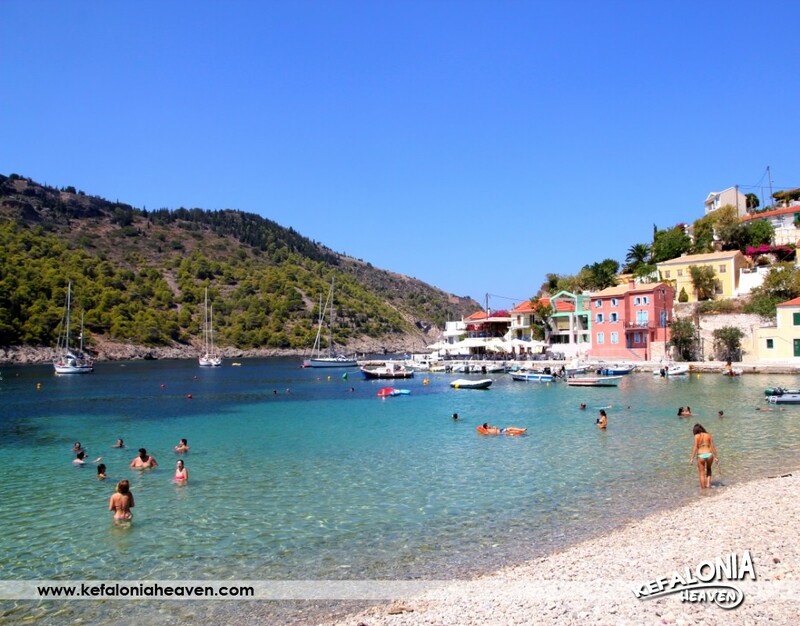 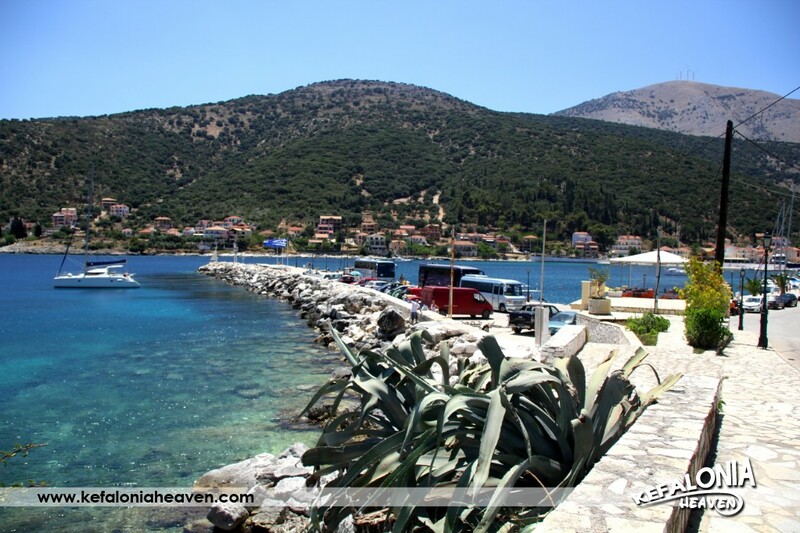 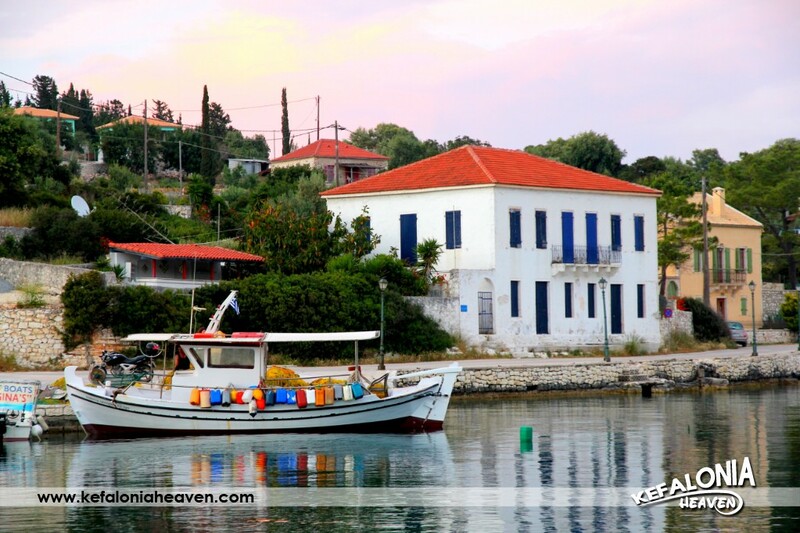 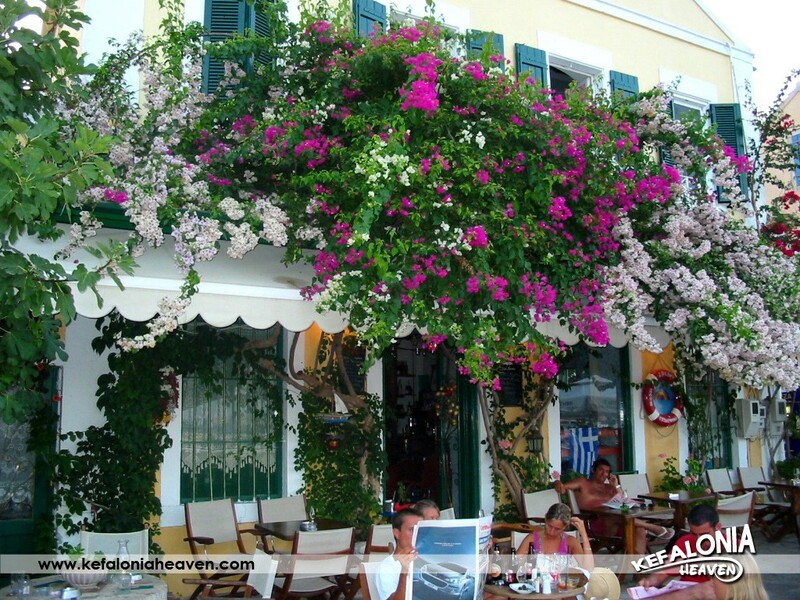 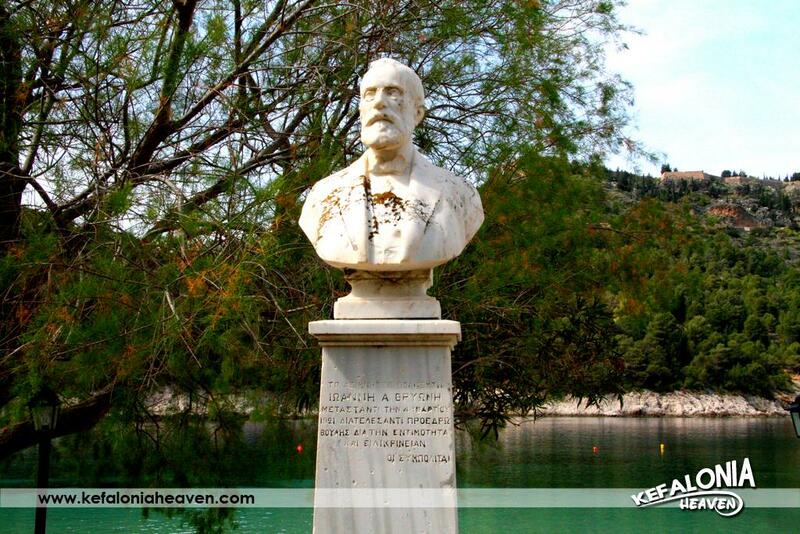 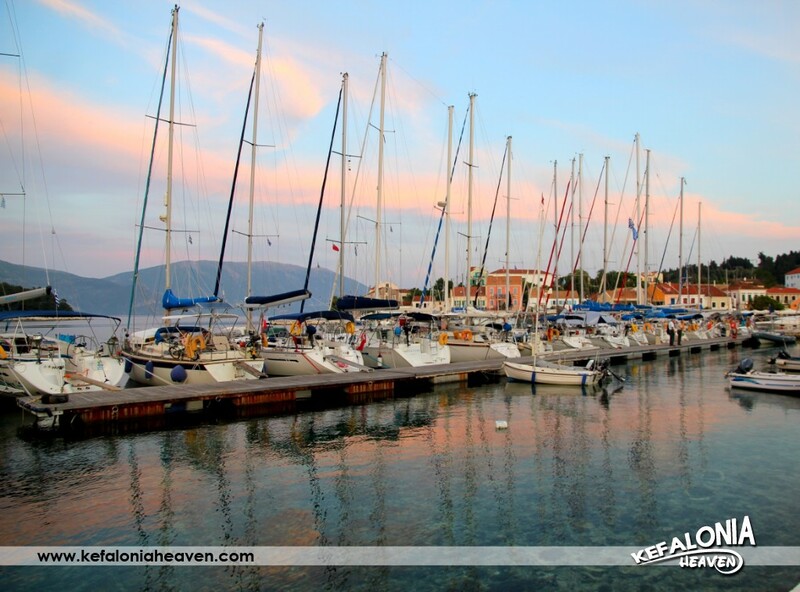 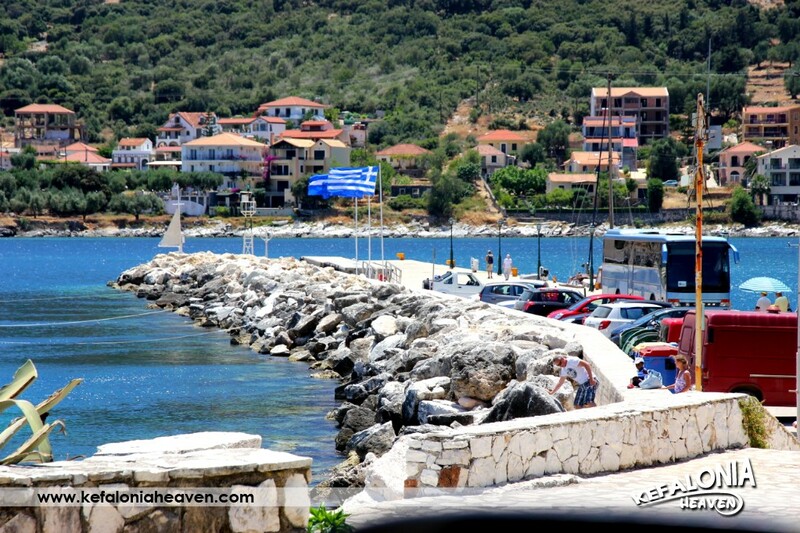 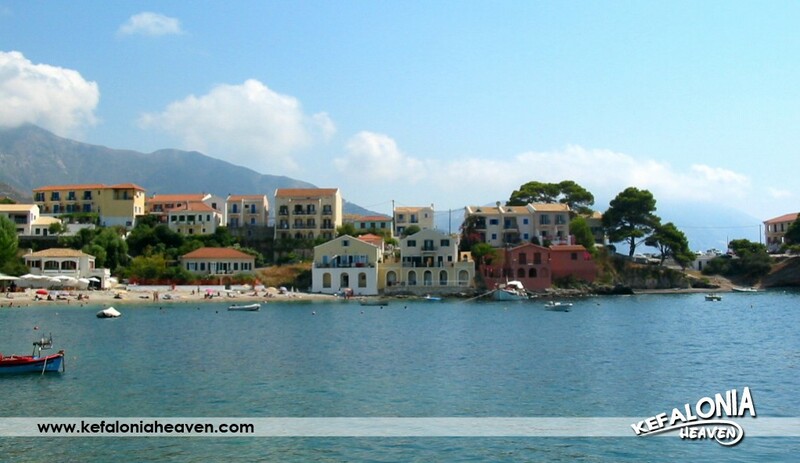 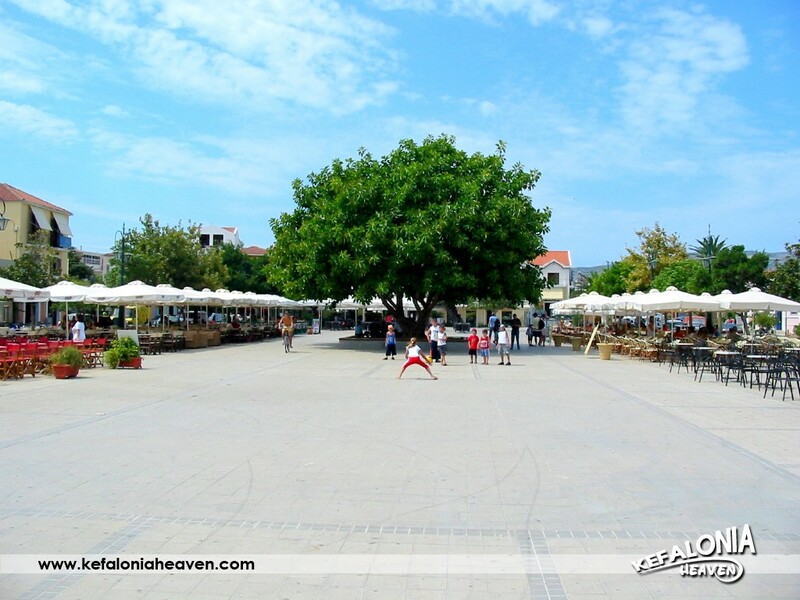 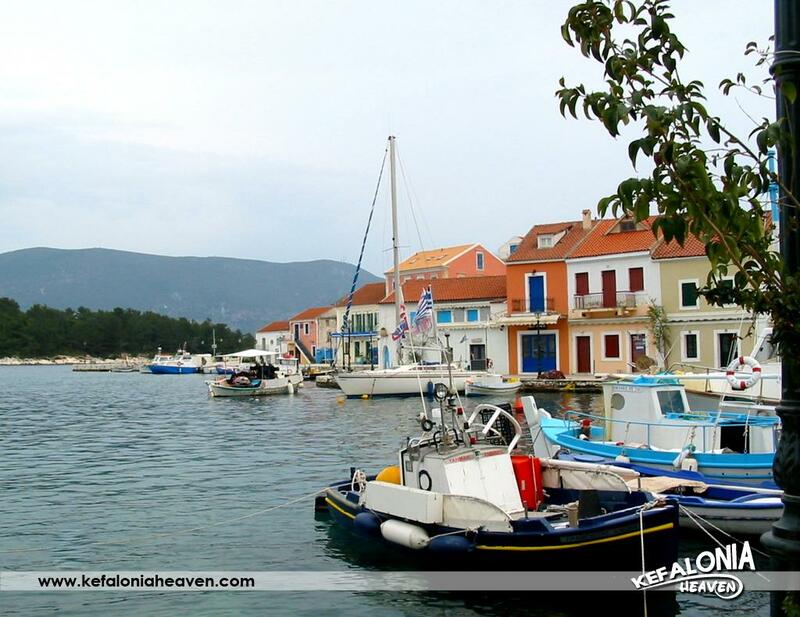 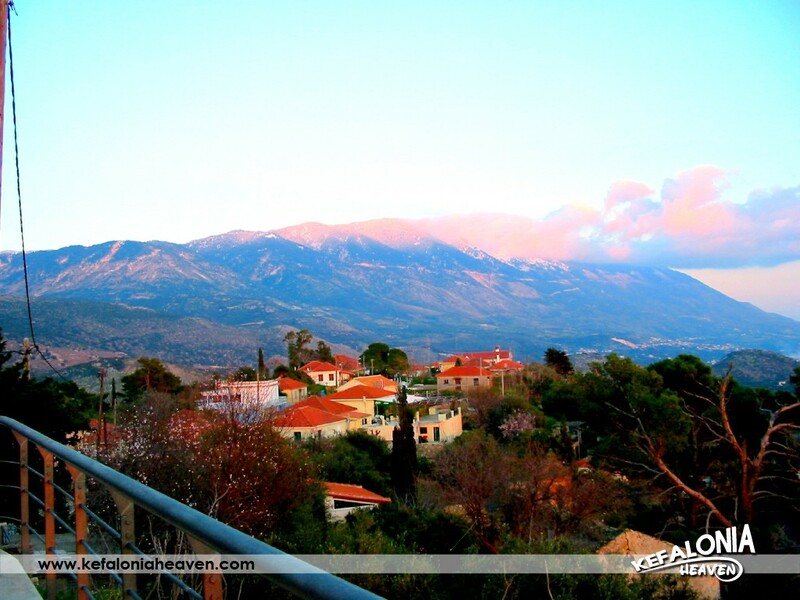 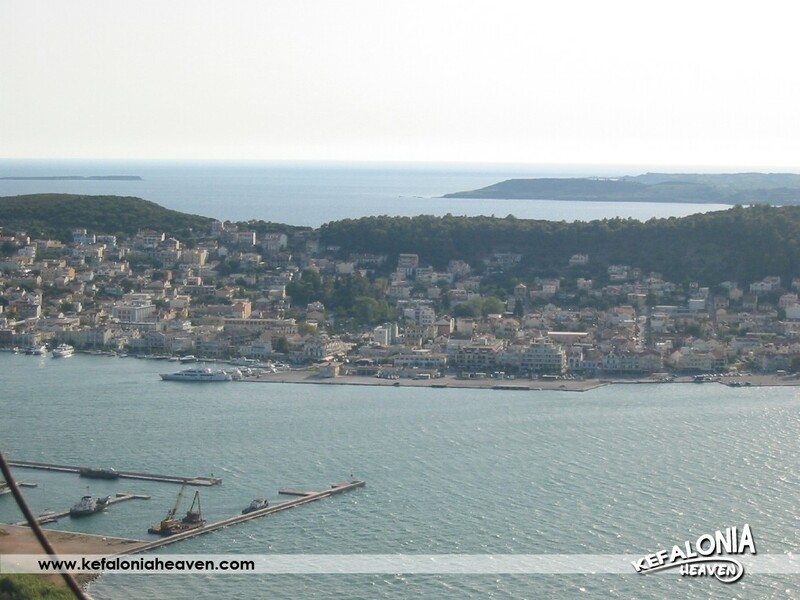 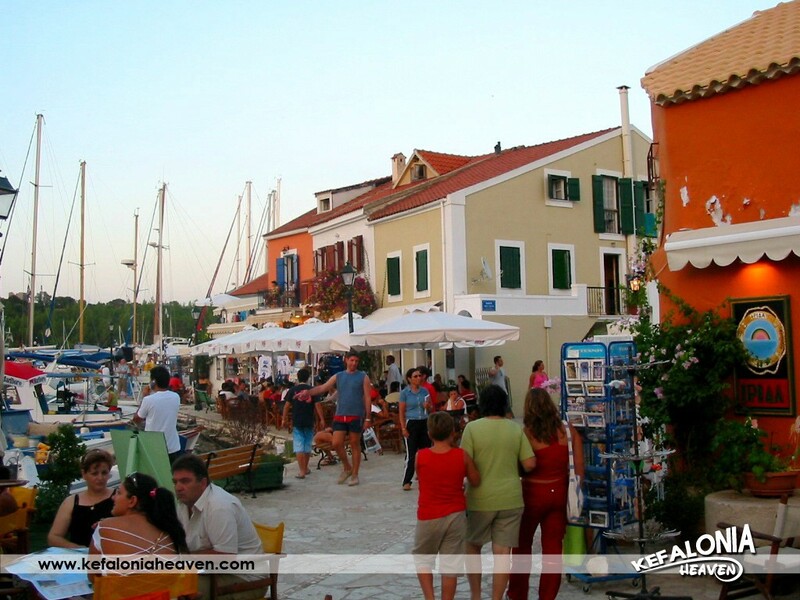 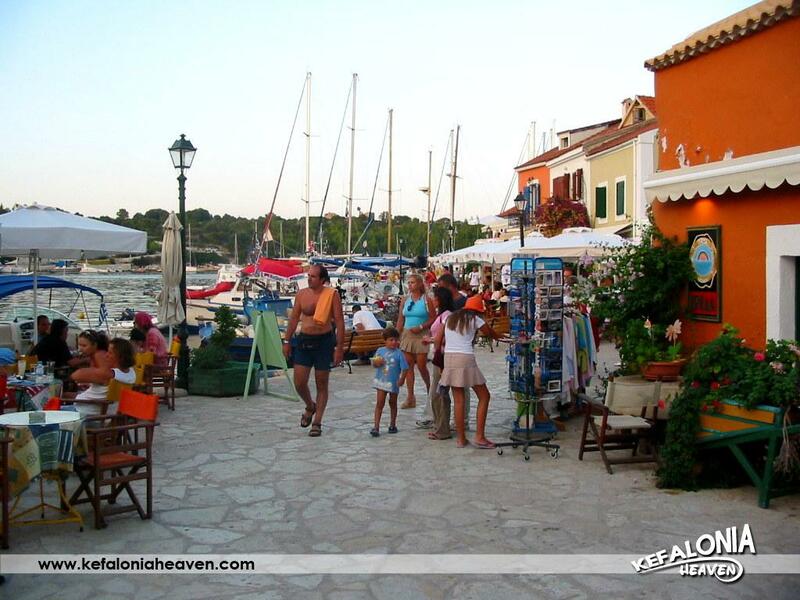 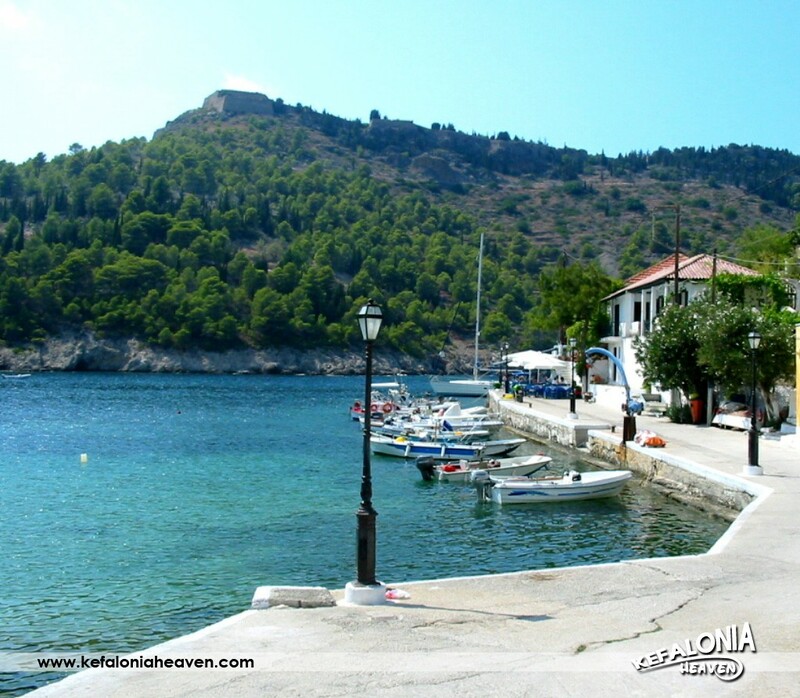 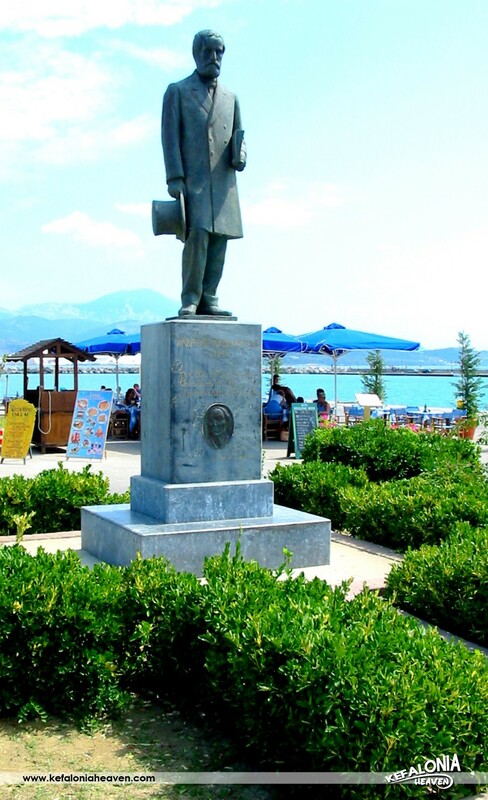 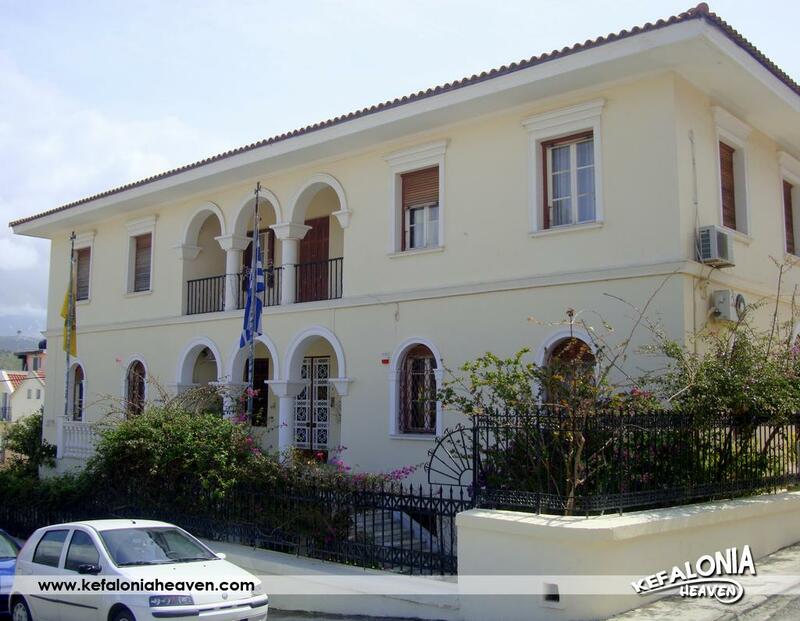 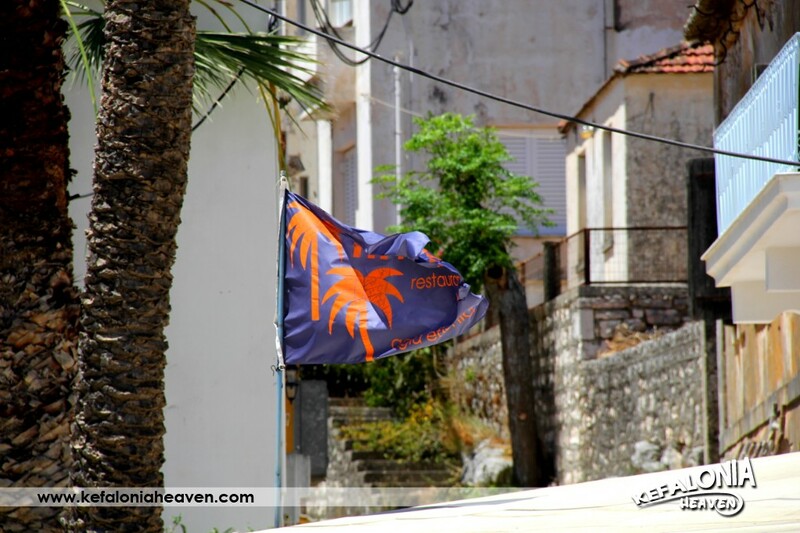 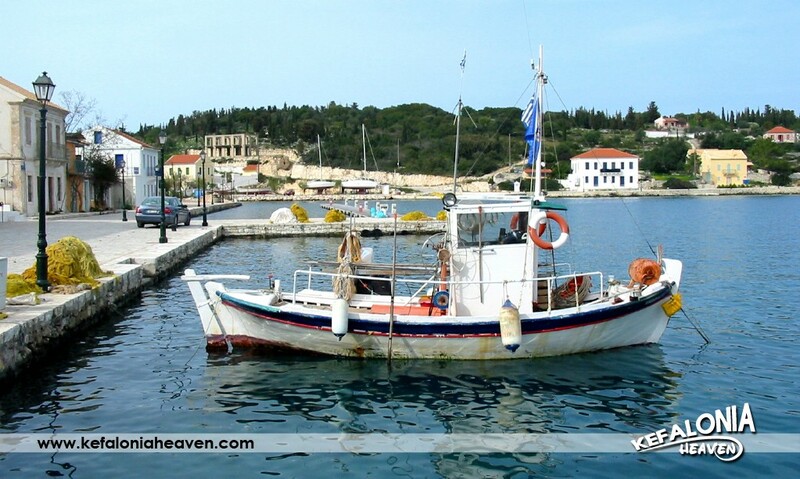 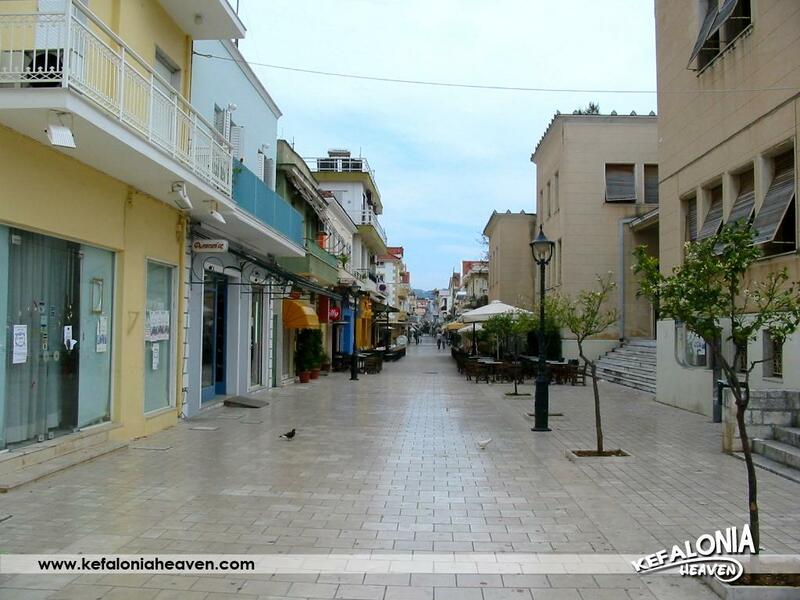 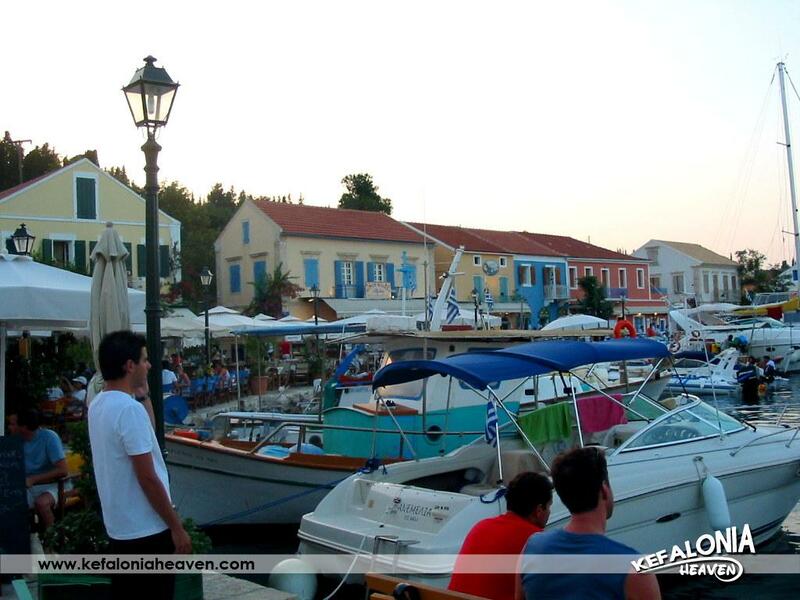 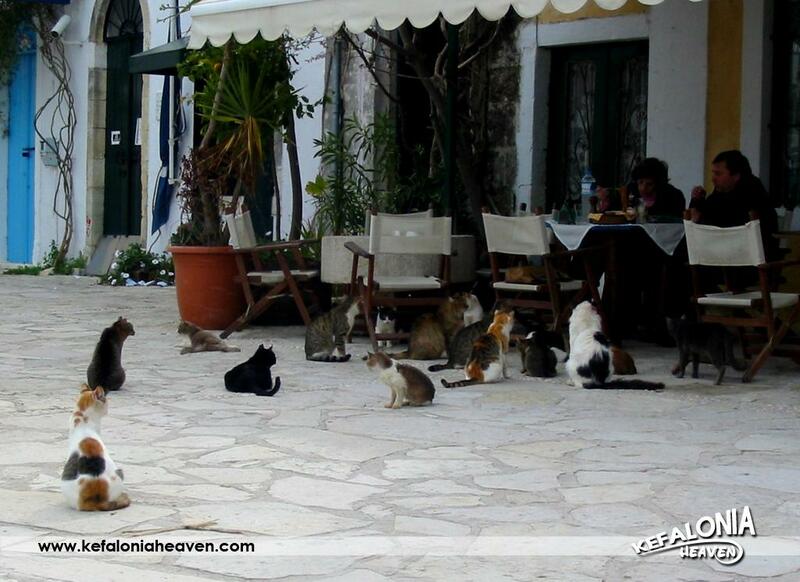 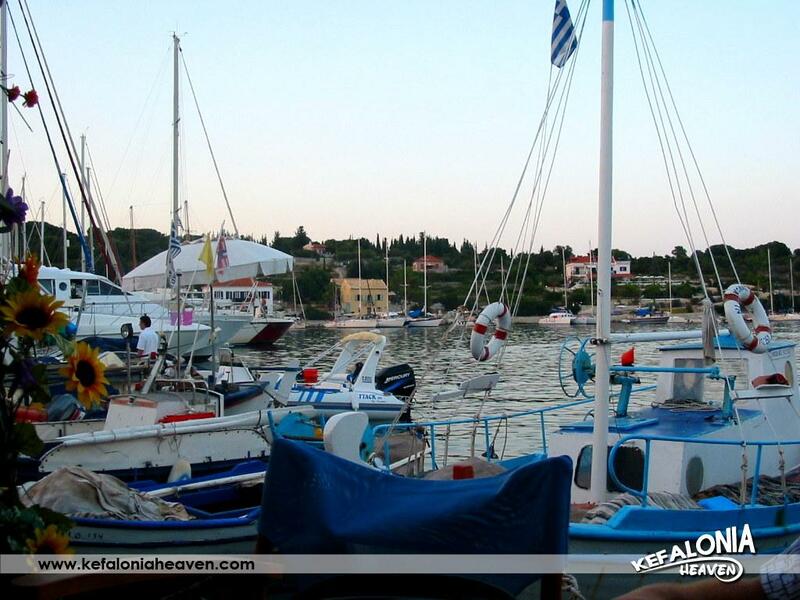 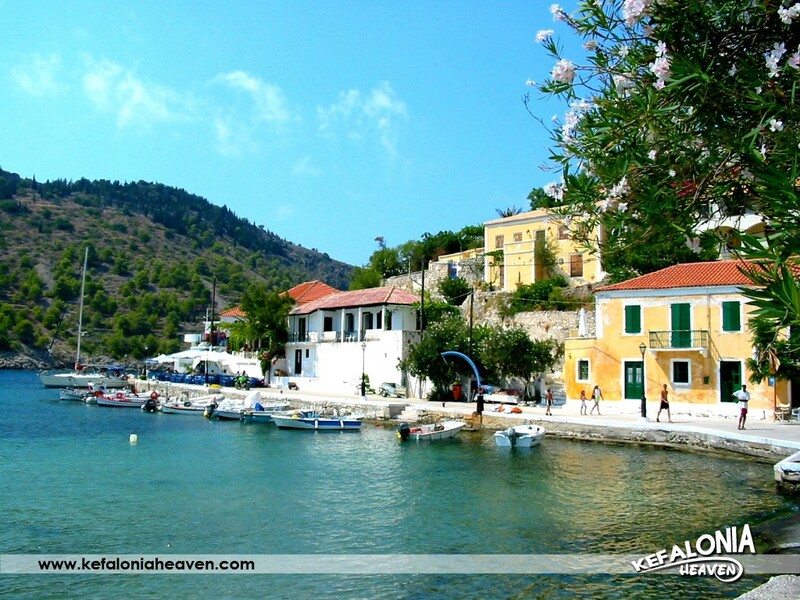 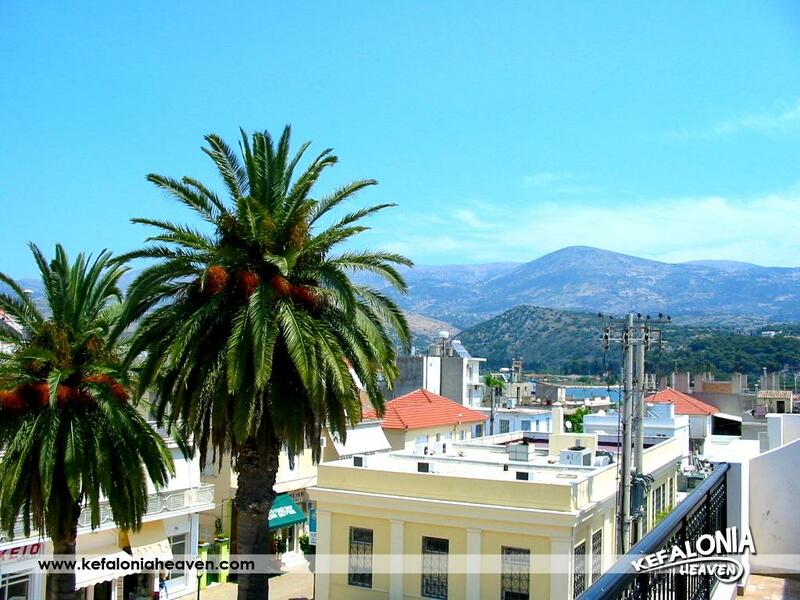 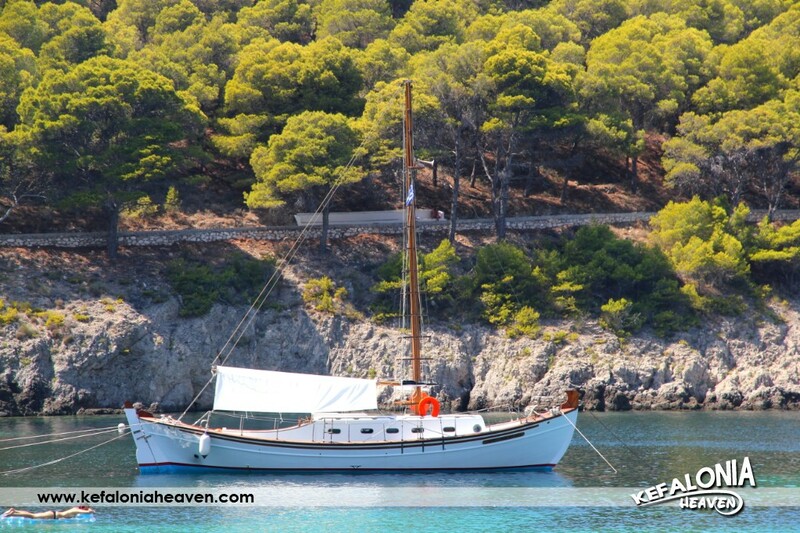 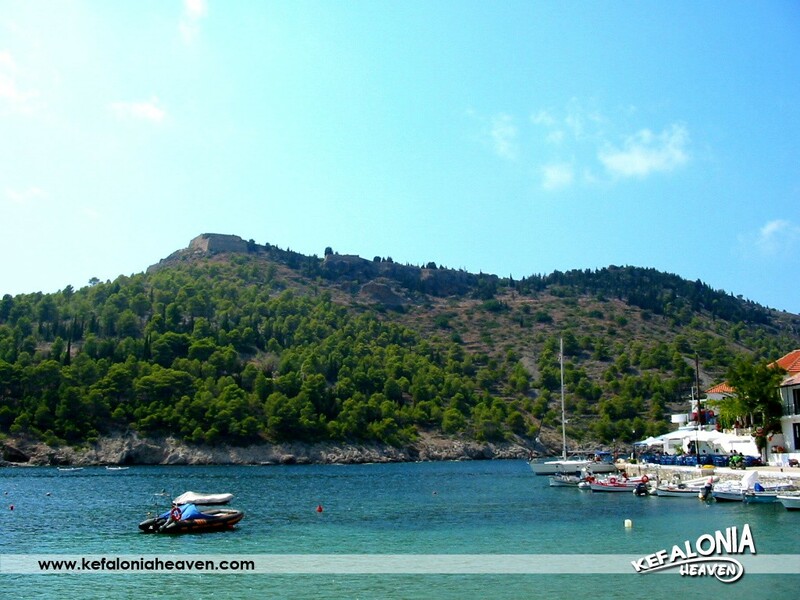 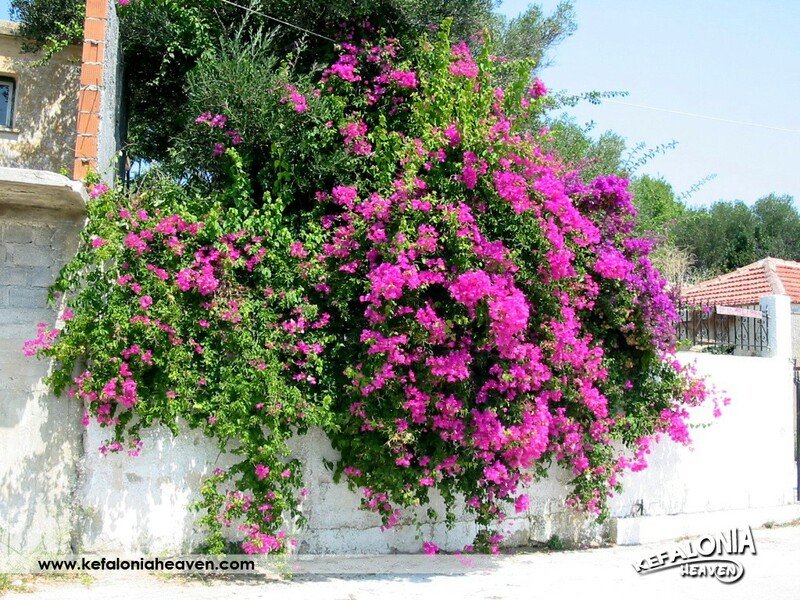 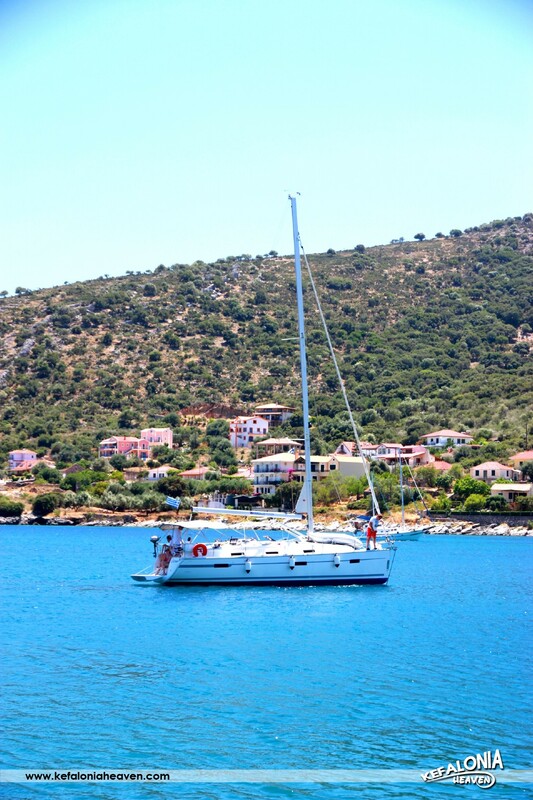 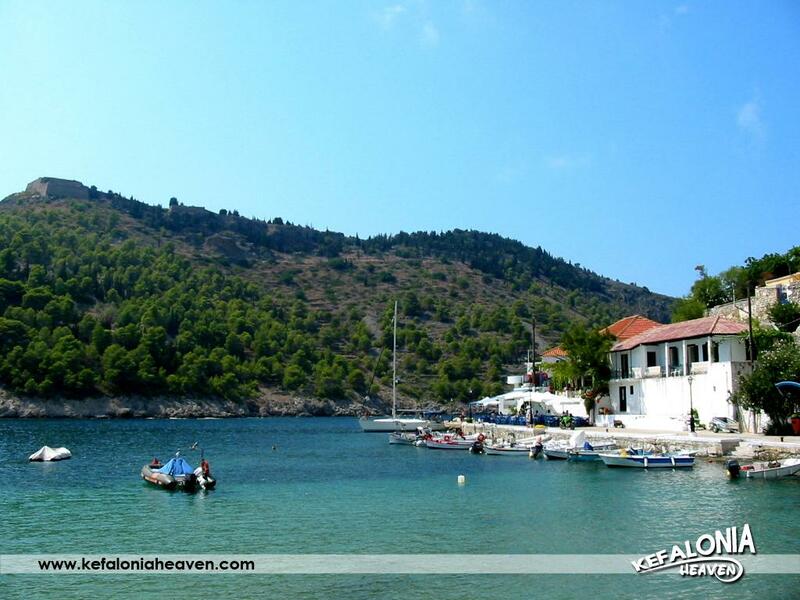 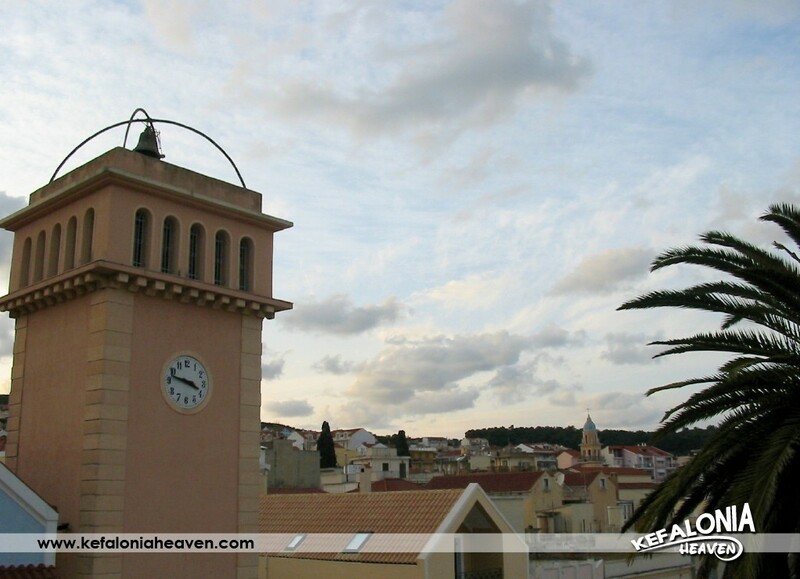 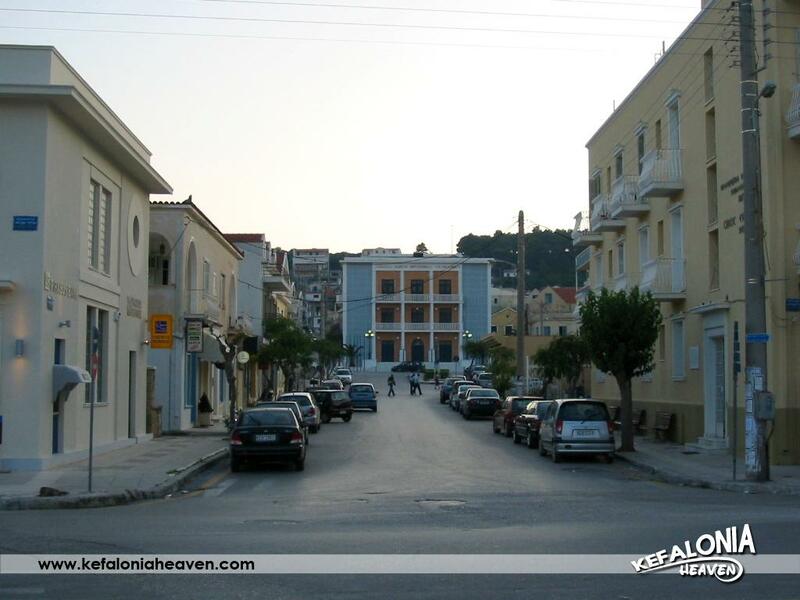 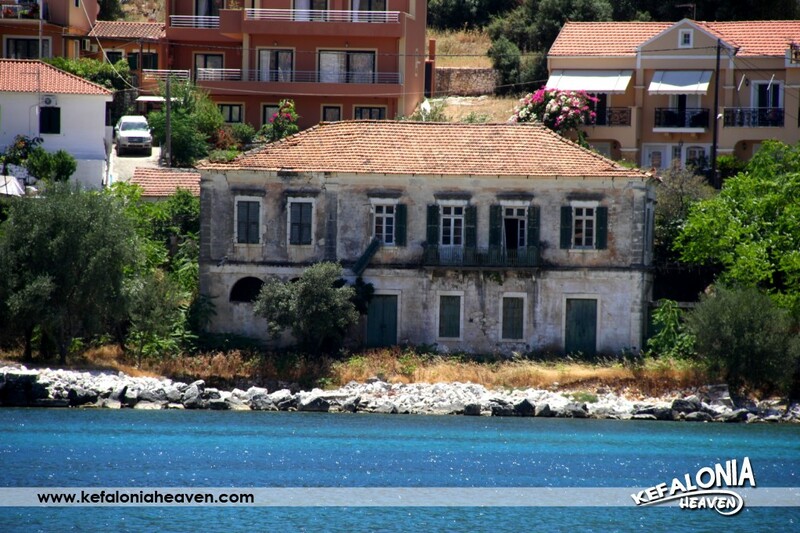 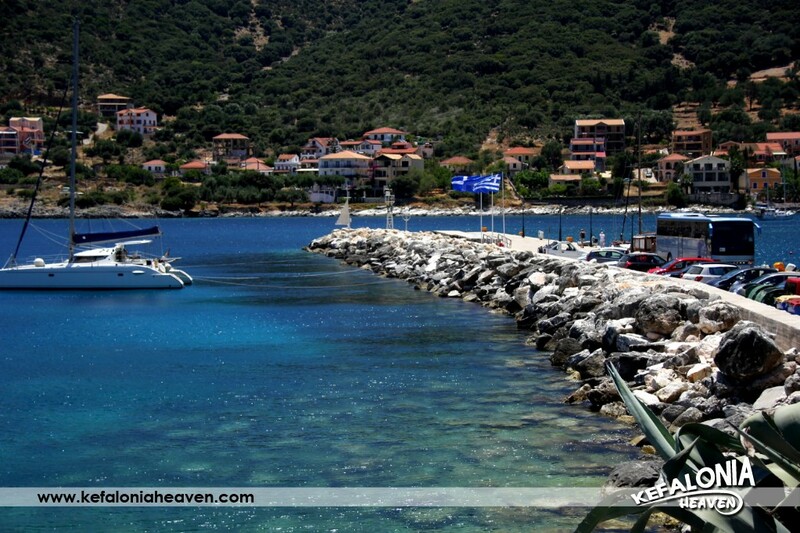 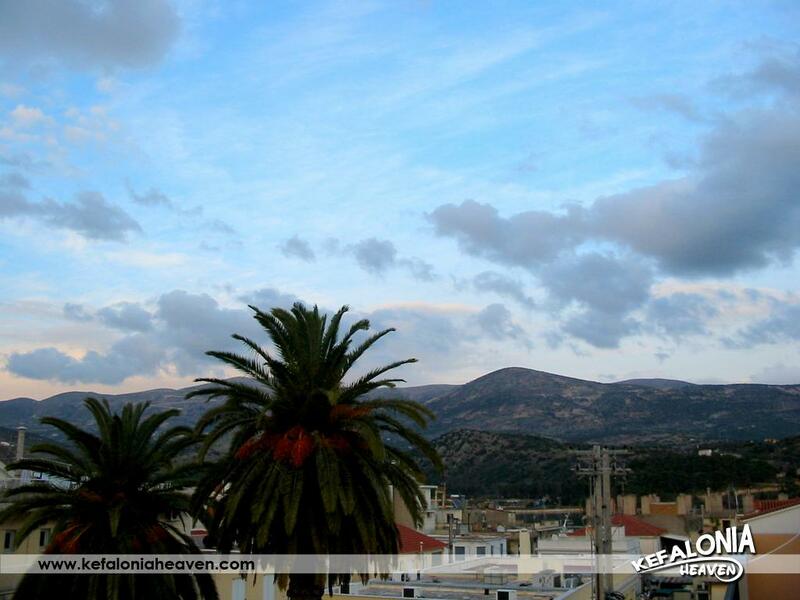 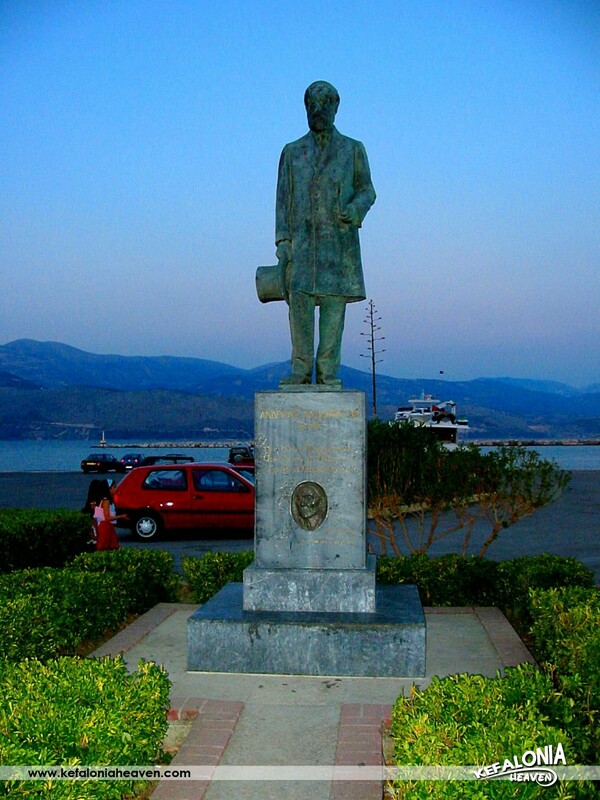 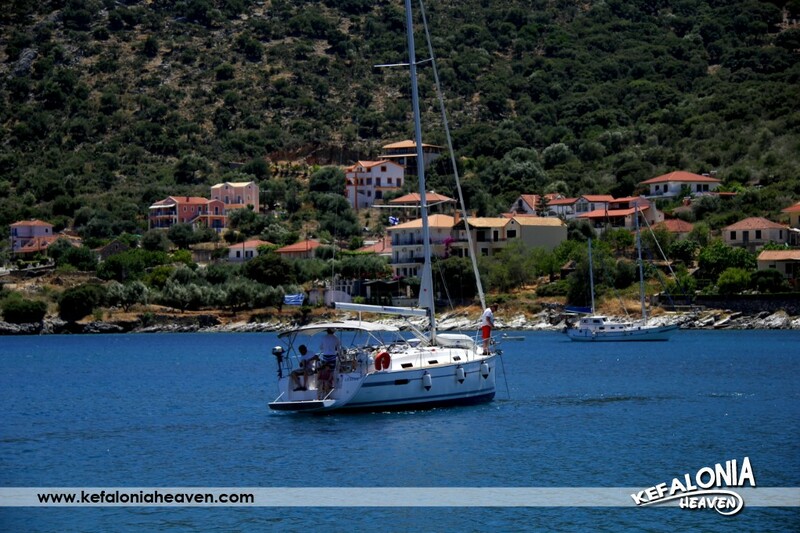 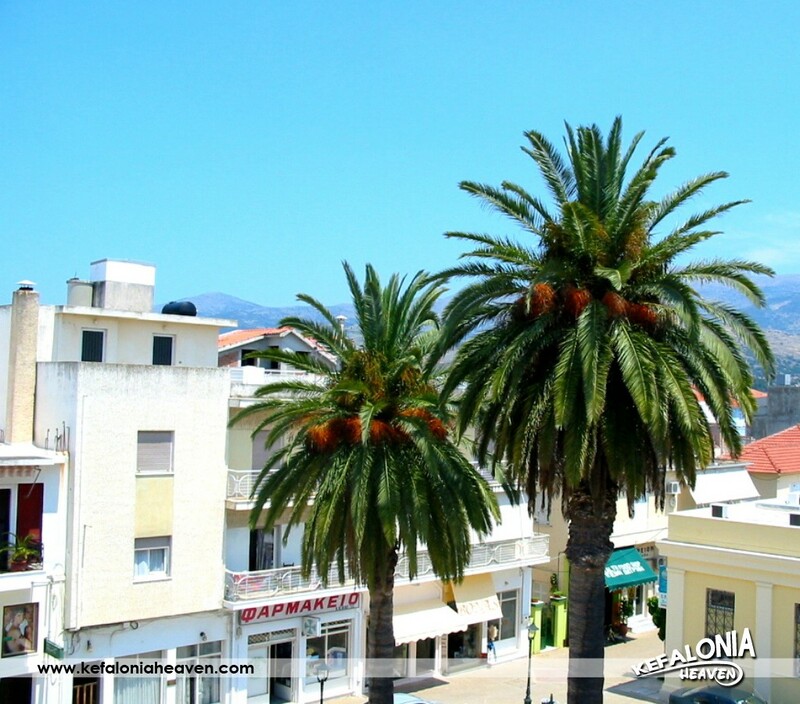 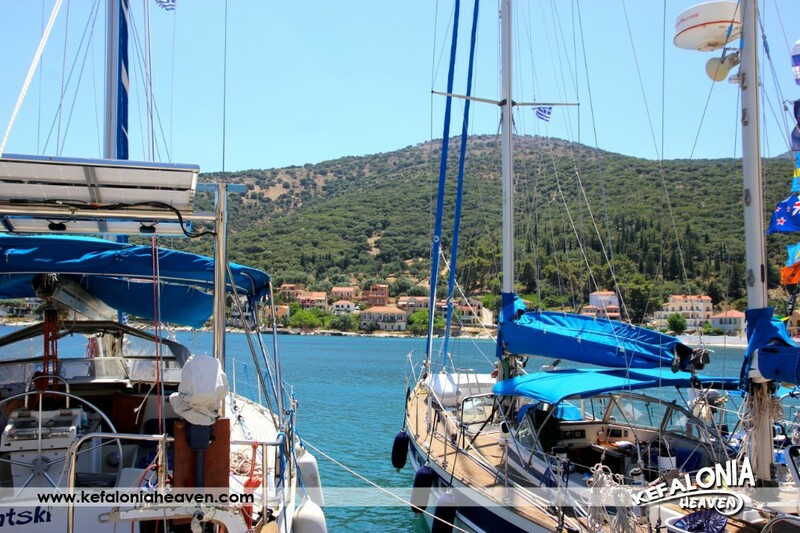 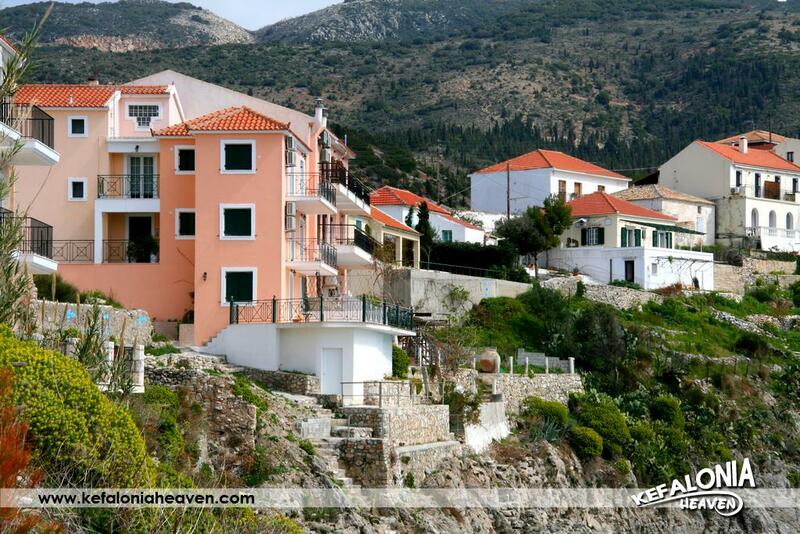 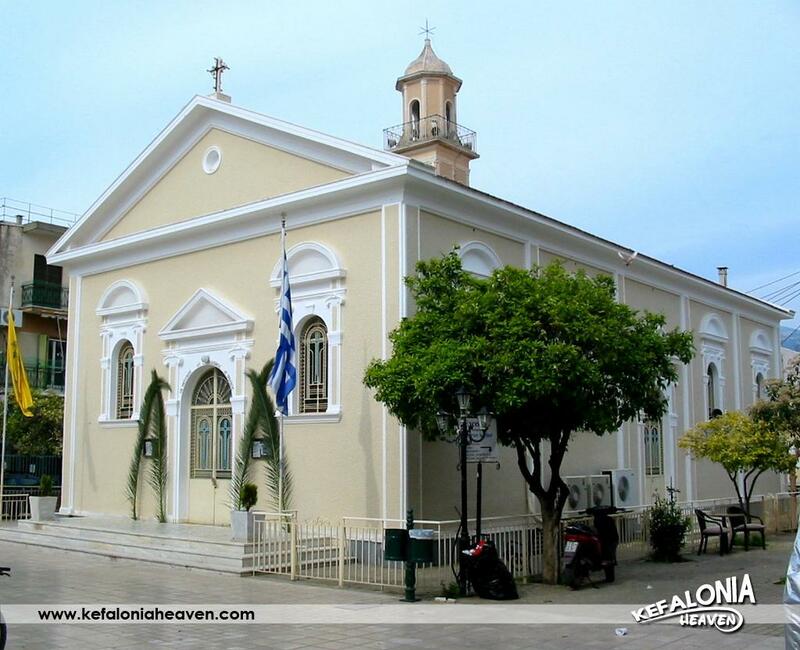 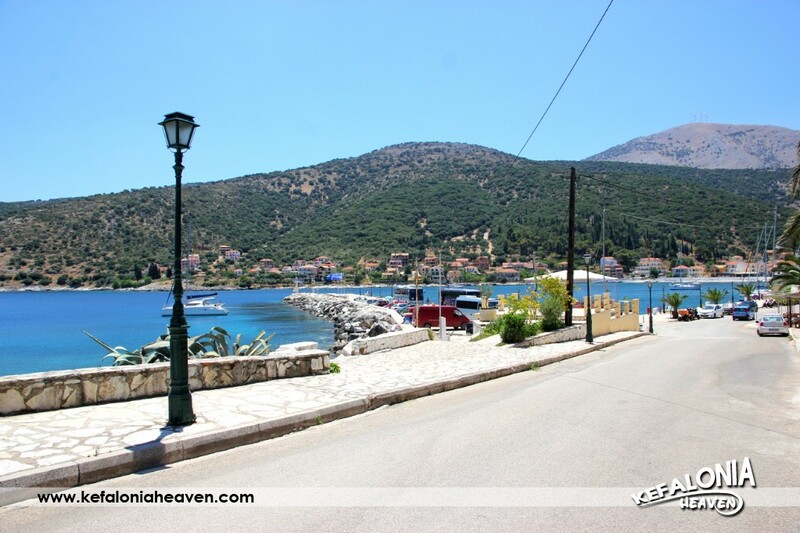 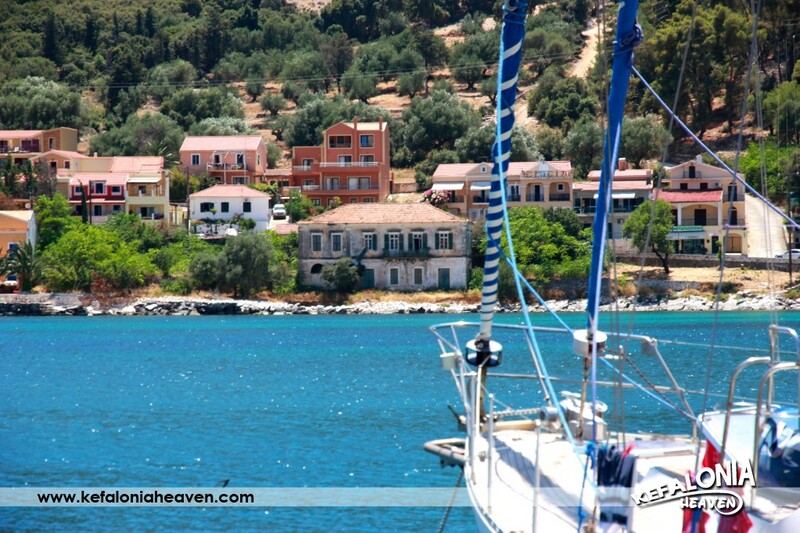 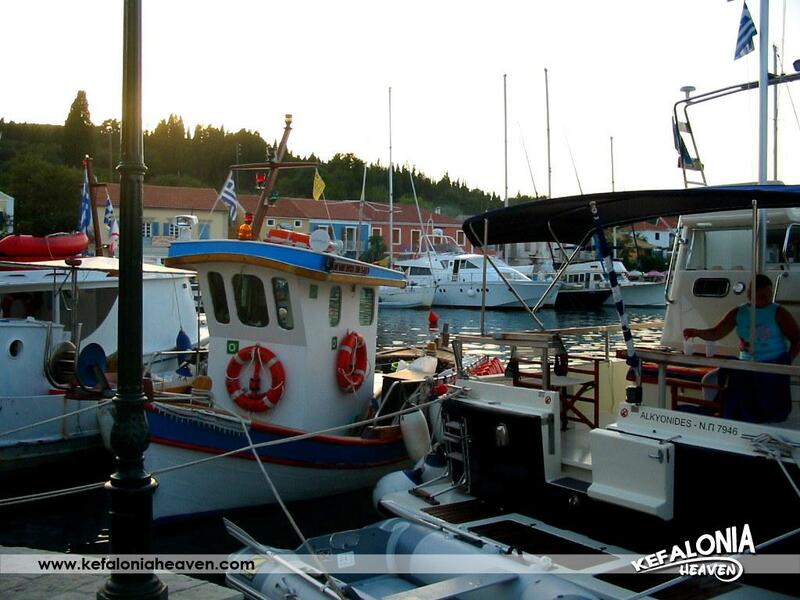 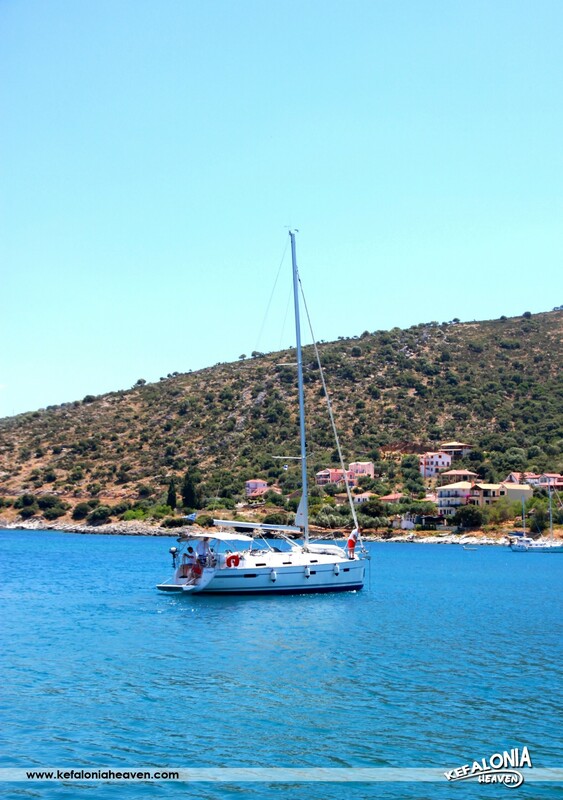 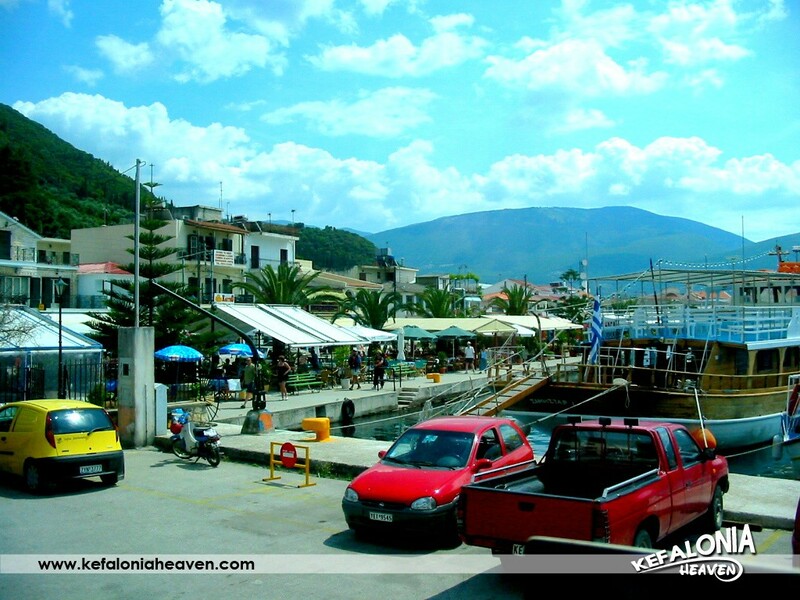 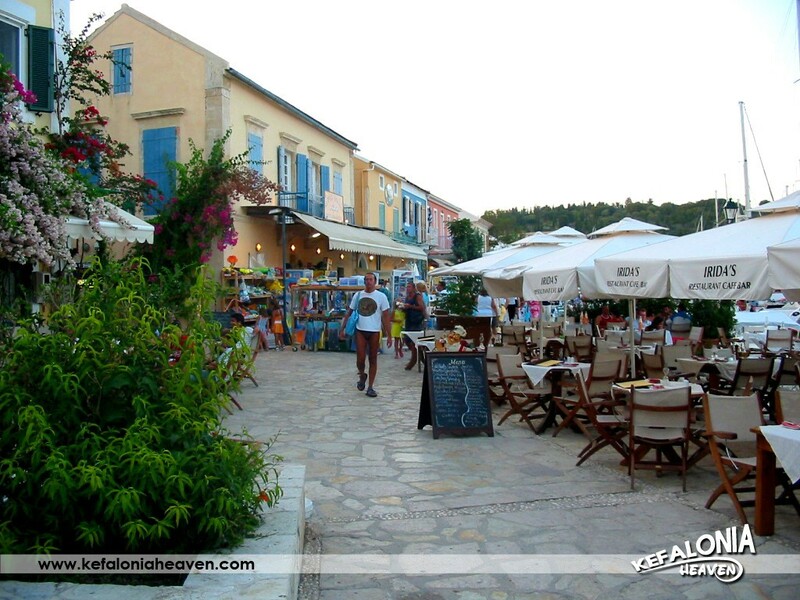 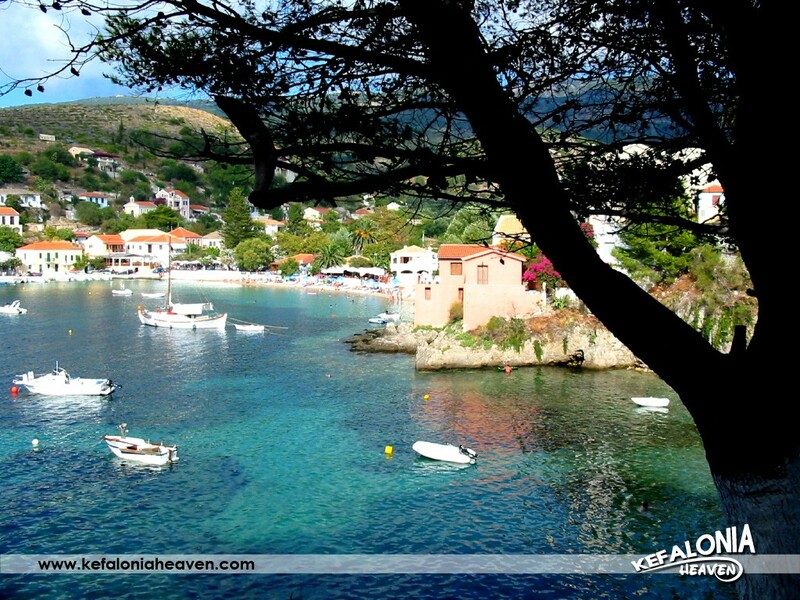 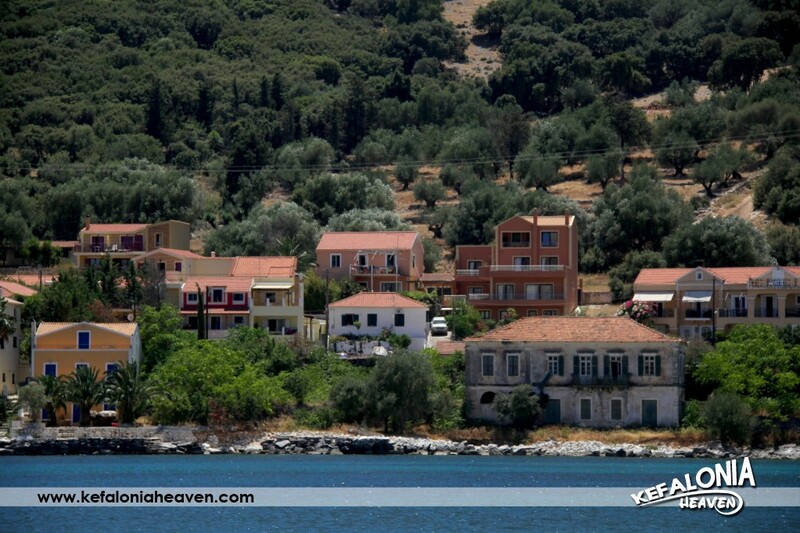 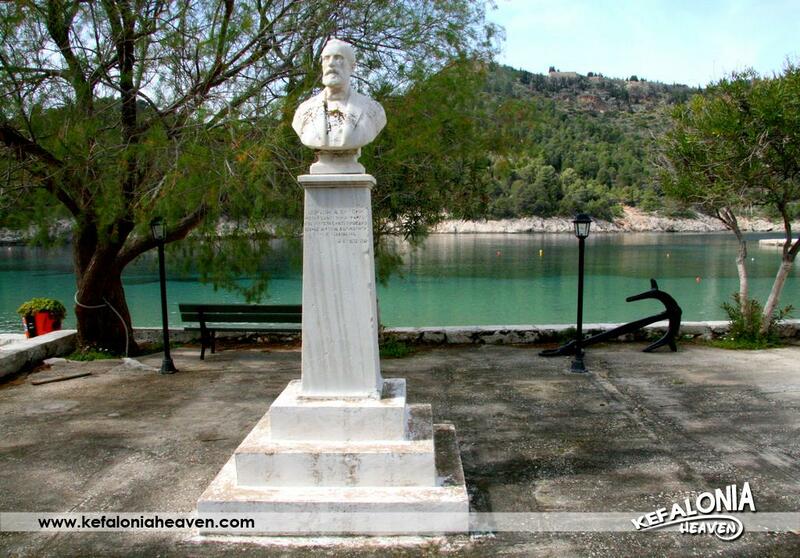 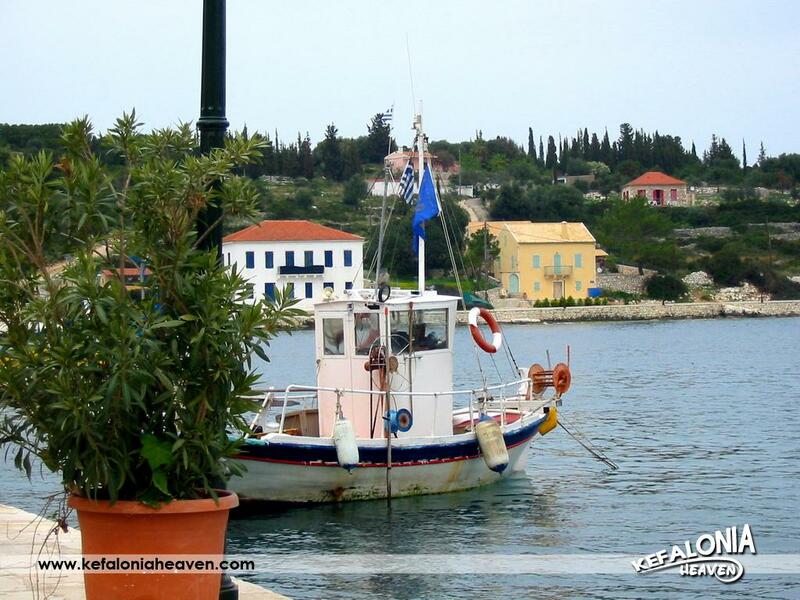 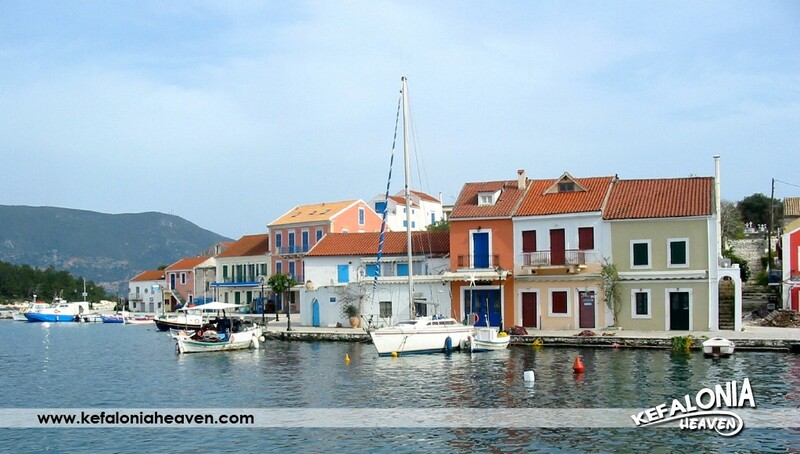 Ratzakli is located in the general area of Poros and, more specifically, it’s a picturesque village just before Skala. 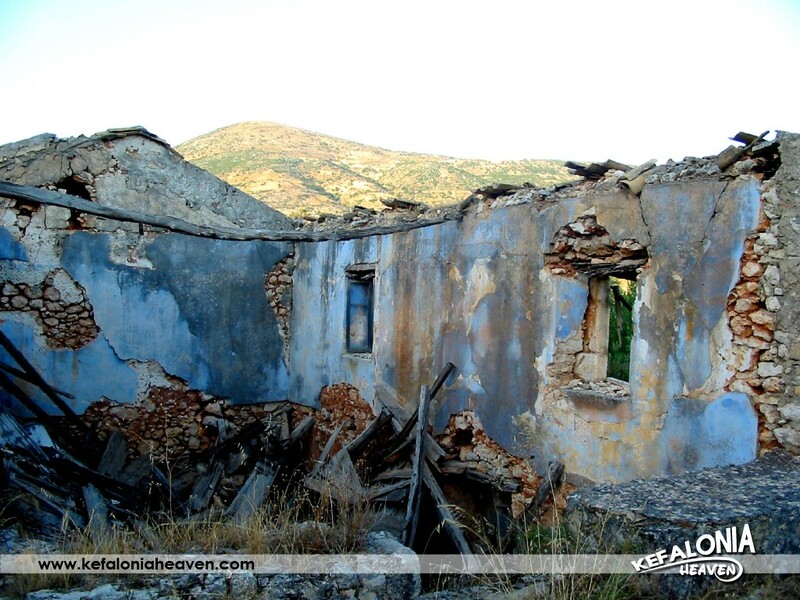 Before the earthquake, the village had quite a few residents, but now there are only a few permanent inhabitants left. 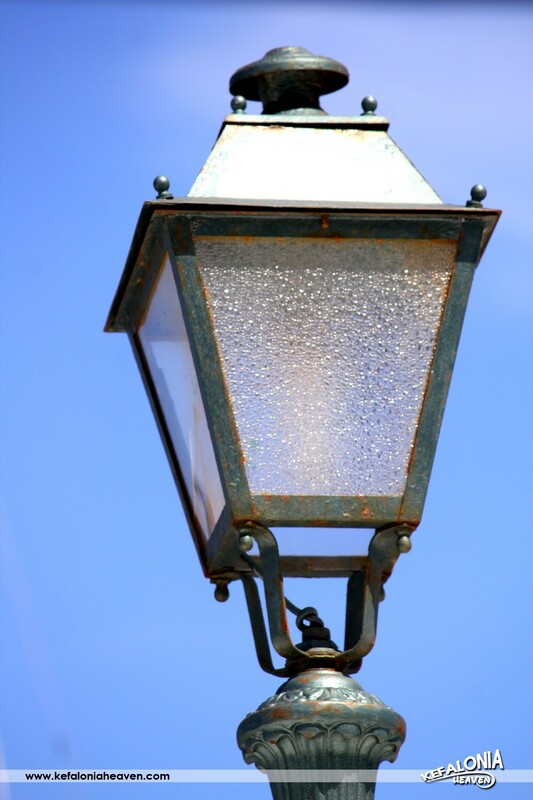 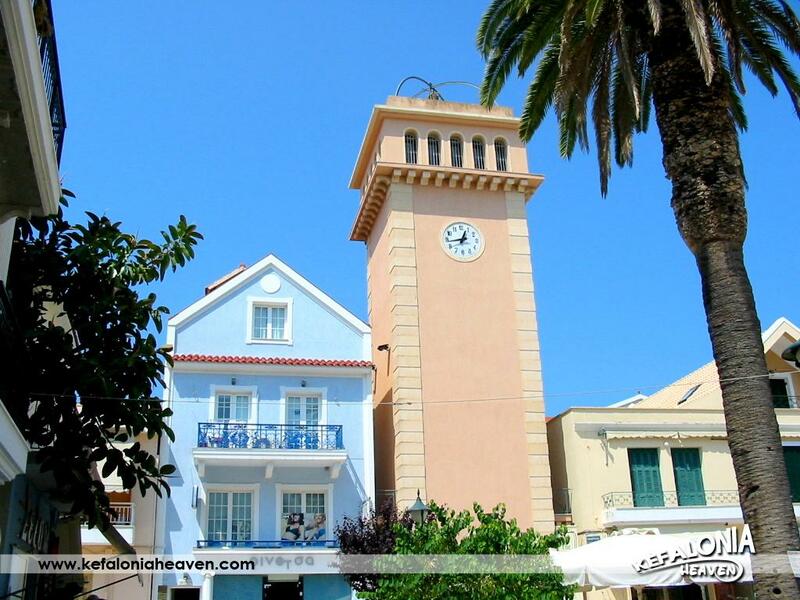 The village’s name derives from the word ratzat which means raisin, as the village produced great amounts of raisins, to a point where exports were made, when it was bustling with life. 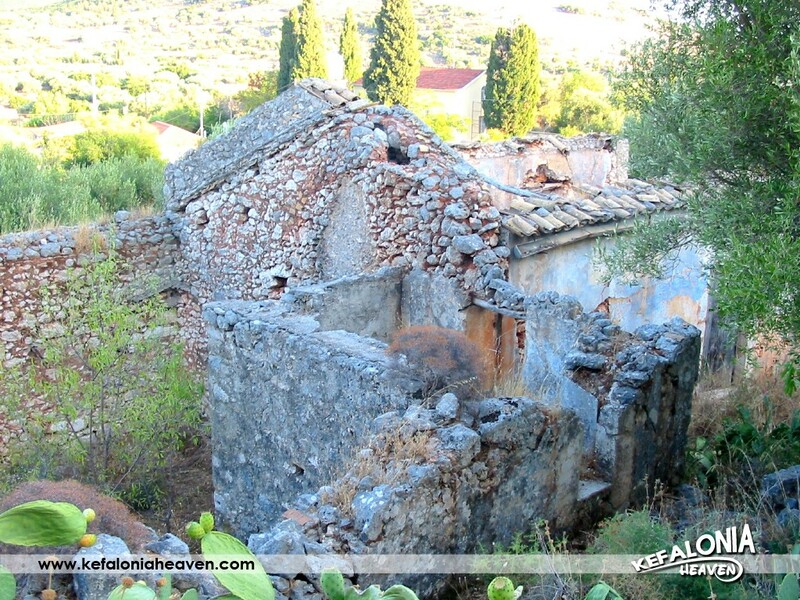 A characteristic feature of the village is that all the houses have terracotta-tiled roofs, which is explained by other historical facts of the area. 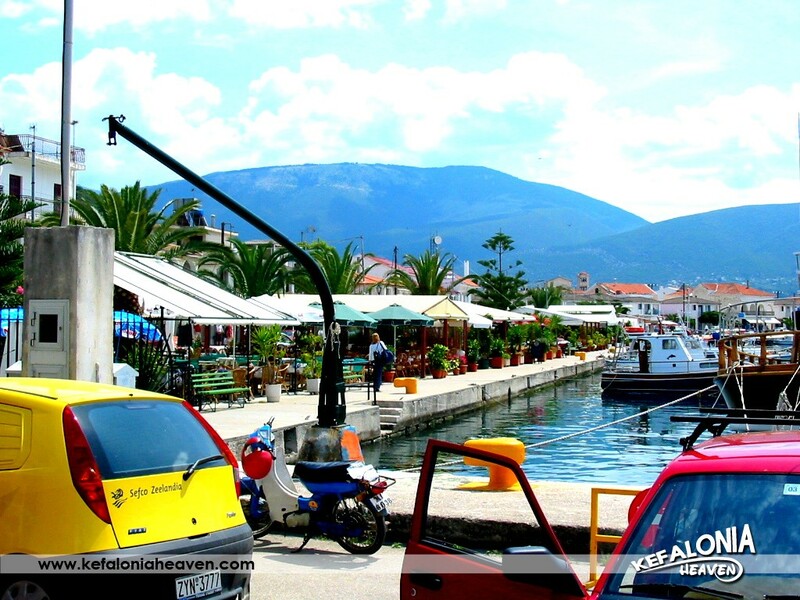 In the recent years, it has known a great tourism development, as quite a few small units have been built, as well as permanent houses of people from abroad who come to reside here. 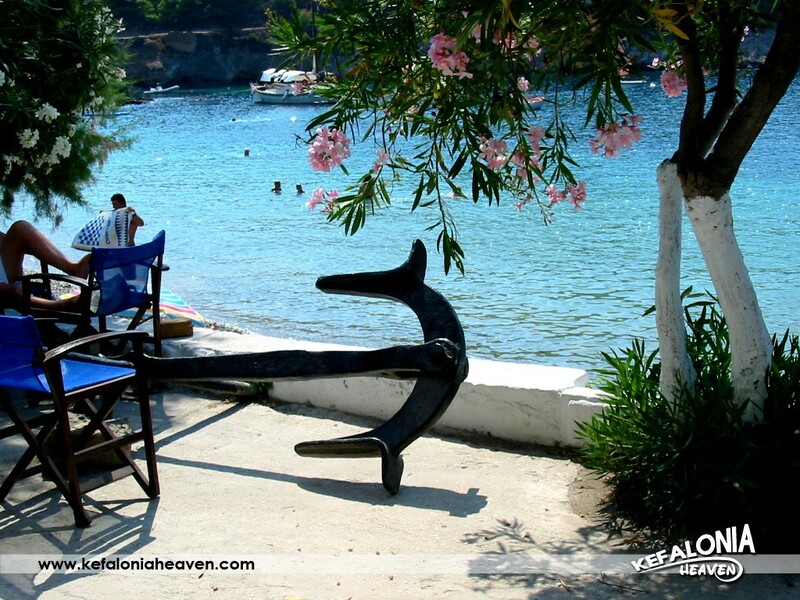 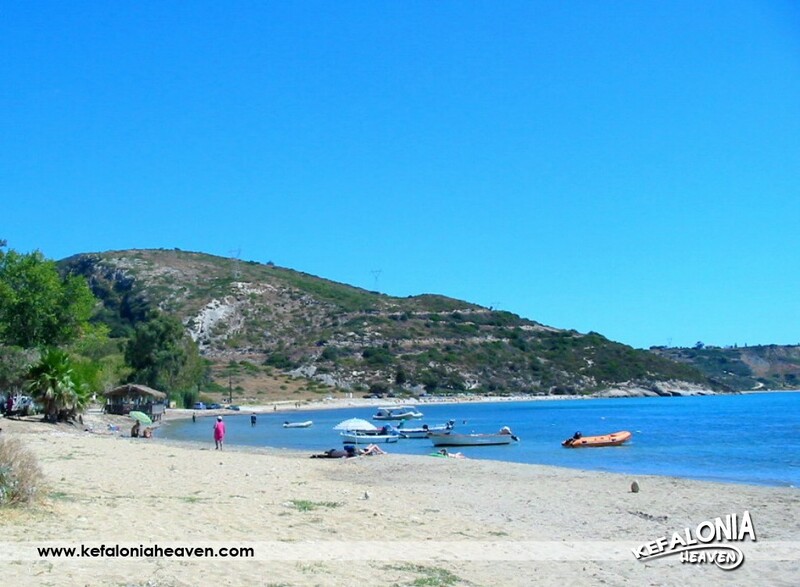 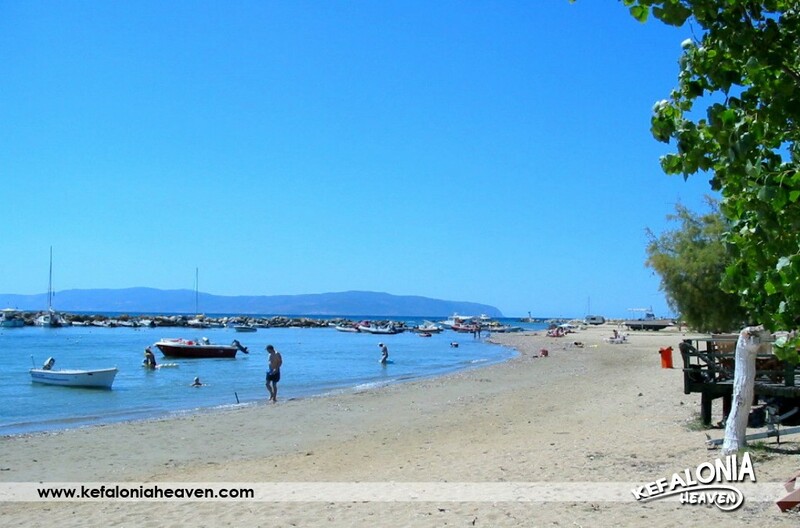 Next to Ratzakli is Kaminia, one of the most beautiful and yet calm, sandy beaches of the island. 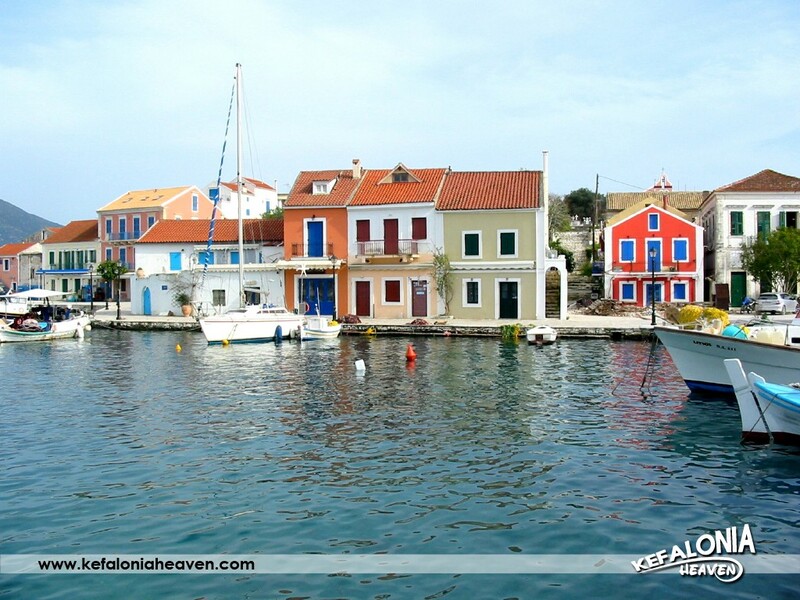 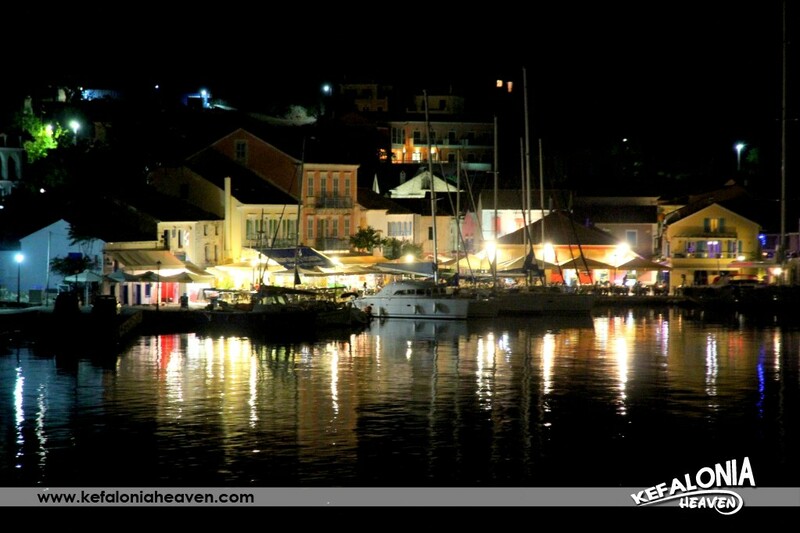 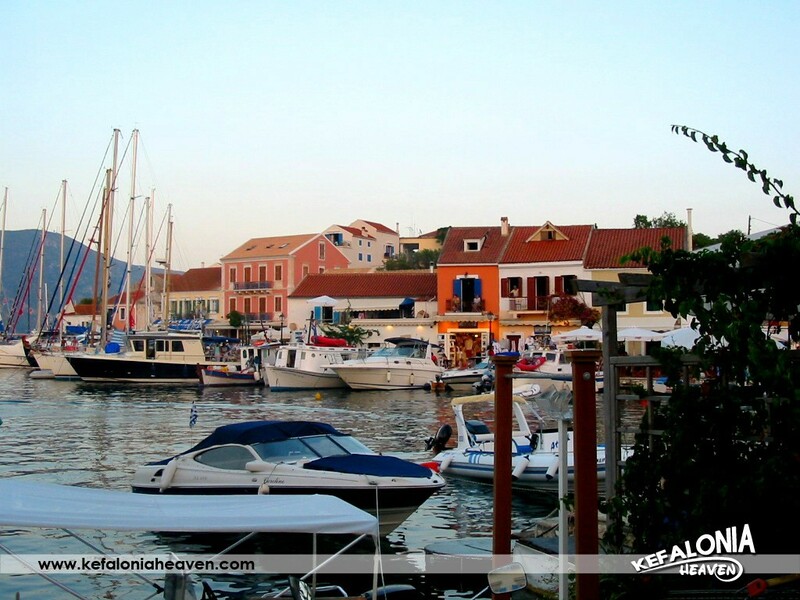 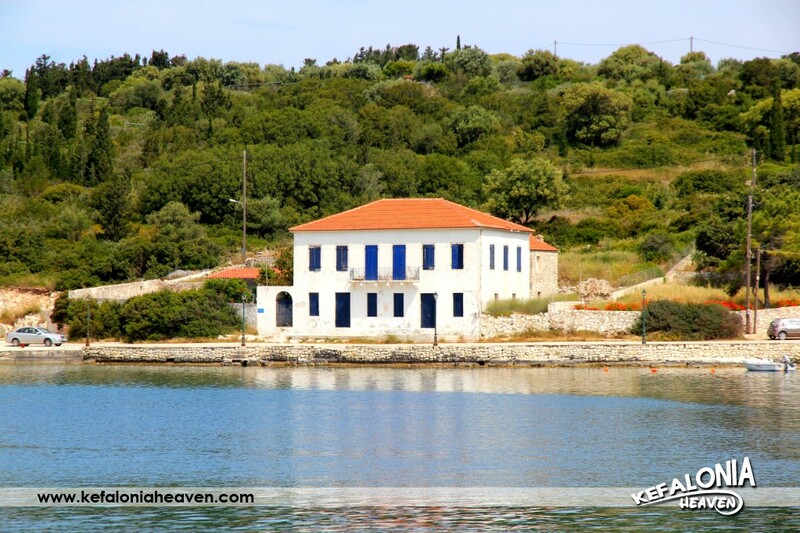 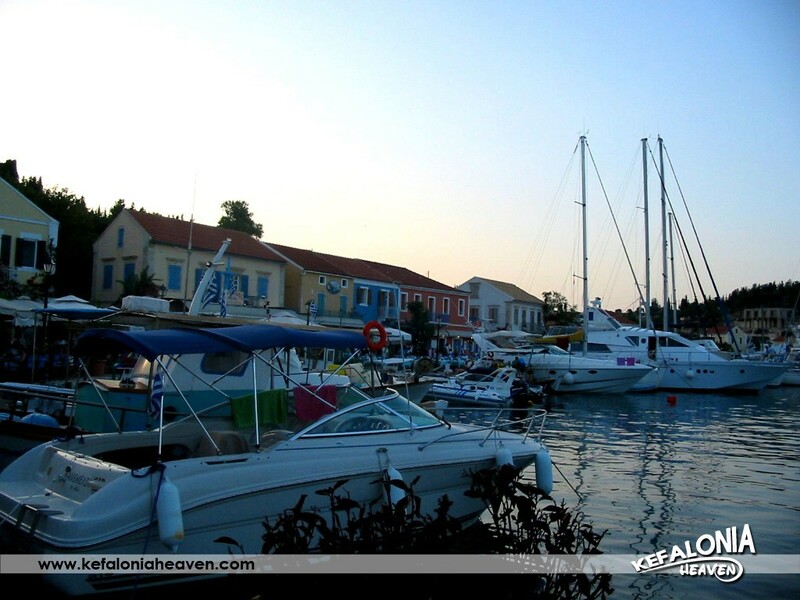 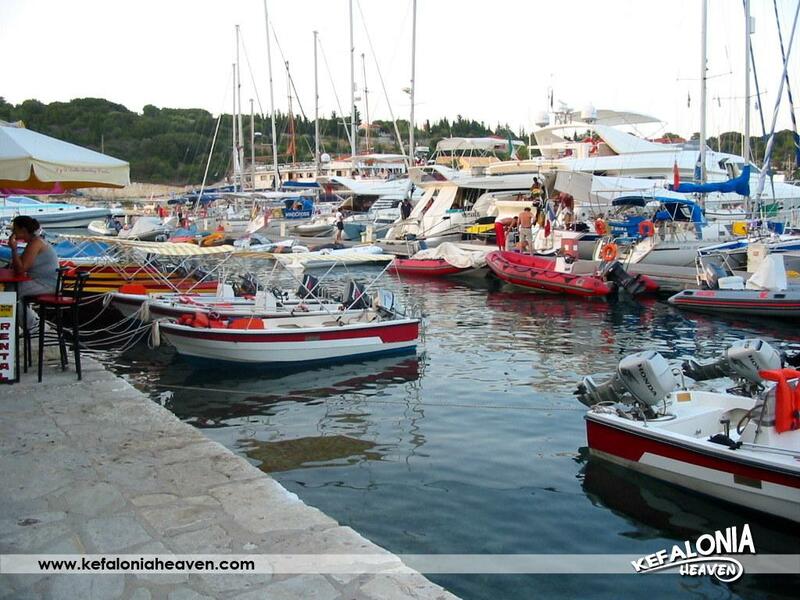 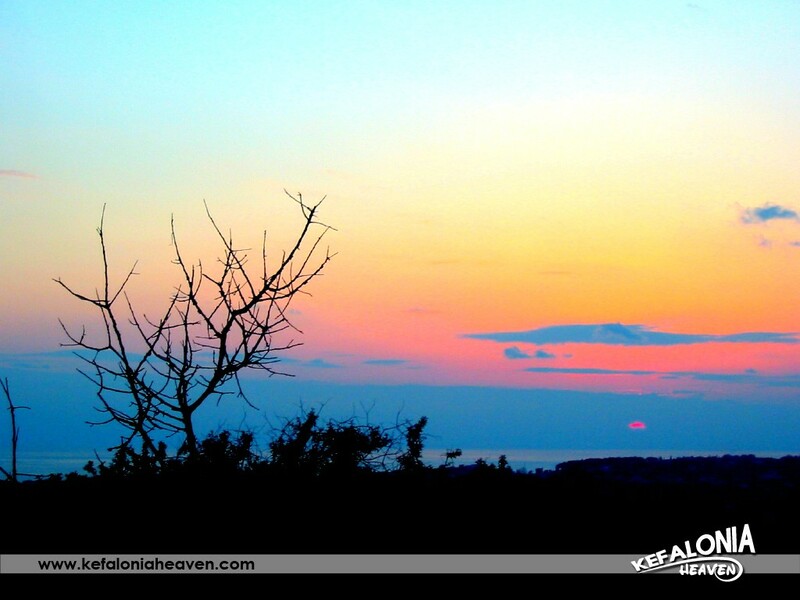 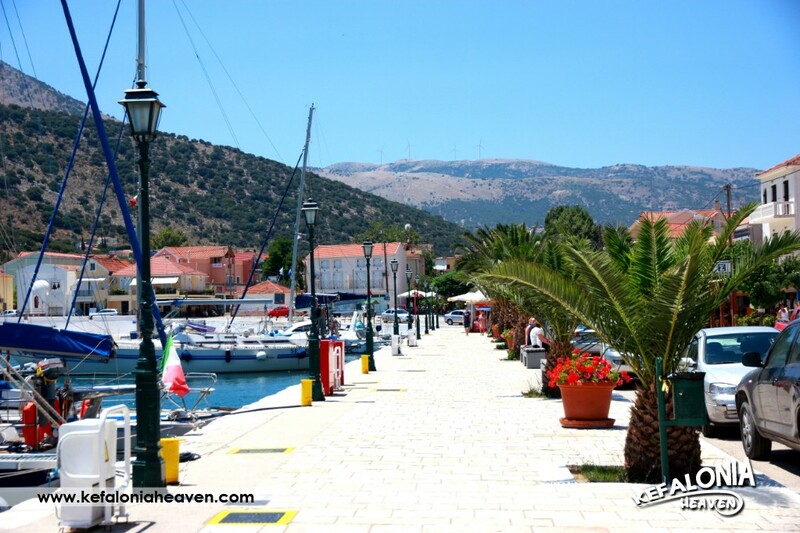 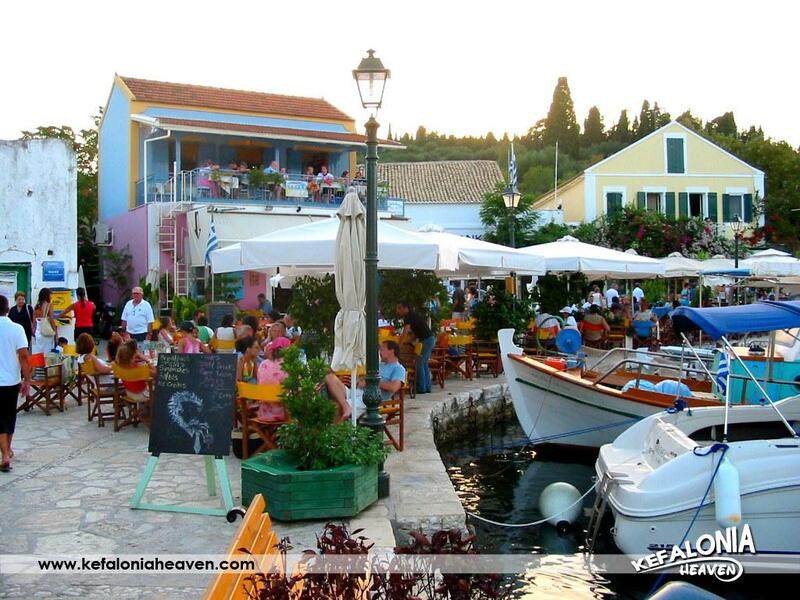 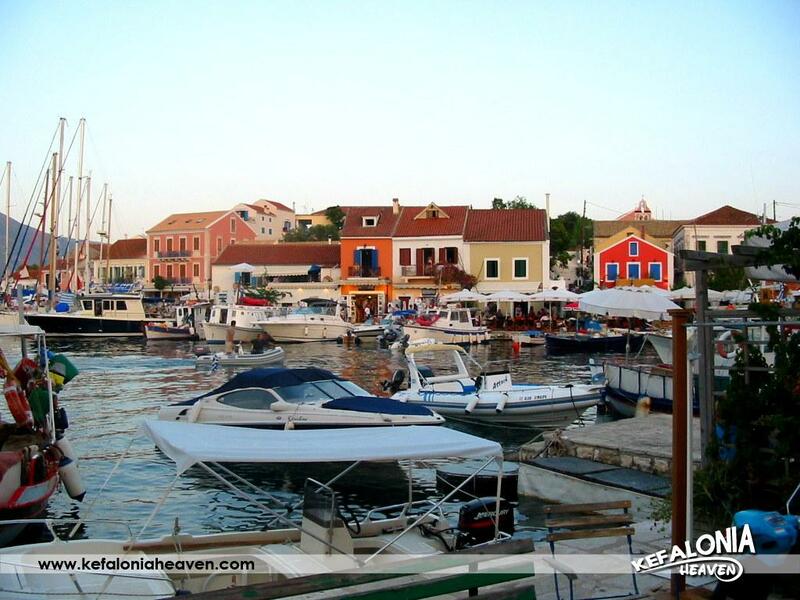 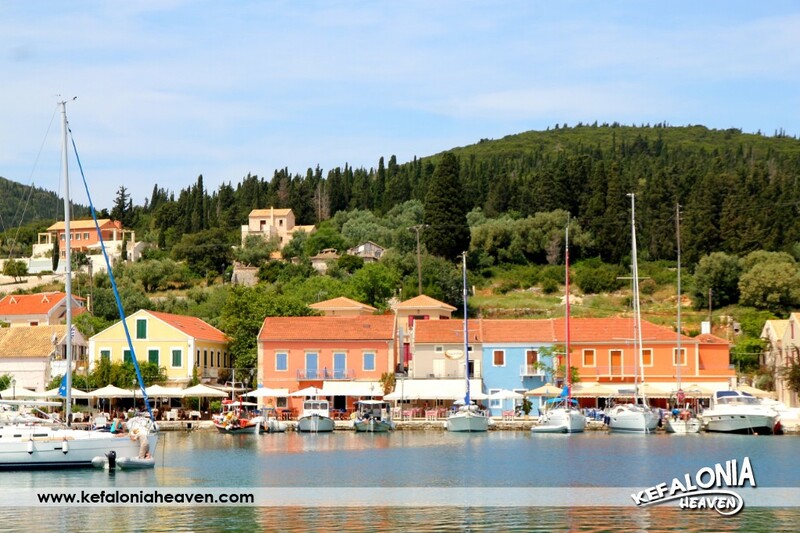 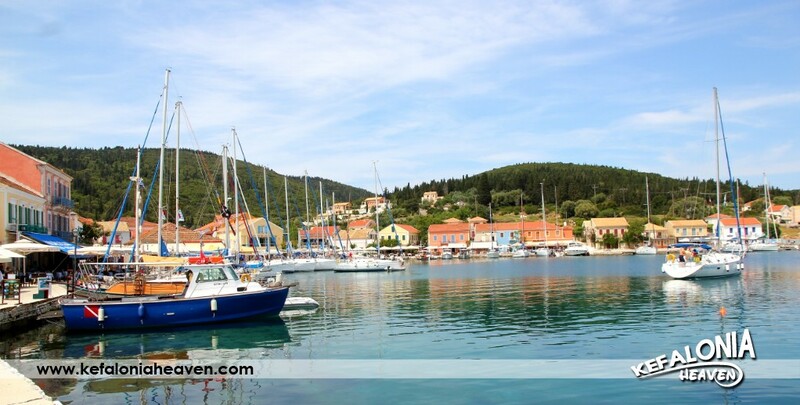 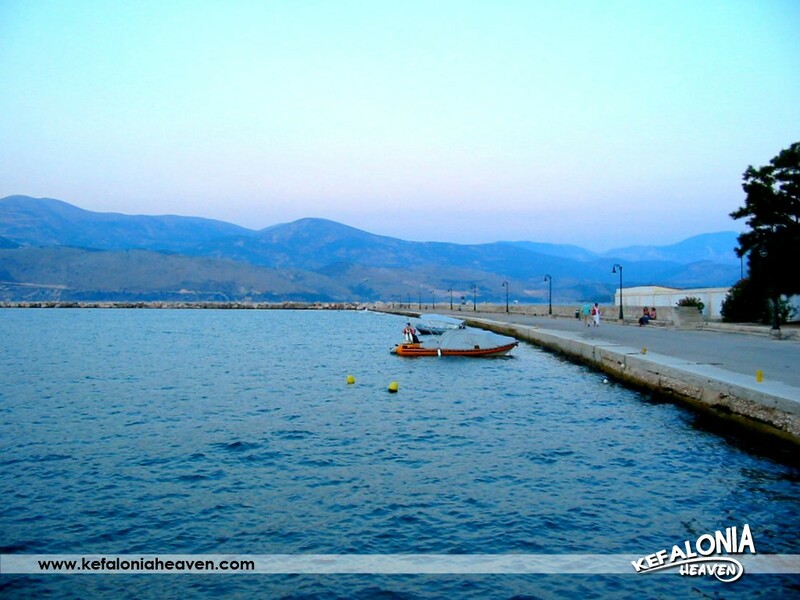 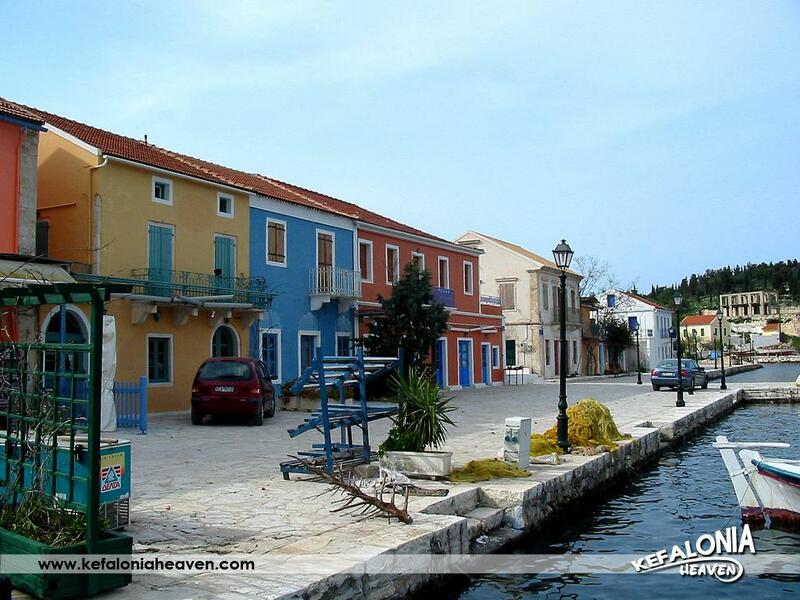 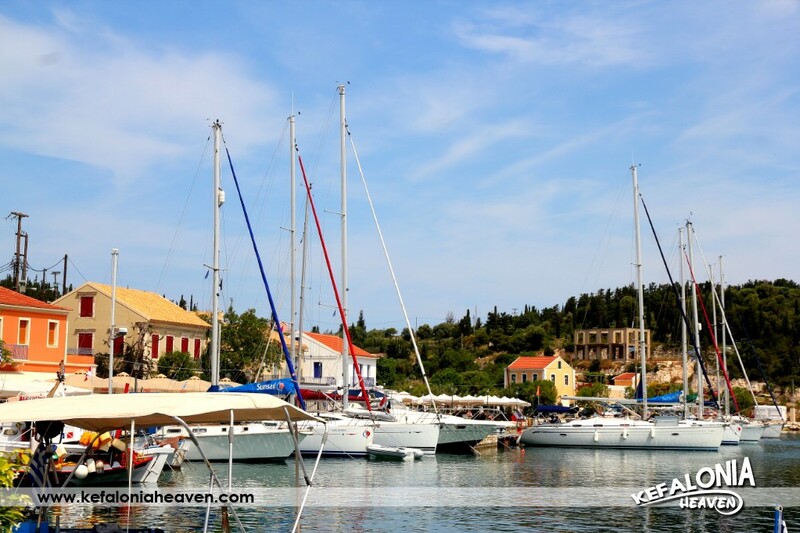 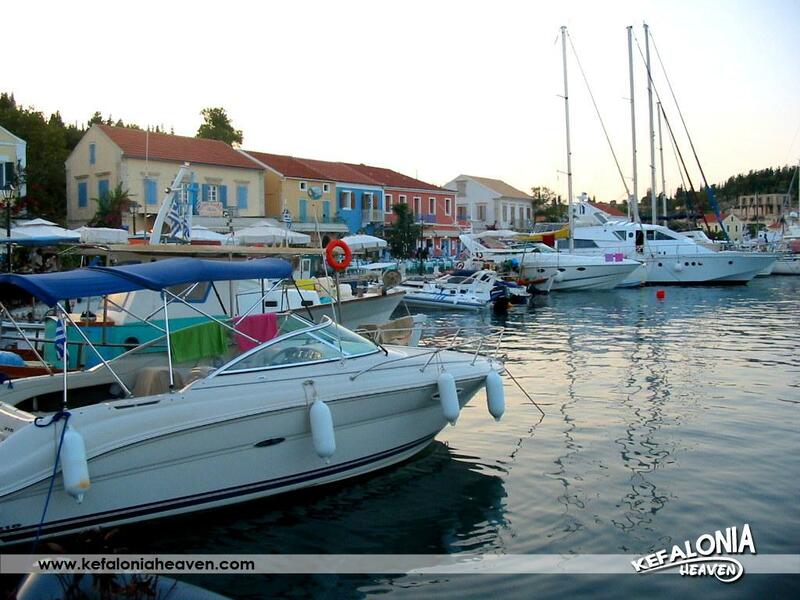 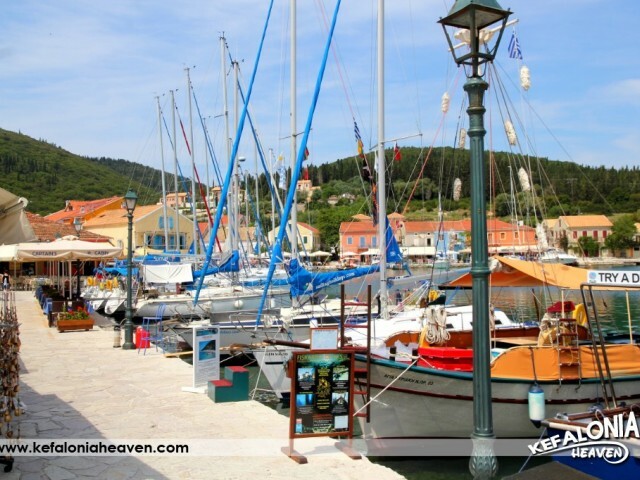 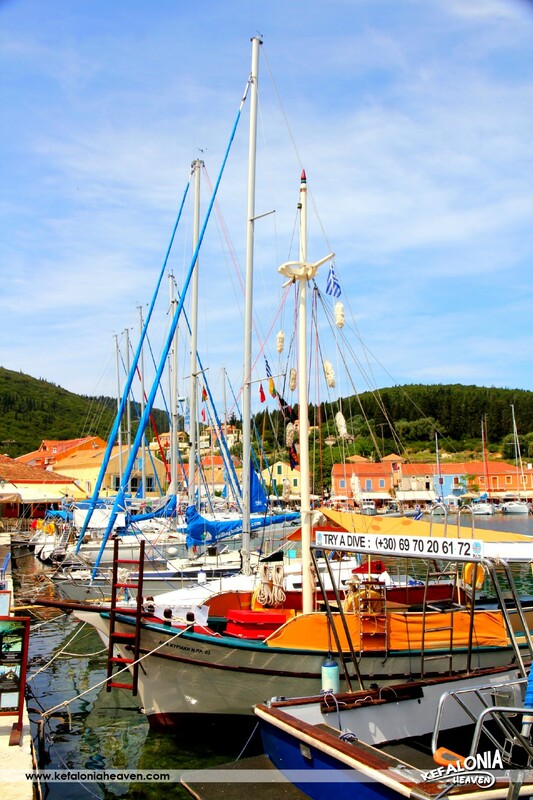 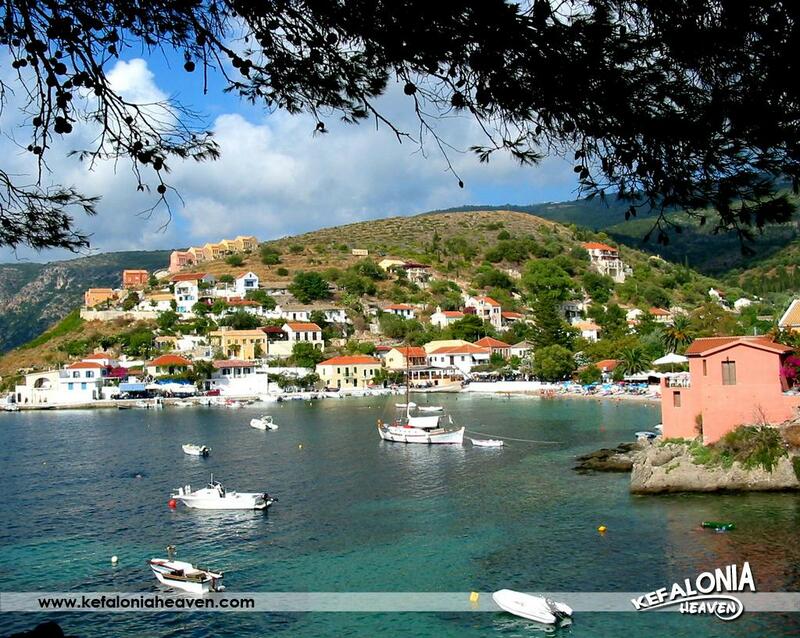 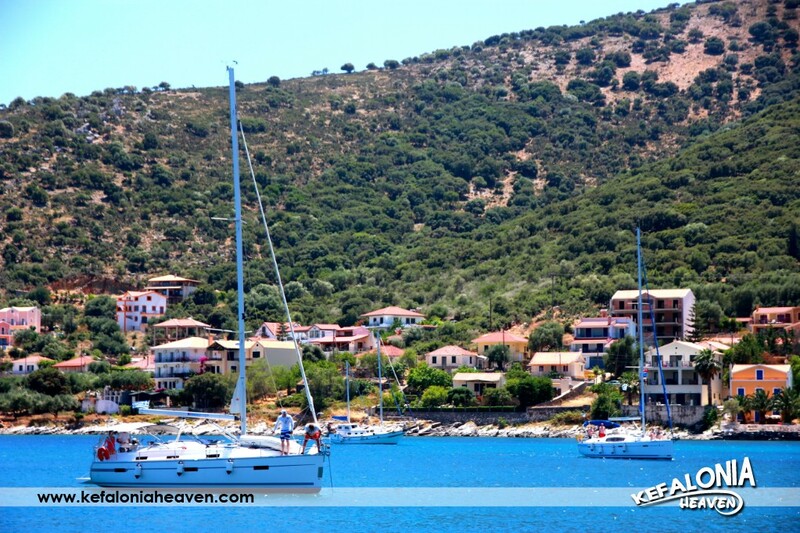 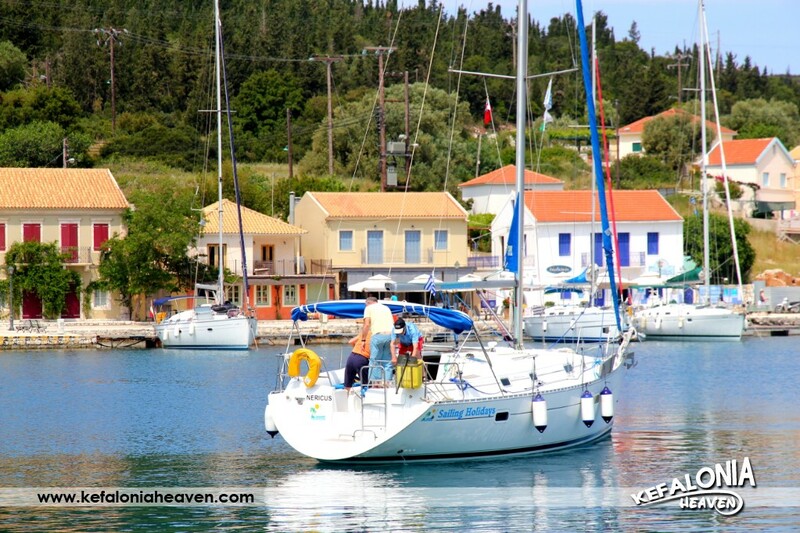 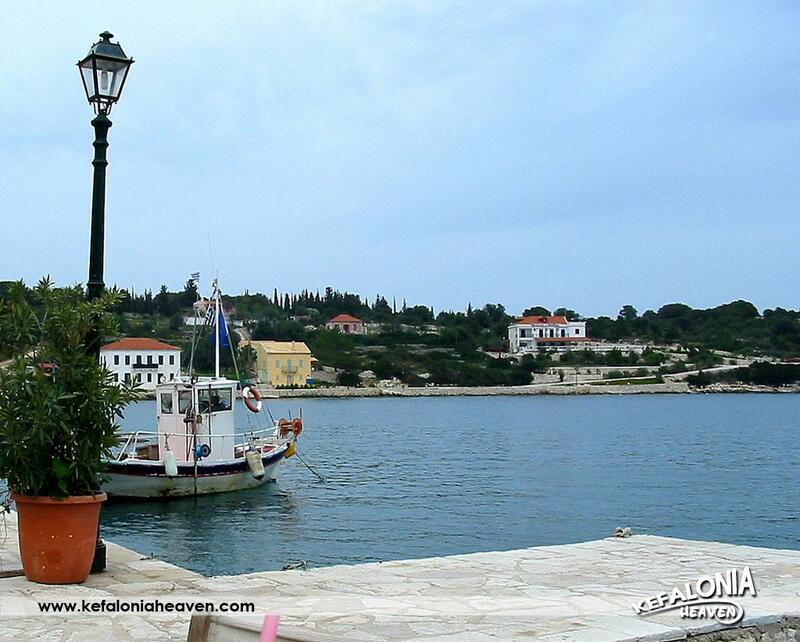 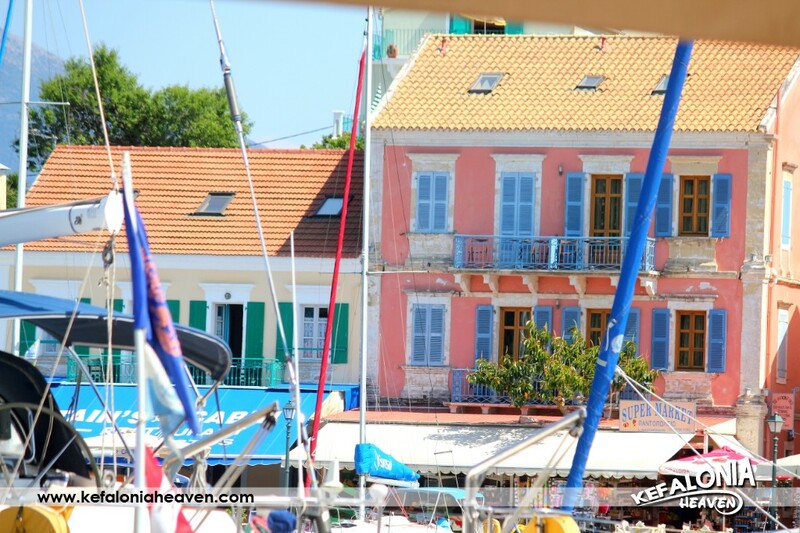 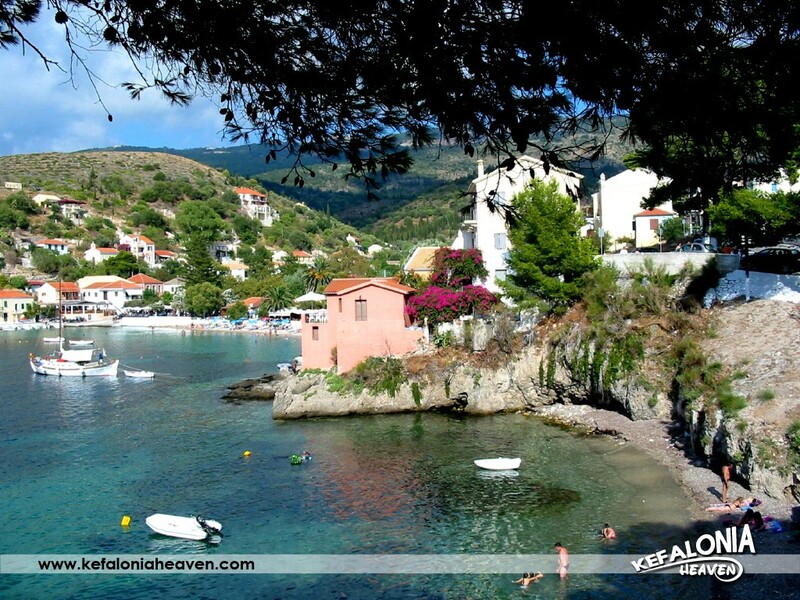 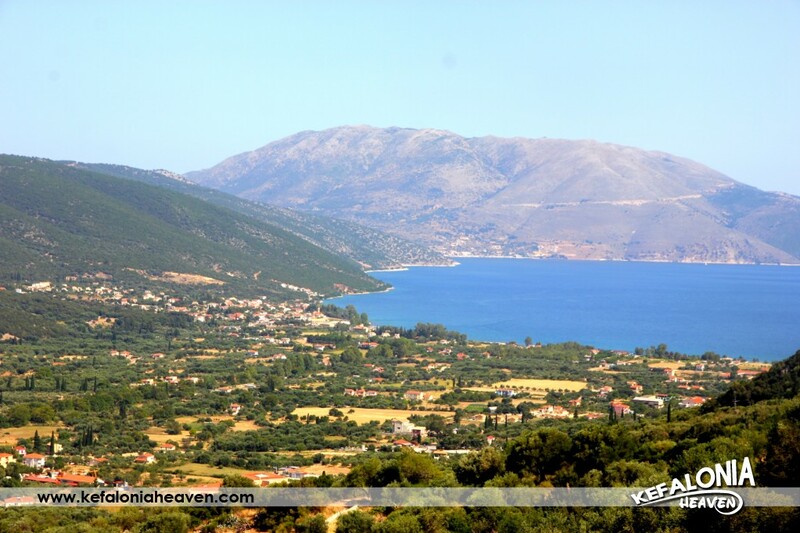 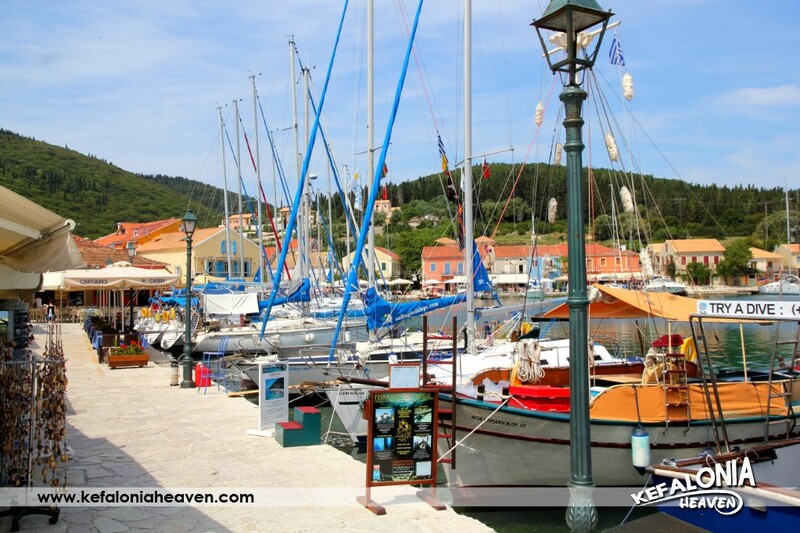 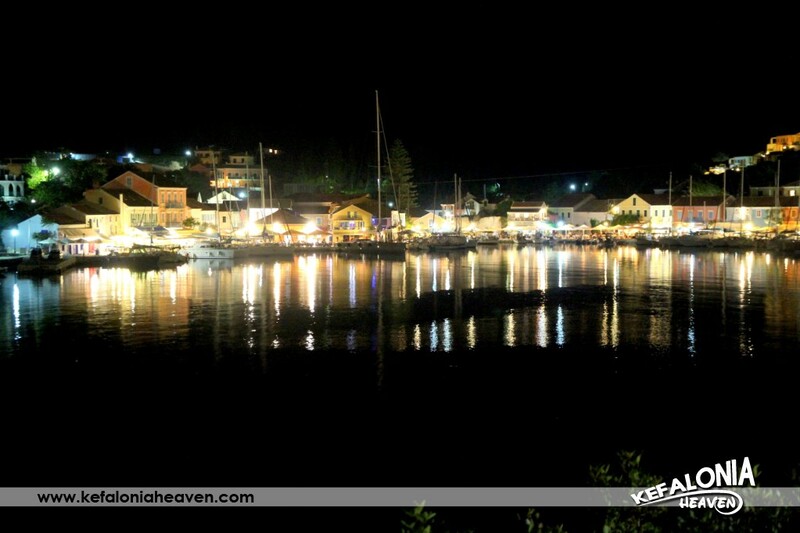 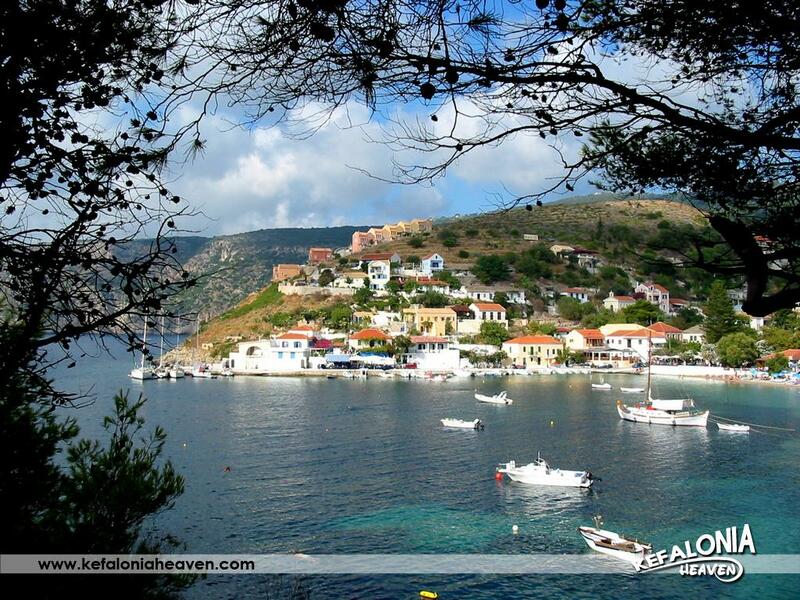 Pessada is a small beautiful seaside village located on the southern coast of Kefalonia. 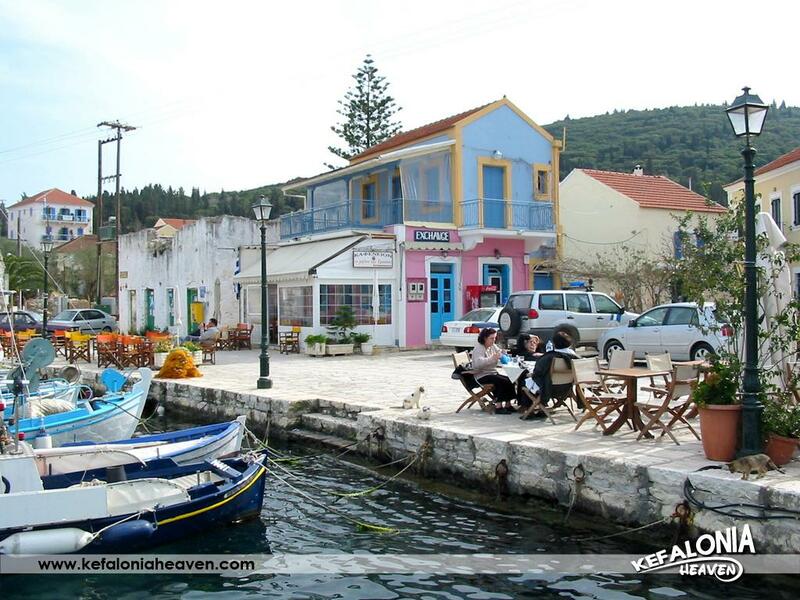 The village has a small harbour separated in two estuaries. 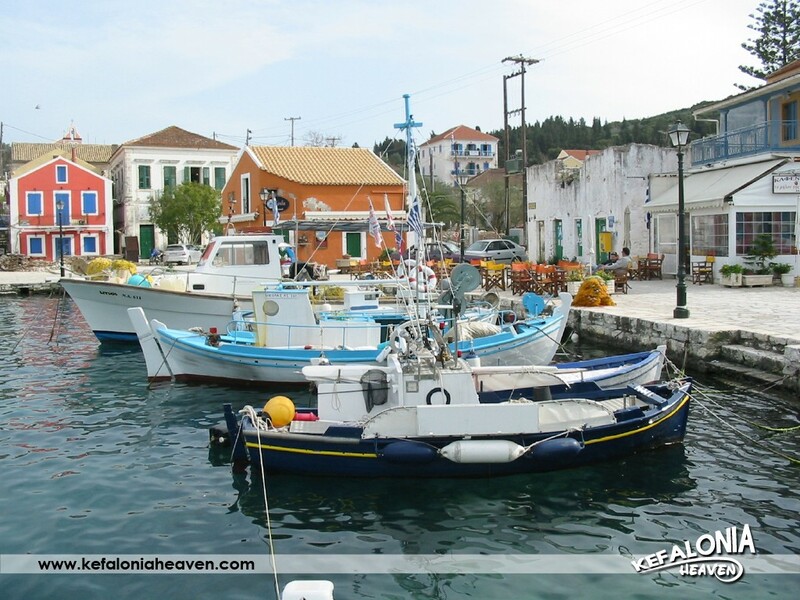 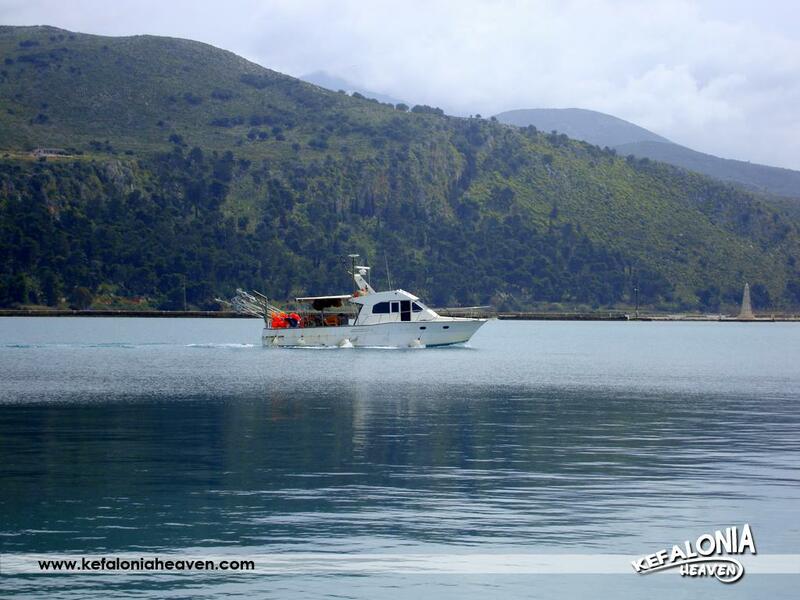 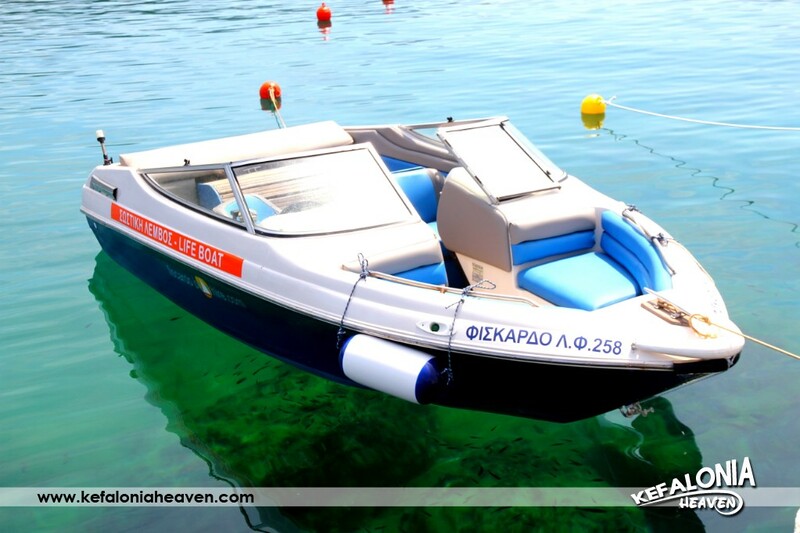 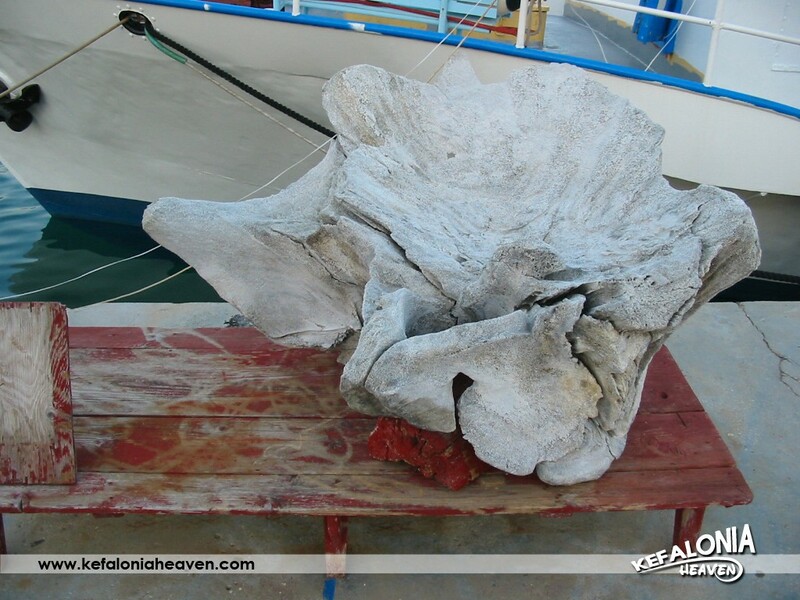 One of them is used by the locals for fishing and there many fishing boats moor, while in the other estuary moors the boat which links Kefalonia with Zante. 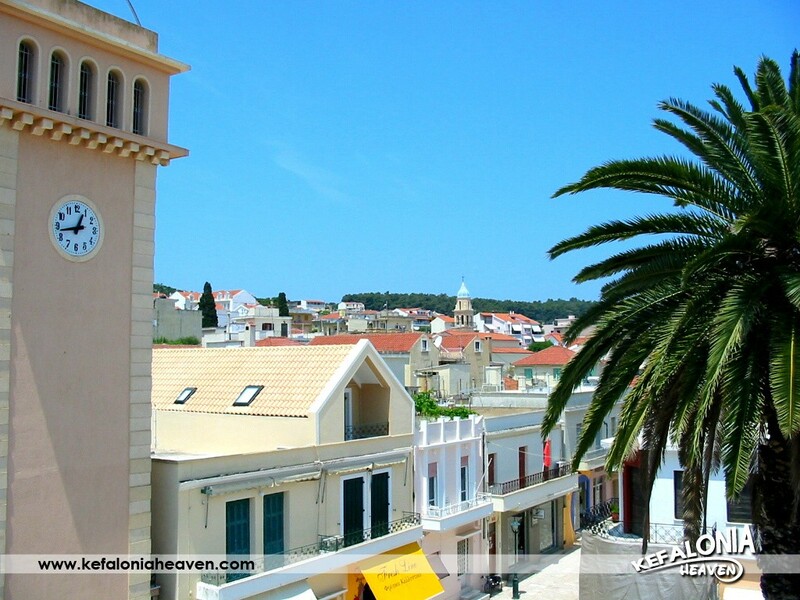 The village is cosmopolitan as its inhabitants are considered to have travelled all over the world due to the commerce, whilst the view from the village to Zante, the Castle and Enos is striking. 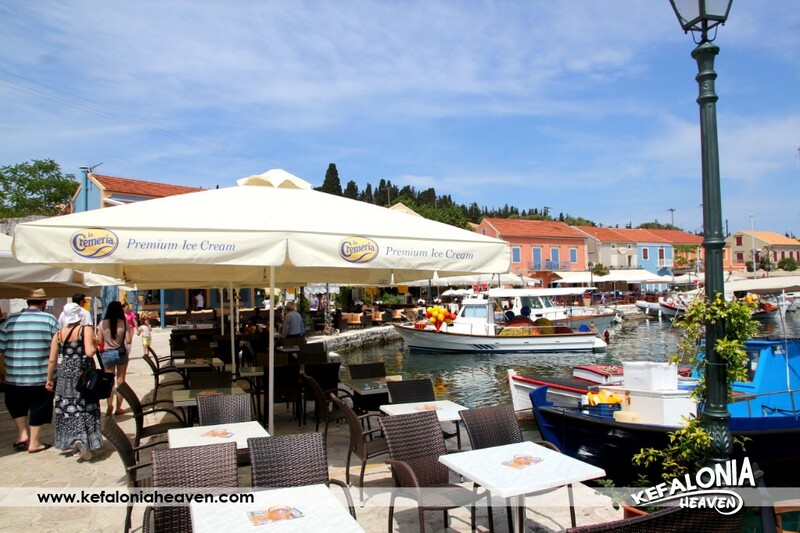 Pessada has a mini market and a canteen on the harbour but in very close distance from both beaches. 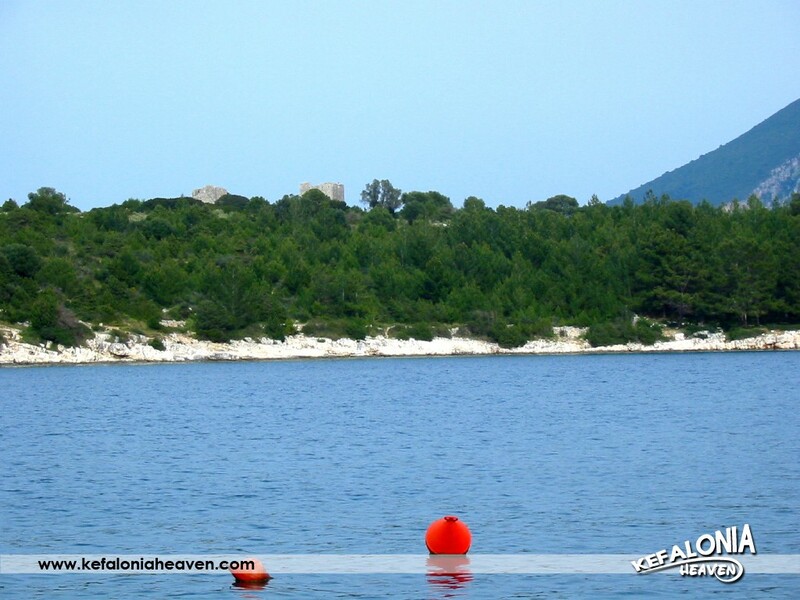 It also has two small beautiful beaches, “Ammo” and “Vrisi”.The clear blue water in combination with the ever green environment that surround it offer to the visitor moments of relaxation and recreation. 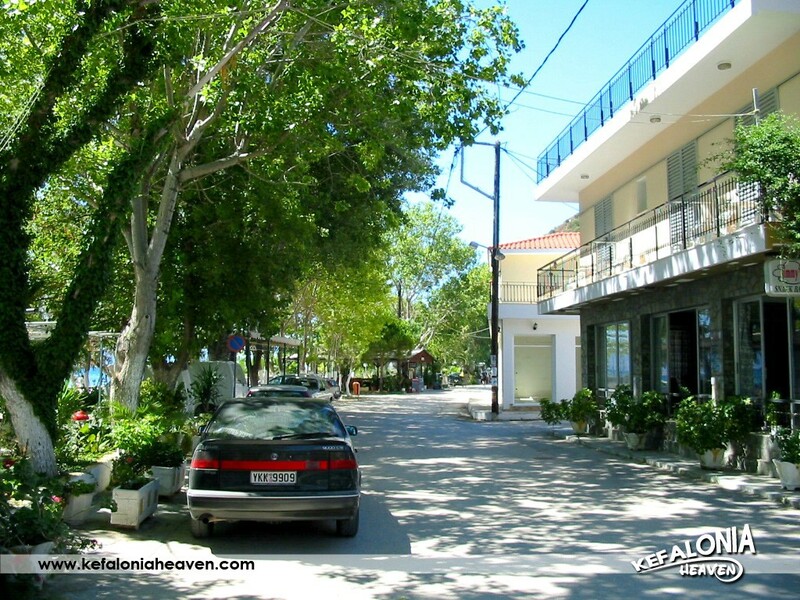 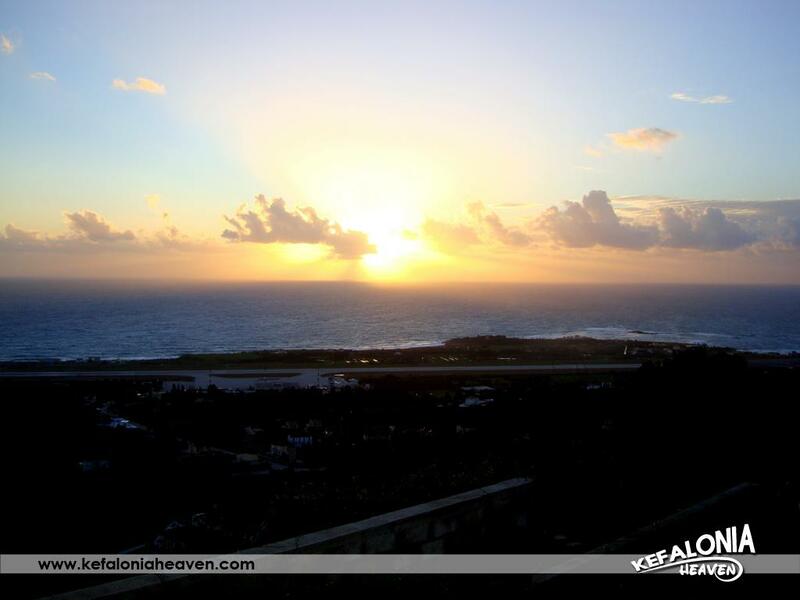 Access to the beaches is easy as there is parking space for the vehicles just above the beach. 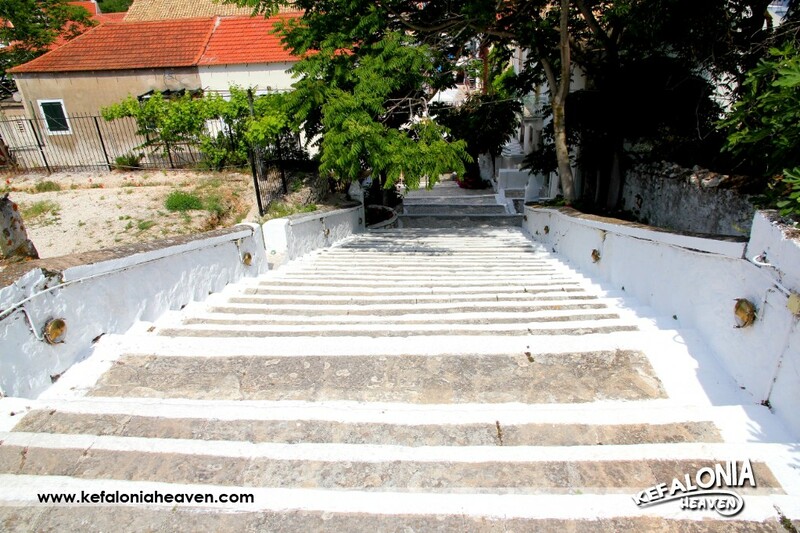 Then, the route is downhill with a few steps where the view is magnificent. 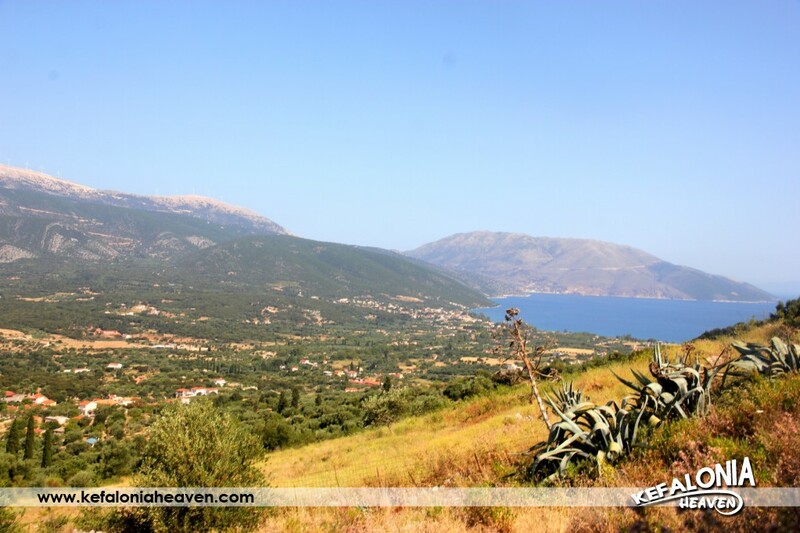 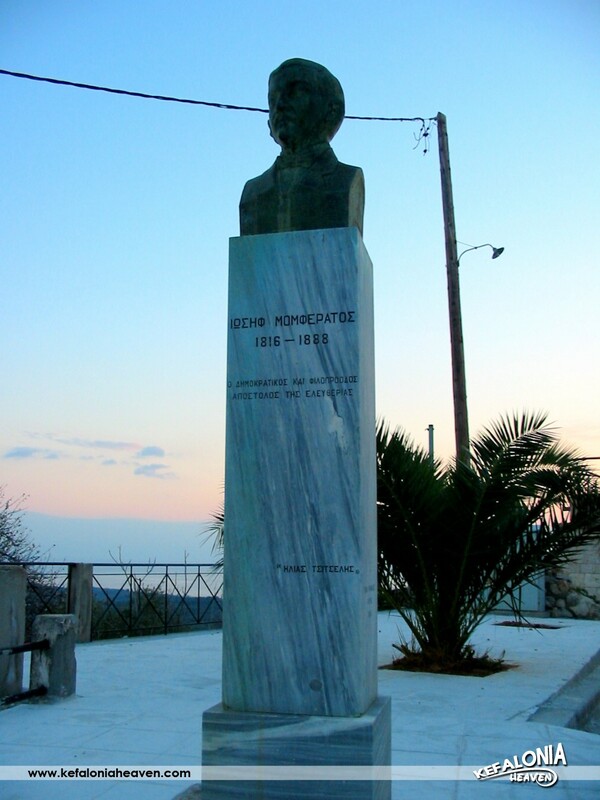 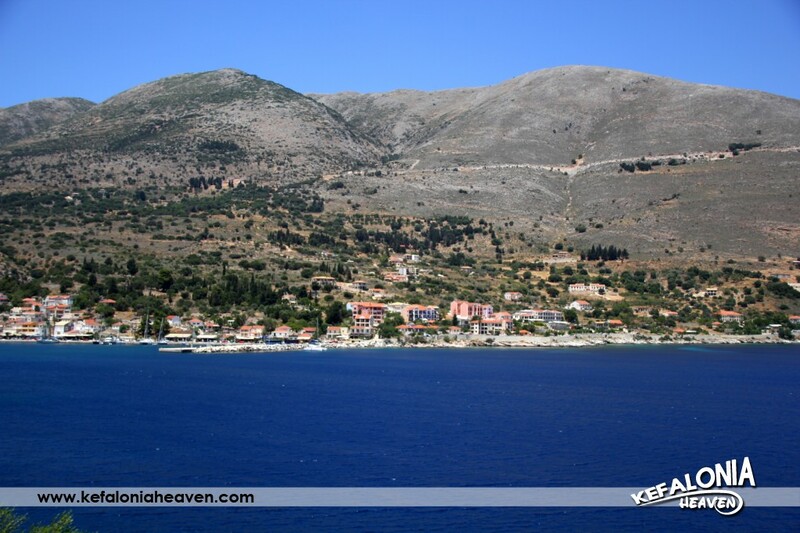 Germenata is in the area of Erisos in northern Kefalonia. 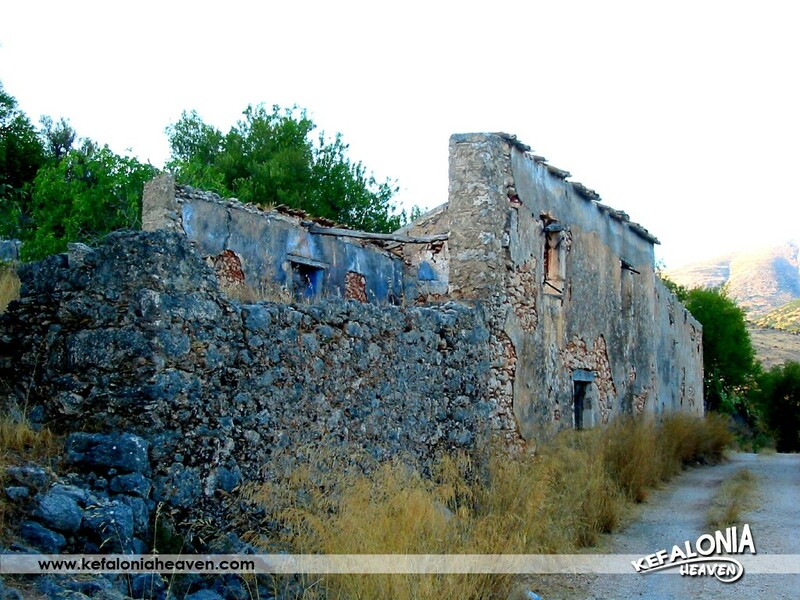 It is one of the most characteristic of the villages of Erisos, filled with old, stone, pre-earthquake houses. 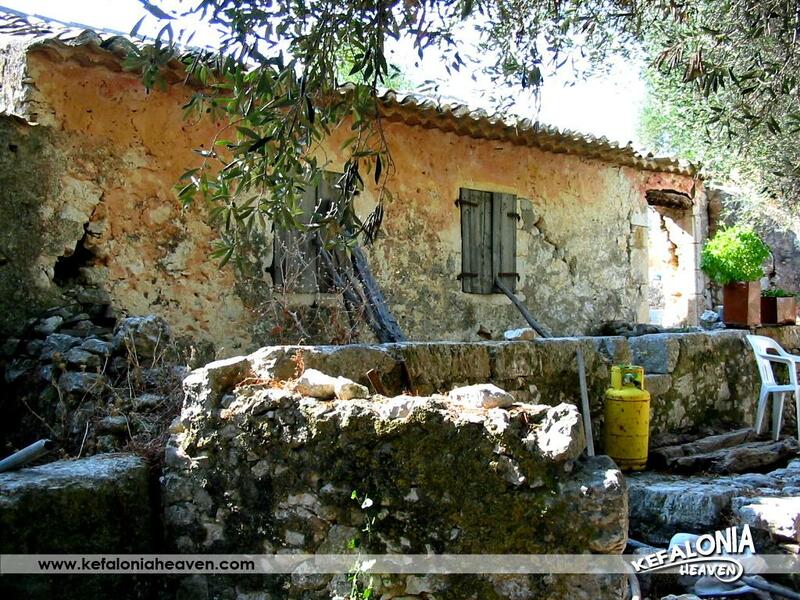 It has actually been characterized as a traditional settlement, with its own special architecture. 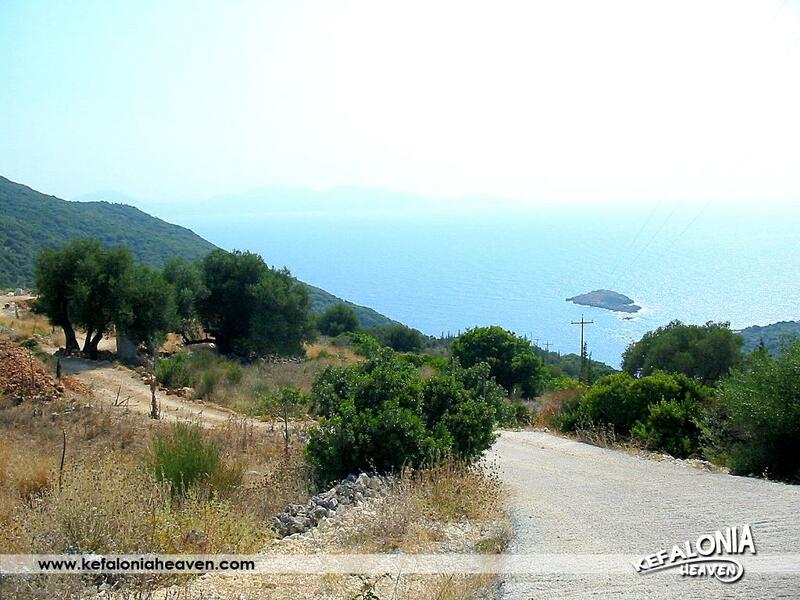 Germenata is right after Antipata on the way to Fiskardo, on the Argostoli-Fiskardo country road. 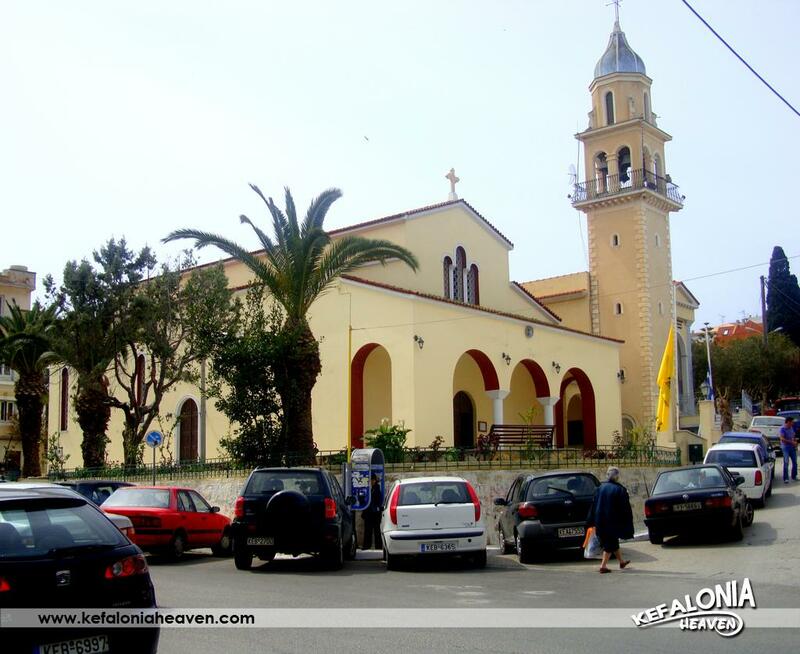 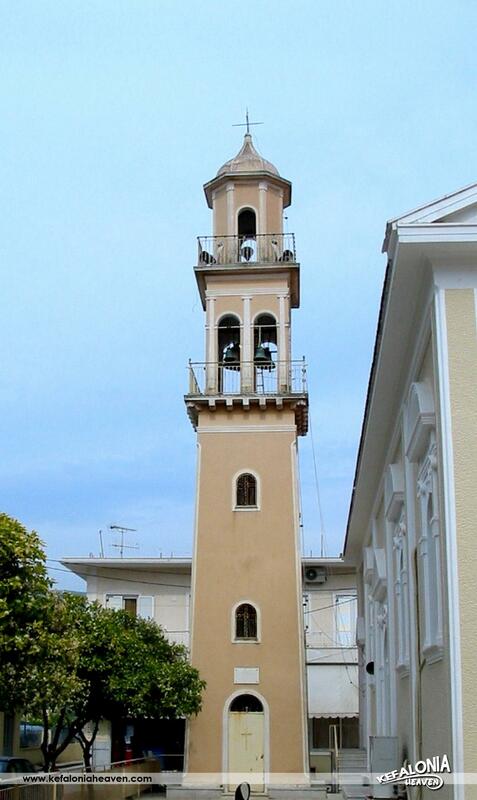 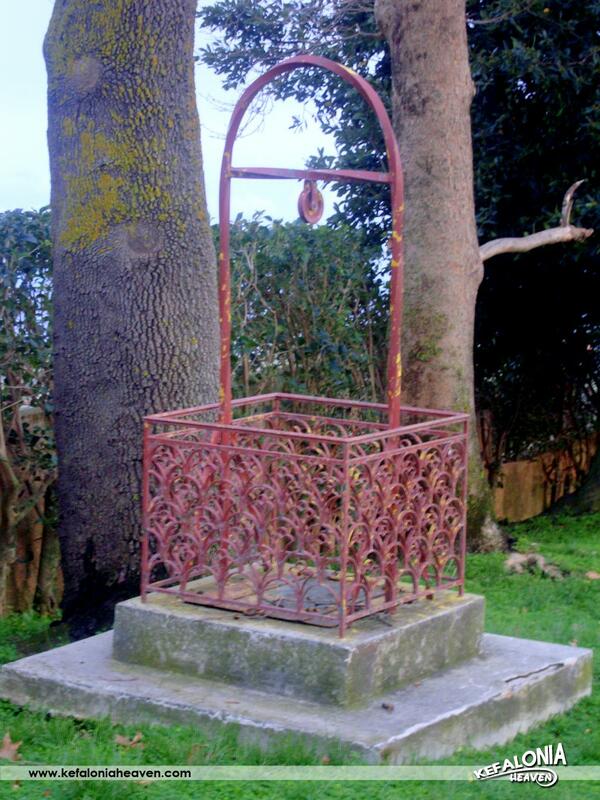 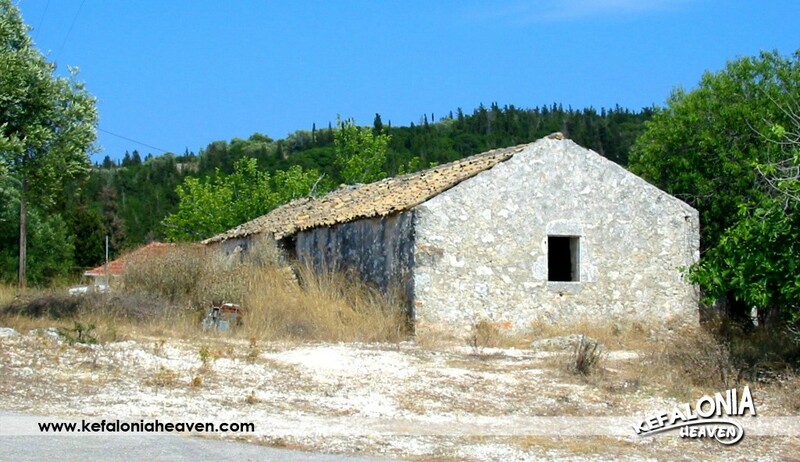 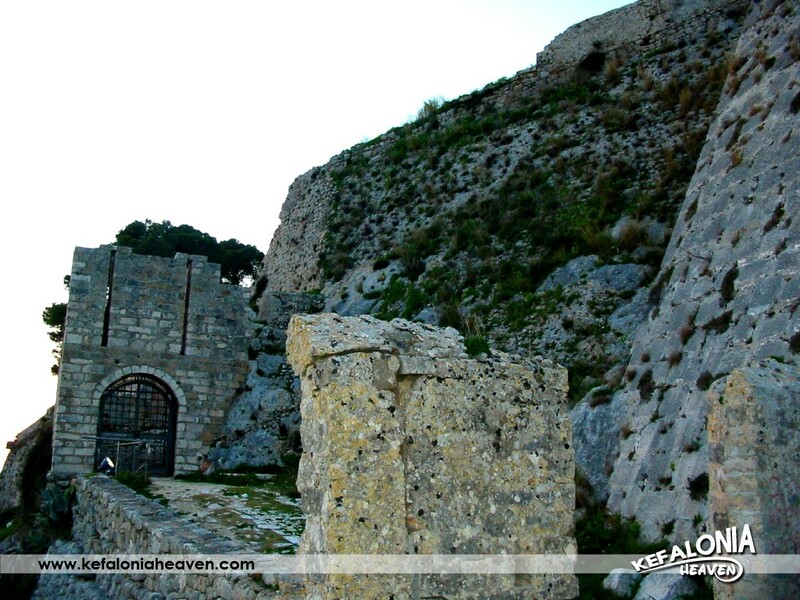 The village can be also reached by a road which begins at the old, well-known church of Antipata. 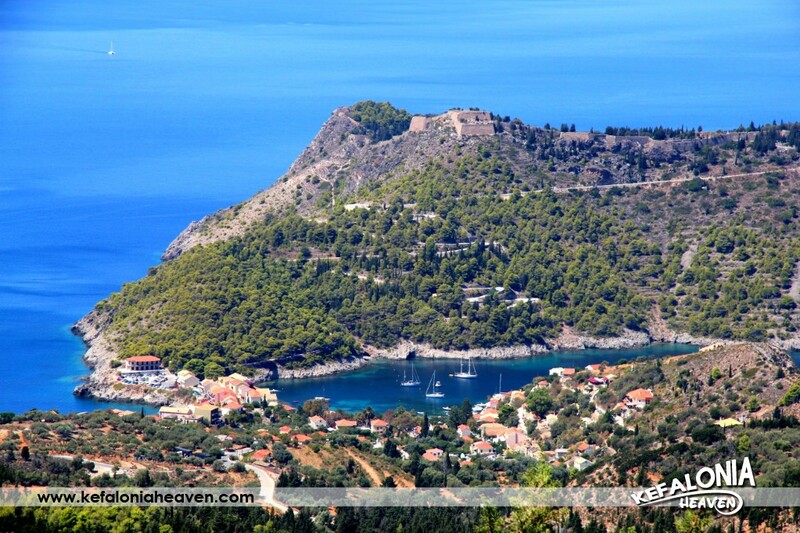 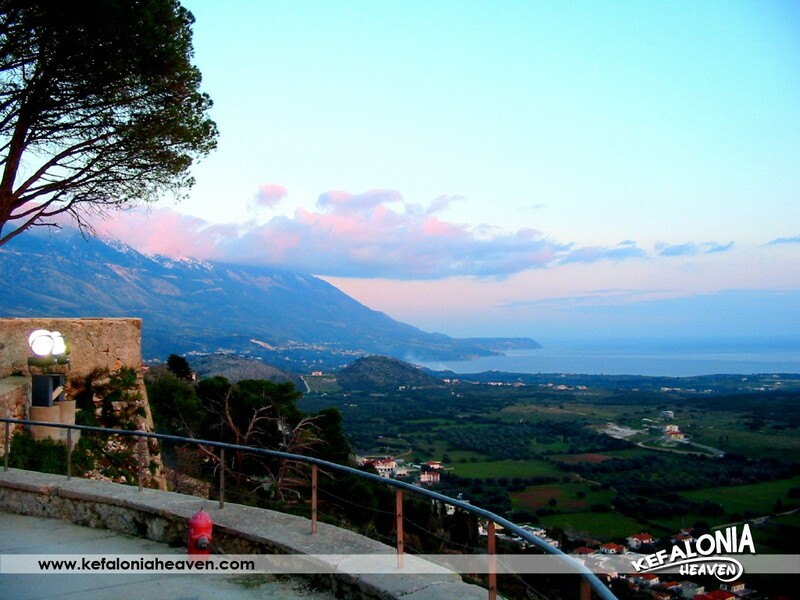 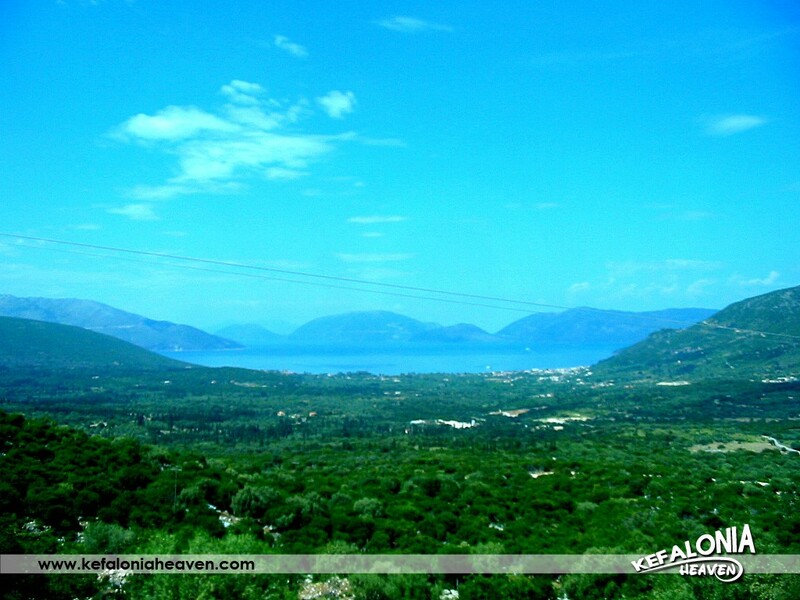 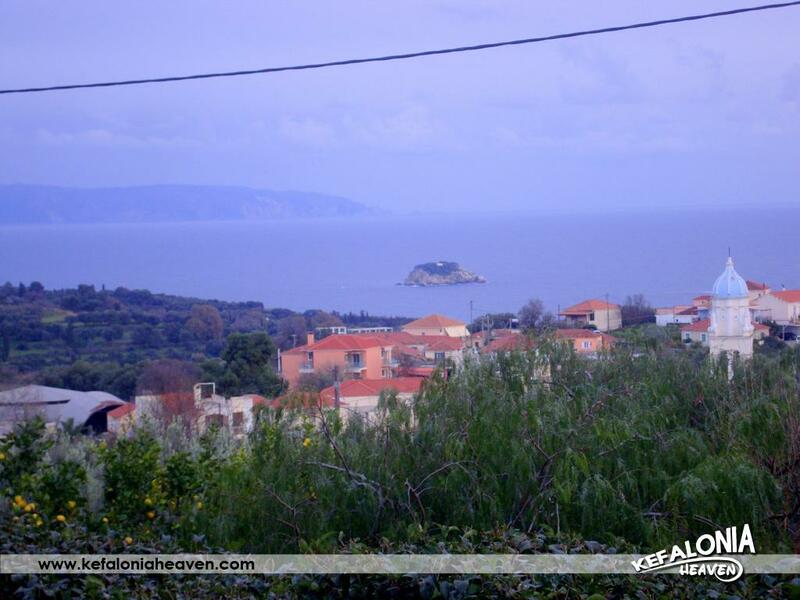 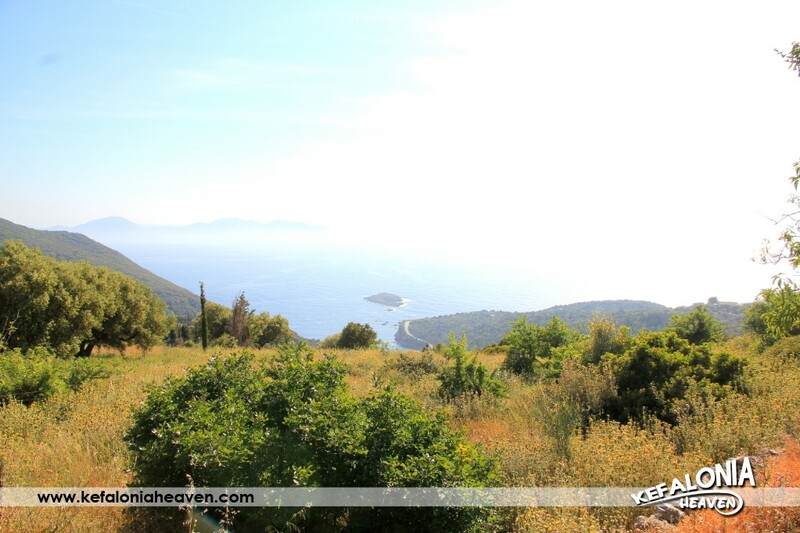 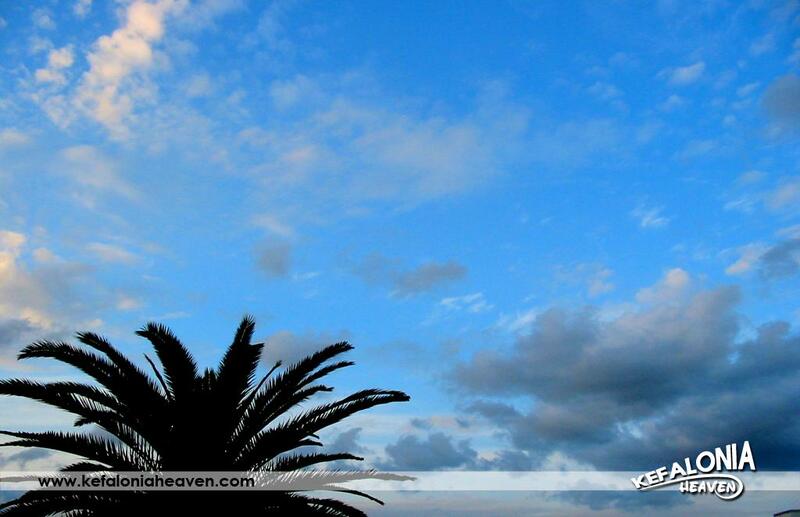 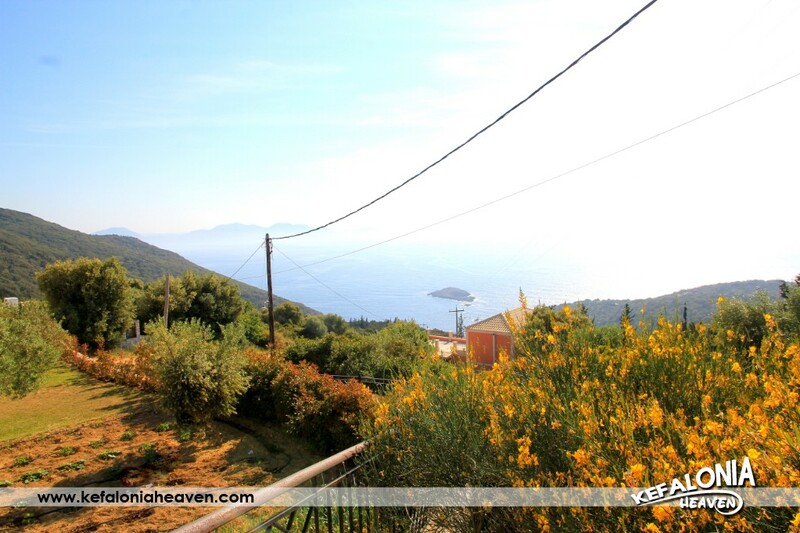 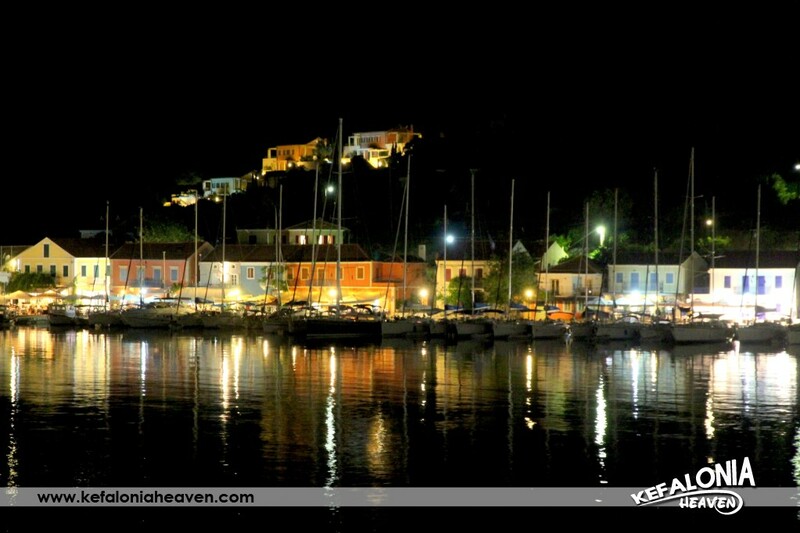 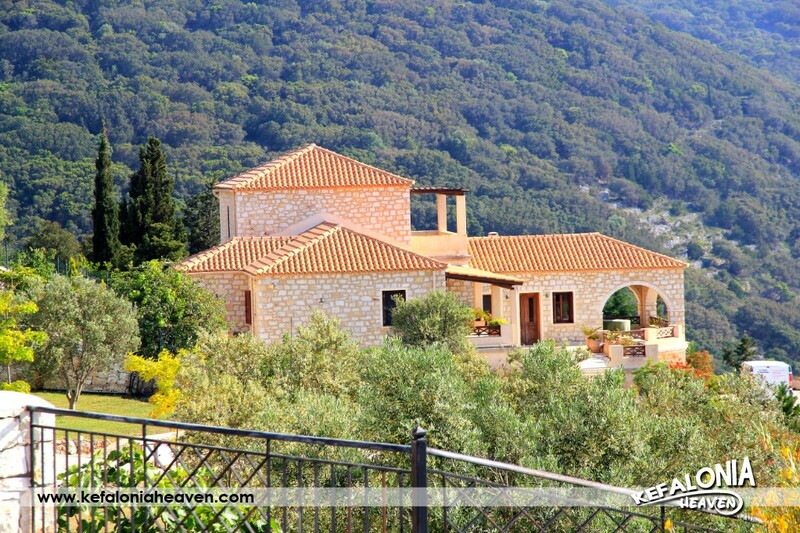 The village is built on a hill, with a special view of Ithaca and Lefkada. 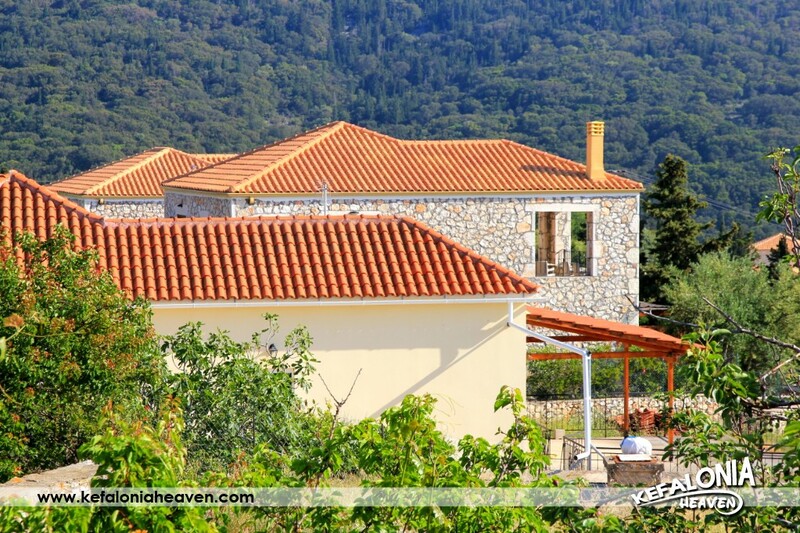 There are quite a few lodgings, both modern and traditional, harmoniously blended into the lush green scenery. 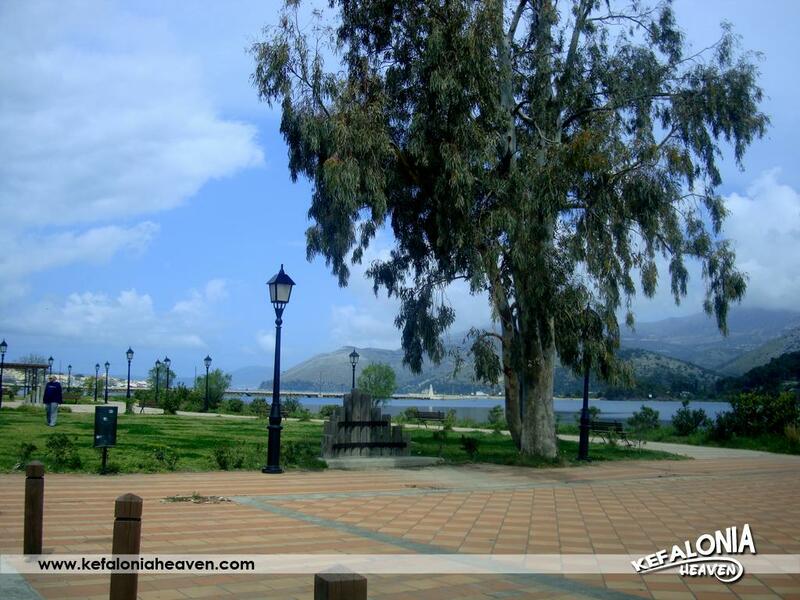 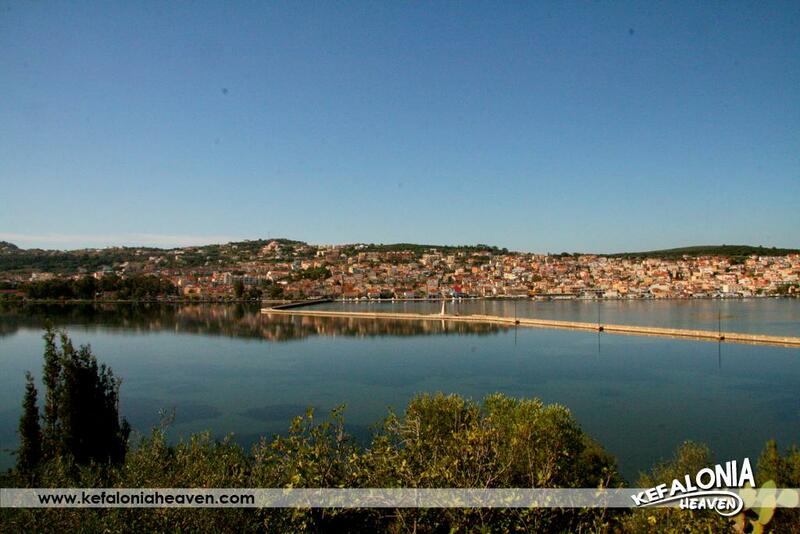 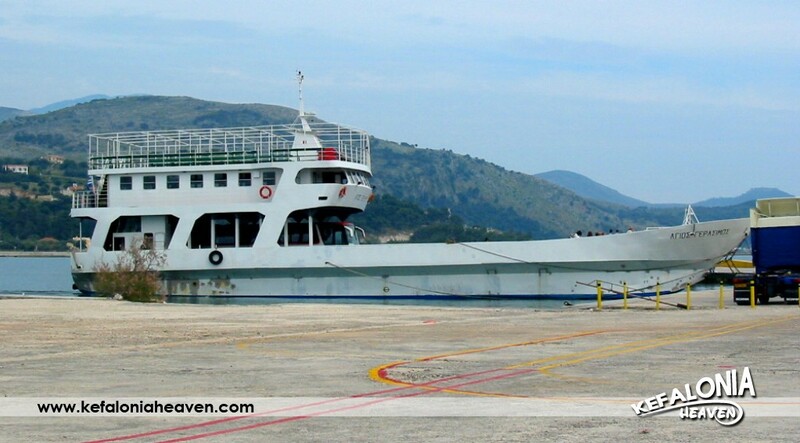 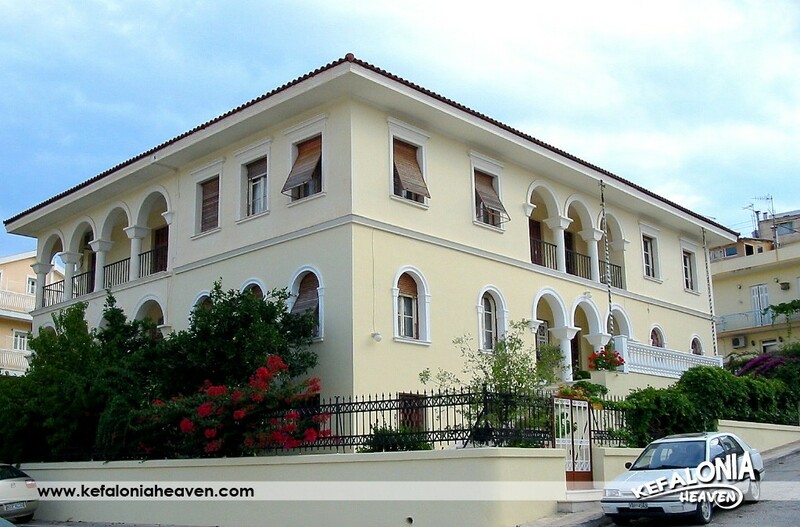 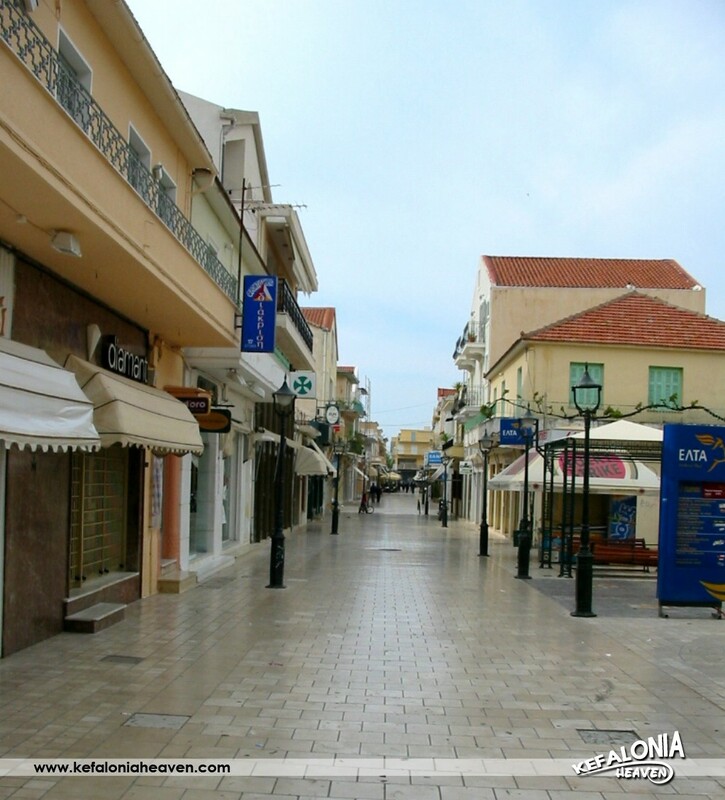 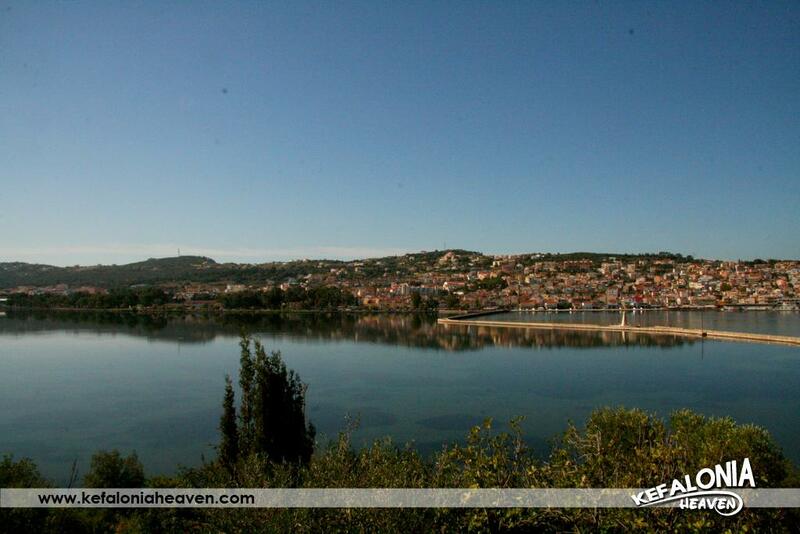 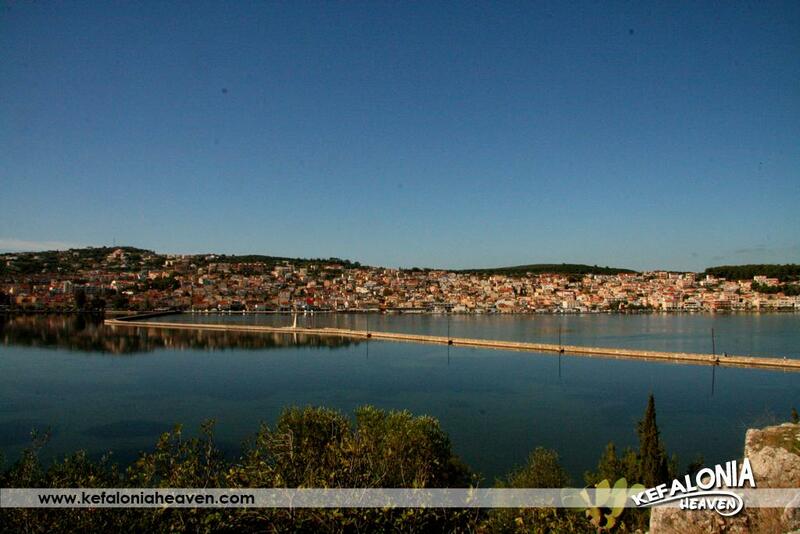 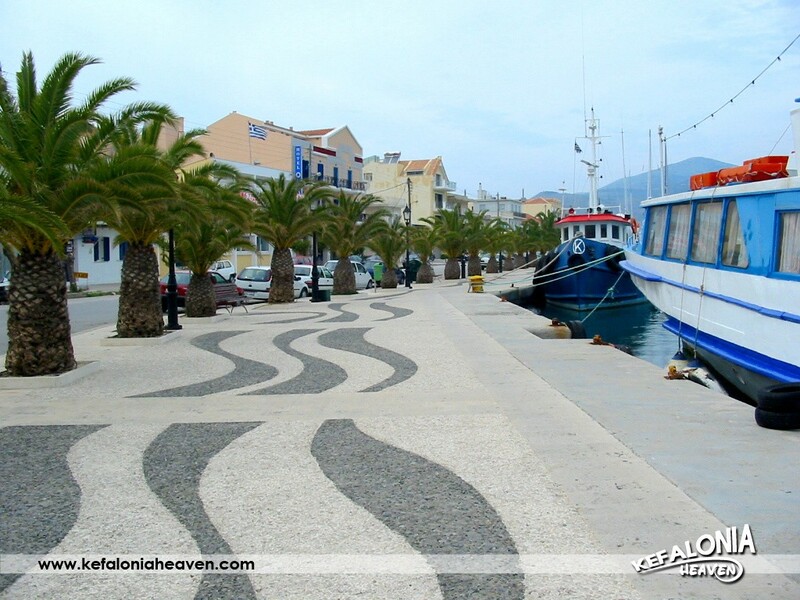 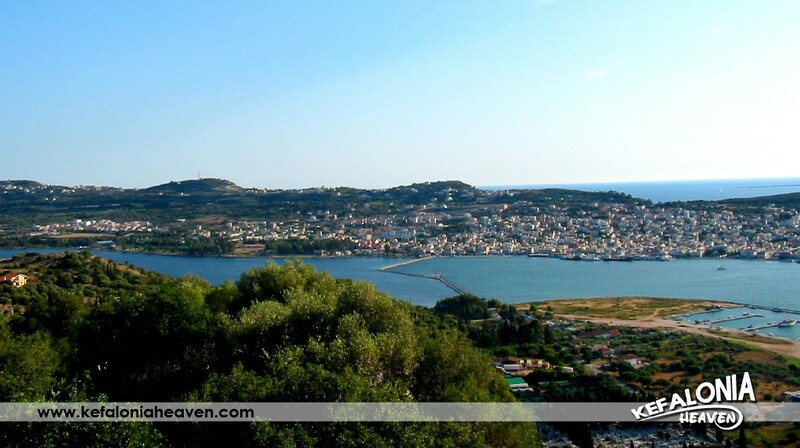 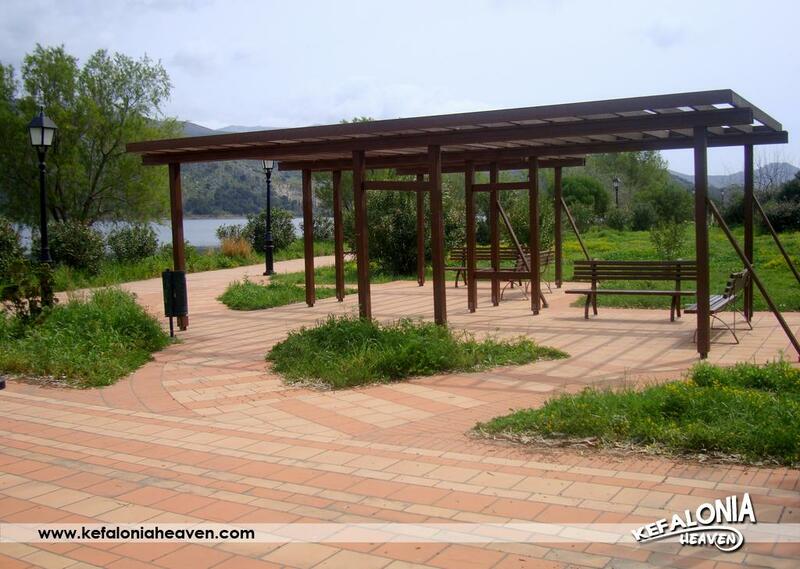 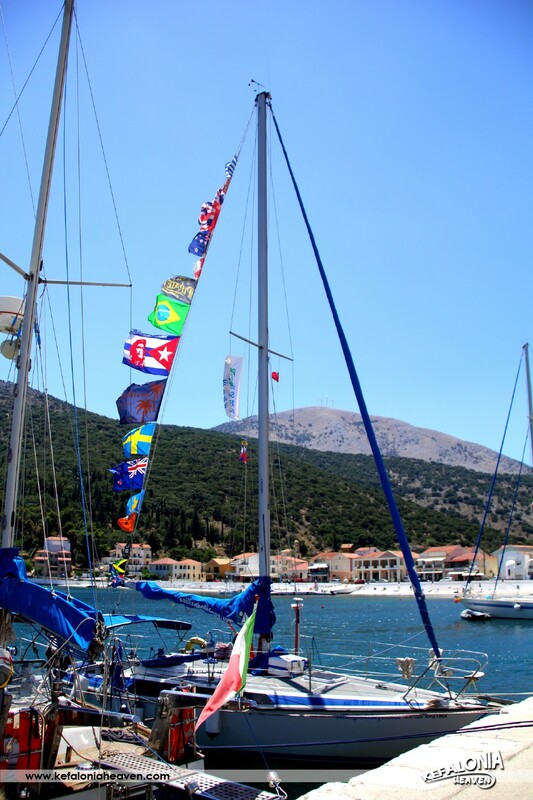 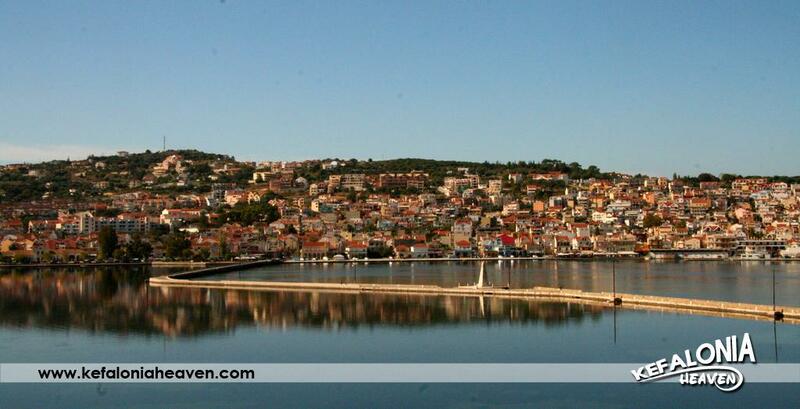 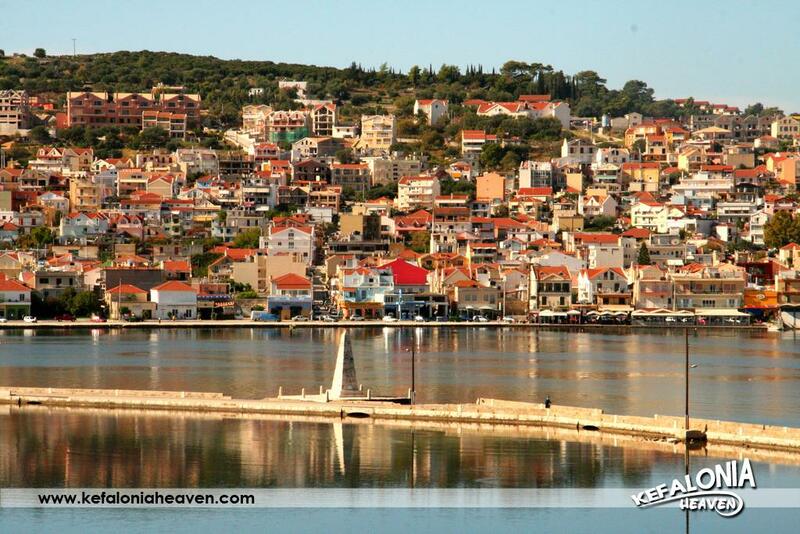 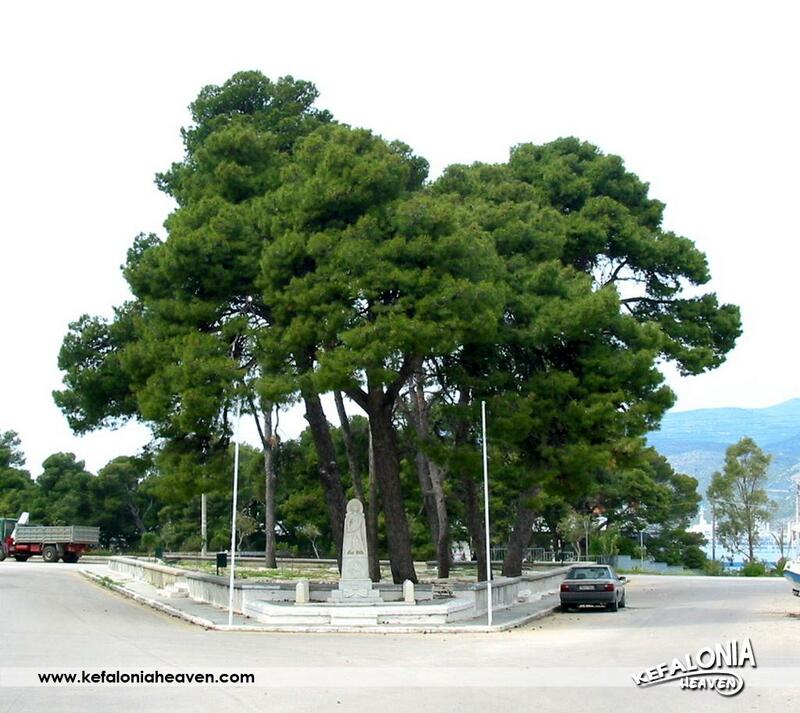 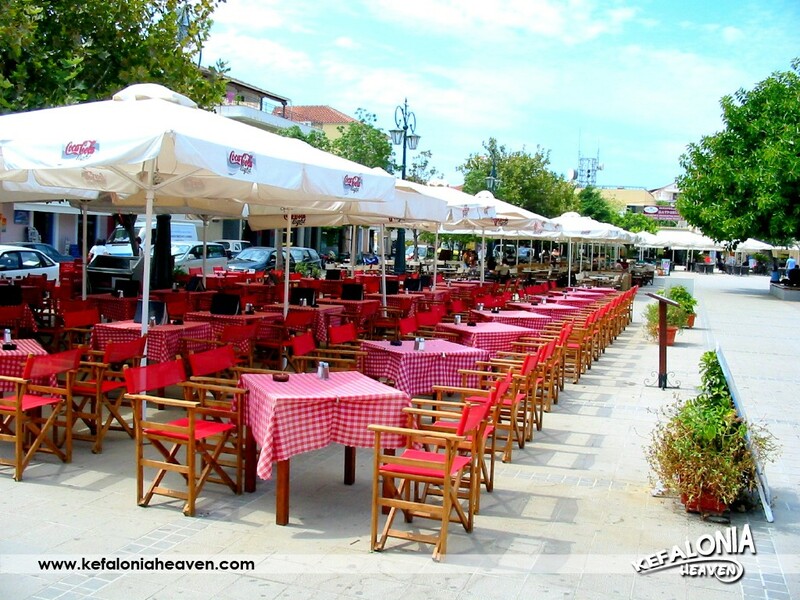 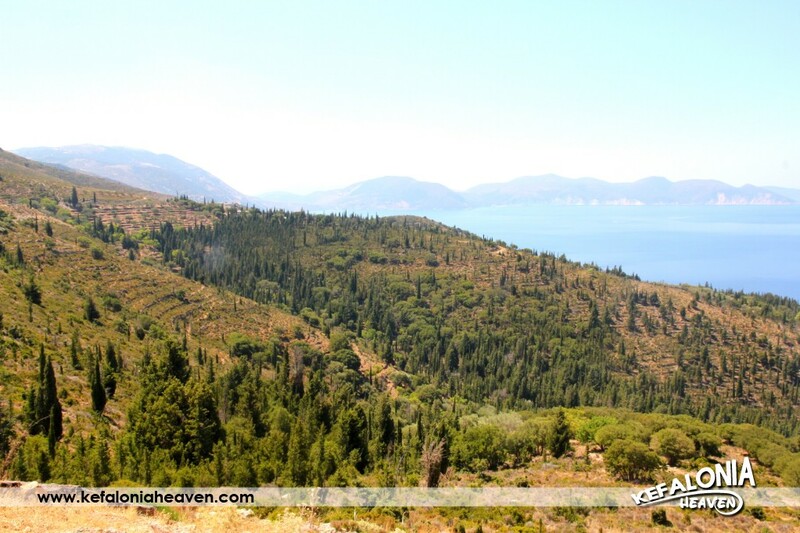 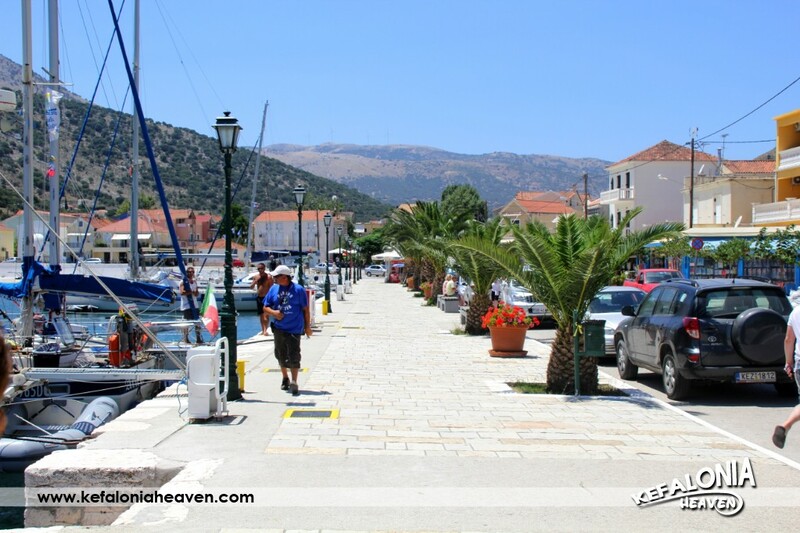 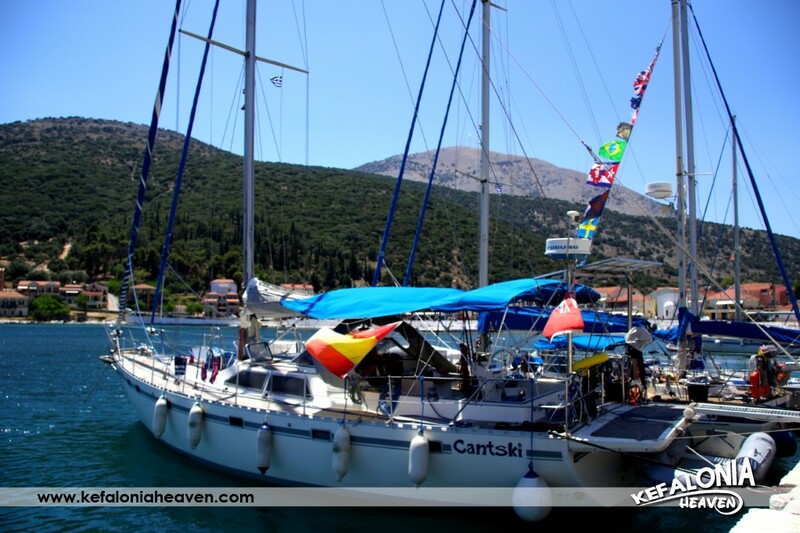 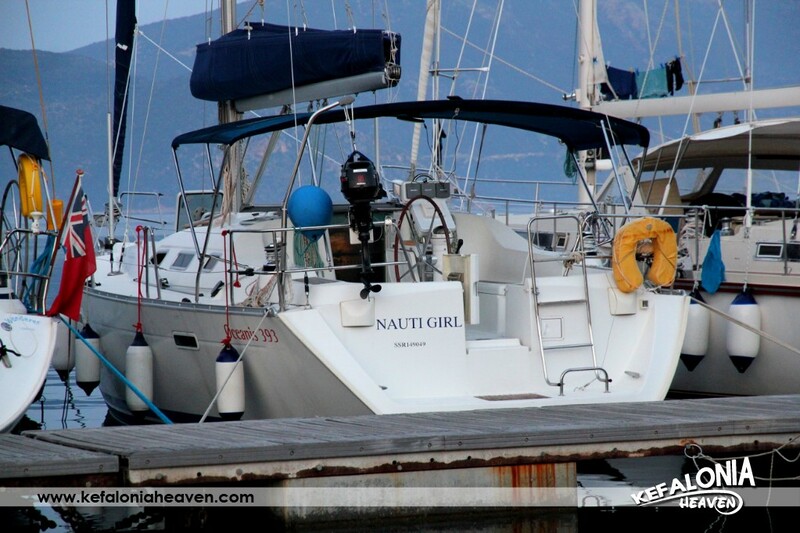 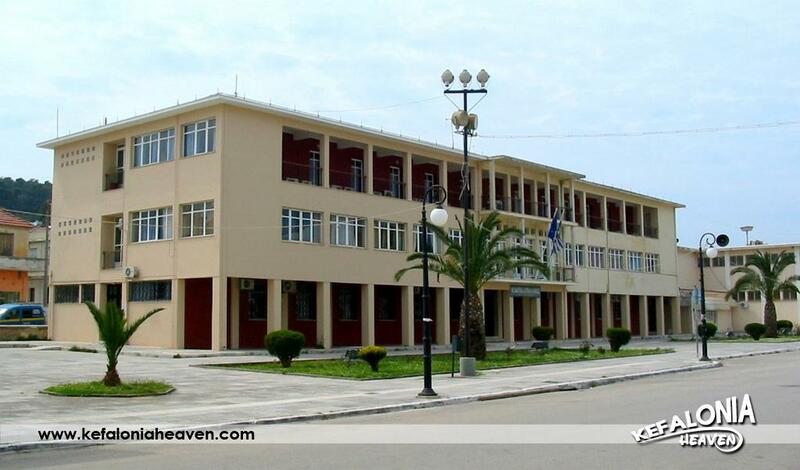 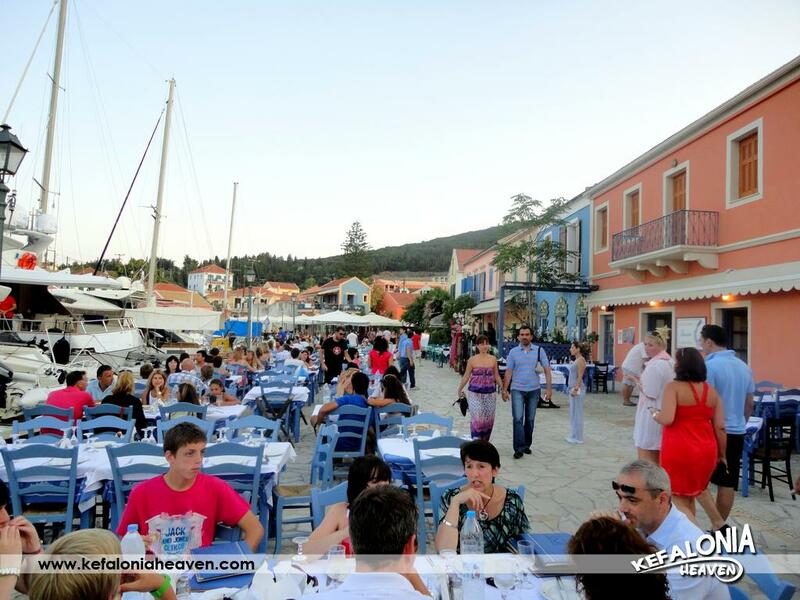 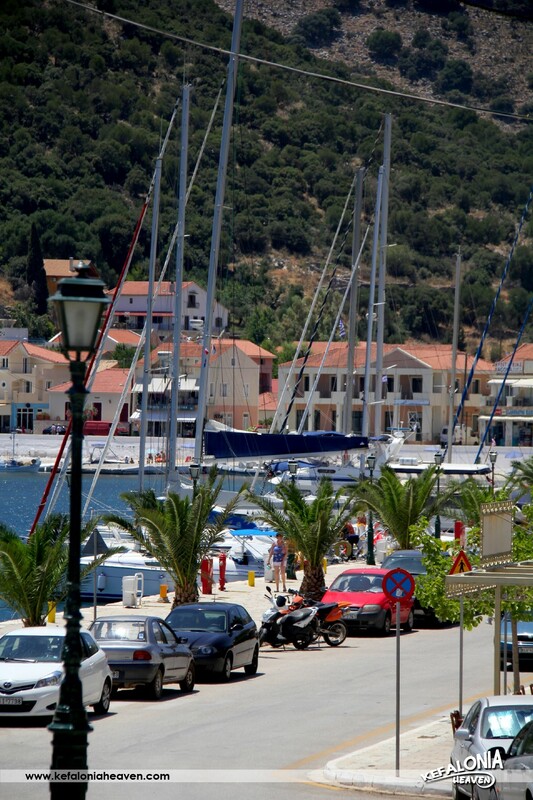 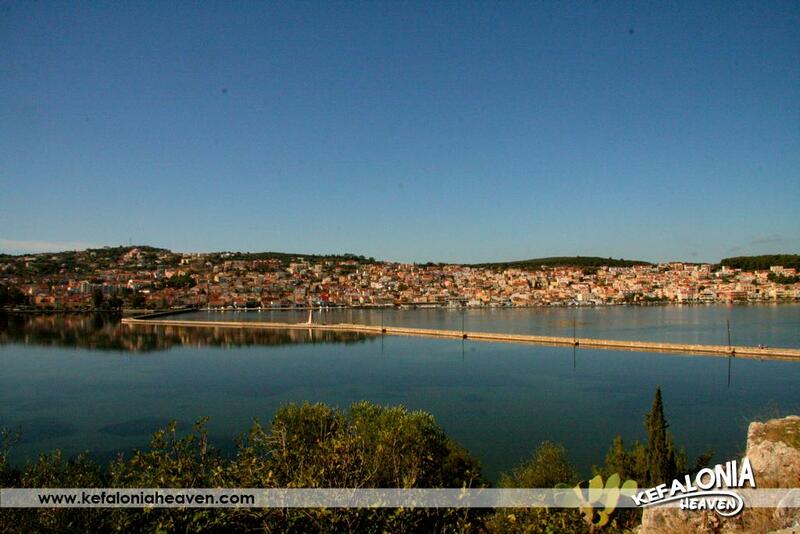 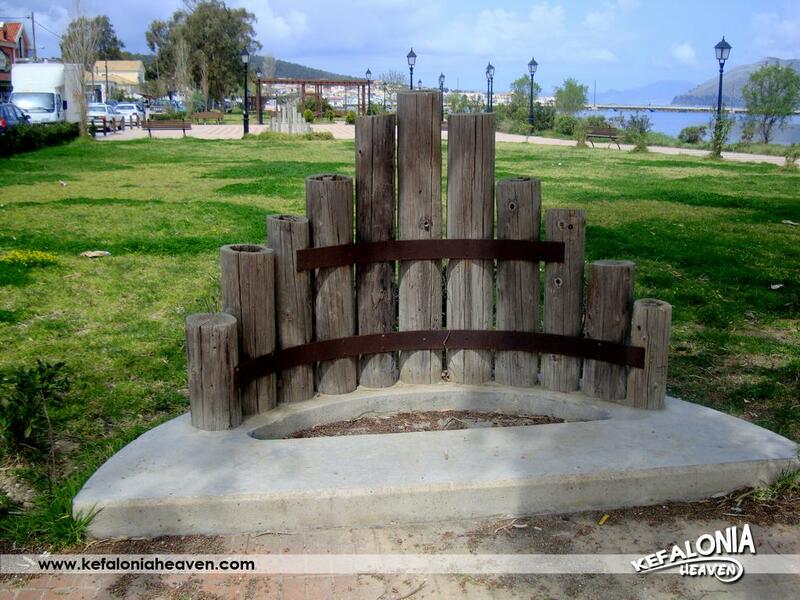 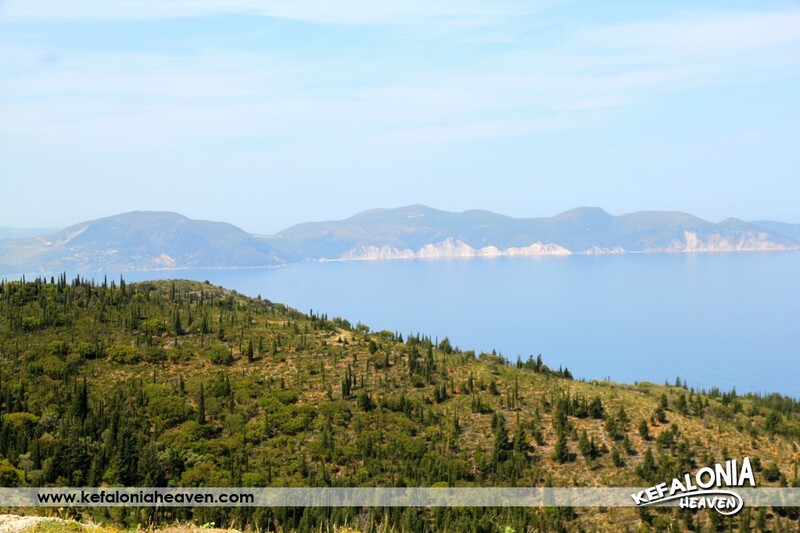 Prokopata is very close to the island’s capital, Argostoli. 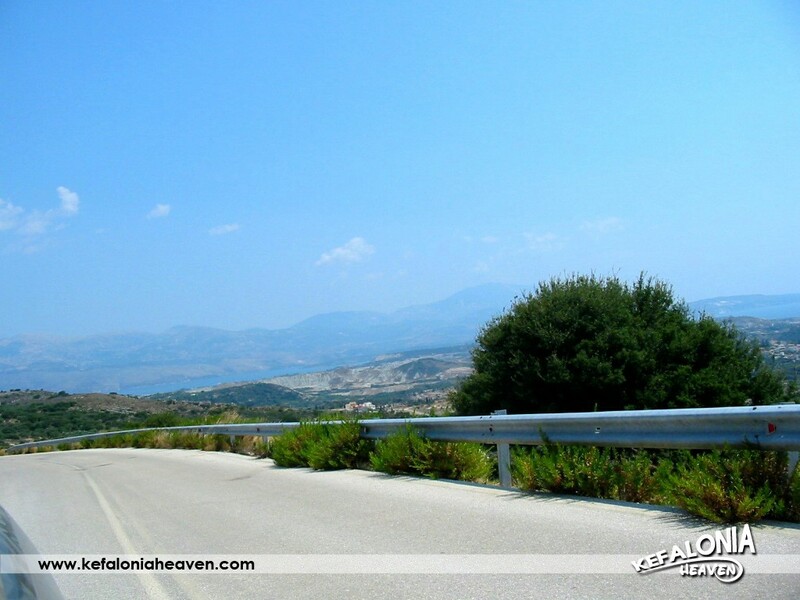 Access to the village from Argostoli is extremely easy, as immediately after the Koutavos roundabout, the route continues straight on. 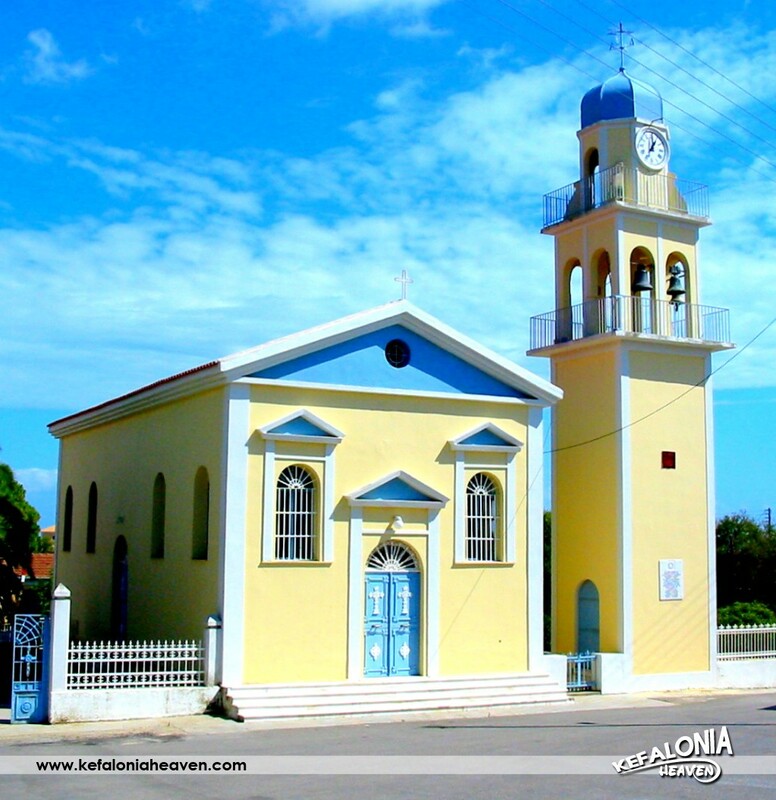 In 300 meters one comes across Aghia Varvara church and after going over 2 successive bridges, the visitor enters Prokopata (there is also an instructive sign with the name of the village). 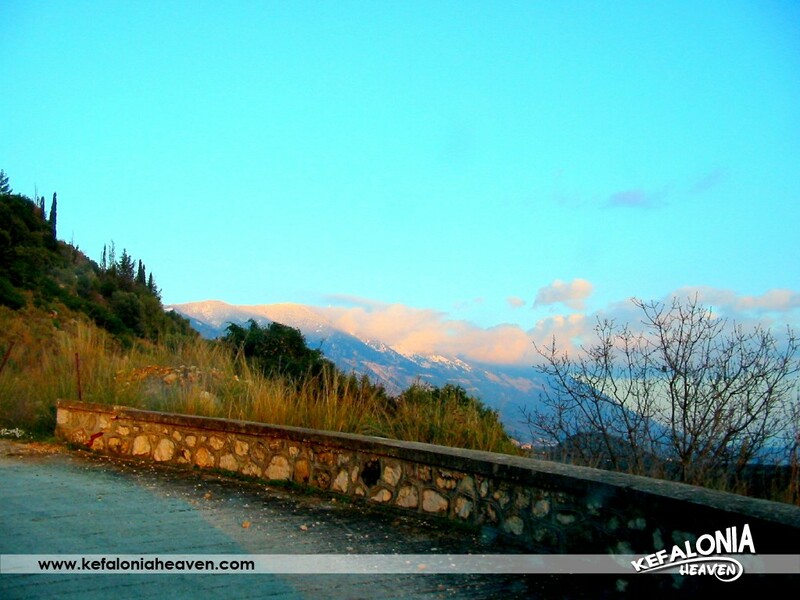 The village is located in the valley, exactly under the small hill “Fanero” where it was built before the earthquakes of 1866 and 1953. 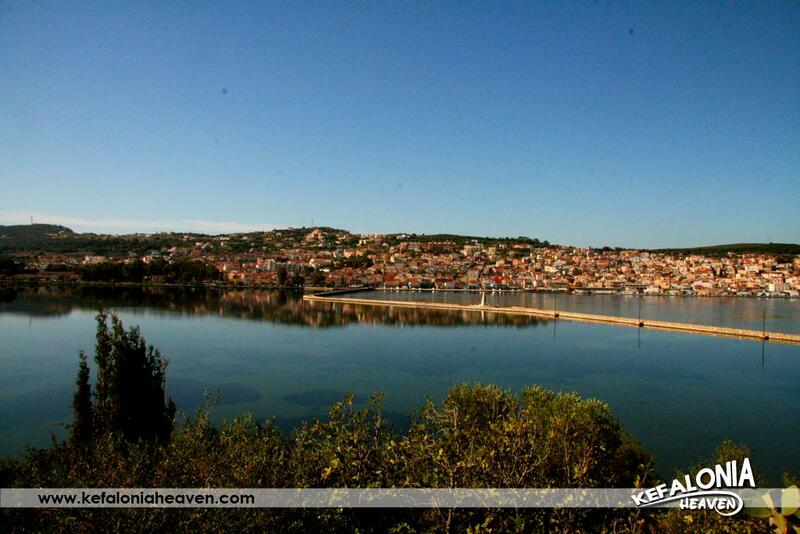 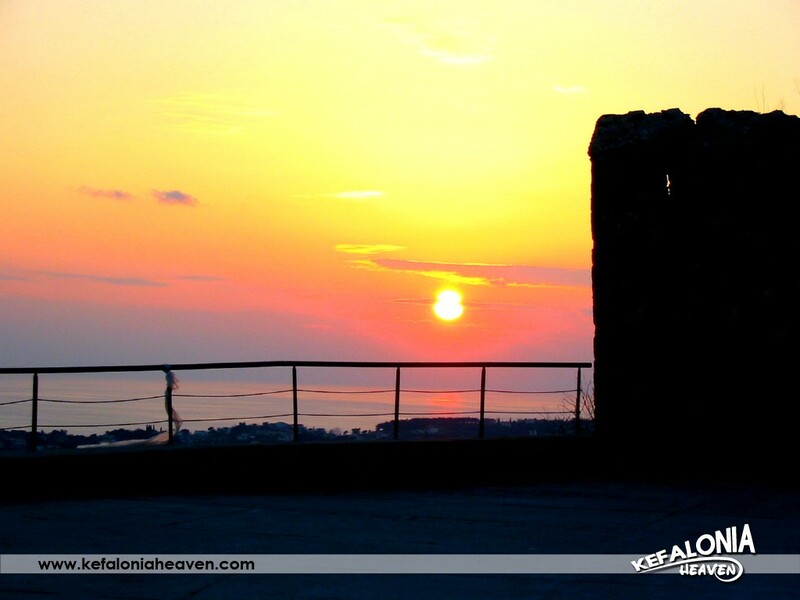 From the hill, on which only ruins can be found today, there is a mesmerizing view of Argostoli and of the surrounding area, such as Razata. 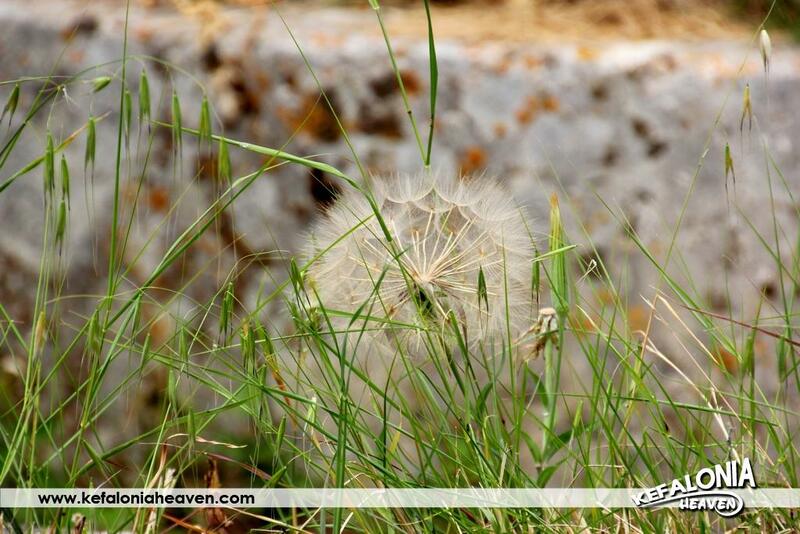 The eye reaches Ainos and the fields of Saint Gerasimos, who once passed by this spot. 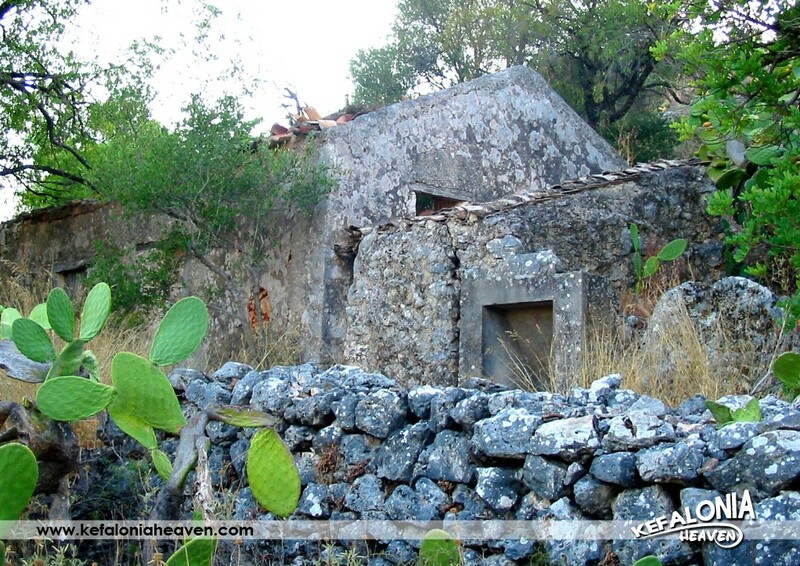 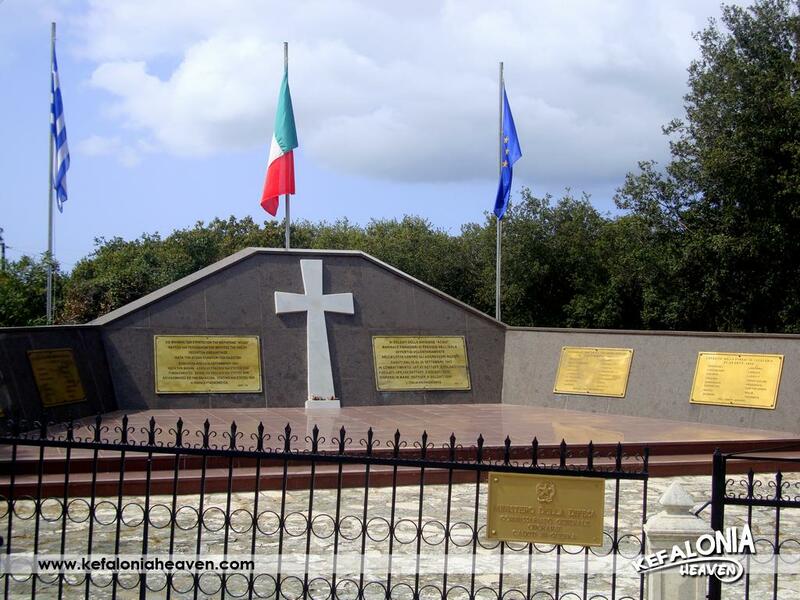 On the hill, there are 2 shelters made by the Italians and visiting them on a trip would be quite interesting. 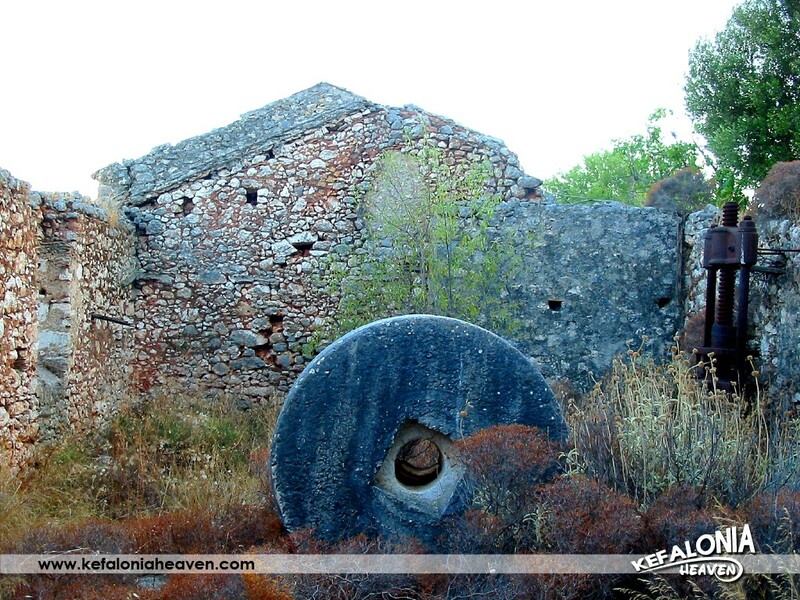 There are also the old church cell and a deserted oil mill. 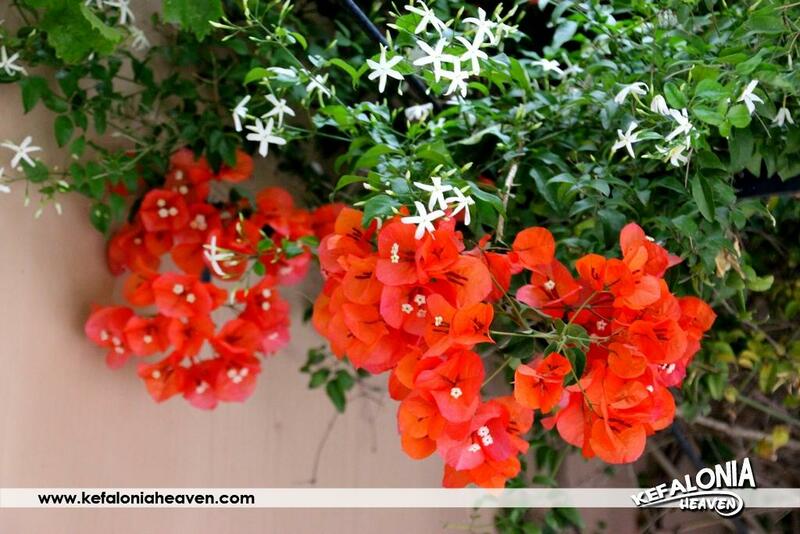 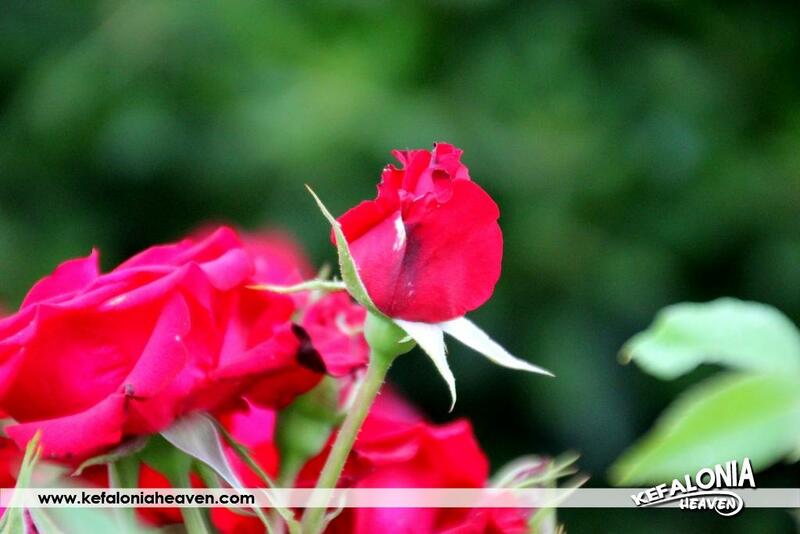 Today, it is a small village with simple built houses that have lovely bloomed gardens and beautiful stone walls. 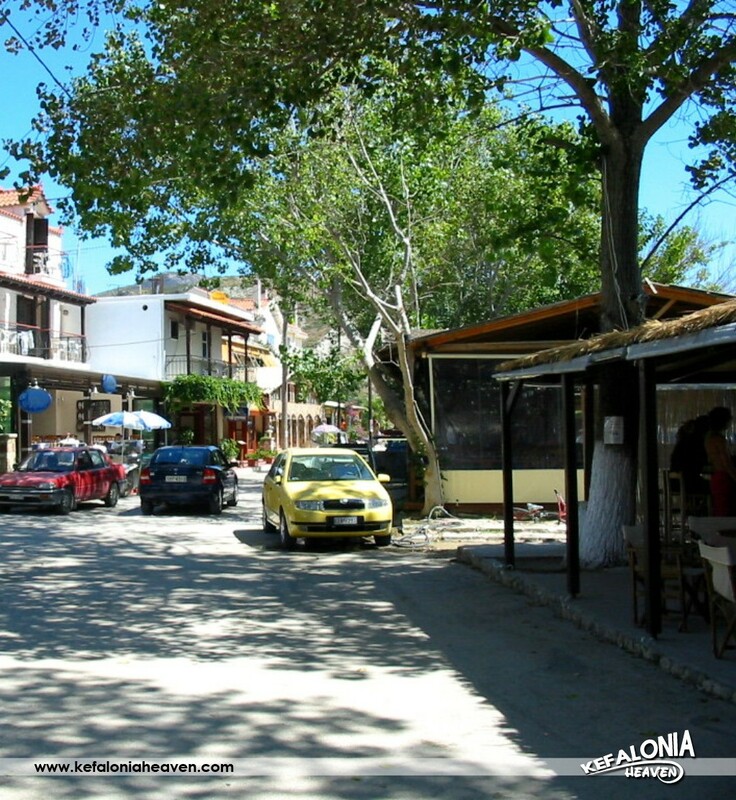 Also, the fact that there are some small alleys, shaded by the trees may be considered picturesque. 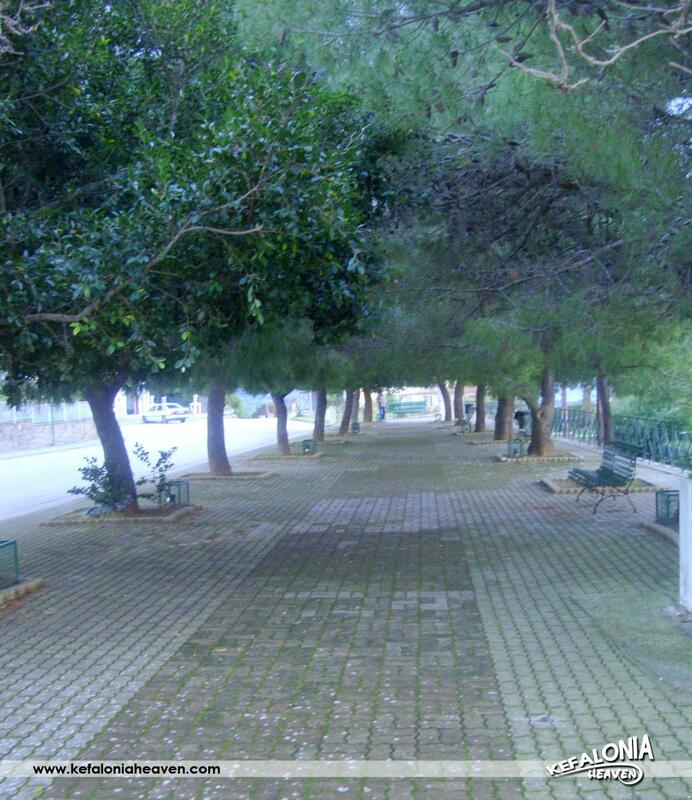 Absolute calmness dominates and practically nothing disturbs it. 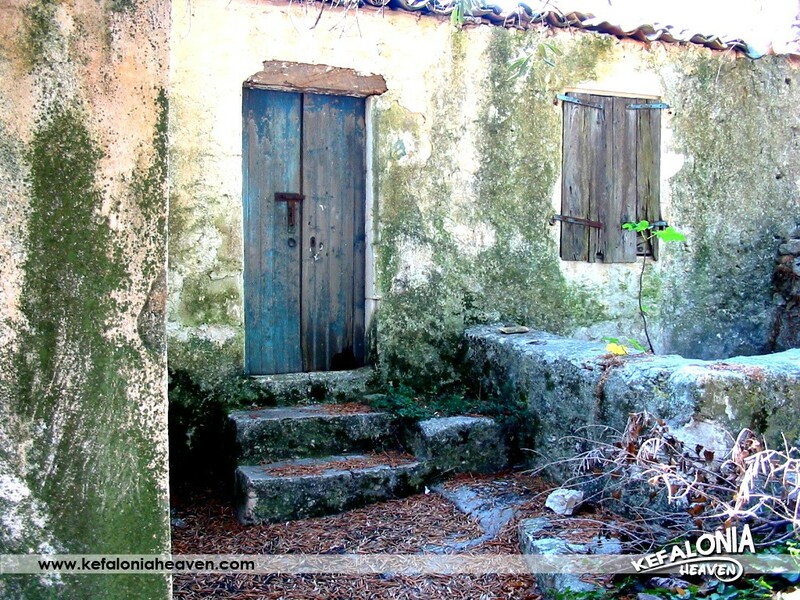 There are 25 houses in the village today, many of which are inhabited exclusively during the summer. 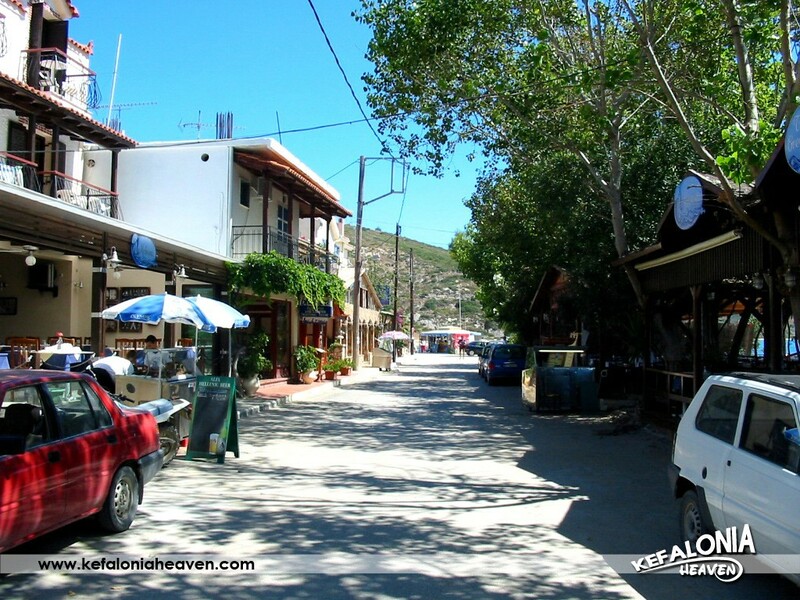 Its residents work in the surrounding areas and the village doesn’t even have a convenience store, as it’s very close to the town and everyone goes there for anything they need. 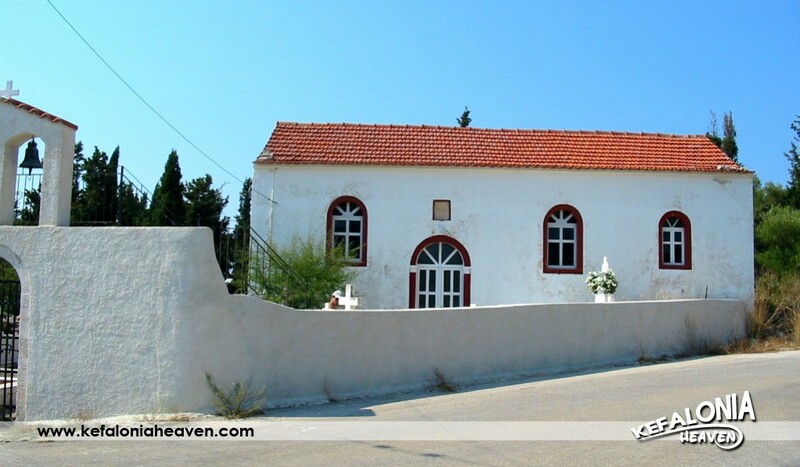 One of the most characteristic spots of the village can be considered the church of Aghia Varvara and the little church at the village entrance and is believed to be closely linked with its existence. 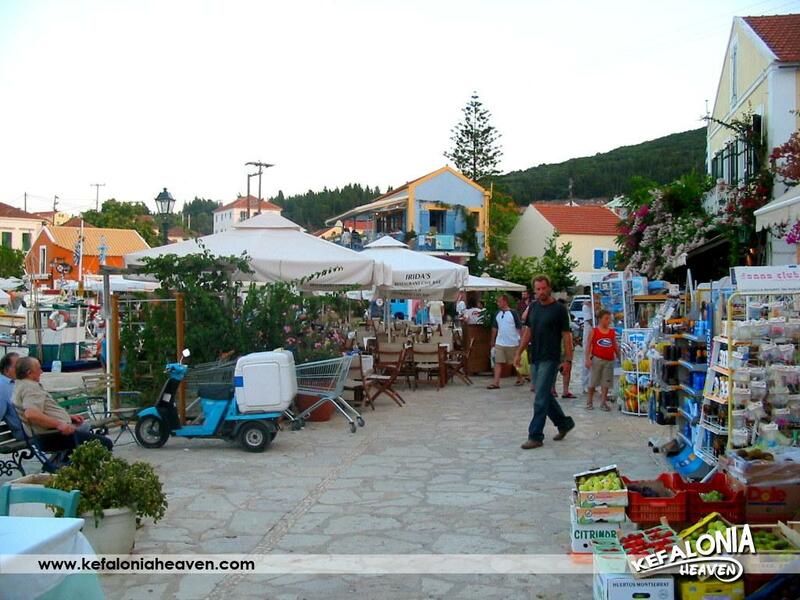 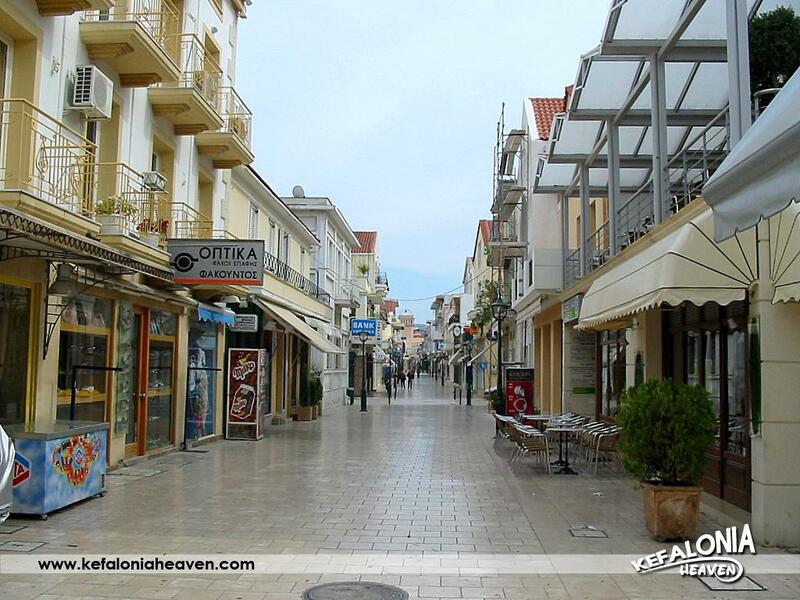 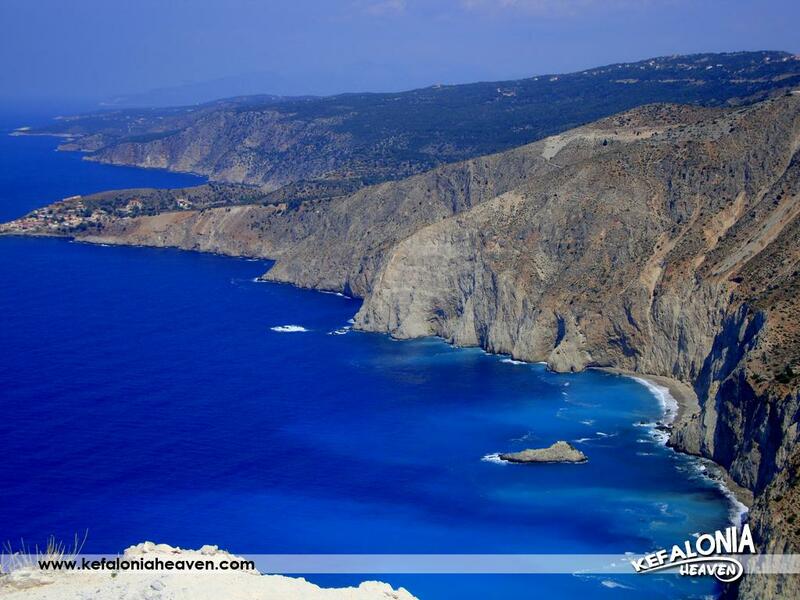 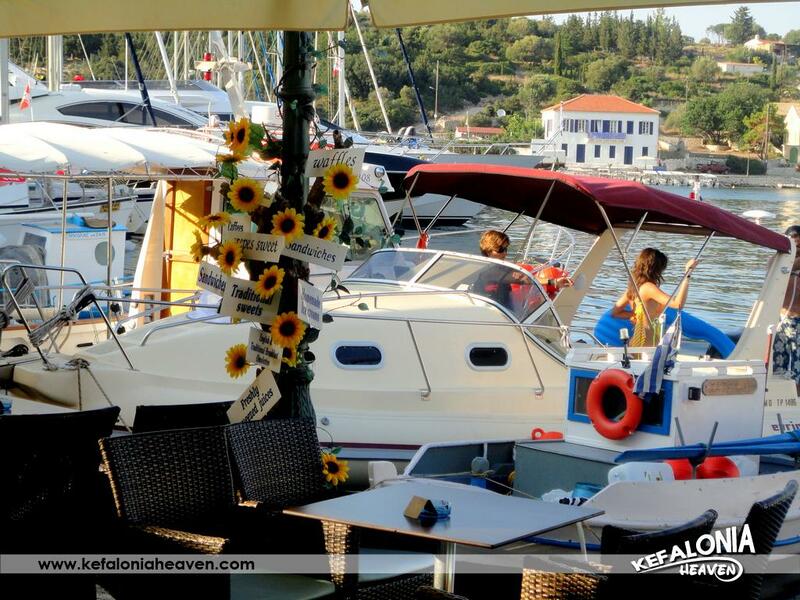 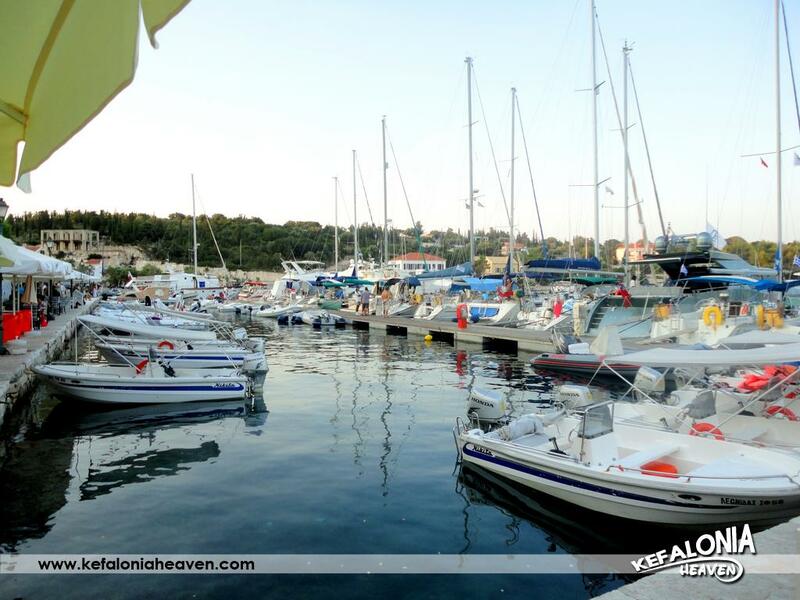 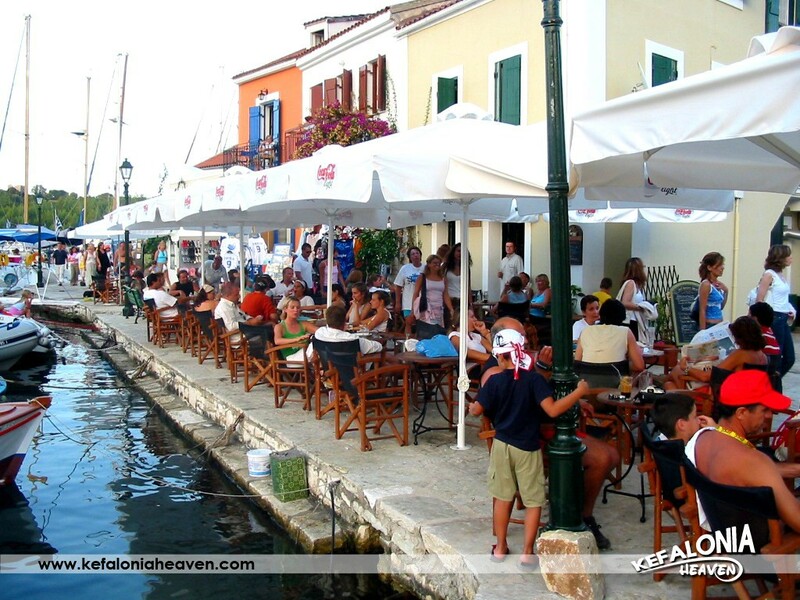 Water of the best quality in all of Kefalonia can be found at Prokopata. 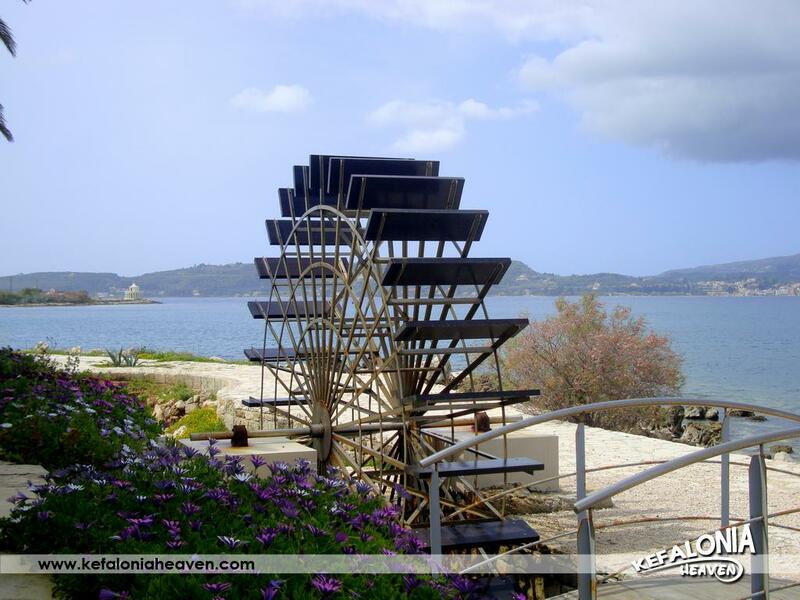 The maintenance expenses of the spring are covered by the locals through a cultural association. 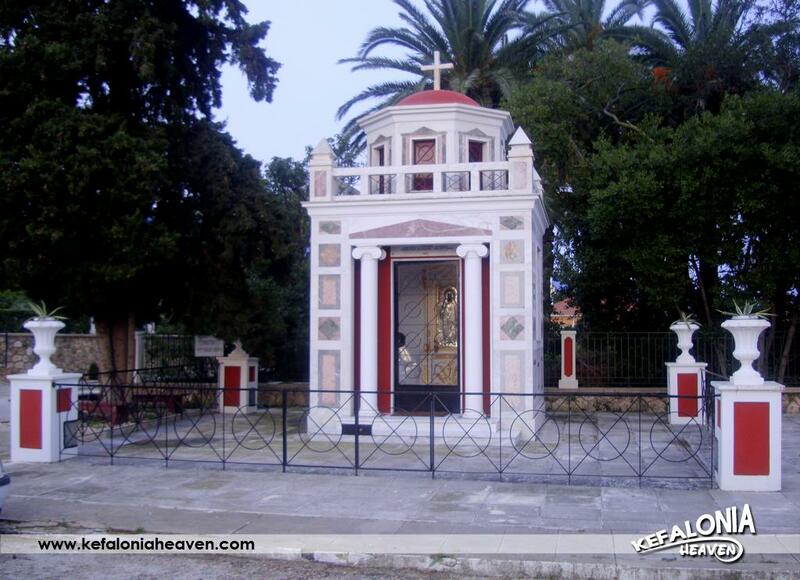 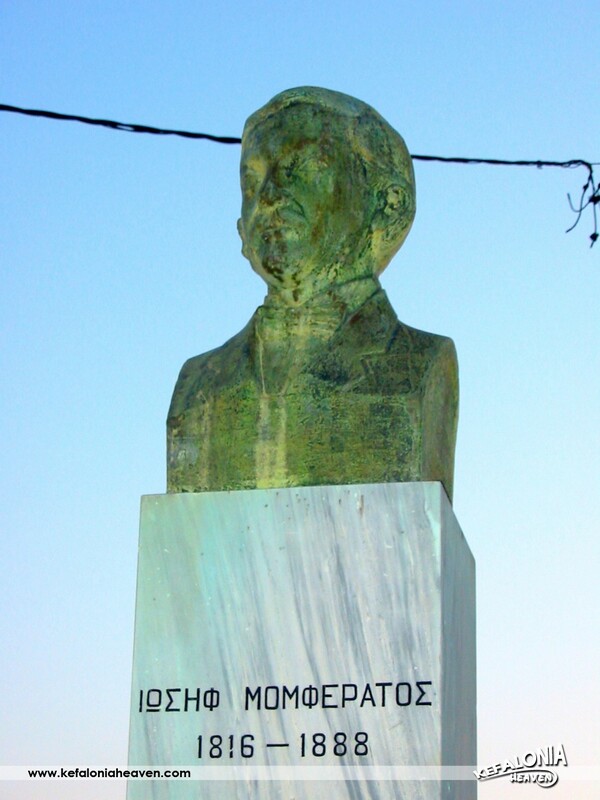 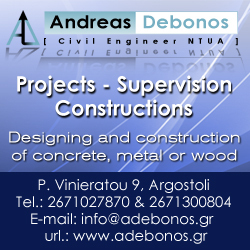 The reconstruction of the village after the earthquakes is attributable to the selfless offerings of the benefactor, Panagis Markesinis. 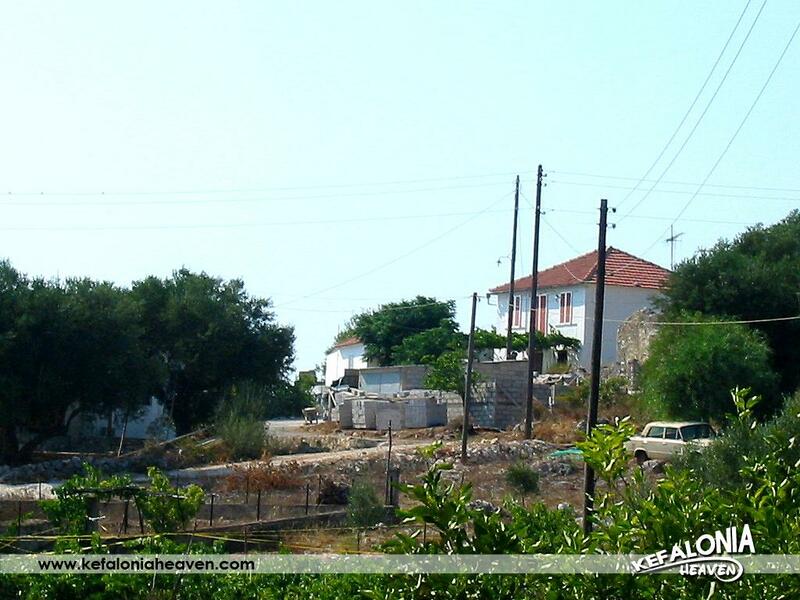 Today the village residents believe that the name of the village has no connection to reality, as none of them have gone ahead in life in comparison to those who originated from the village, went abroad and have been distinguished. 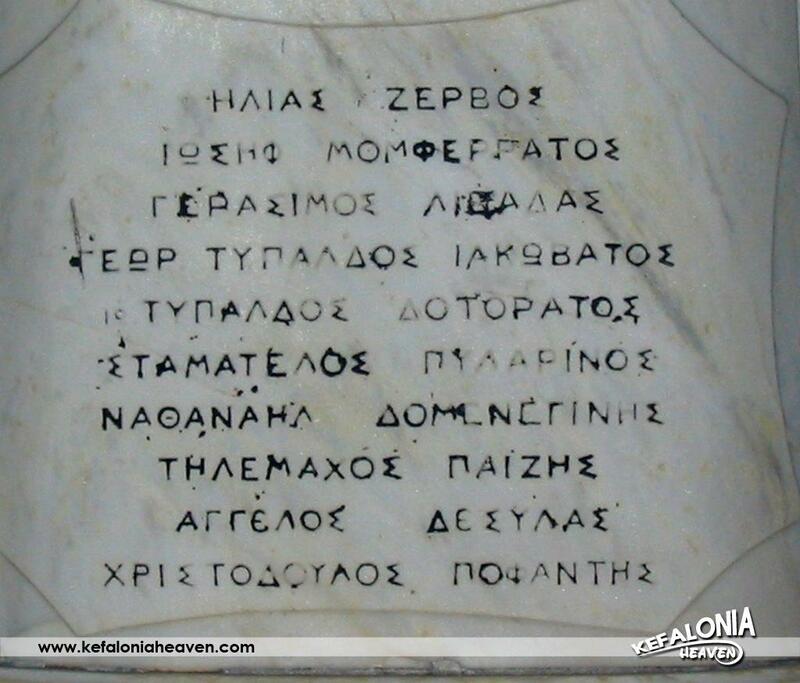 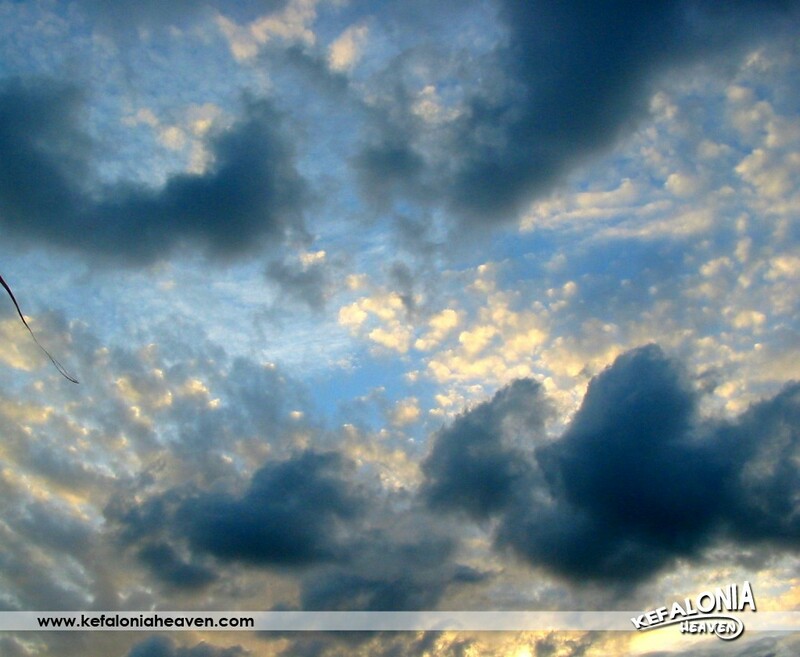 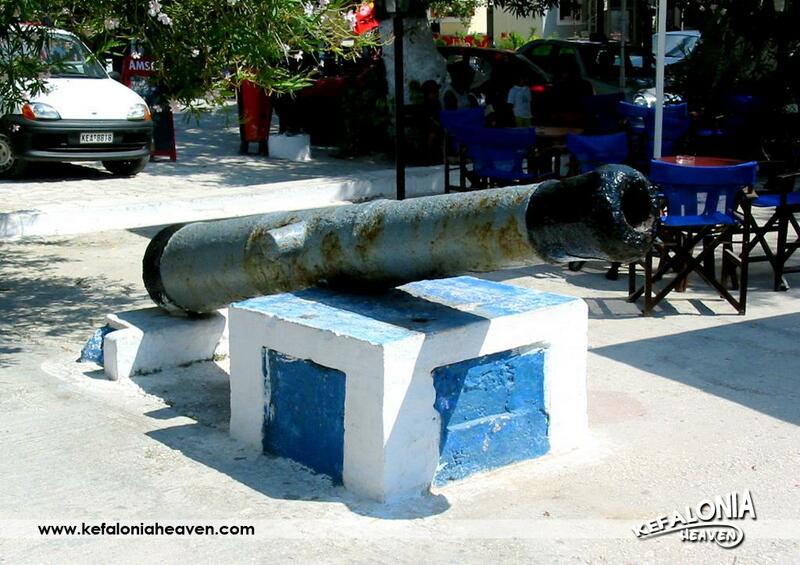 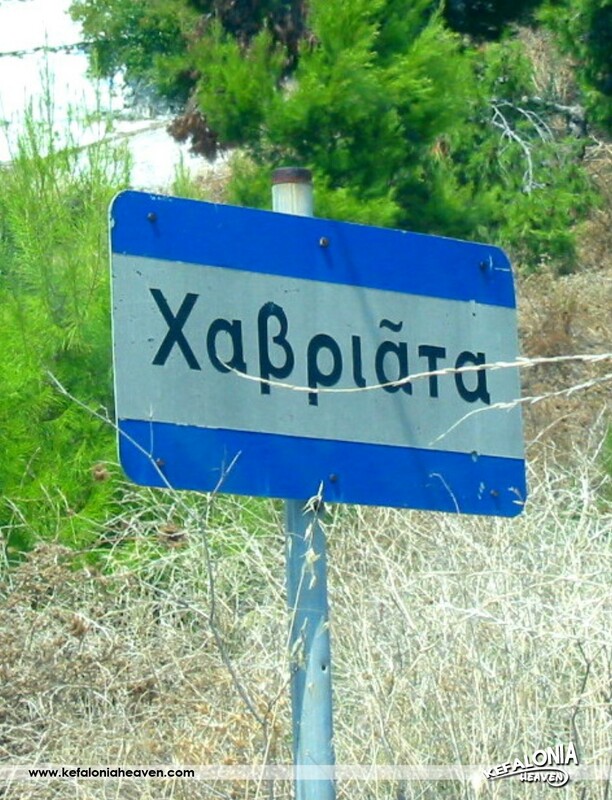 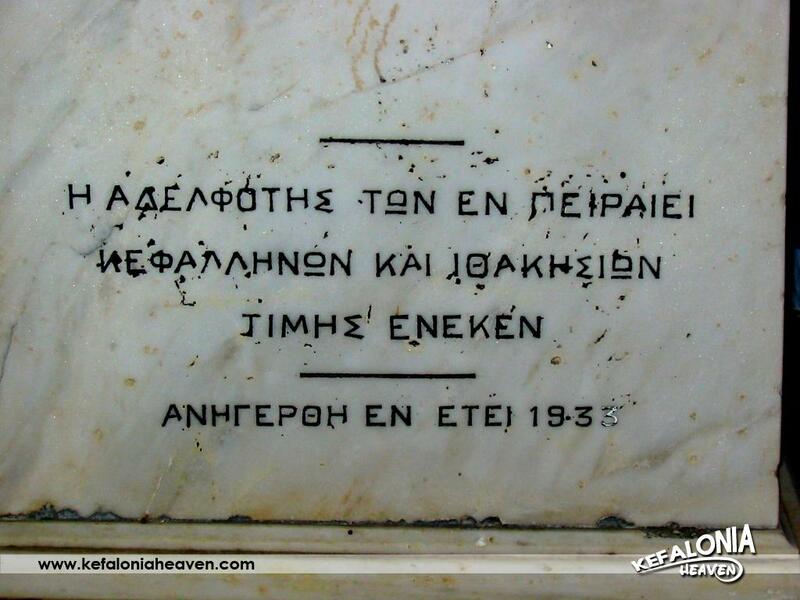 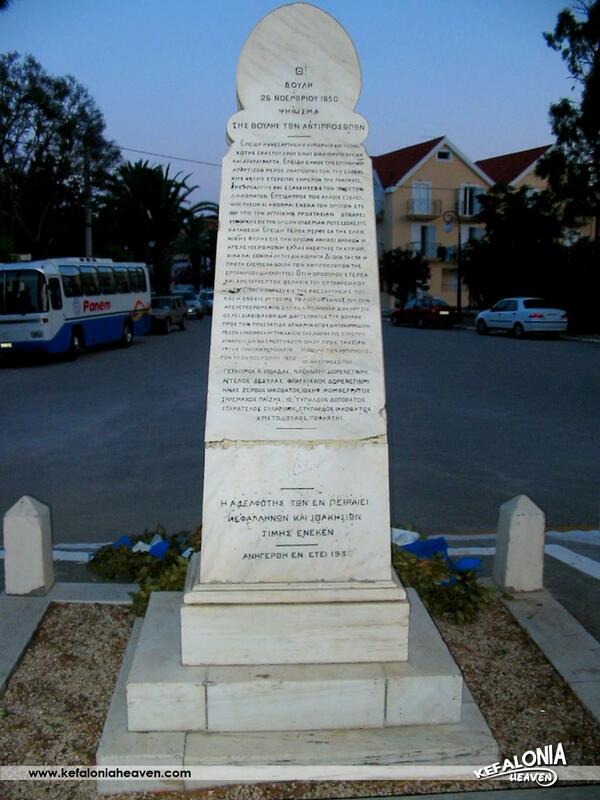 Names that originate from this village are: Papadatos, Markesinis and Zisimatos, the latter having died out. 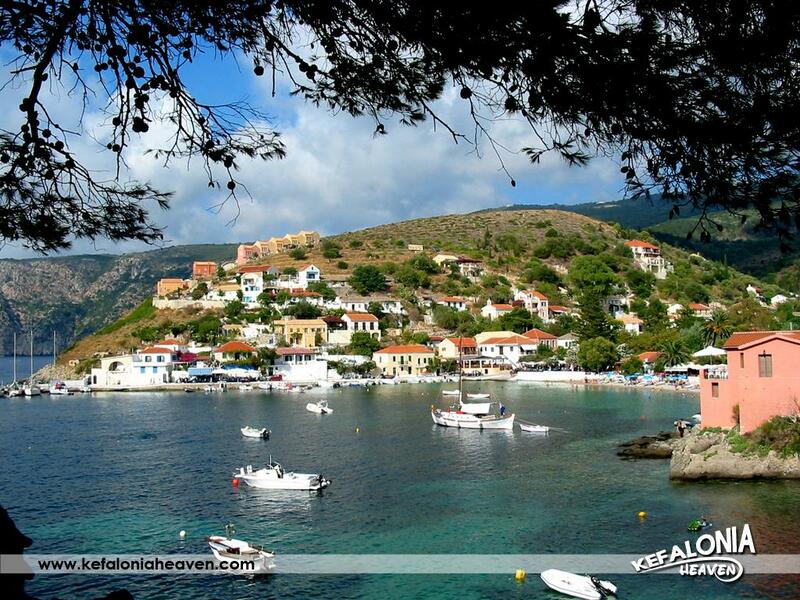 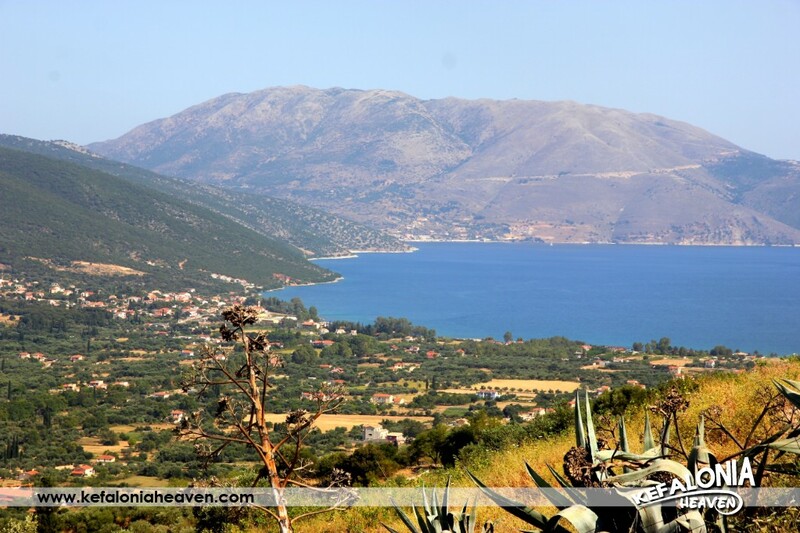 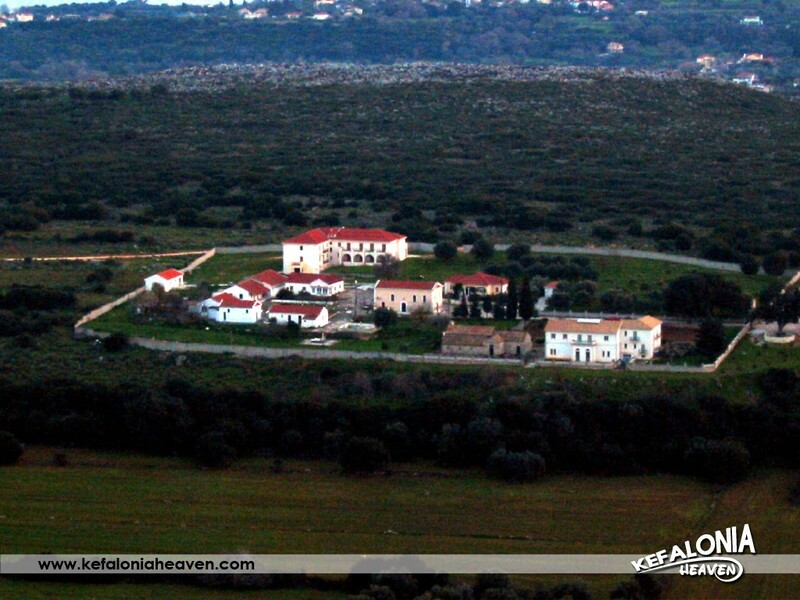 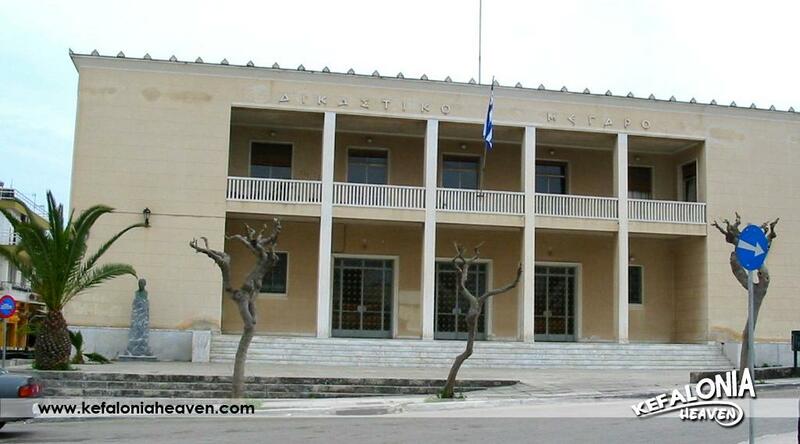 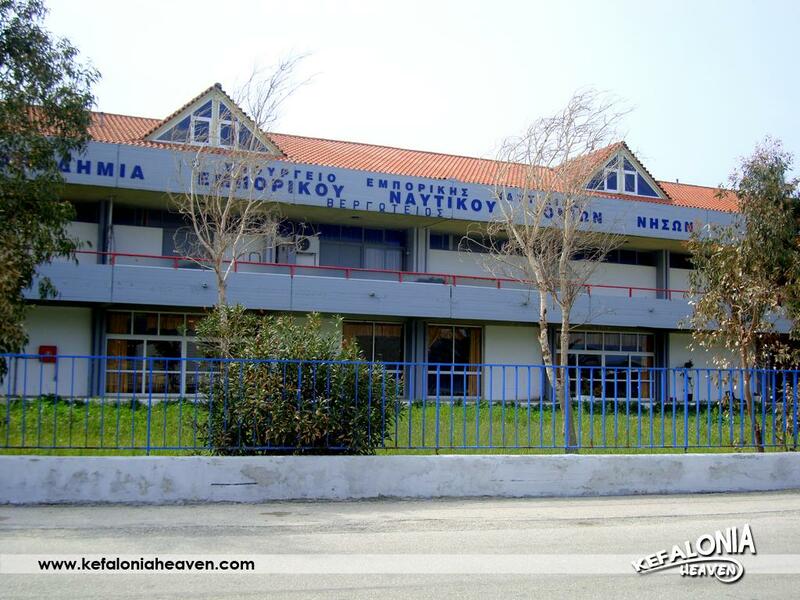 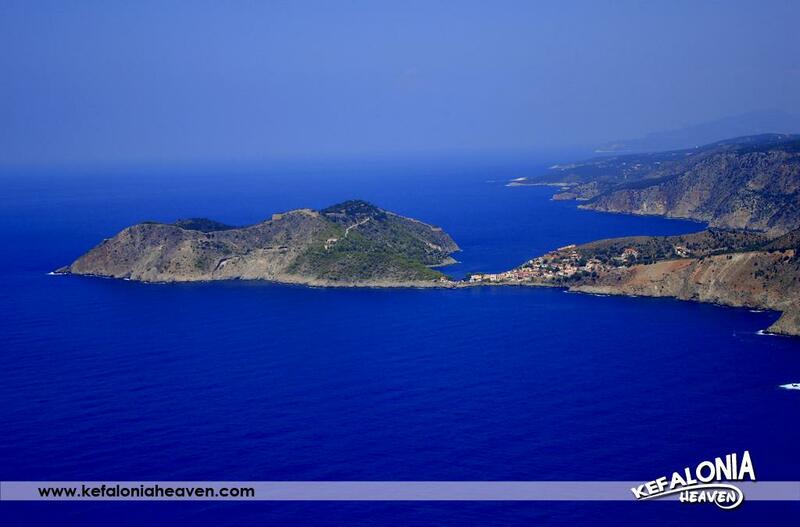 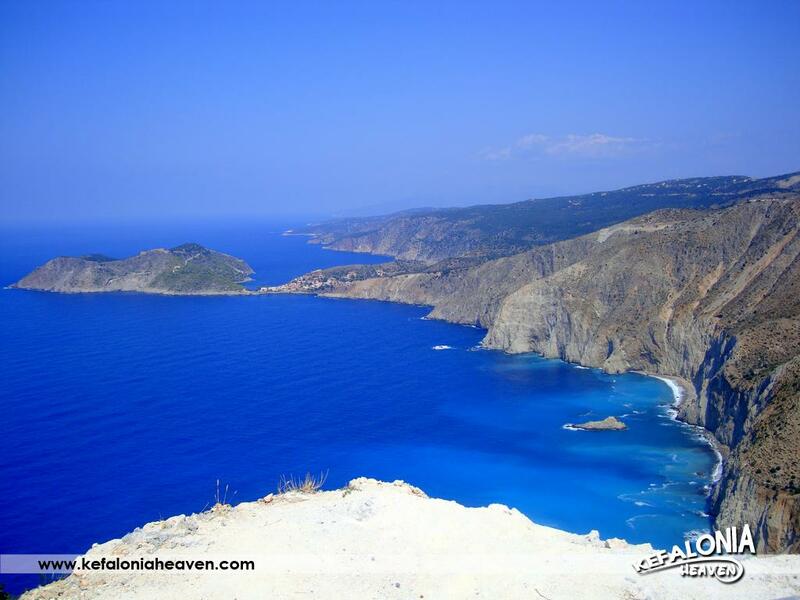 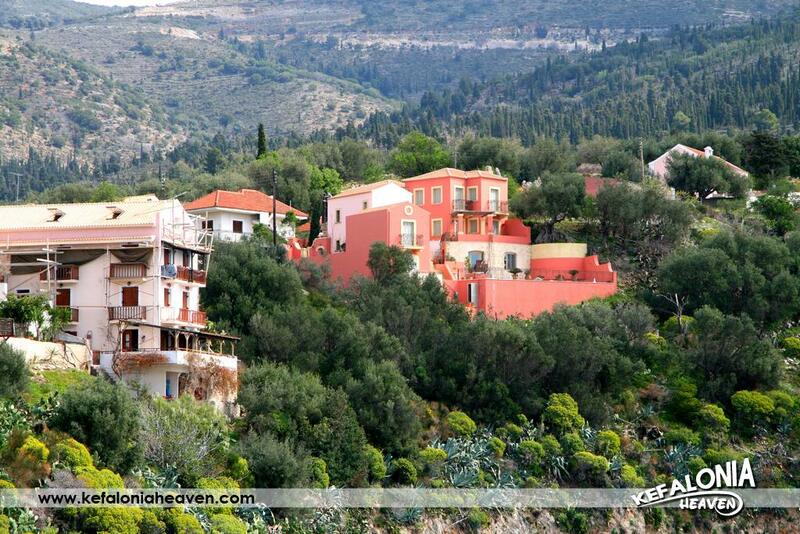 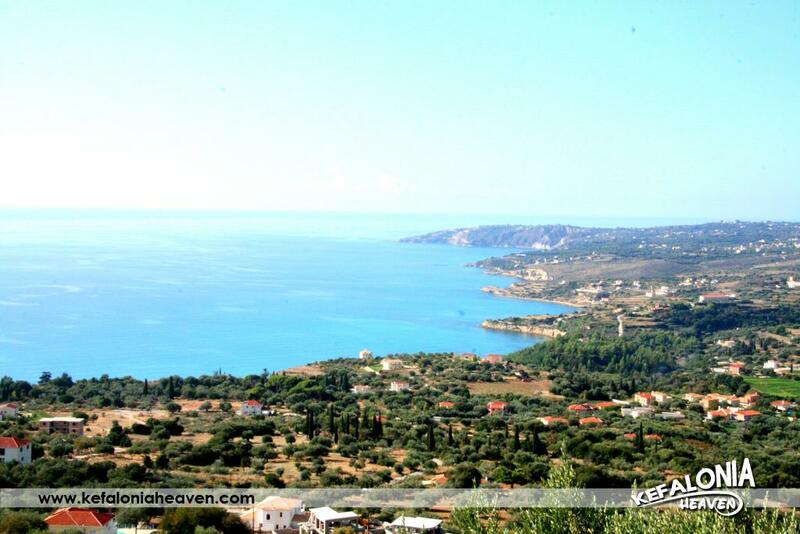 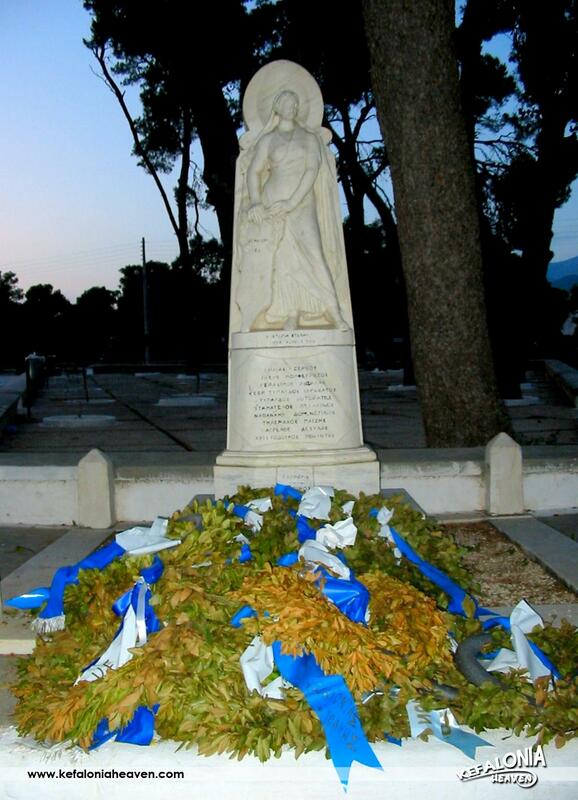 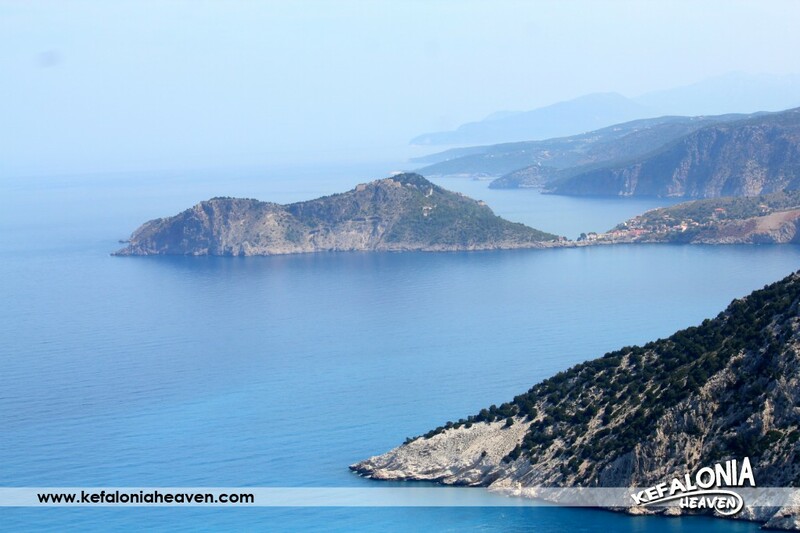 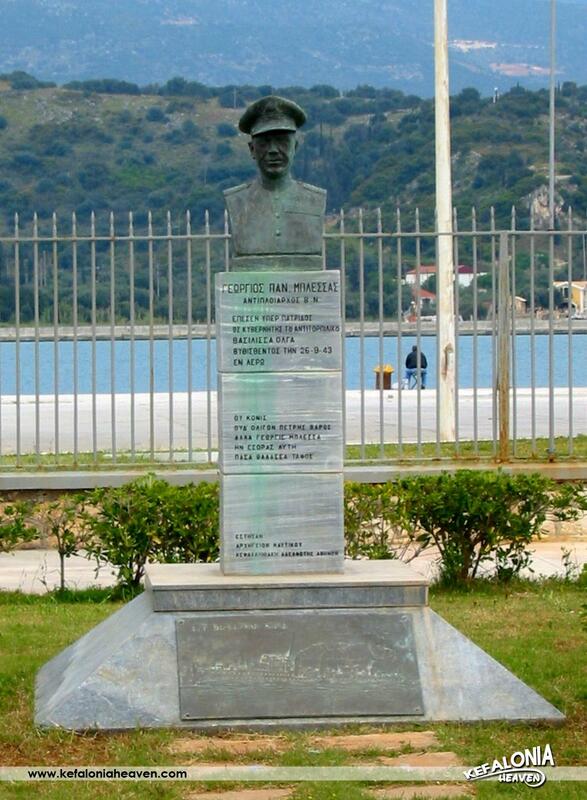 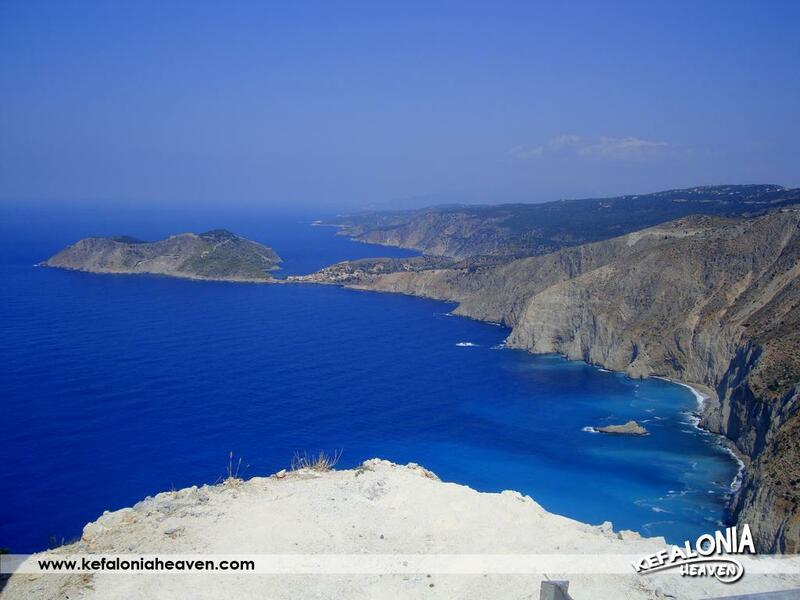 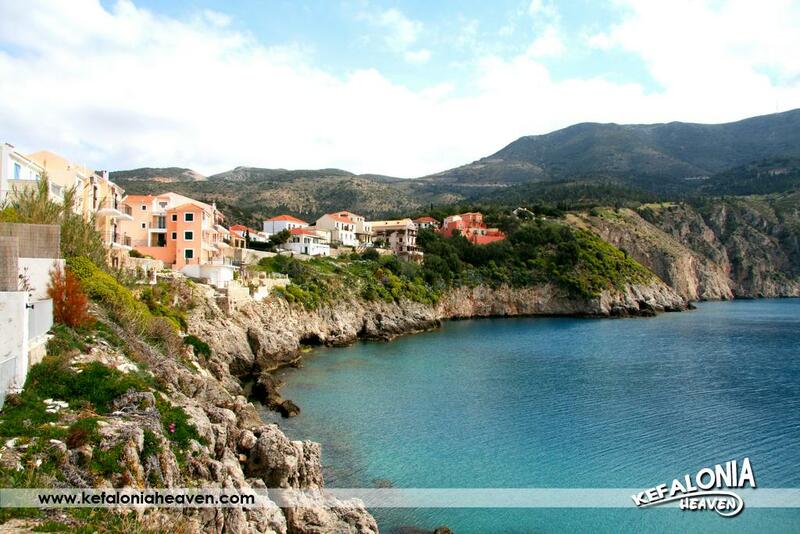 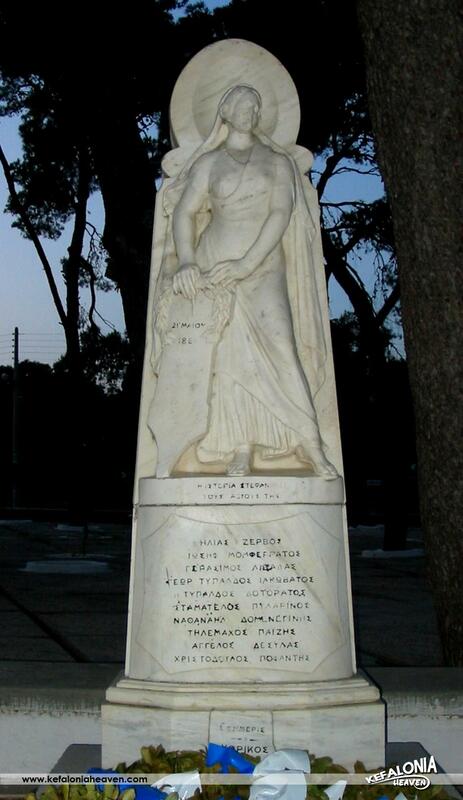 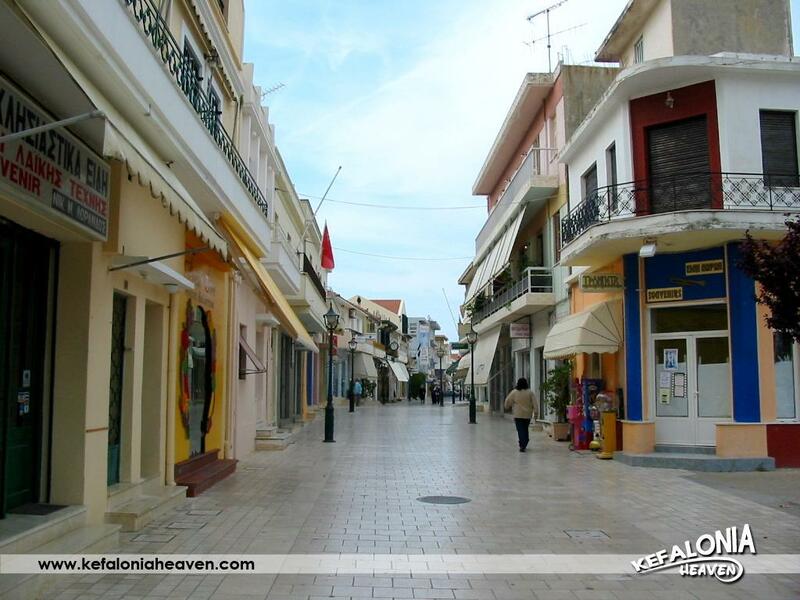 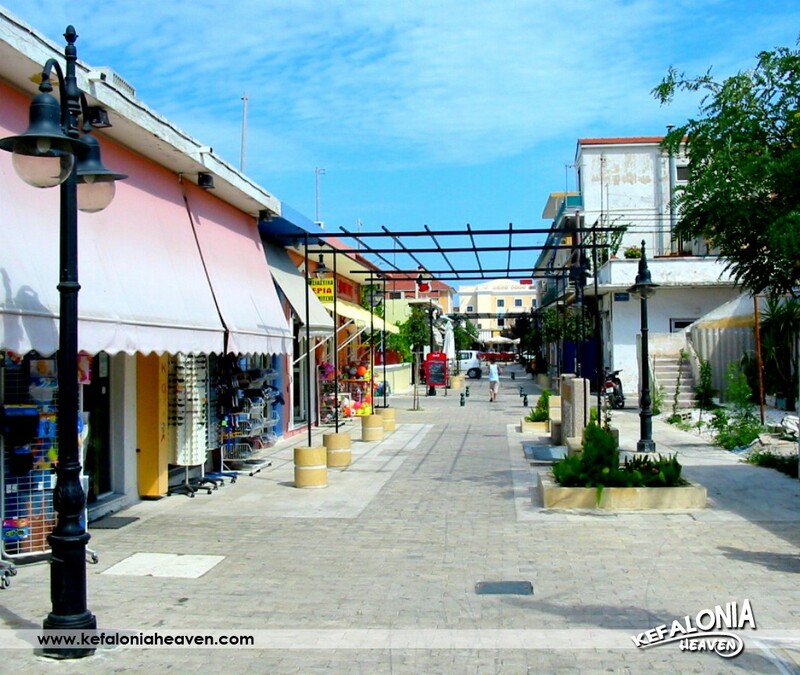 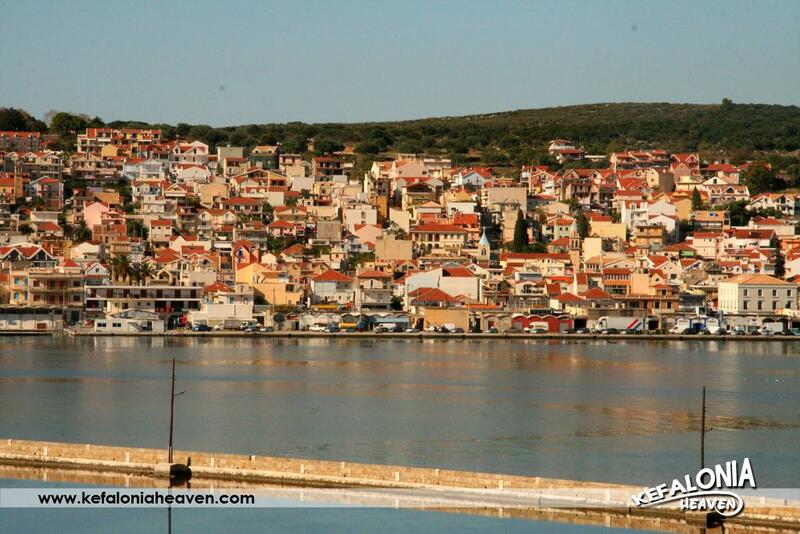 Vigli is situated in the northwestern part of Kefalonia in the Municipality of Erisos. 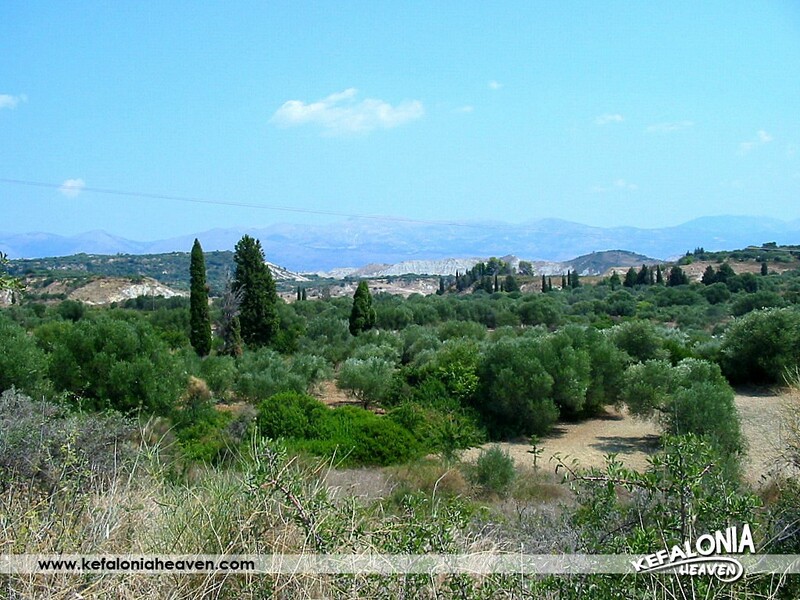 It is a lush green scenery with fascinating mountains and small lowland areas which give away each season’s identity by its colorful and characteristic flora. 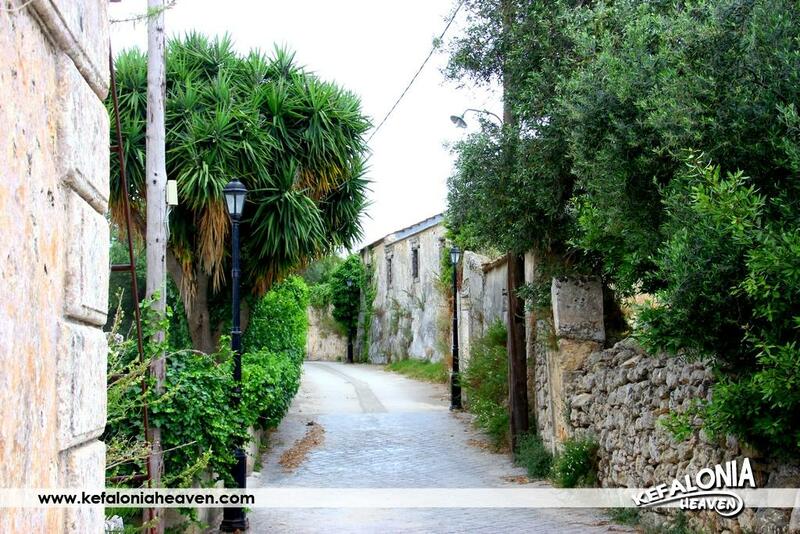 The great aura of technology and numerous cars haven’t reached this village. 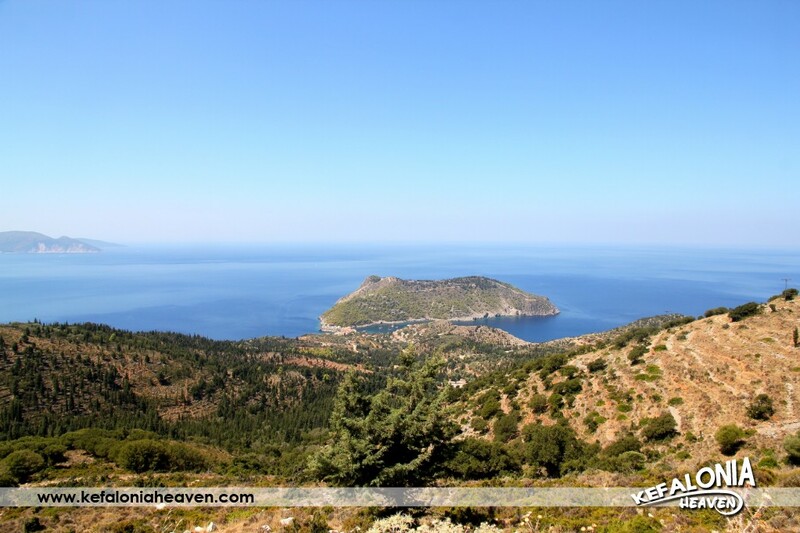 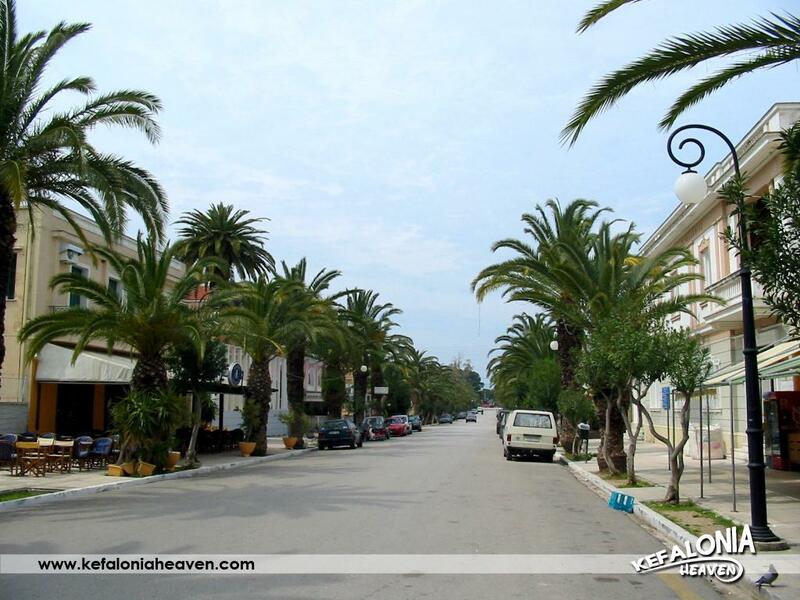 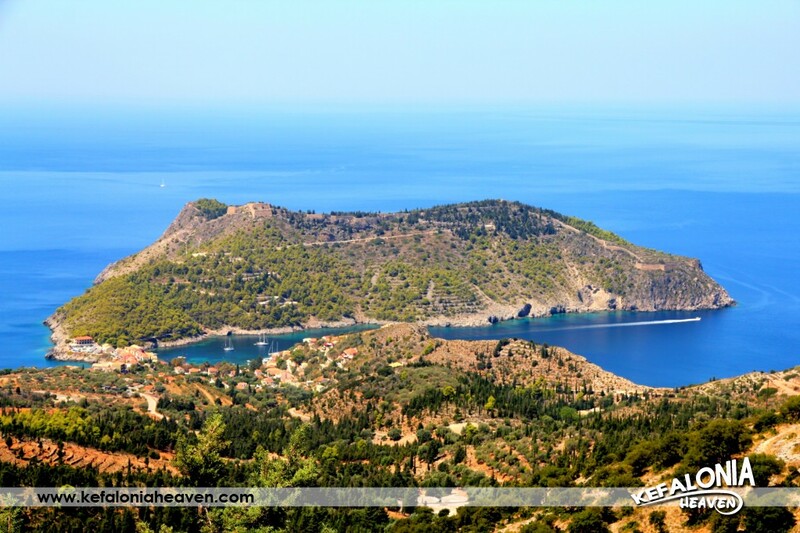 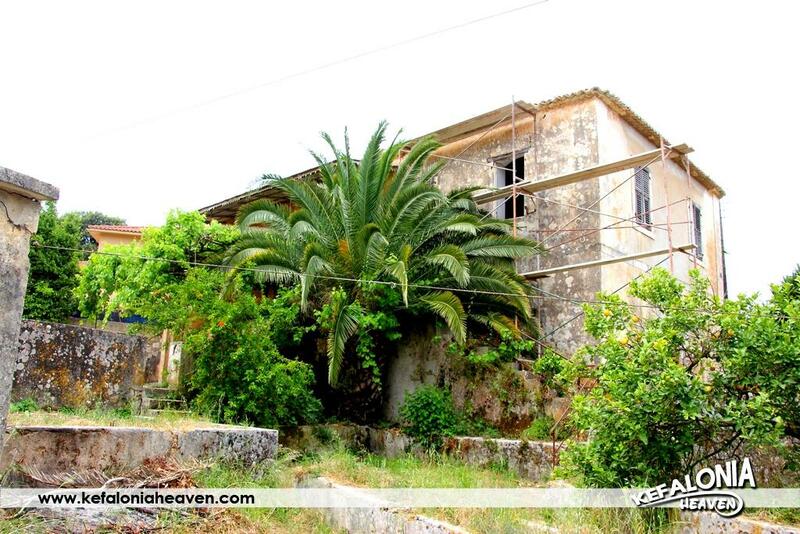 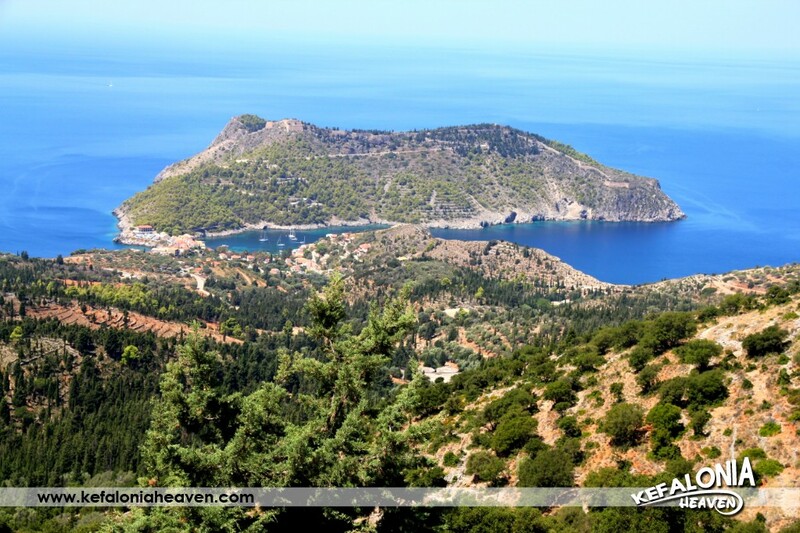 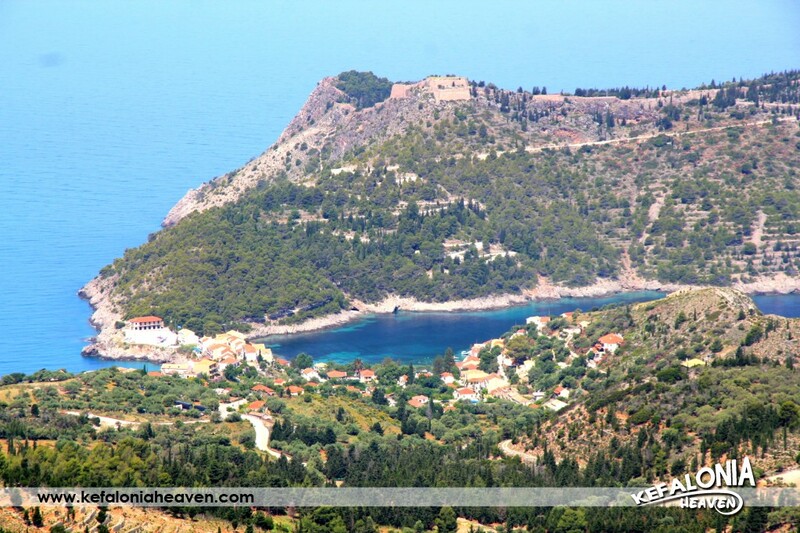 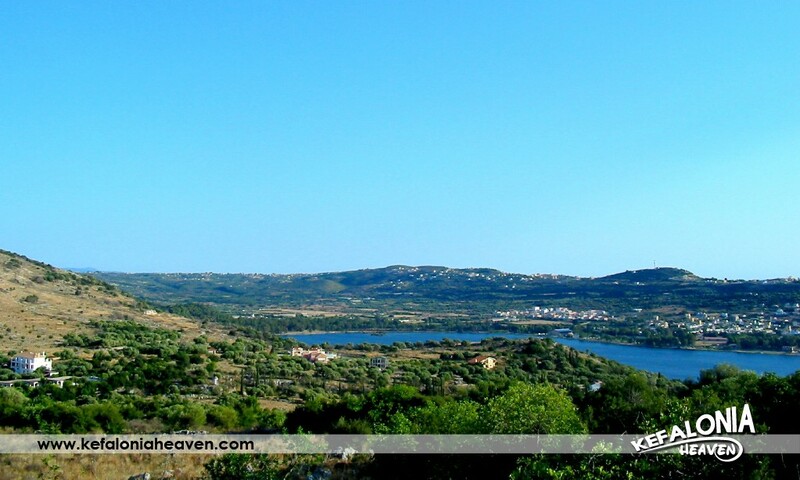 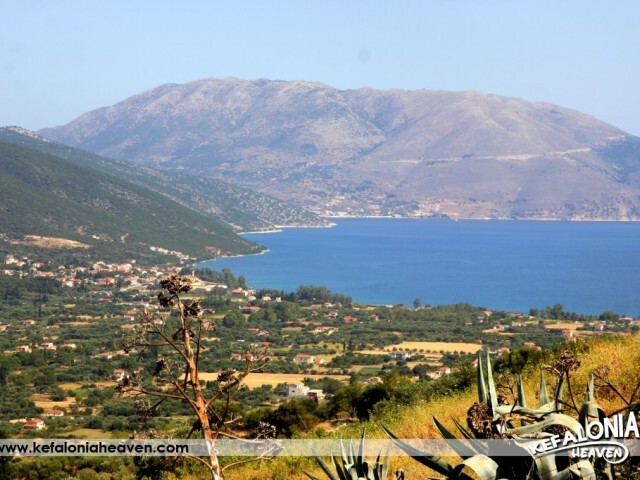 It can be characterized as a “hidden village”, as its distance from the Argostoli-Fiskardo national highway is 3,5km., so it is in no way a passing. 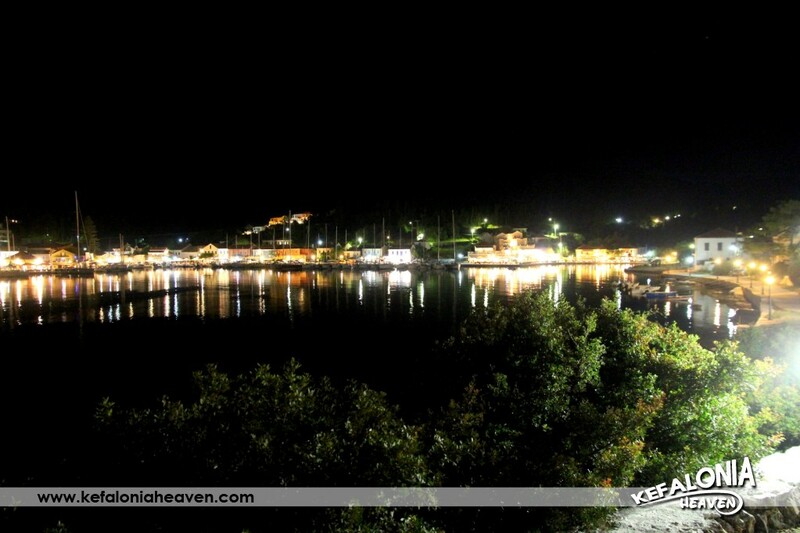 The serenity and the quietness prevalent is hypnotizing. 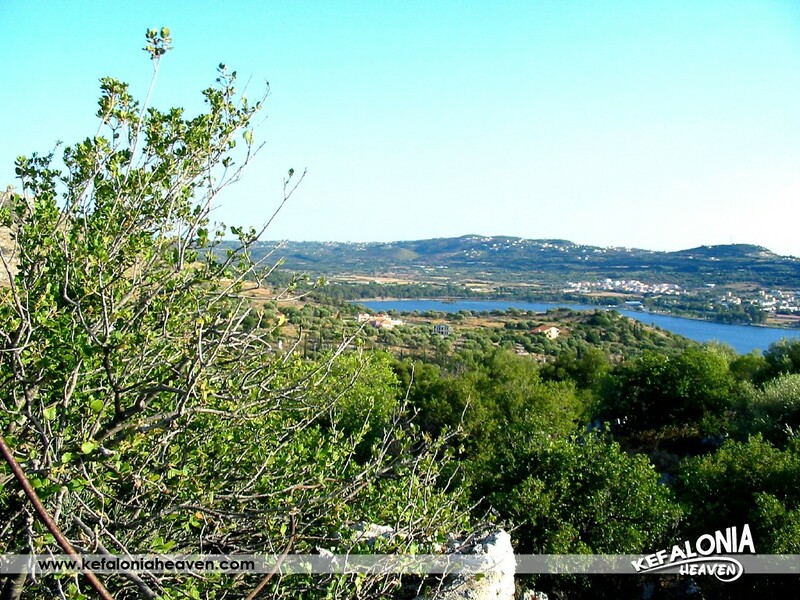 The most common sounds are the chirpings of various wild birds, the rustling of the leaves and the sound of the cool breeze. 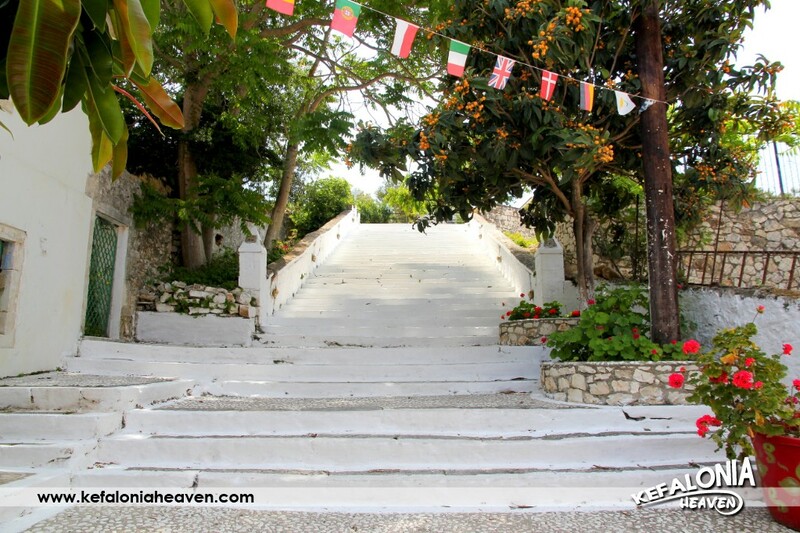 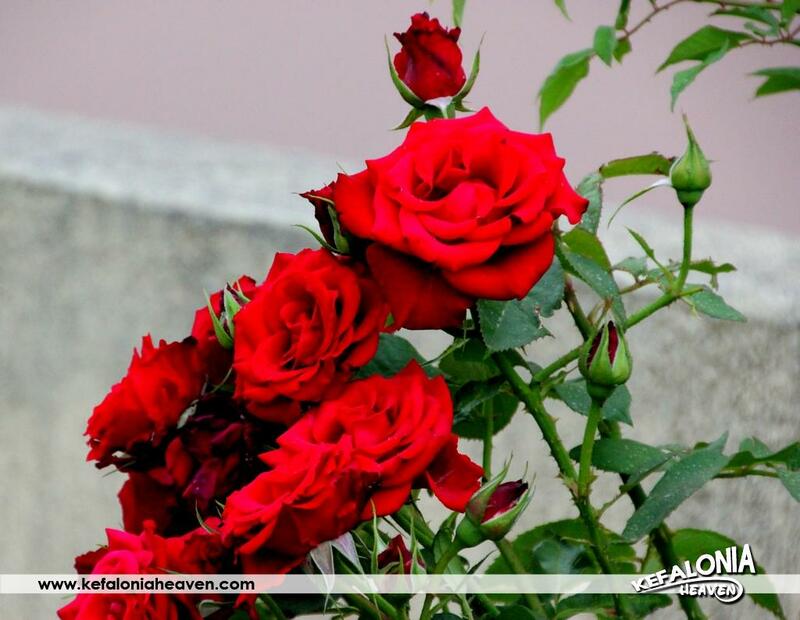 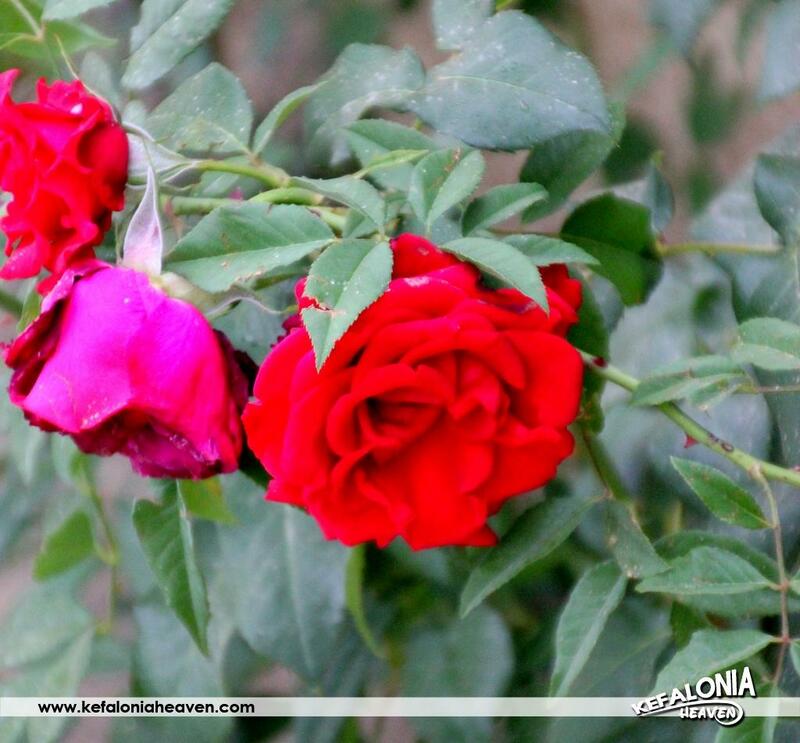 Any visitor can realize that the temperature is ideal because the village is filled with shady places, which combined with the permanent presence of a cool breeze create a special sense of relaxation, a unique present from a blessed nature. 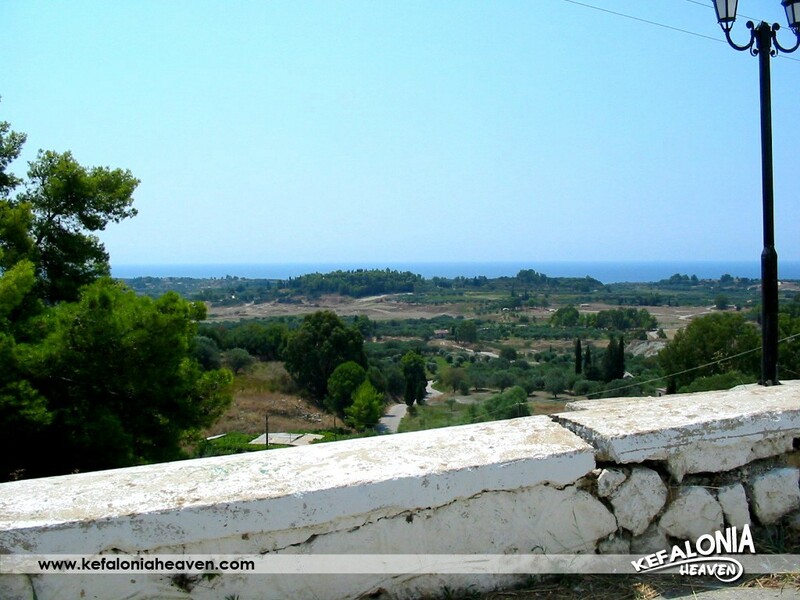 It is true that the peculiar geographical position of the village offers winds from every side of the horizon. 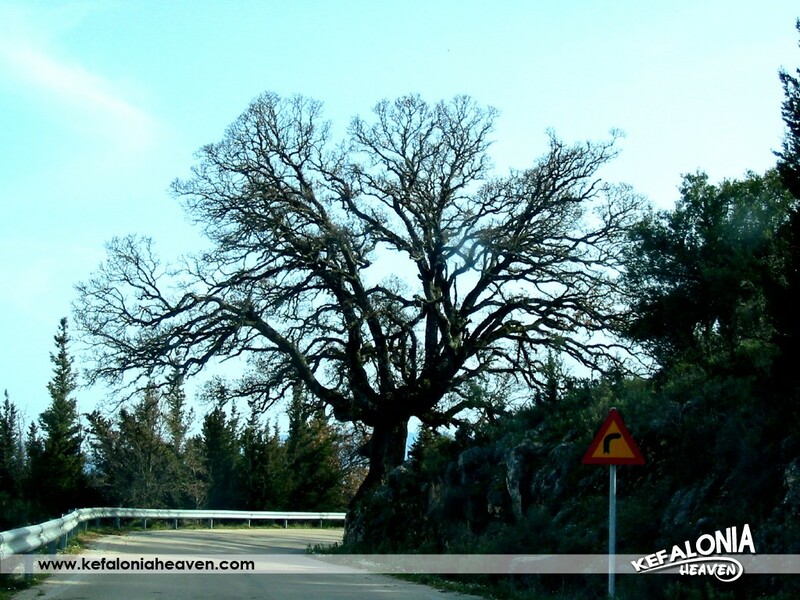 As far the winter period is concerned, nature displays a wilder form. 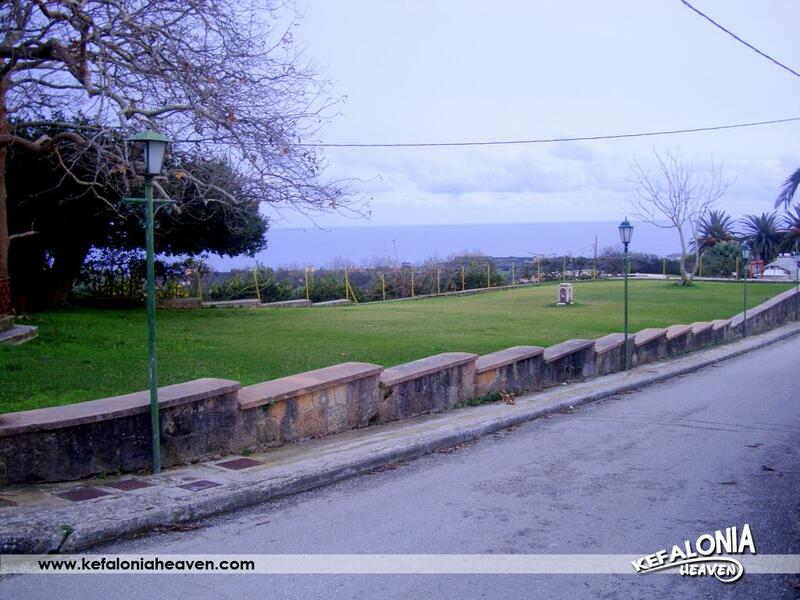 An integral part of the village’s authentic beauty is its wonderful view, which relaxes the eye, but simultaneously uplifts the visitor’s mood. 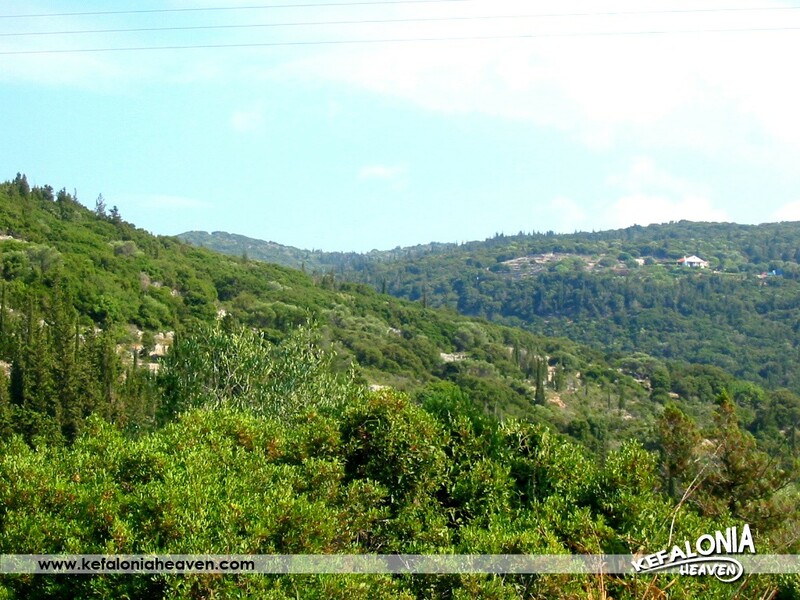 The wandering eye will see endless mountains of deep green color. 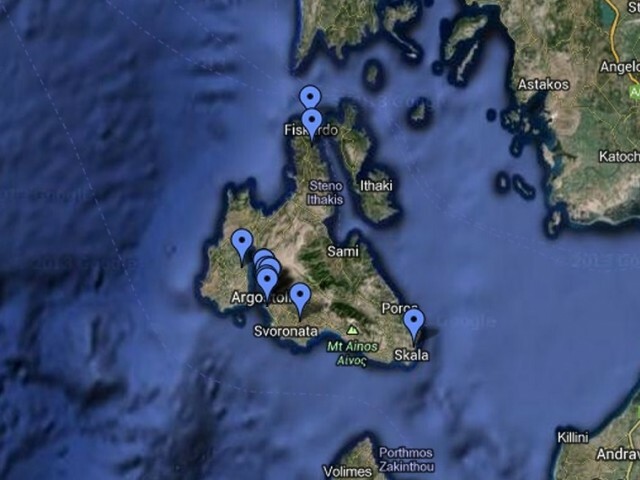 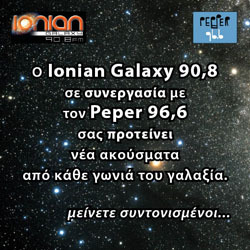 The next movement of the eye will lead it to the unique sea of the Ionian and even further to the peculiar Cape of Atheras. 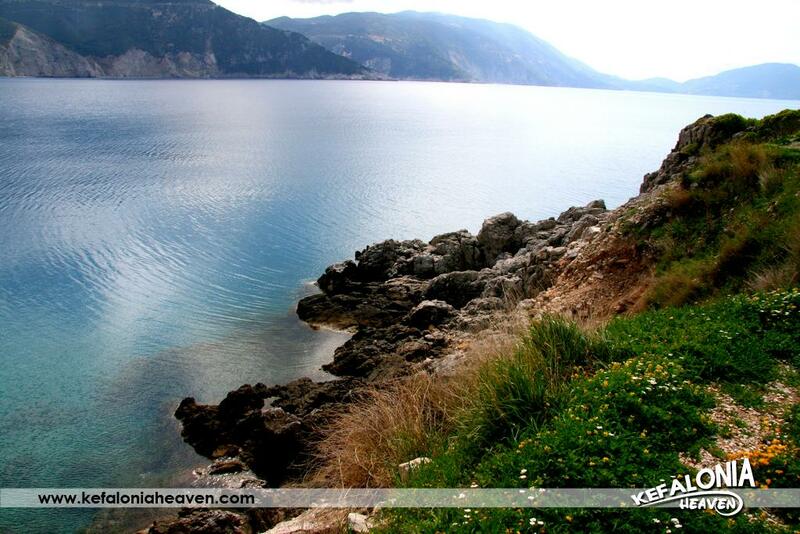 That kind of view can be the source of spiritual inspiration for any type of creation. 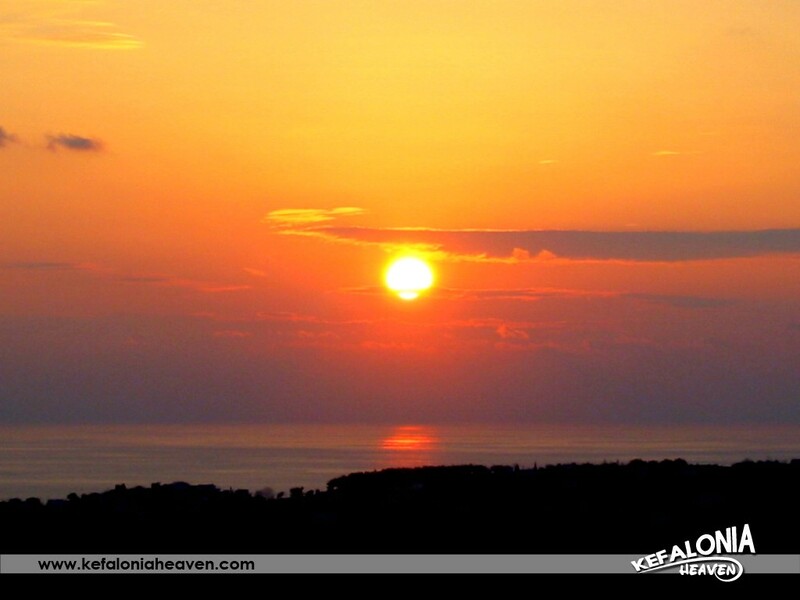 In this small corner of the world, each day ends beautifully decorated with an intense but every time different sunset. 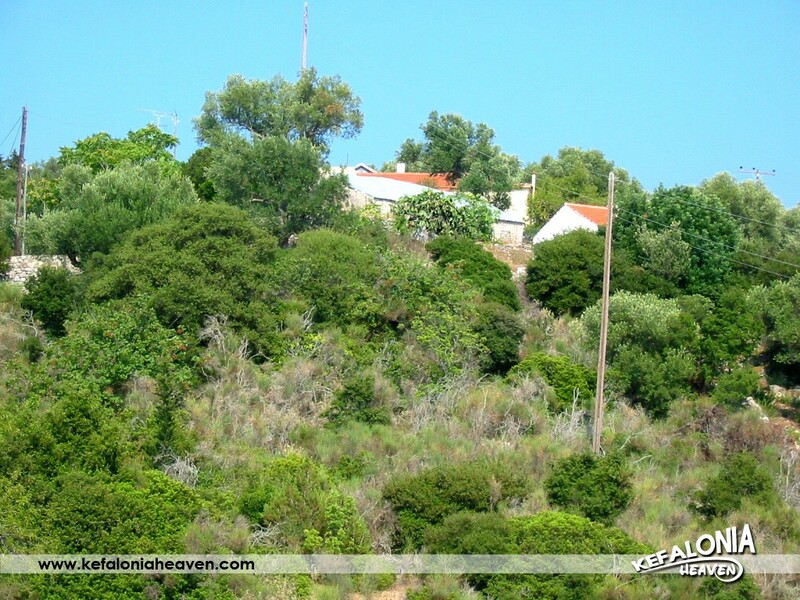 The village’s vegetation is lush. 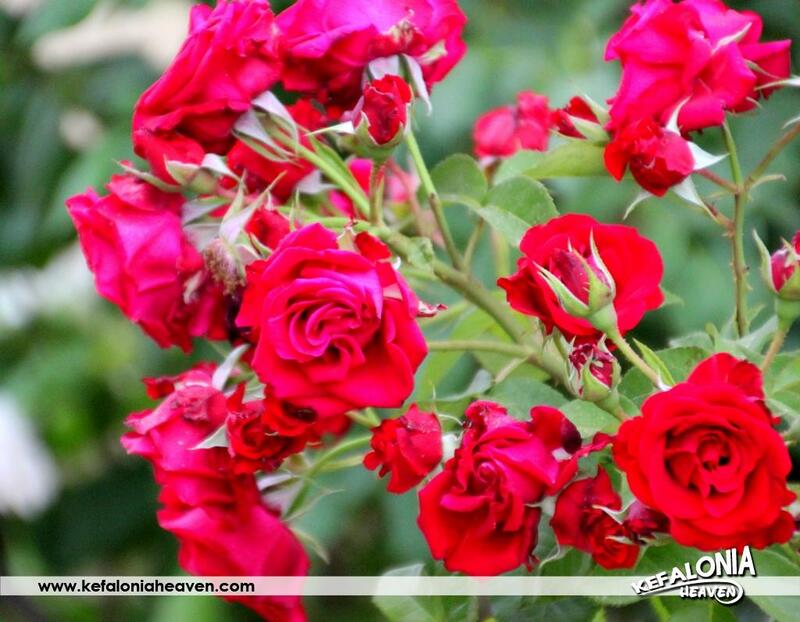 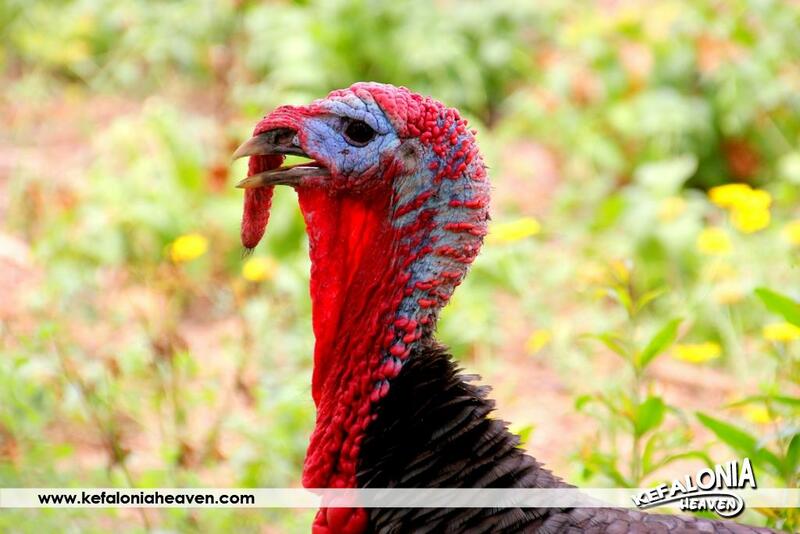 Nature displays all its aspects, in all its majesty every season of the year. 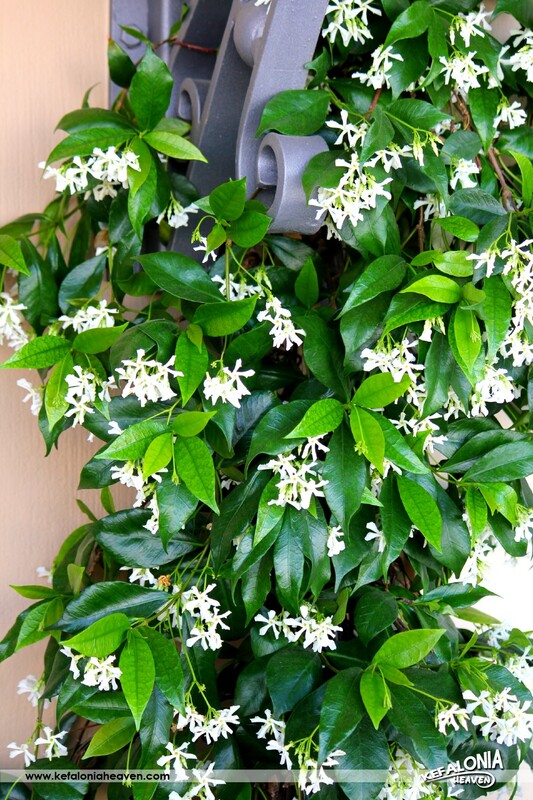 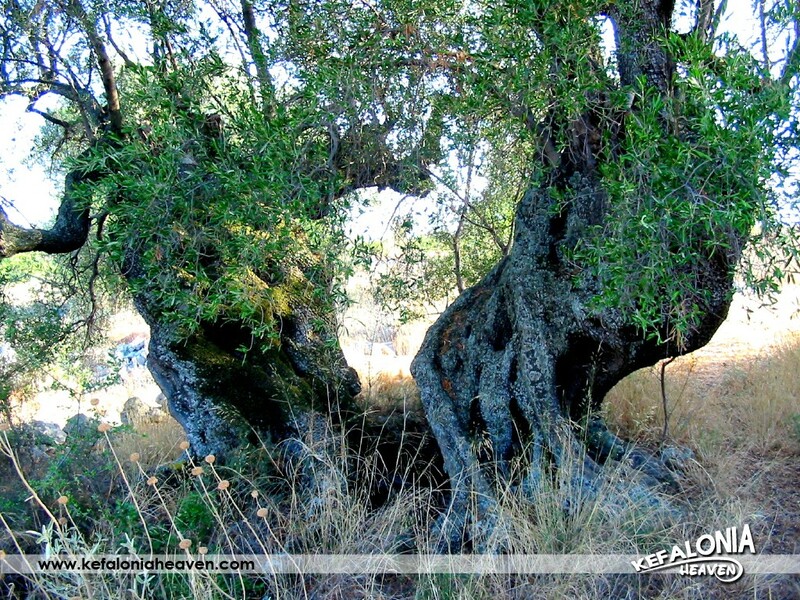 Natural green is a source of oxygen and health. 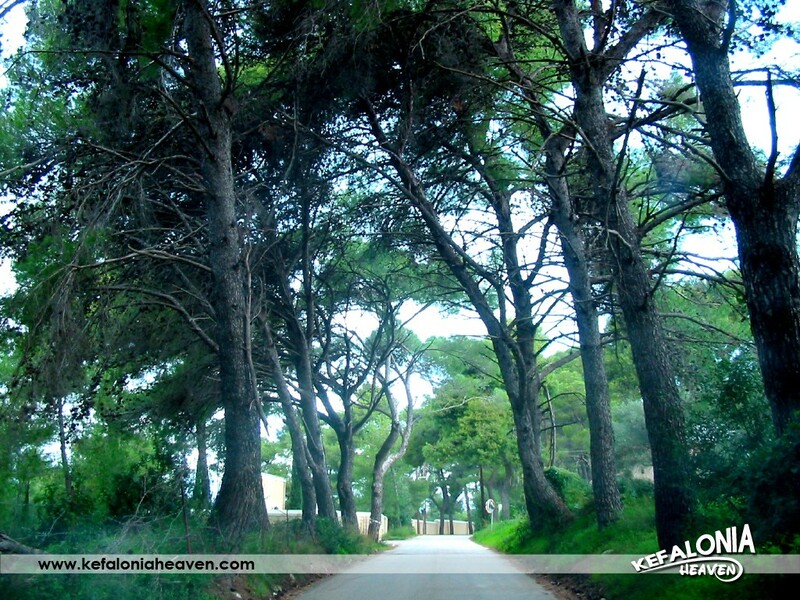 Everybody can enjoy it since it’s easy to wander down one of the many mysterious pathways. 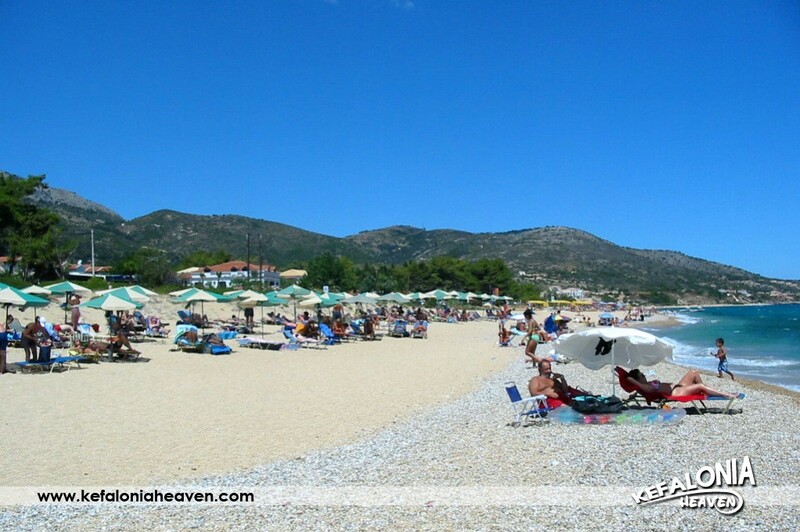 The beach is at a distance of 500m. 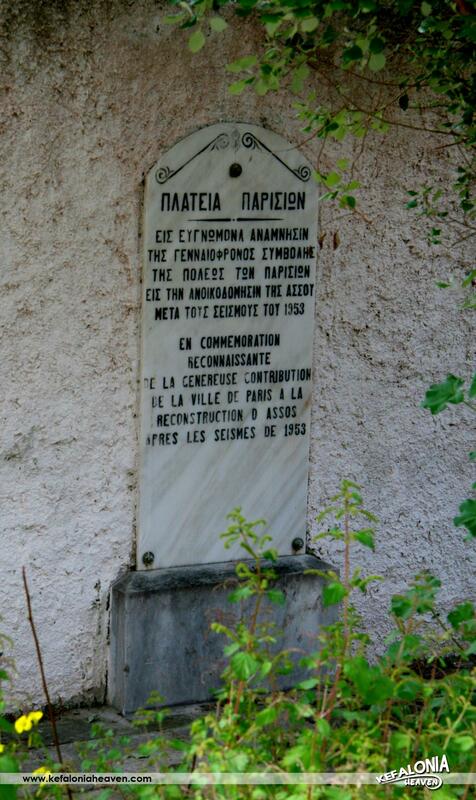 from the village. 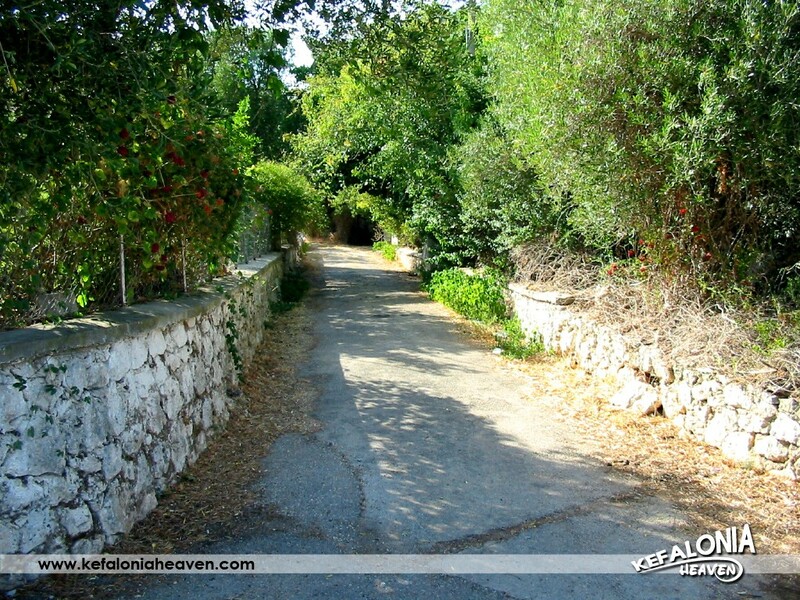 There is a traditional path that connects the beach to the village. 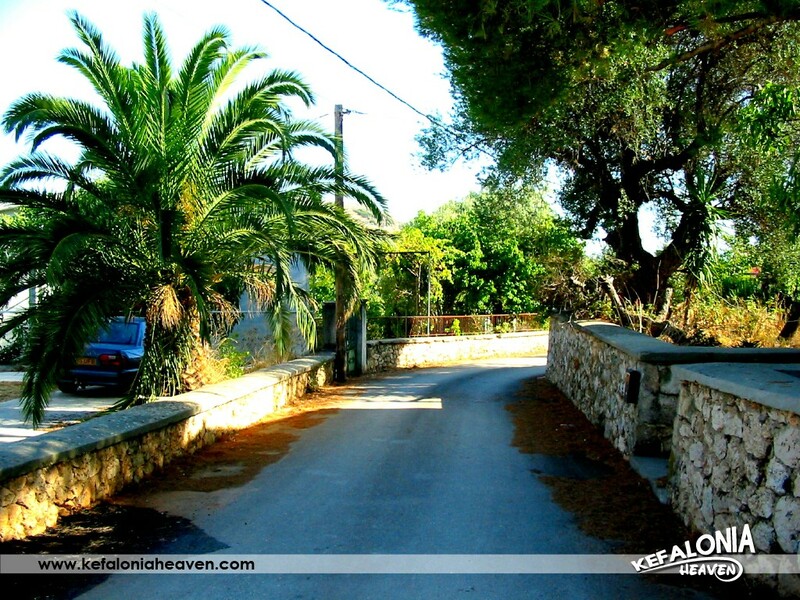 There is also a blacktop road that leads to the beach, but via another village. 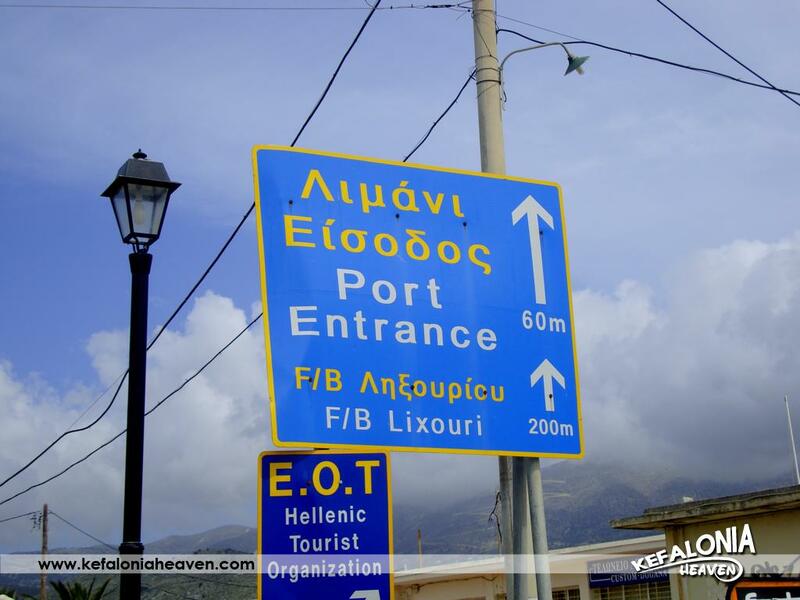 We advise that you try the route through the traditional path. 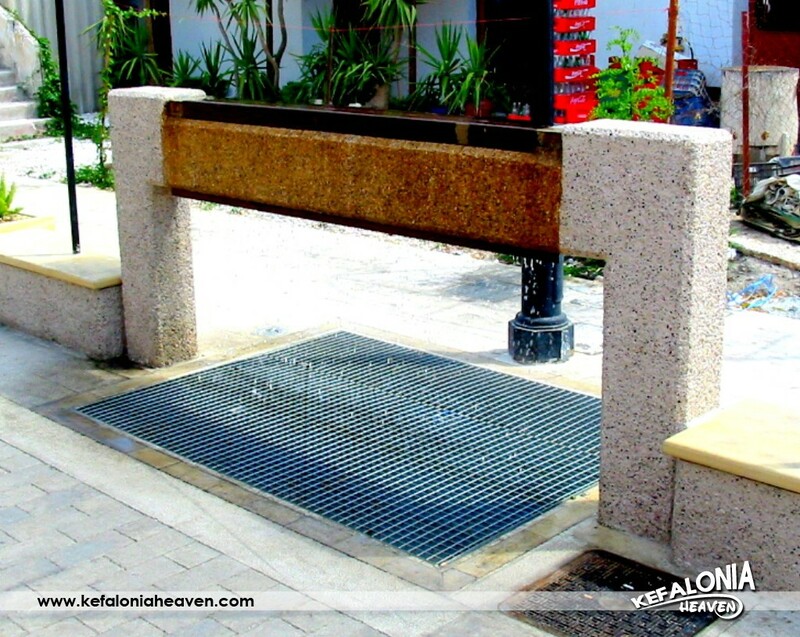 The drip after your wandering on the path will be much more enjoyable. 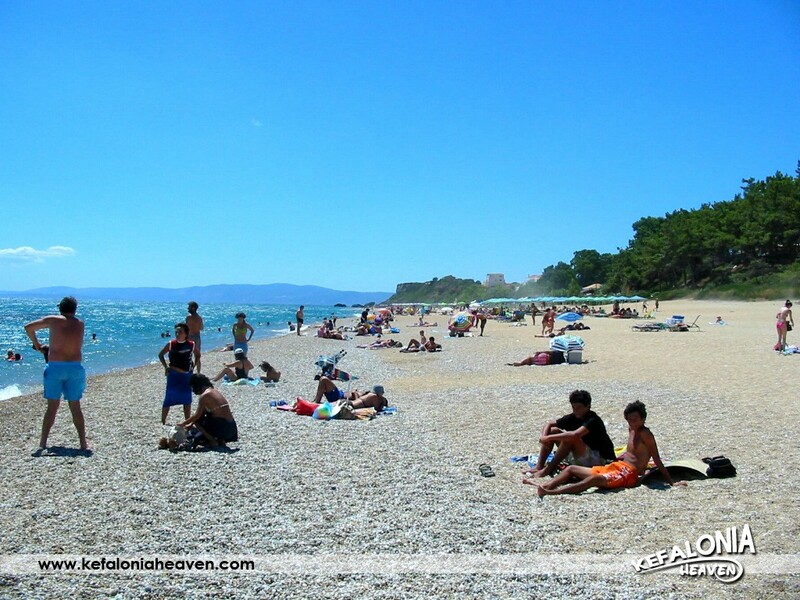 The beach is called Aghia Iereousalem and it is basically two pebble beaches, one next to the other. 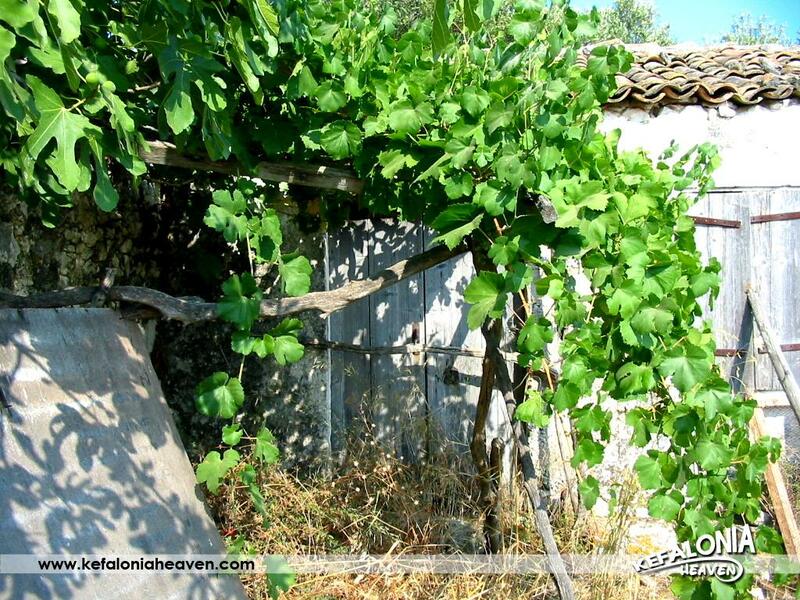 There are many fig trees with lots of figs on the beach and a natural well with plenty of cool water. 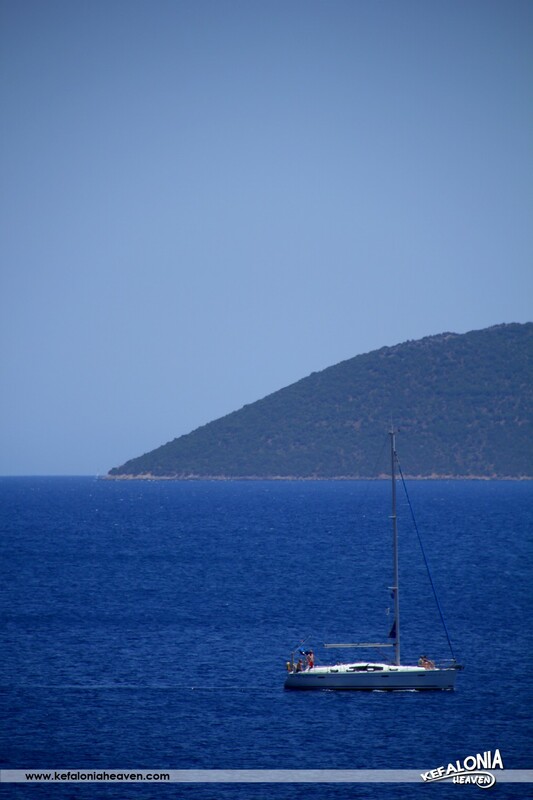 The general morphology around the beach is truly one-of-a-kind. 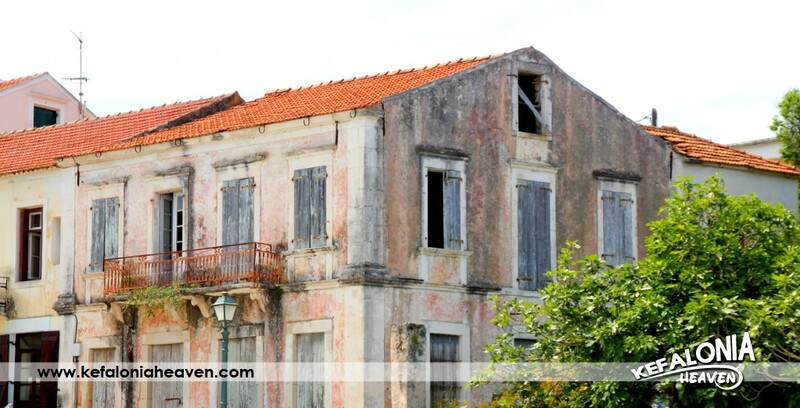 Most of the houses have been built after the earthquake of 1953. 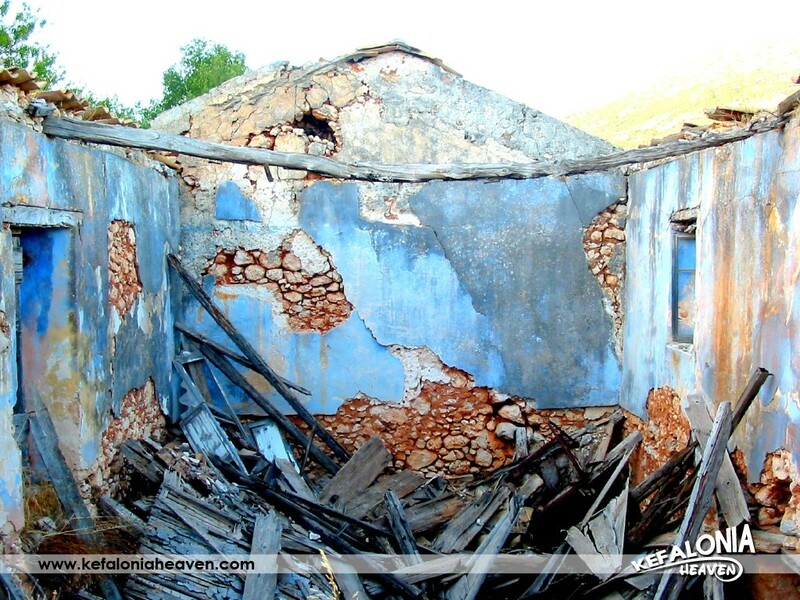 However, there are still quite a few traditional, pre-earthquake houses and some preservable ones, one of which is almost 400 years old. 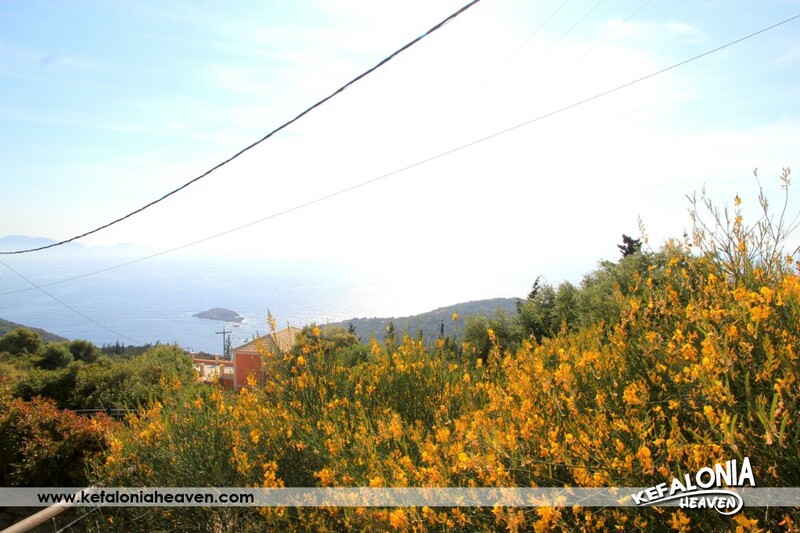 Vigli is at a short distance (1 to 2 km.) 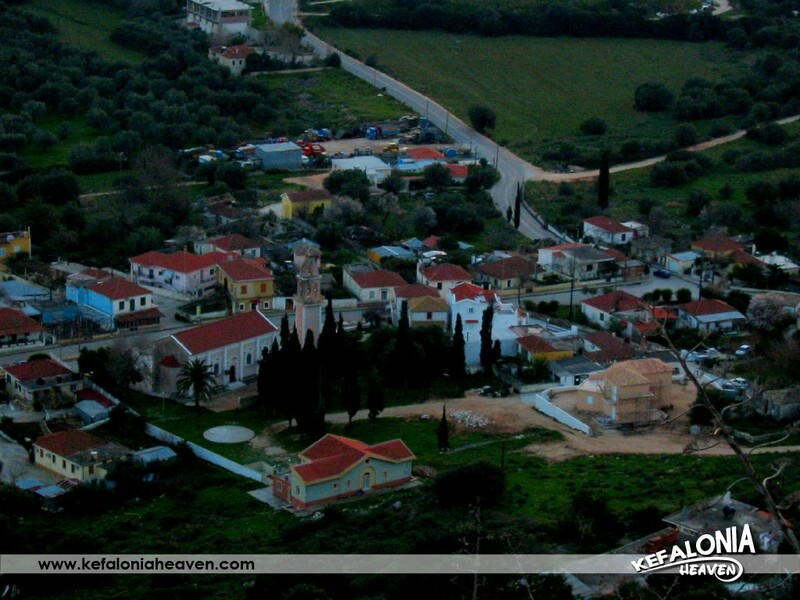 from the other villages of this area ( Markoulata, Tsamarelata, Halikeri etc.). 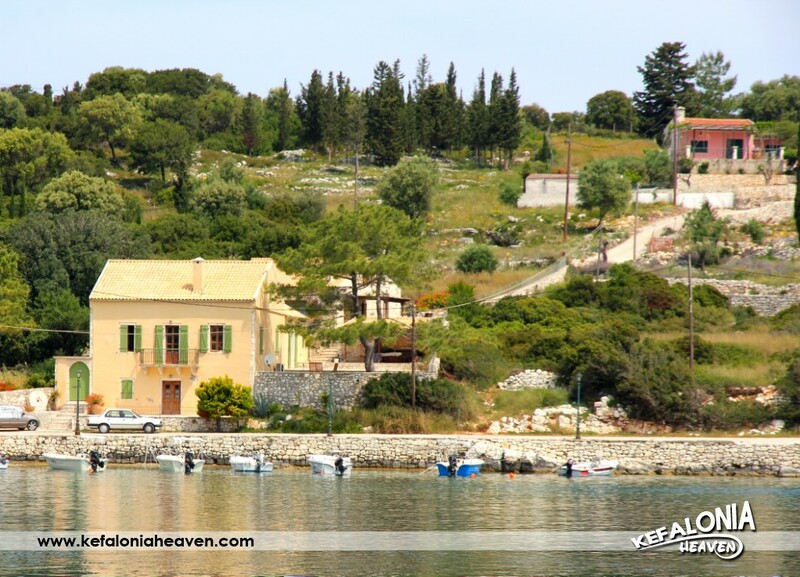 Its small population offers tranquility to this small village. 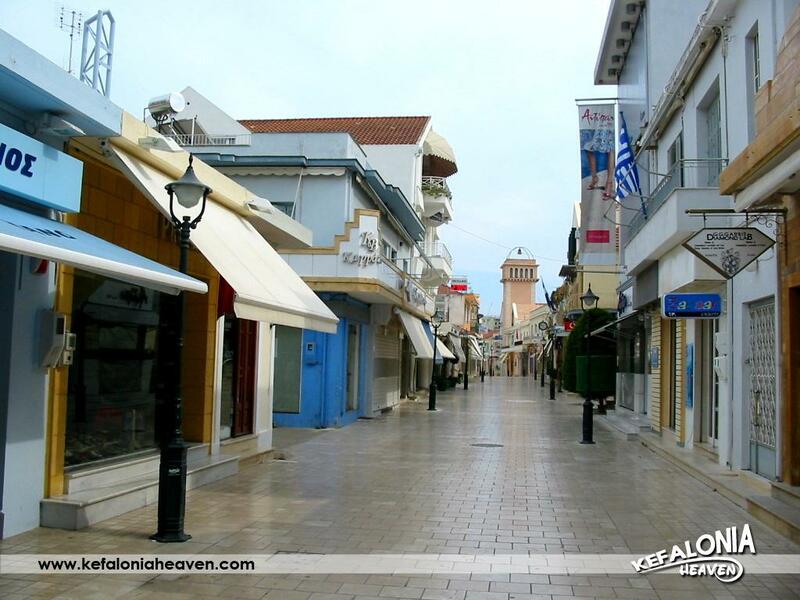 In conclusion, it is a friendly environment well hidden from excessive hustle and bustle. 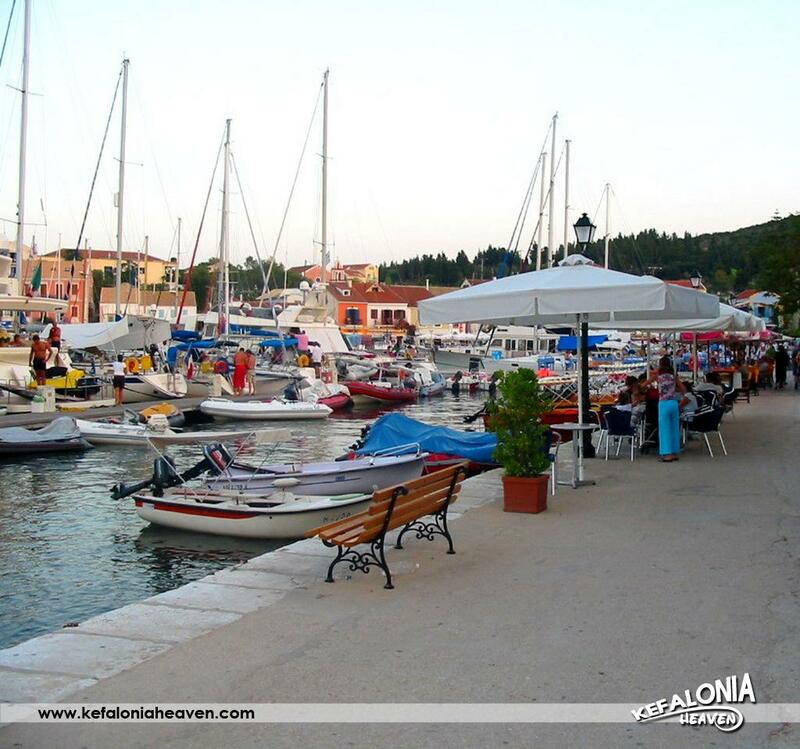 But, at the same time, a visitor can reach any well-known and populous point of this area and, of course, cosmopolitan Fiskardo, in just a few minutes. Damoulianata is one of the most picturesque villages on the Paliki peninsula and Kefalonia in general, as many traditional houses that remained intact after the earthquake of 1953 are preserved. 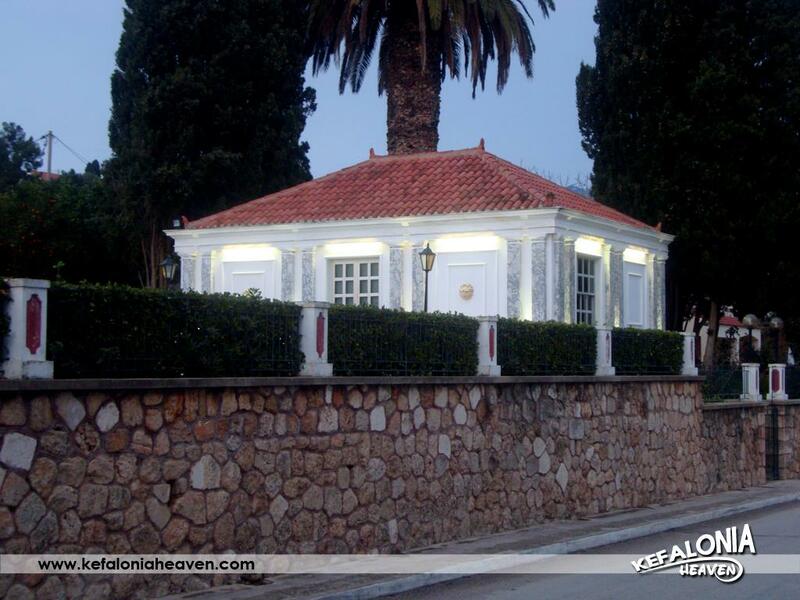 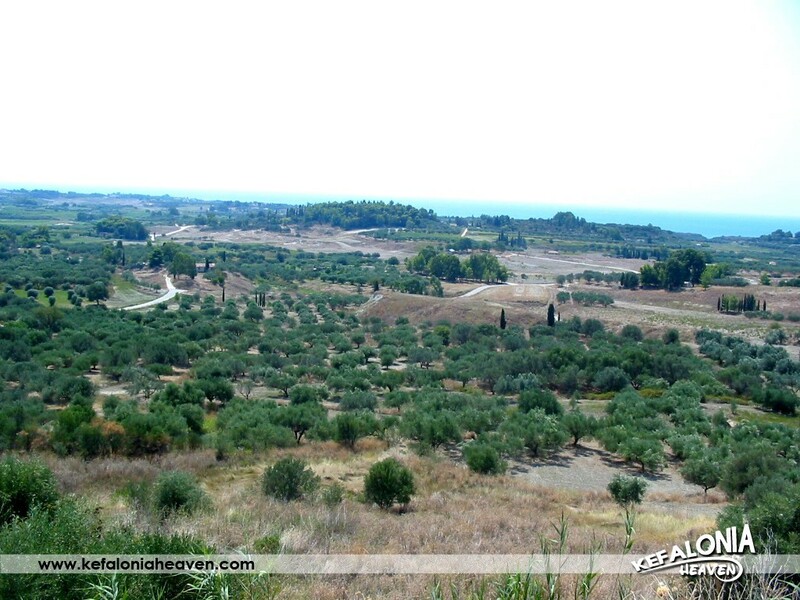 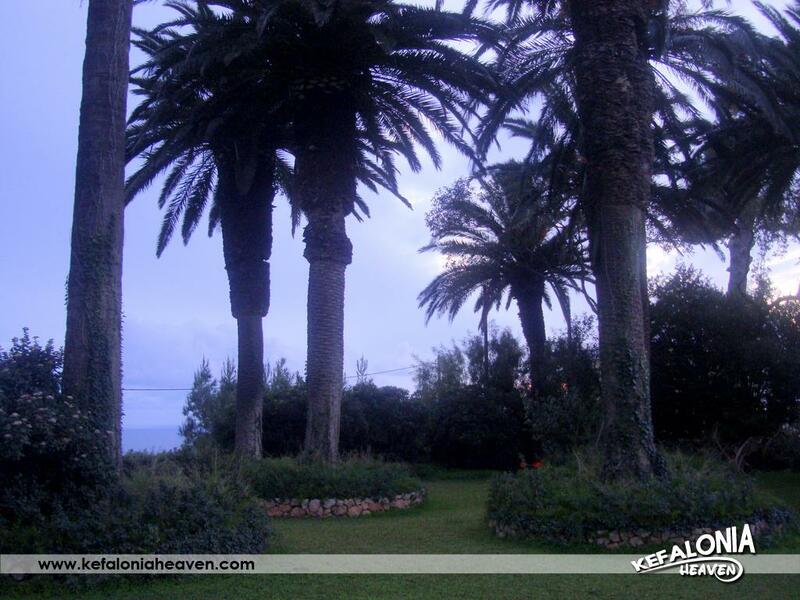 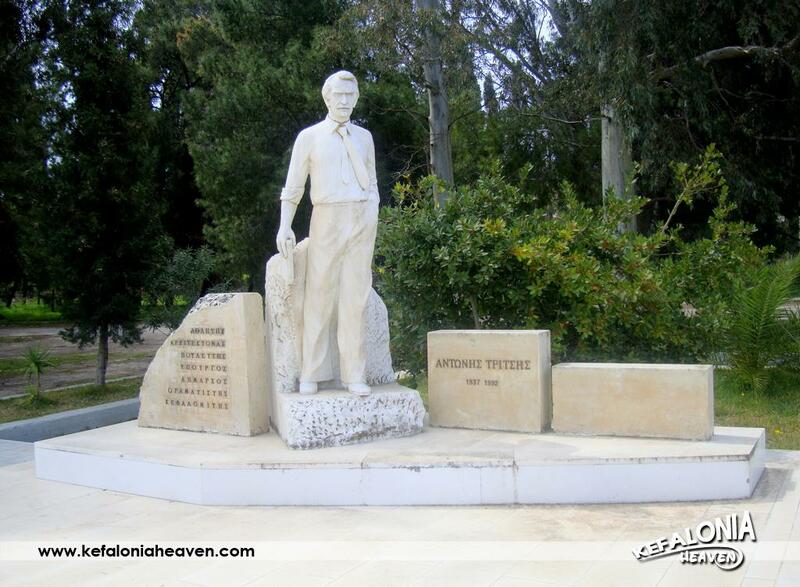 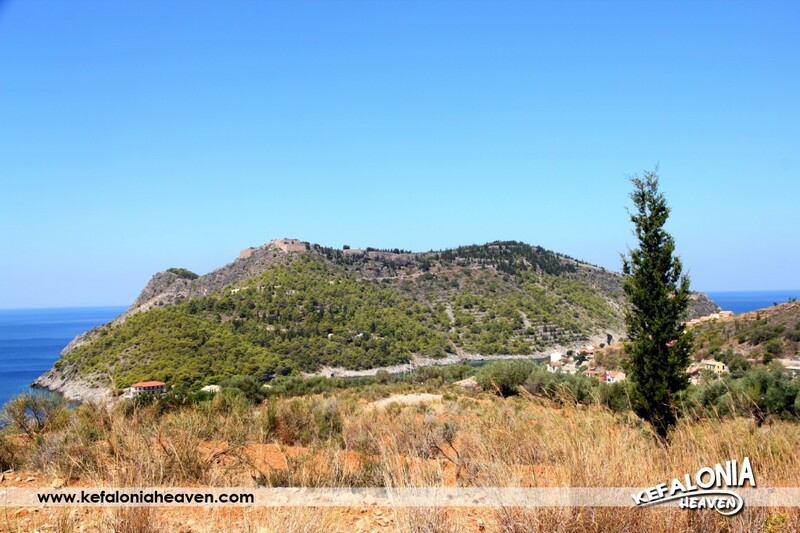 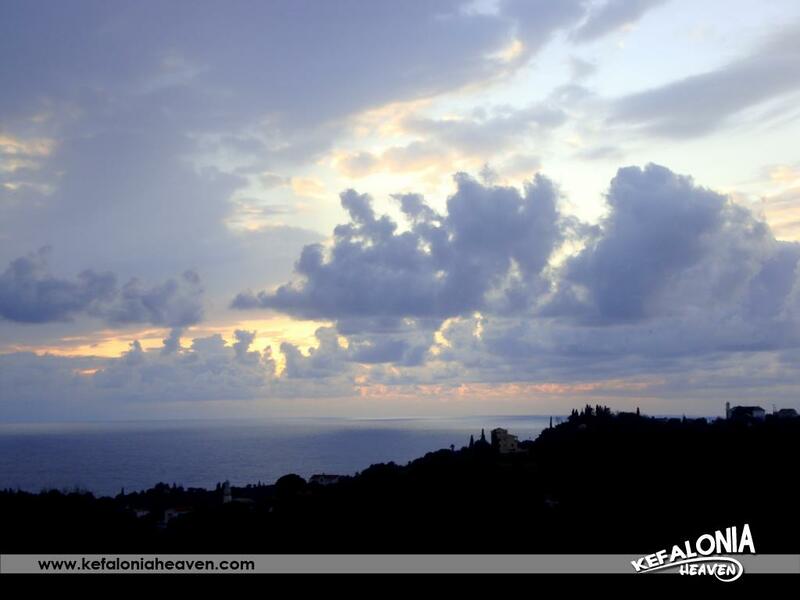 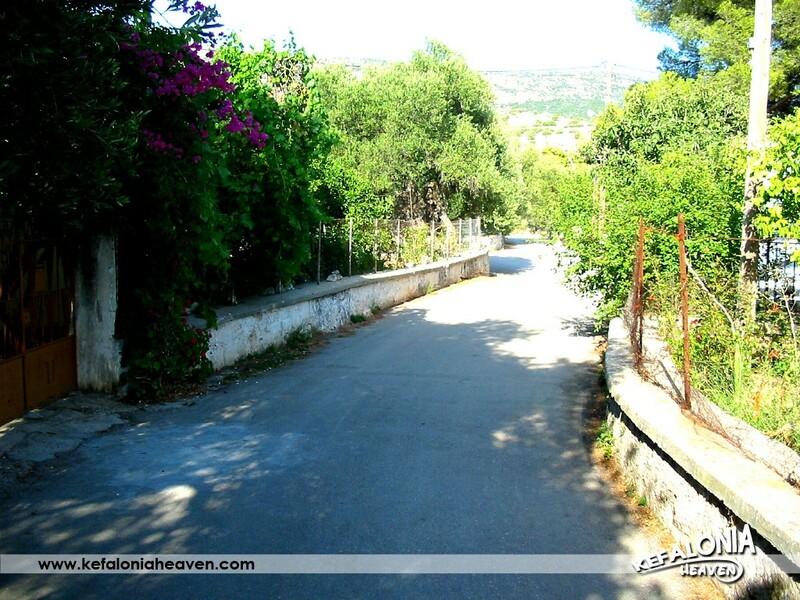 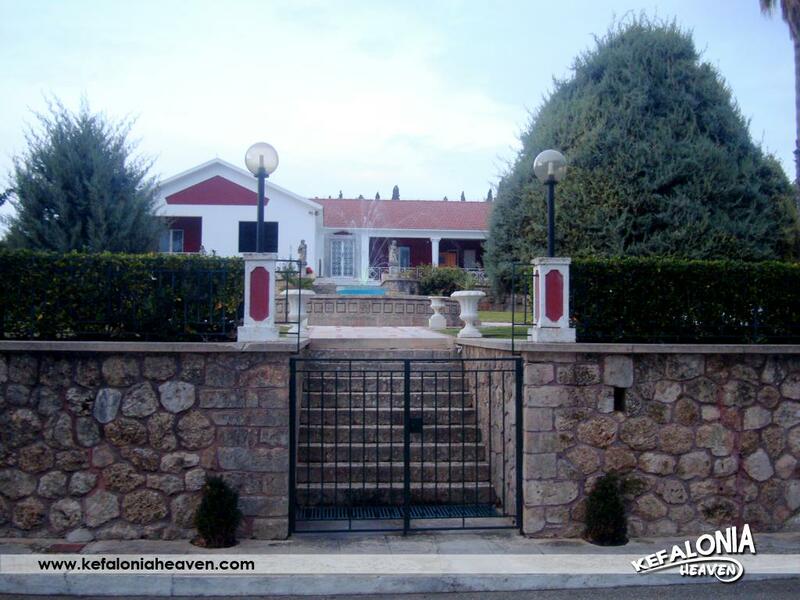 It’s close to Rifi, in an area with many trees and lush vegetation. 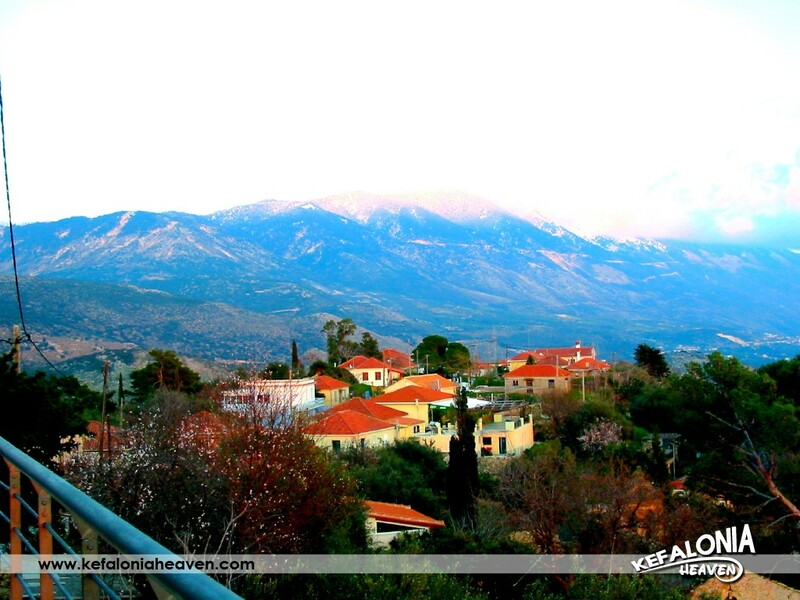 Today, Damoulianata is situated at a lower altitude than the Old village. Back then, its positioning at a higher altitude had been chosen because it functioned as an observatory for its protection from pirates. 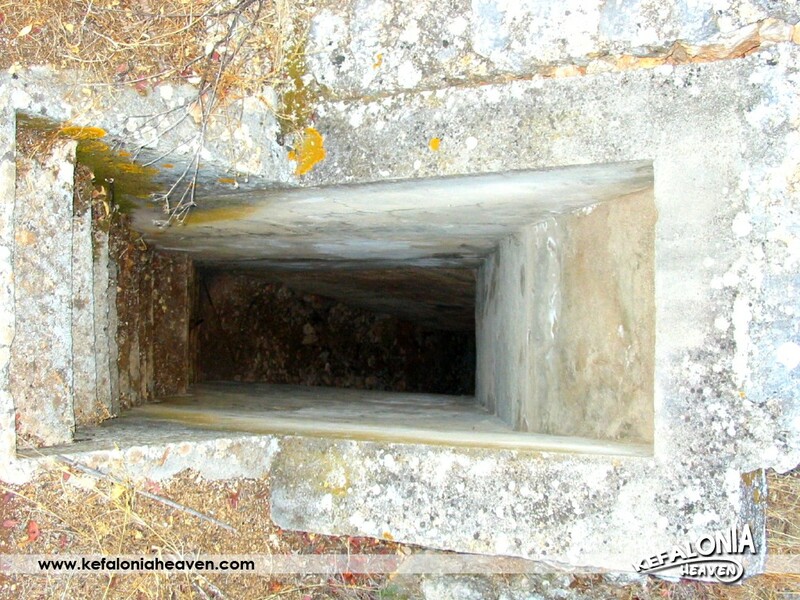 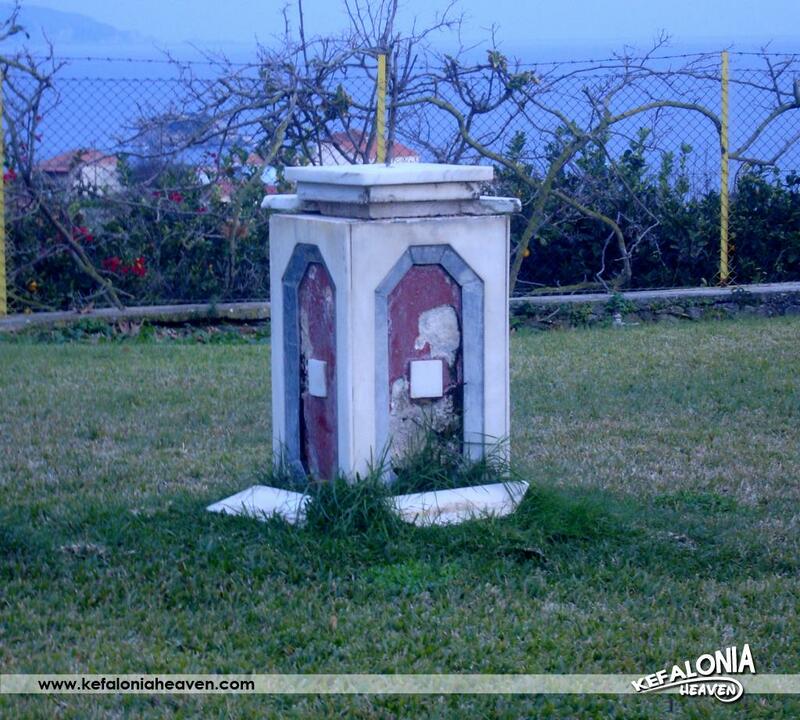 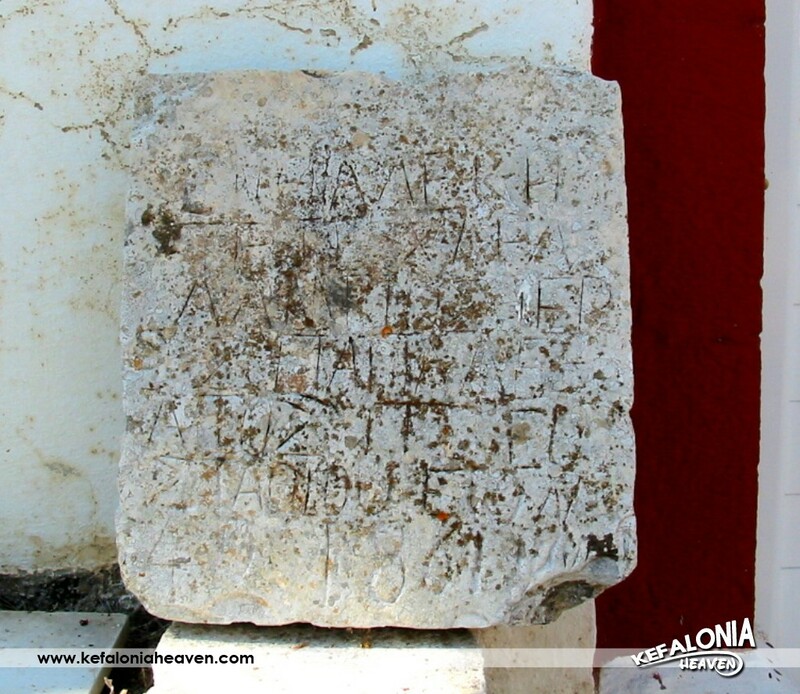 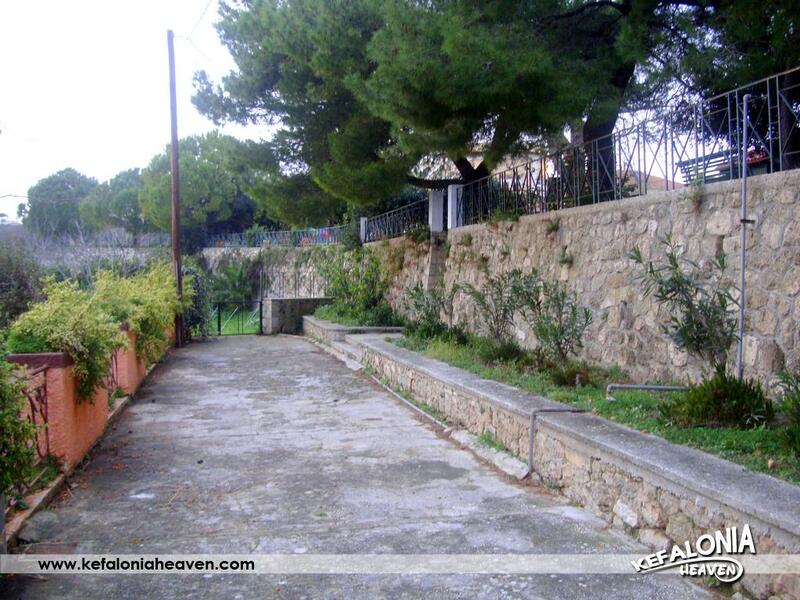 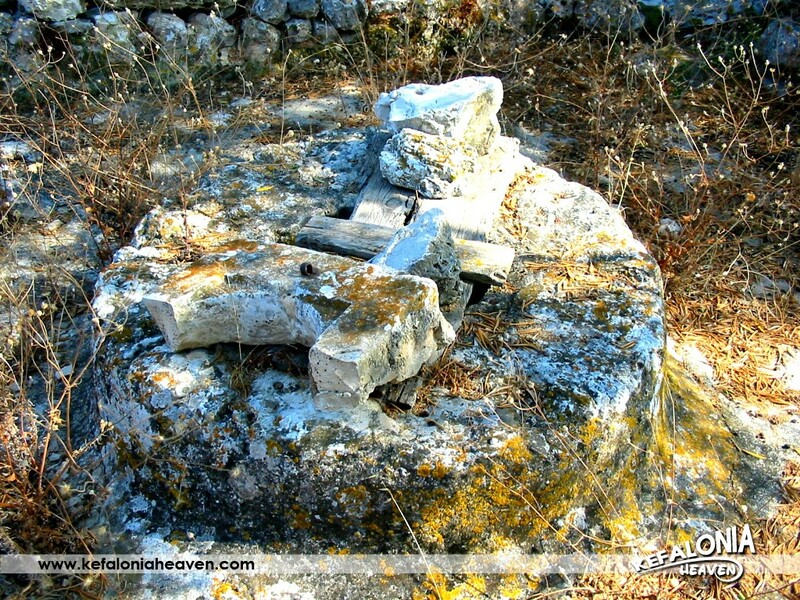 The foundations of Saint Ekaterini’s Church along with the old cemetery are preserved in the area of Paliochori. 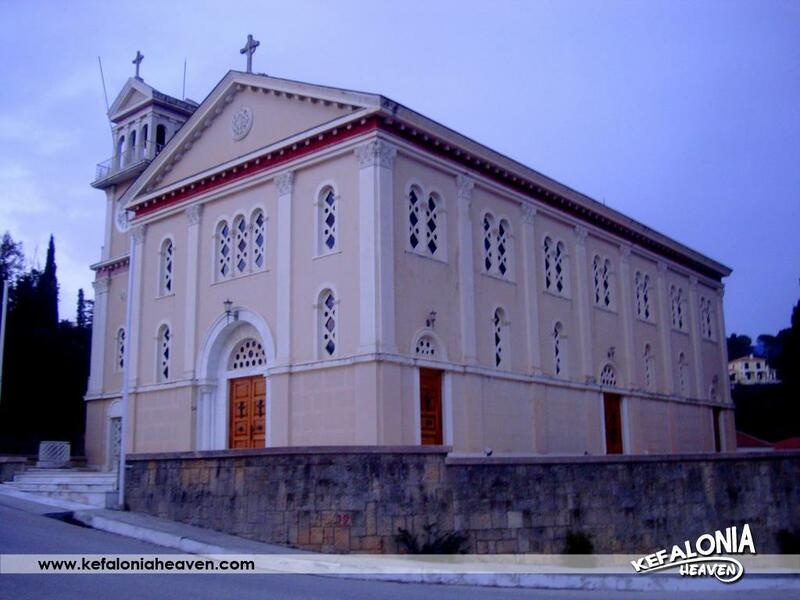 A few meters outside the village as it is today, is the Church of the Virgin Mary, which was built approximately 150 years ago and nowadays is a traditional monument. 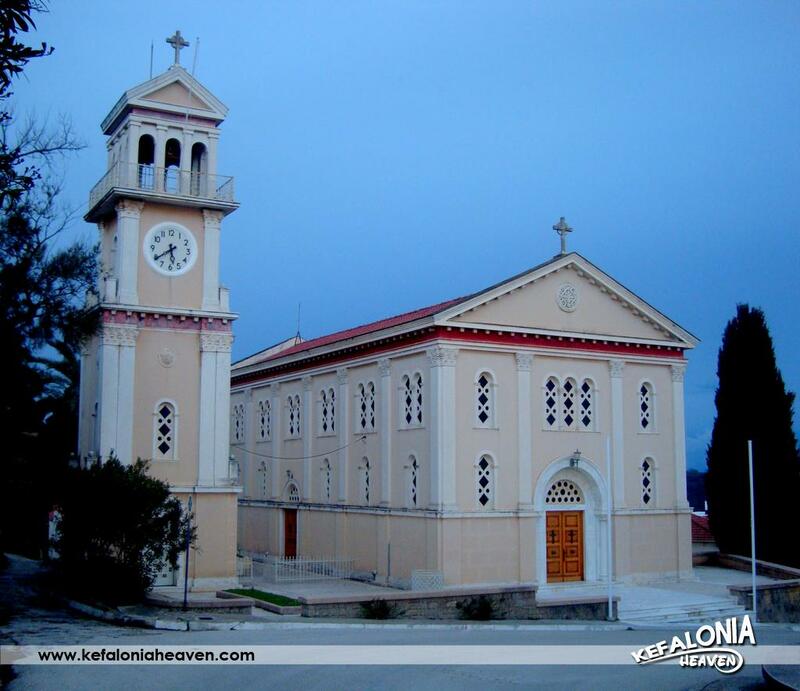 Its wood- carved chancel is made by Spiros Antipas, father of the fighter, Marinos Antipas. 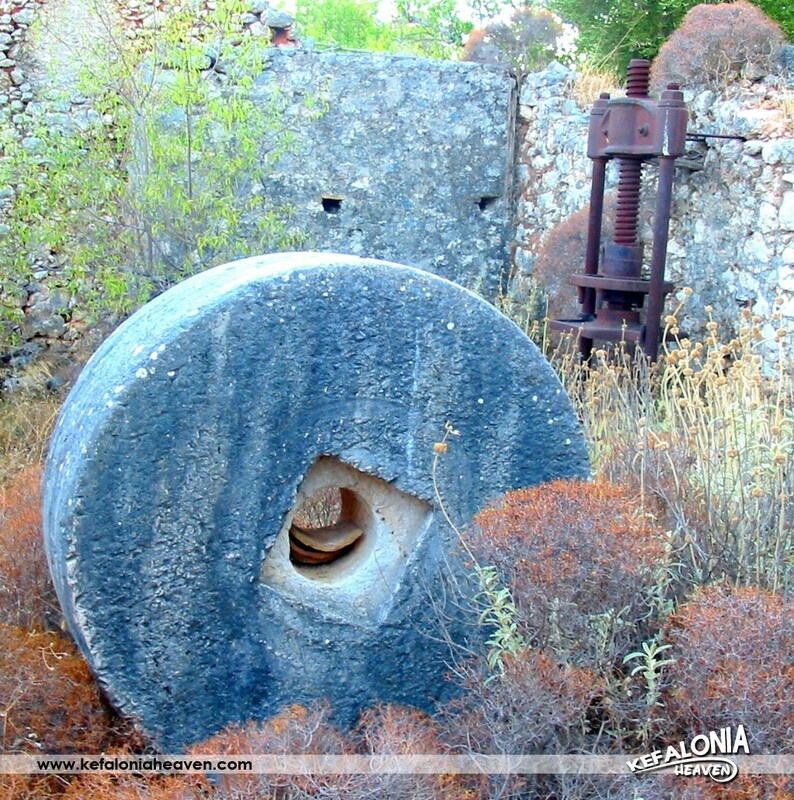 Two old wind mills, which are under reconstruction and efforts are being made to be activated, are saved in the village’s highest point. 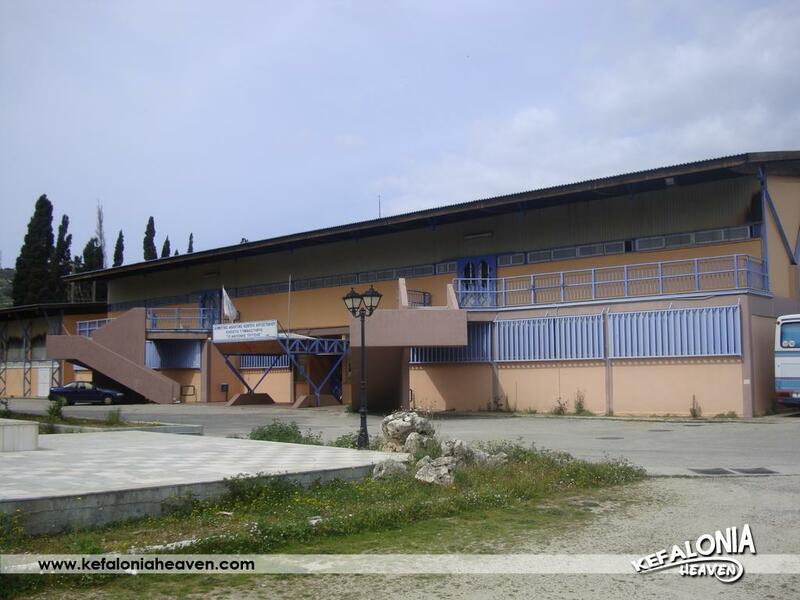 Damoulianata has a Cultural Centre, a rural surgery and a Community Library. 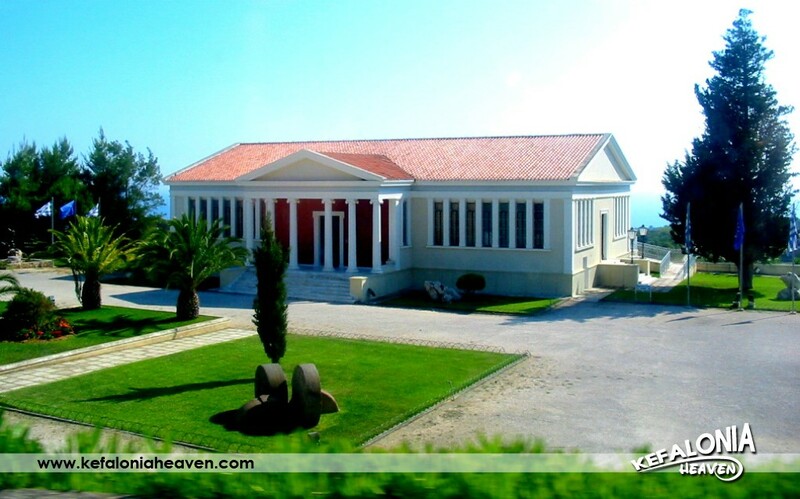 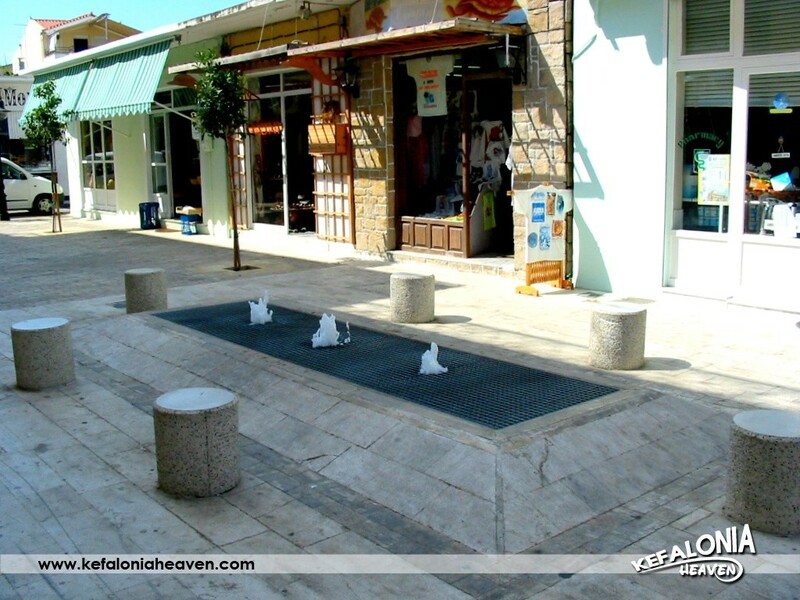 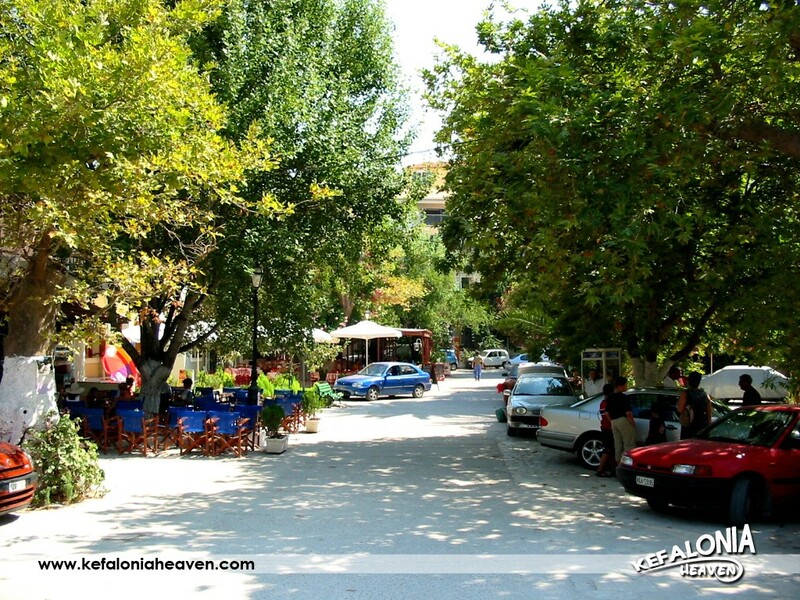 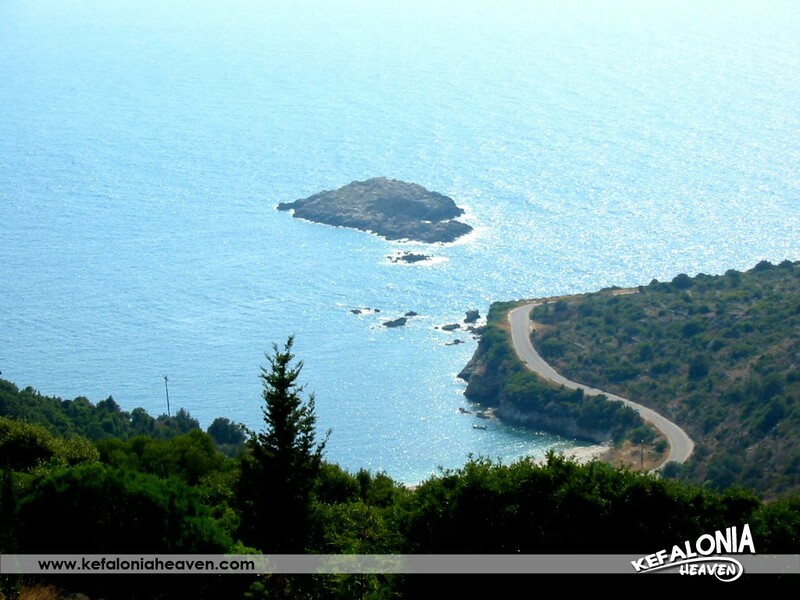 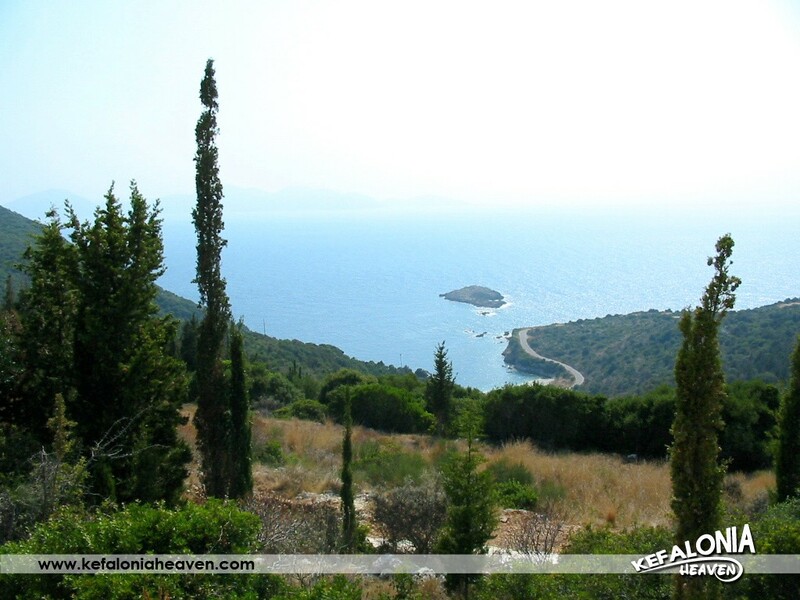 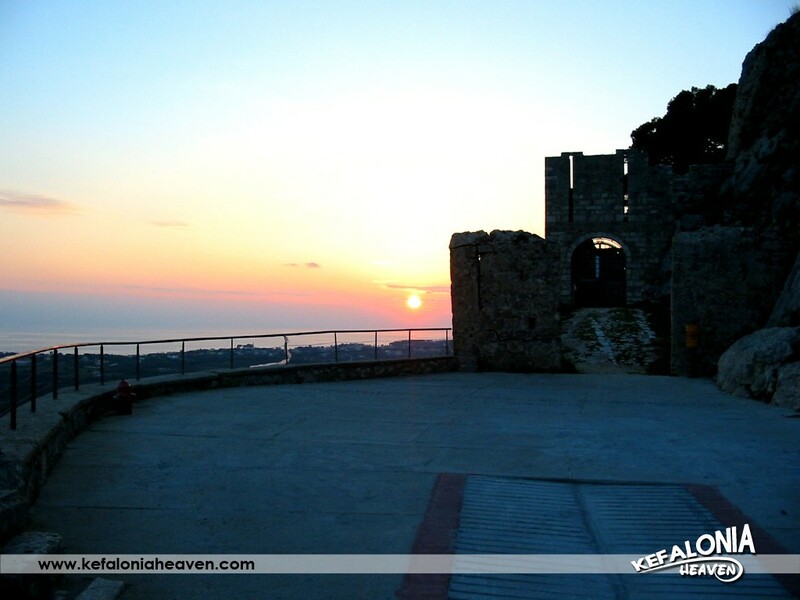 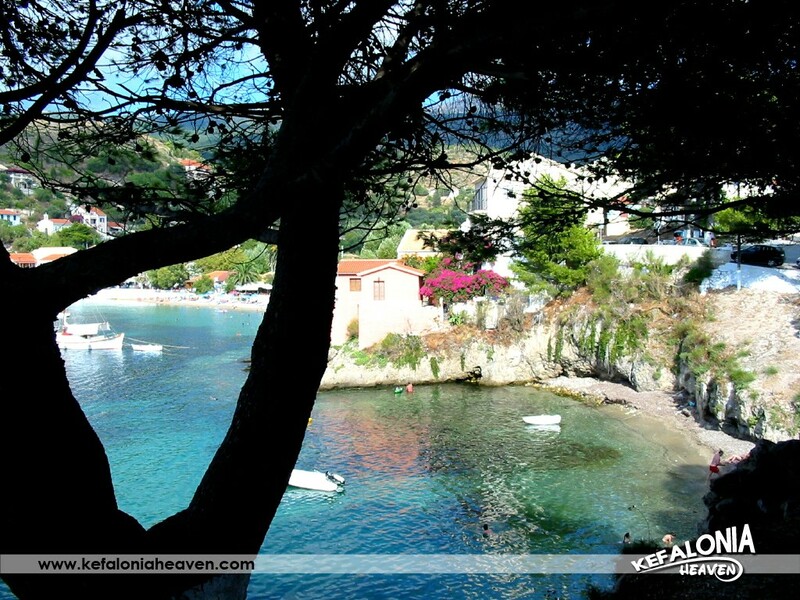 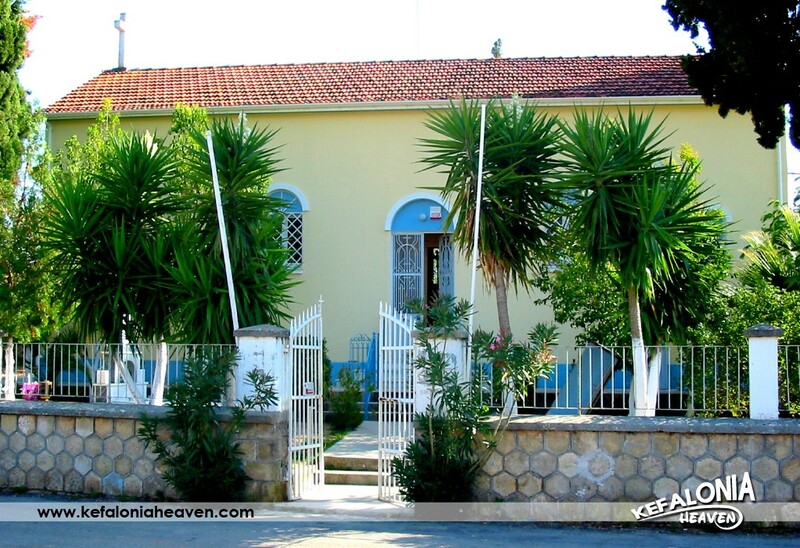 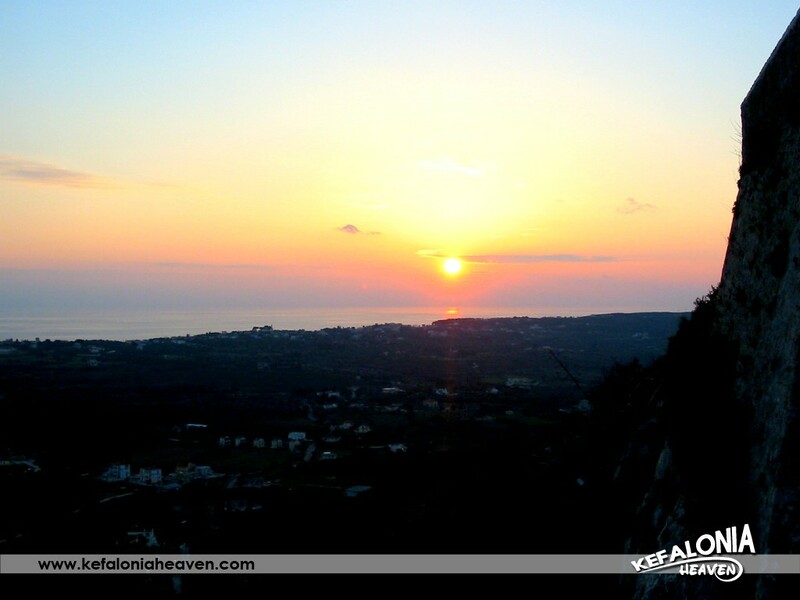 Kontogennada is located in the area of Paliki, close to Petanoi beach. 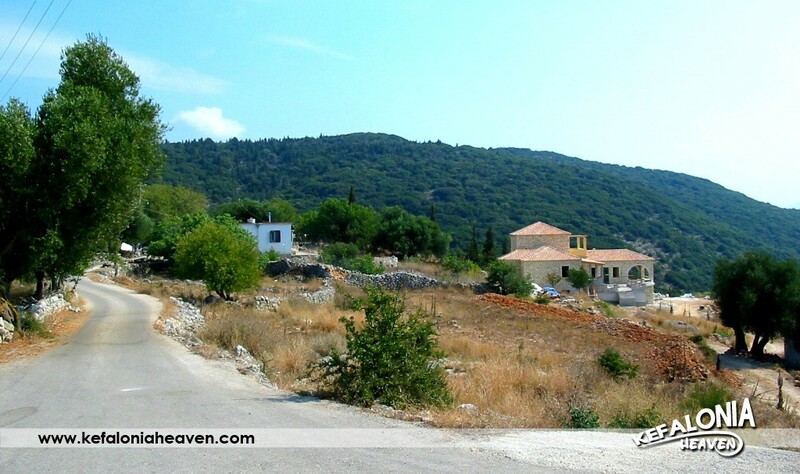 It’s the last village one meets on the route from Lixouri to Anogi. 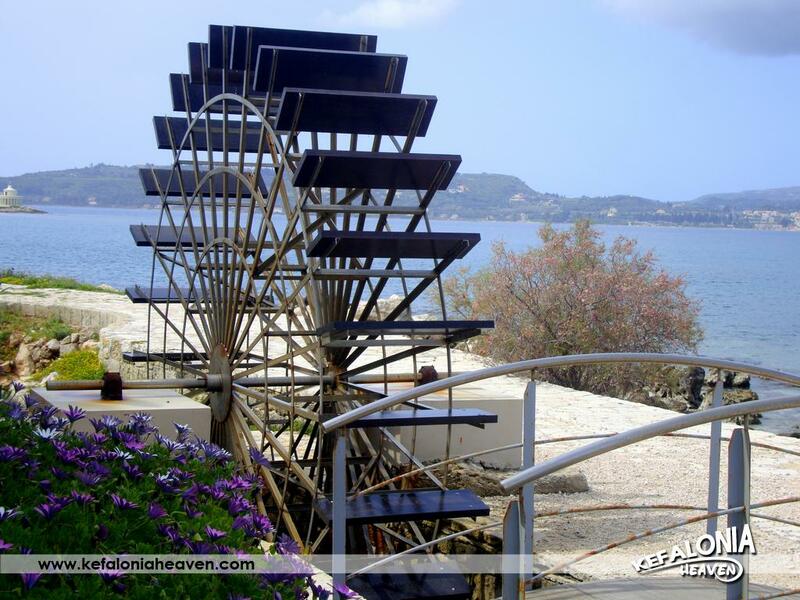 It’s situated in a spot with a panoramic view. 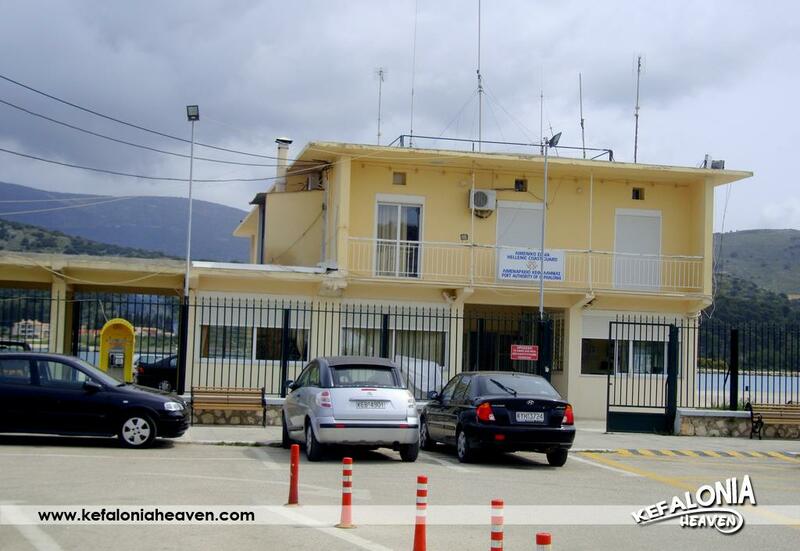 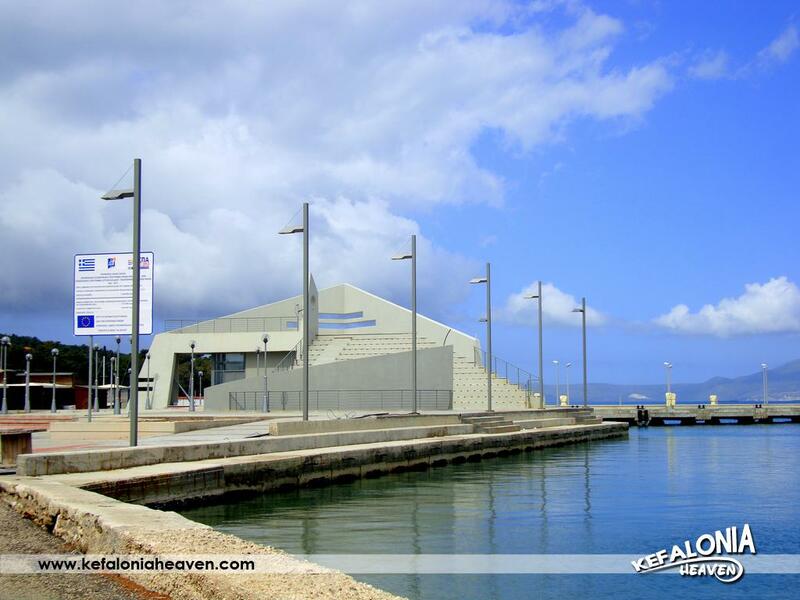 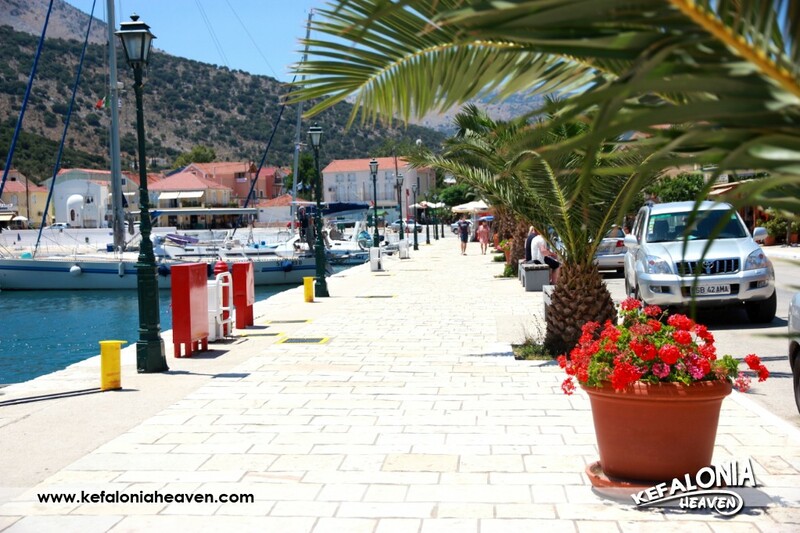 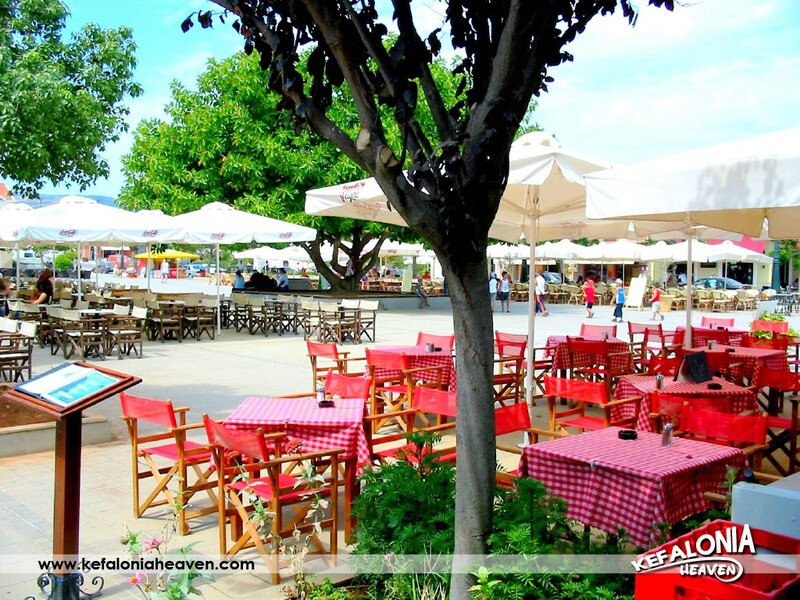 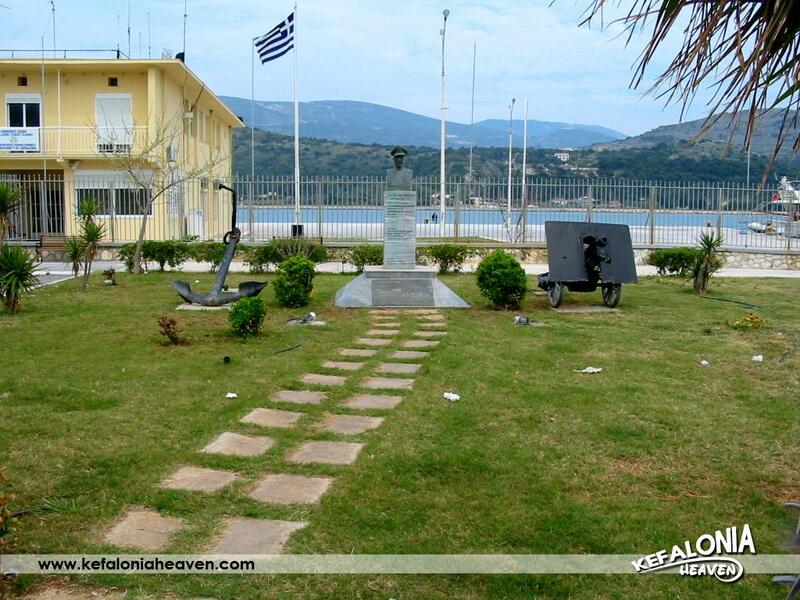 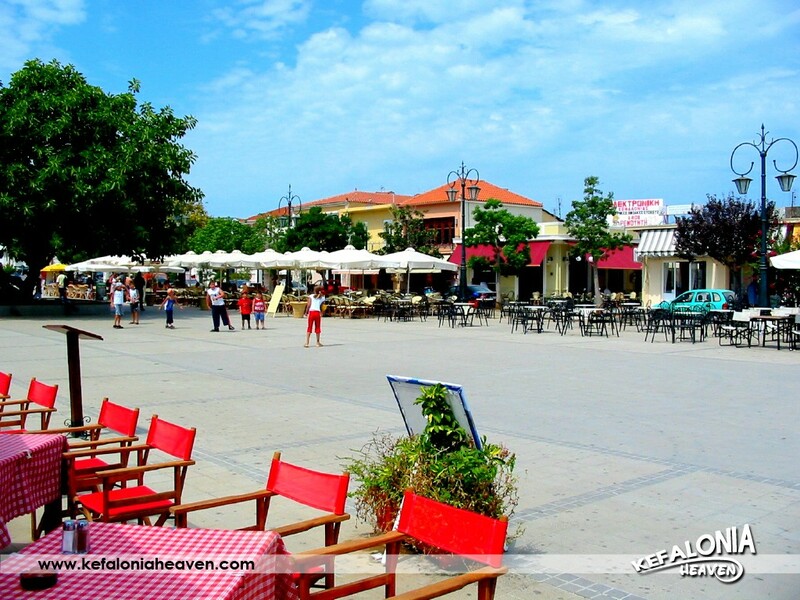 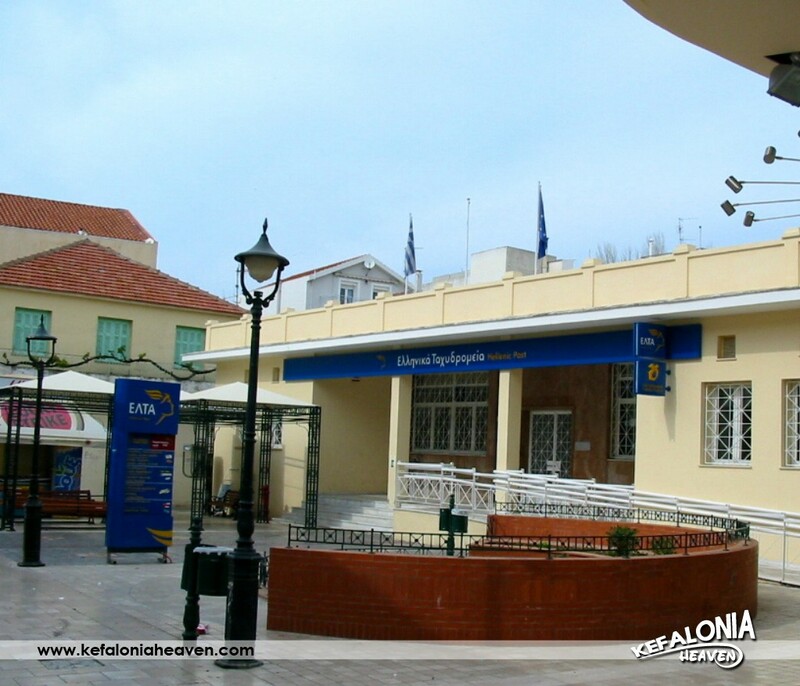 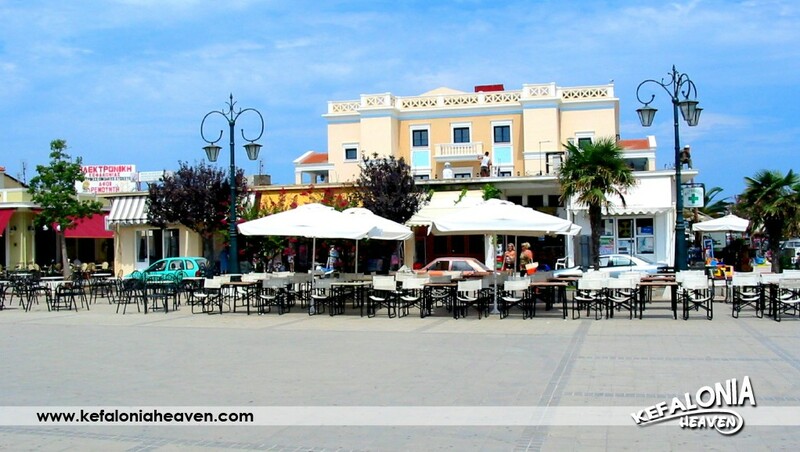 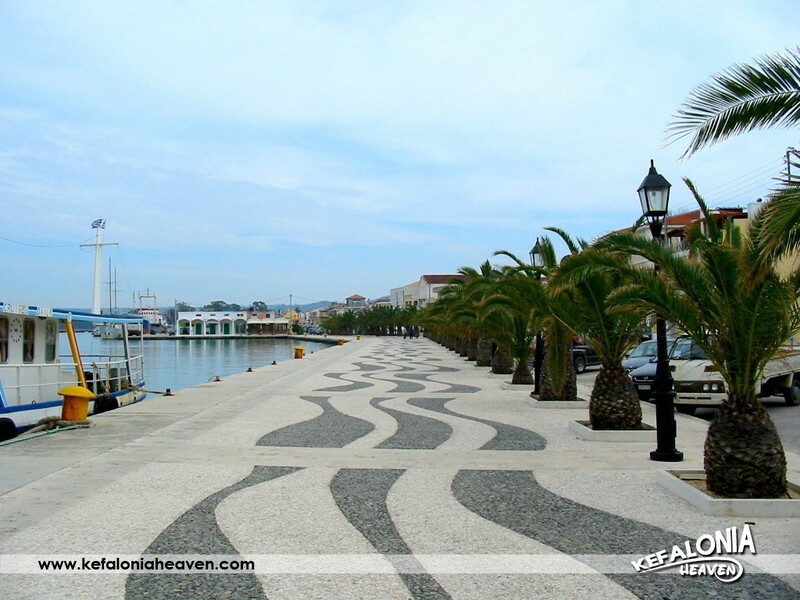 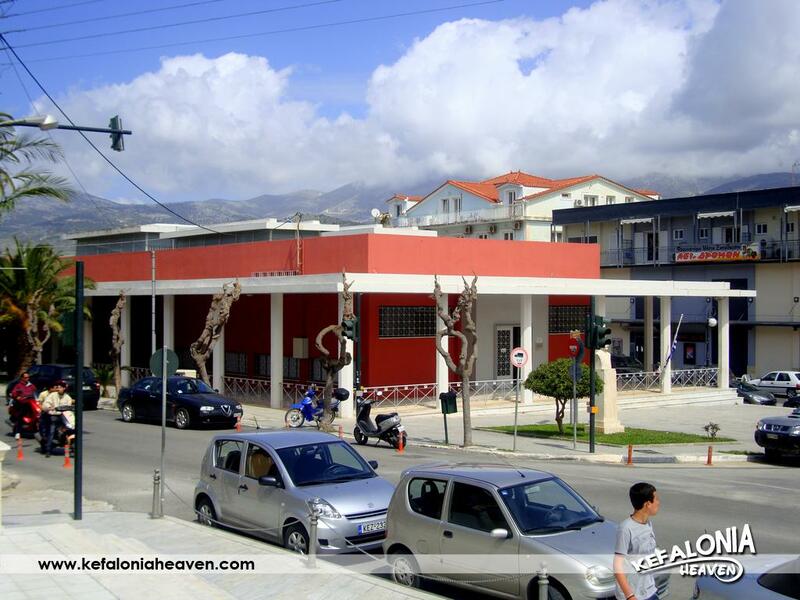 From the central square, it’s possible to enjoy the view of the Lassi and Argostoli area, the airport of Kefalonia and even Zakynthos. 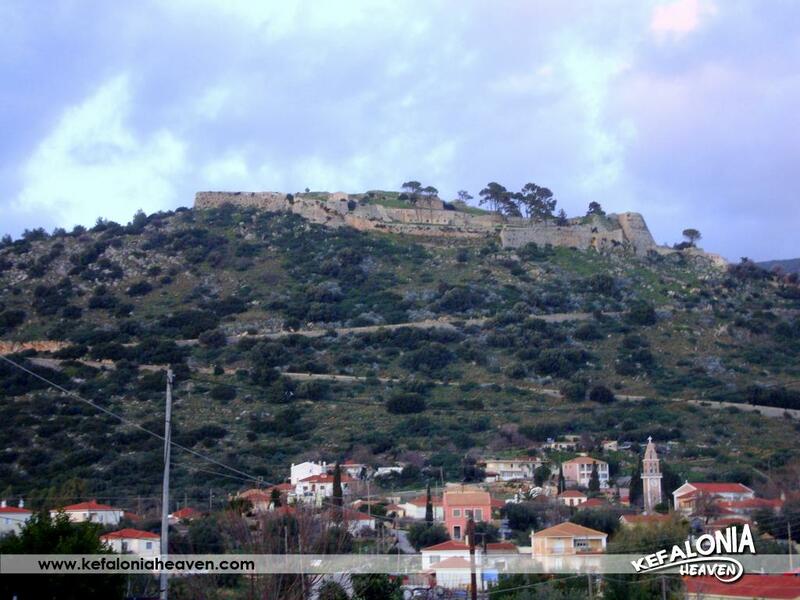 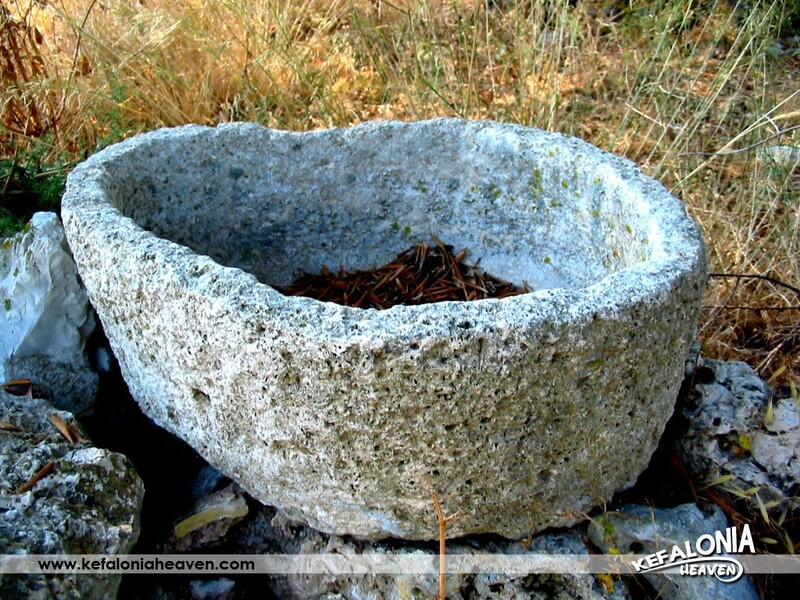 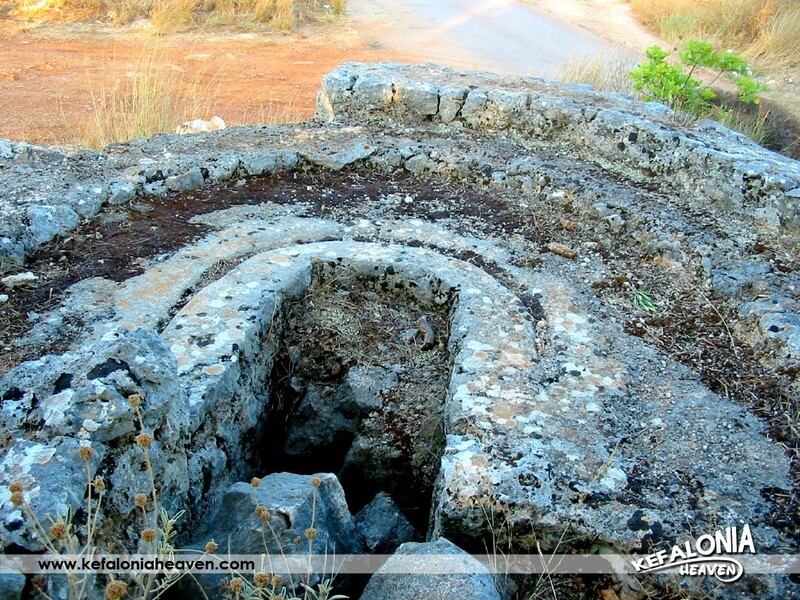 It is characterized as a traditional settlement, which means that there are houses of particular traditional architecture, while its history goes as far back as the Mycenean times, as vaulted and carved grave dating back to that period have been found. 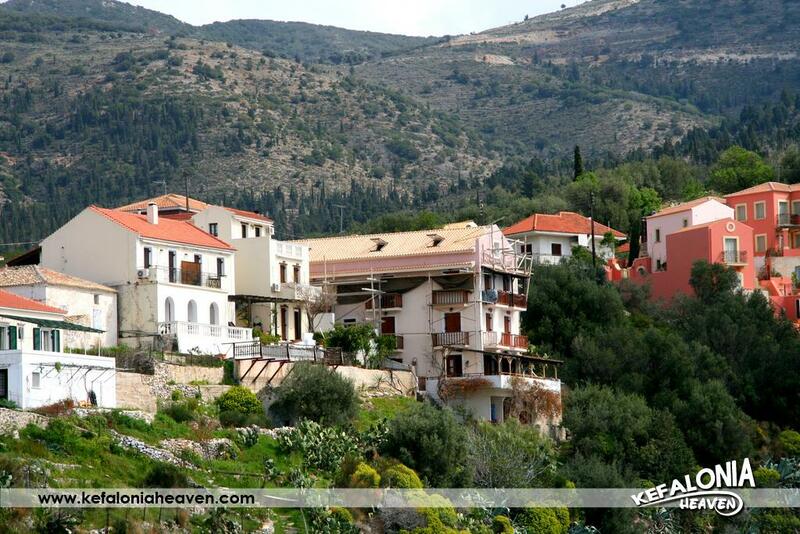 It’s a central and well- known village, which had about 500 inhabitants in the past. 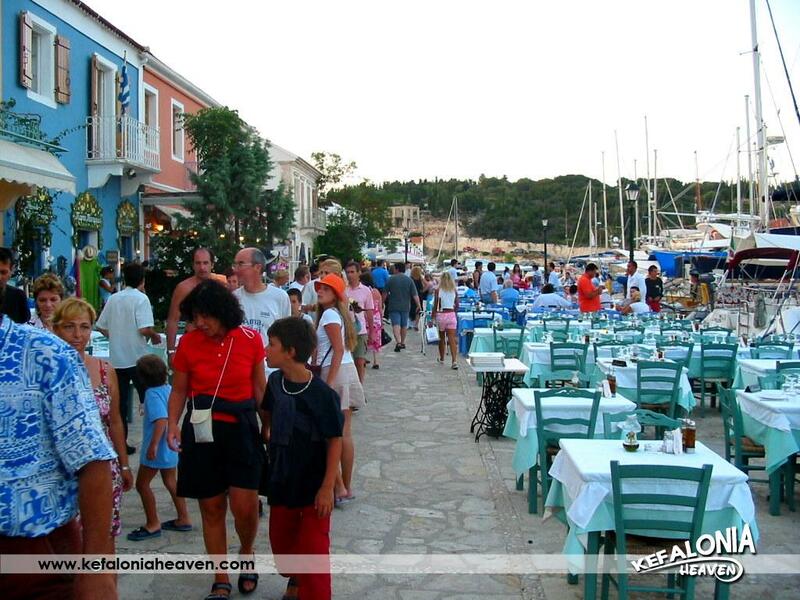 Nowadays, this number of population is reached only during the summer months.